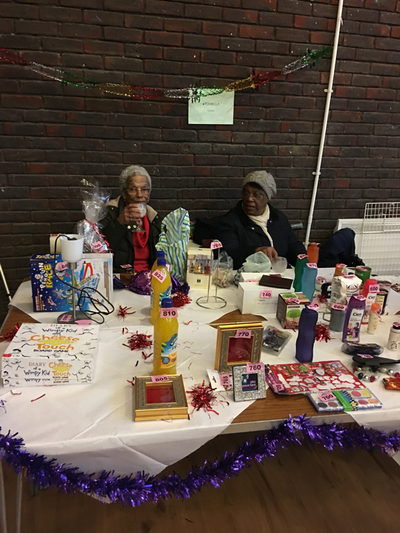 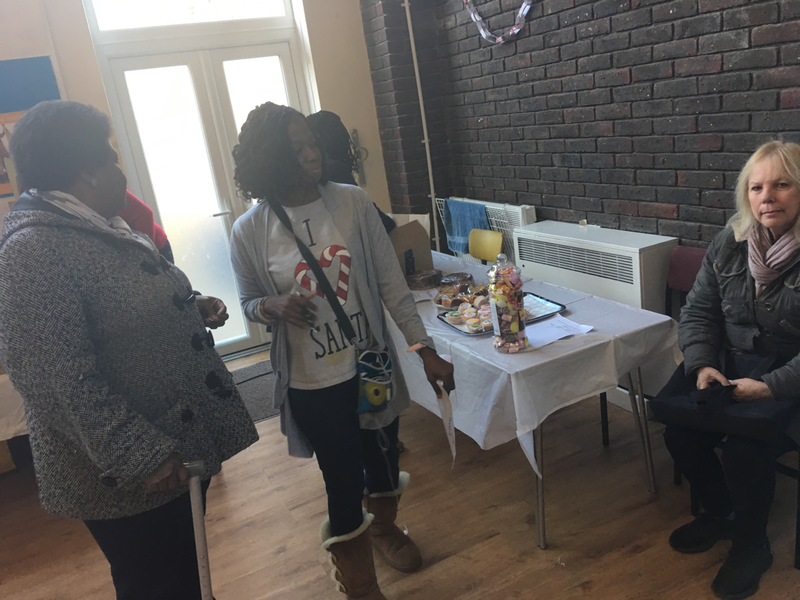 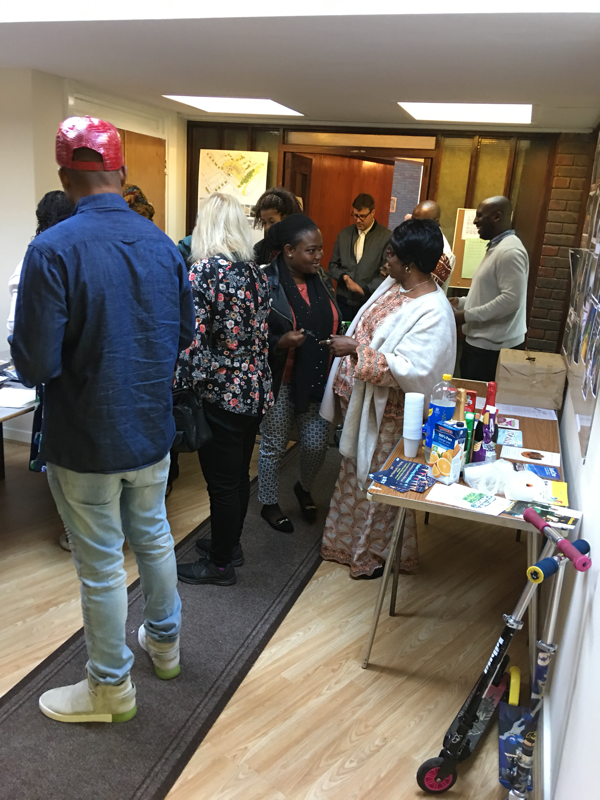 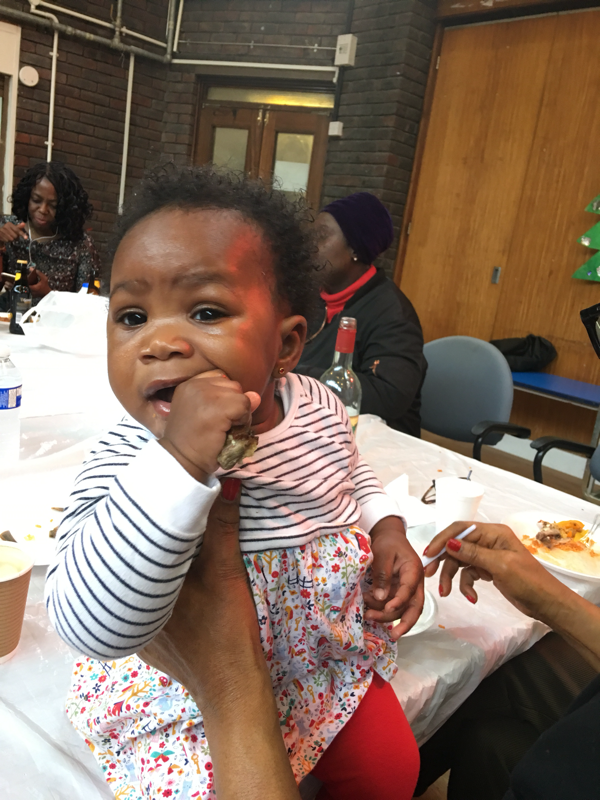 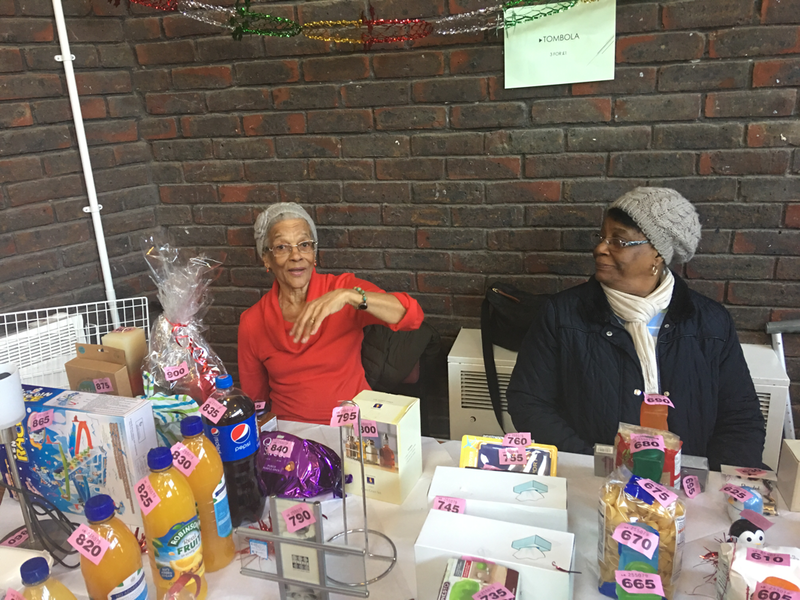 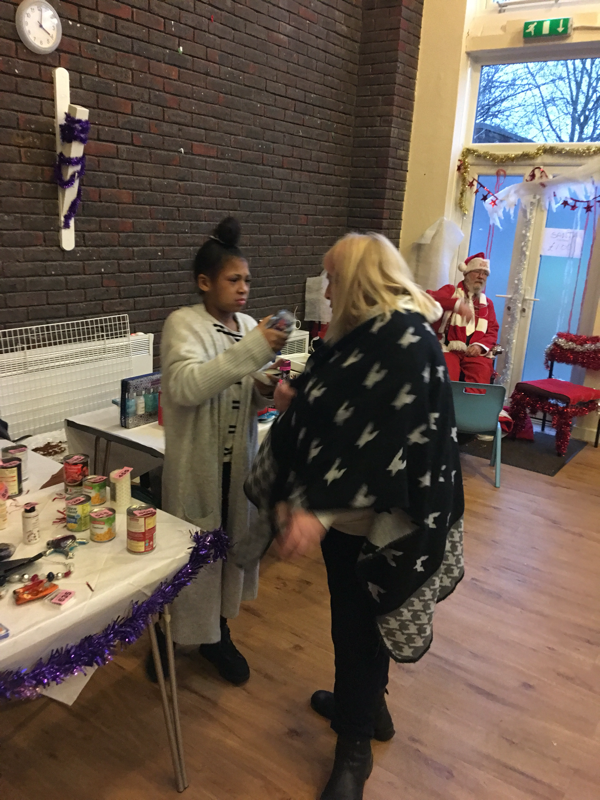 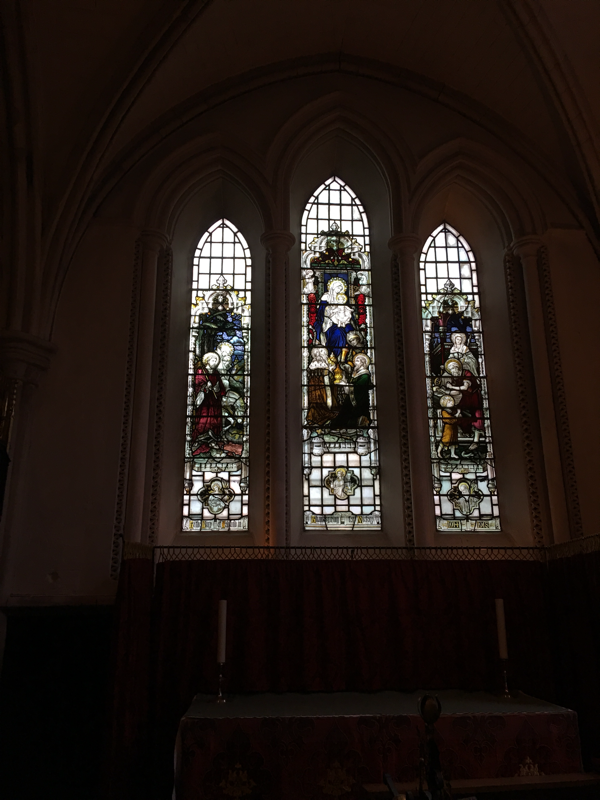 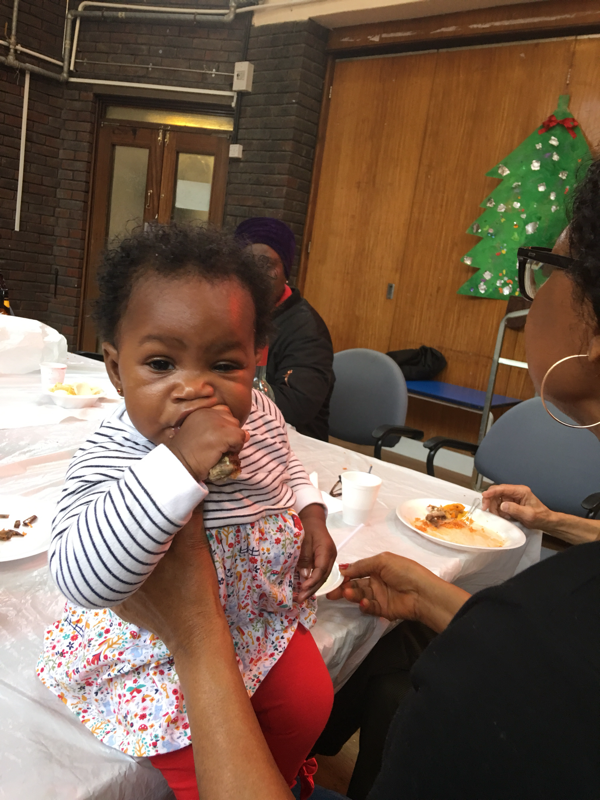 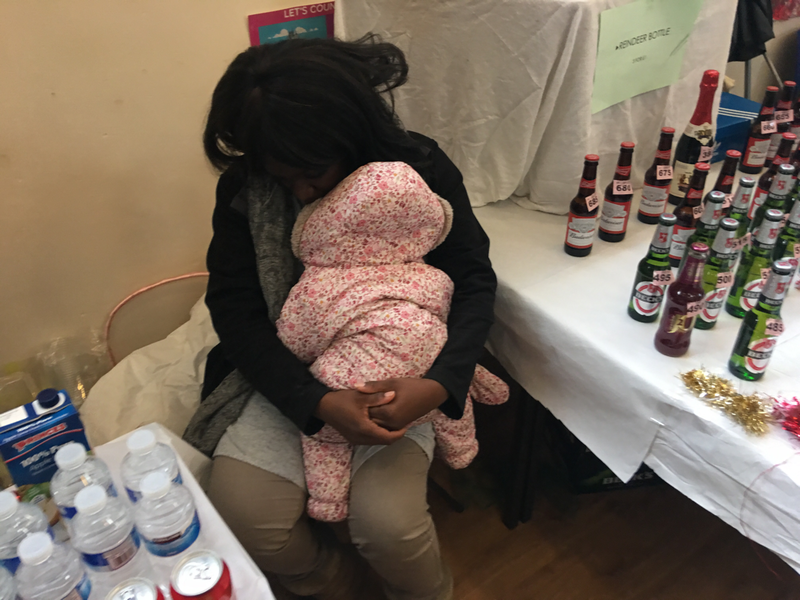 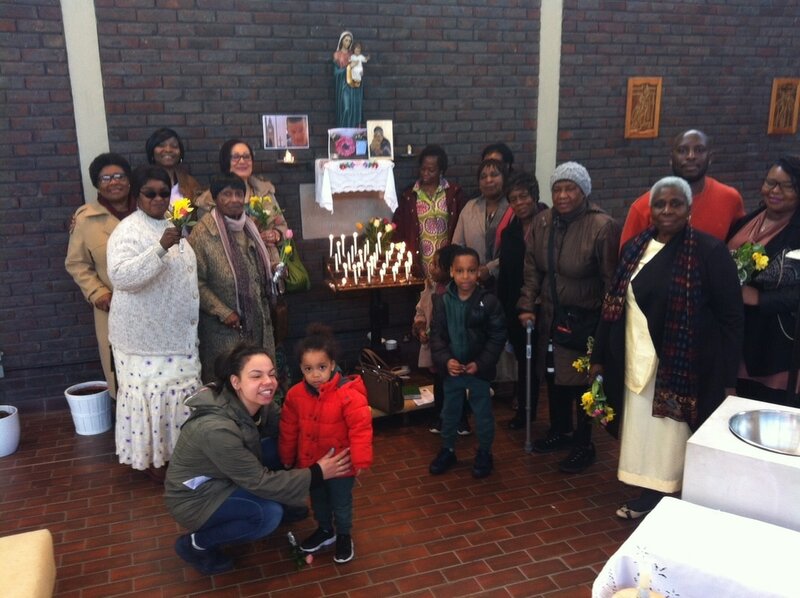 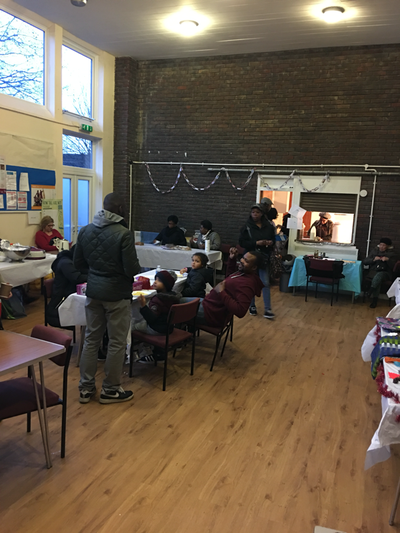 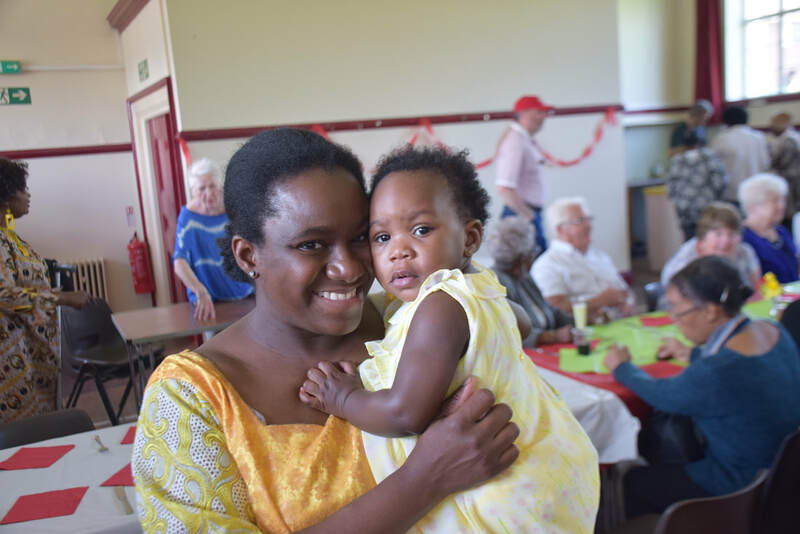 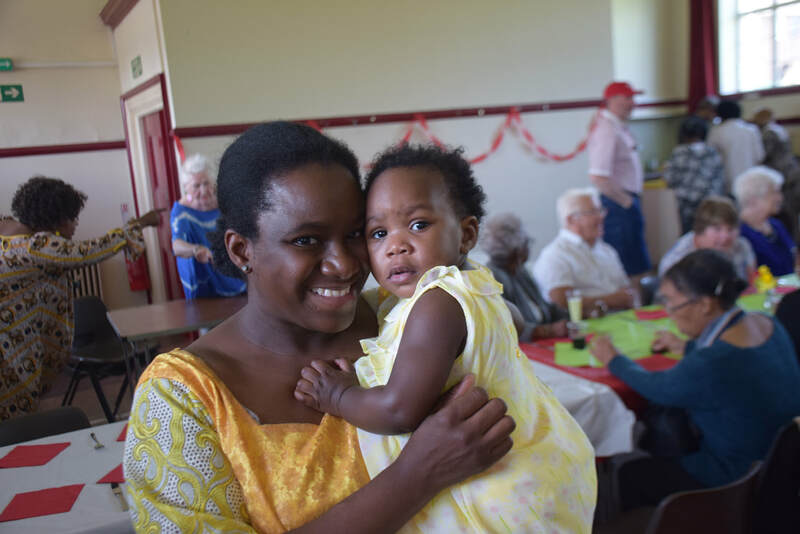 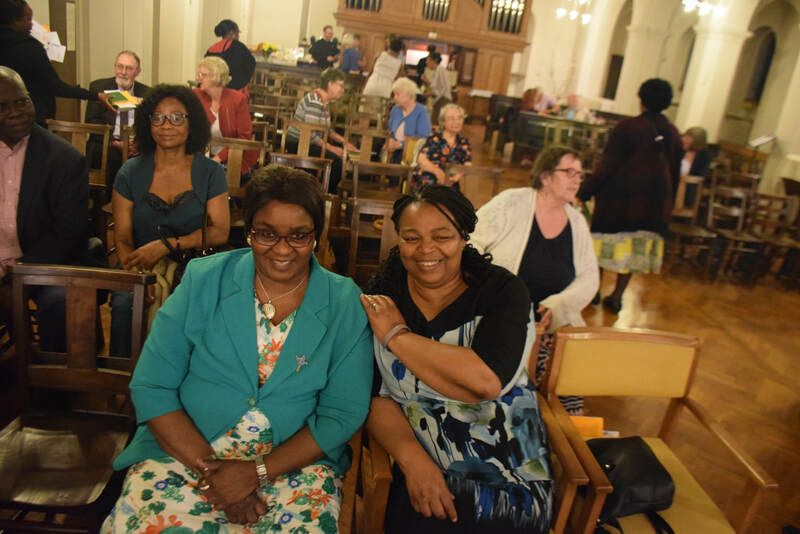 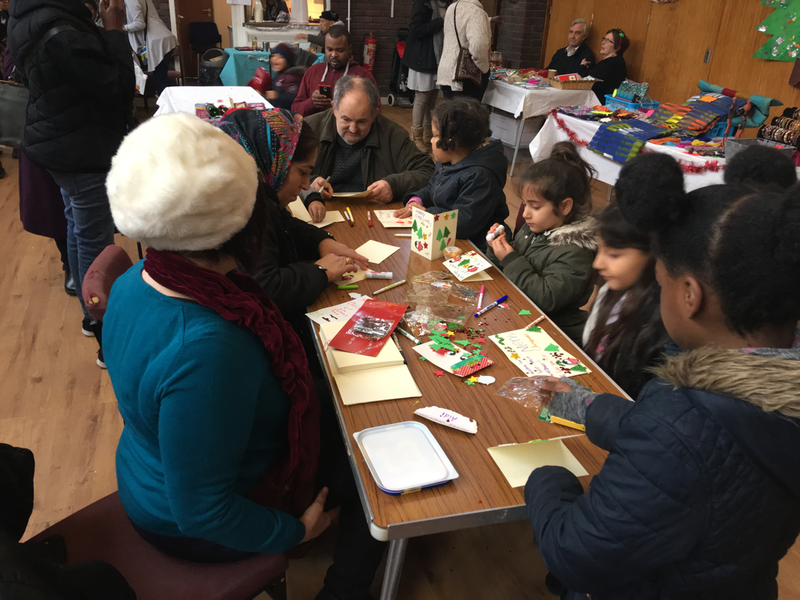 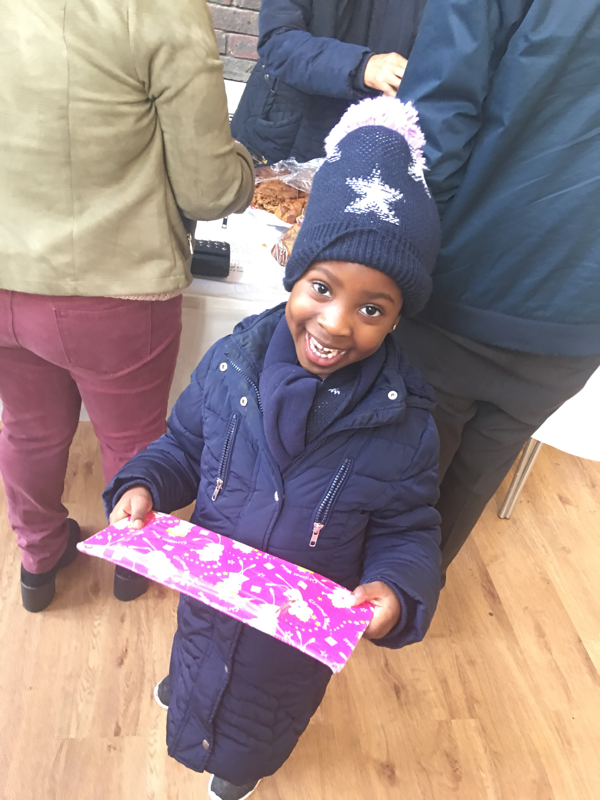 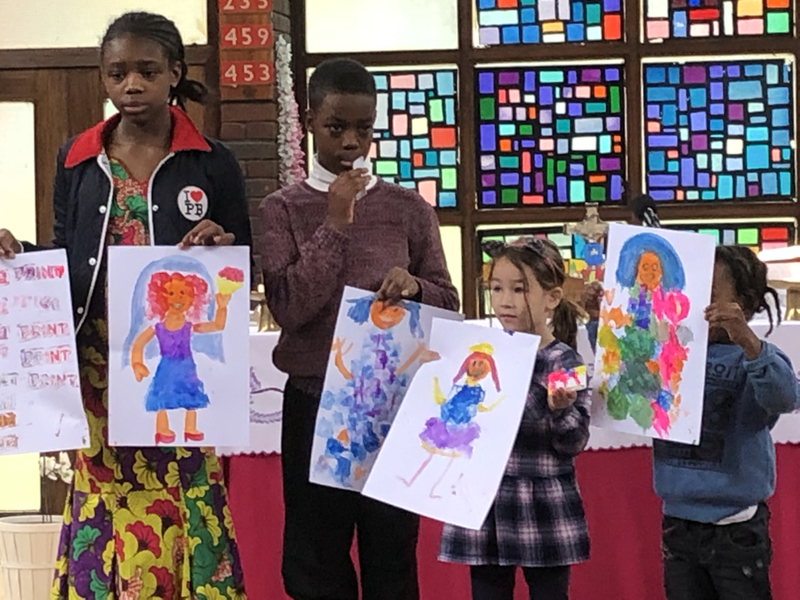 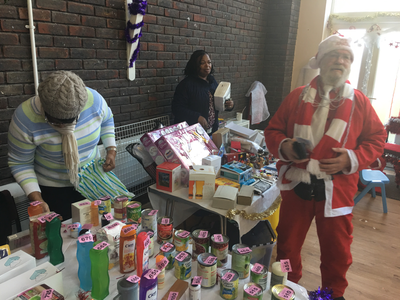 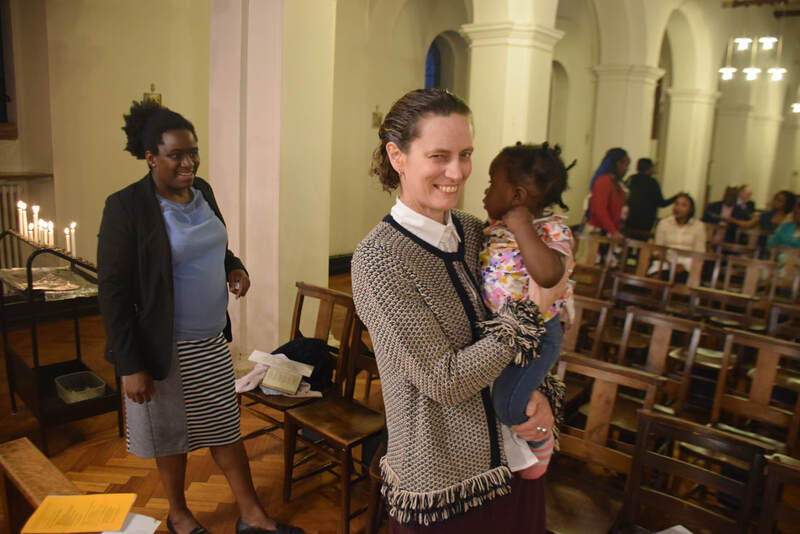 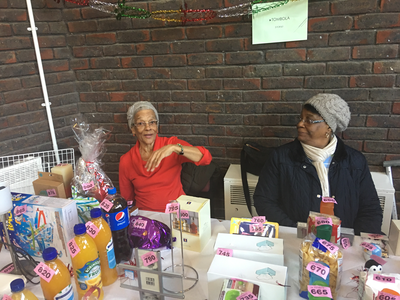 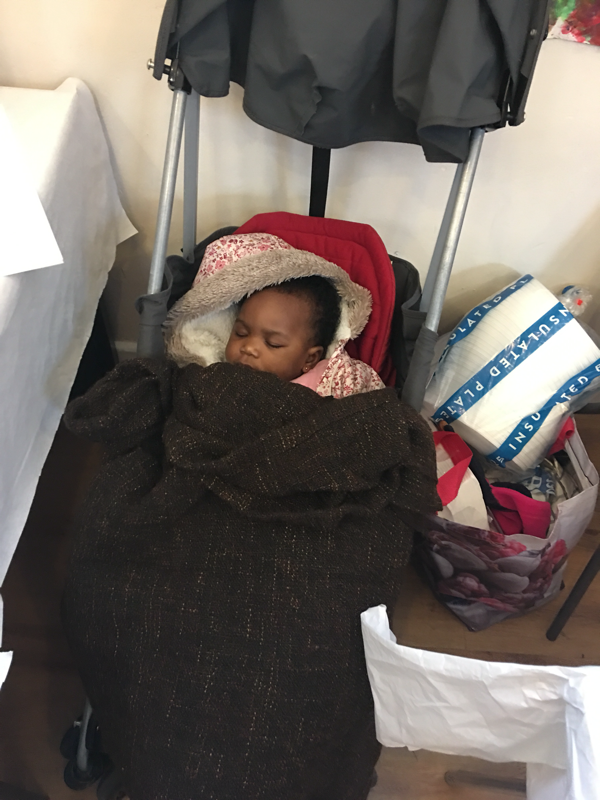 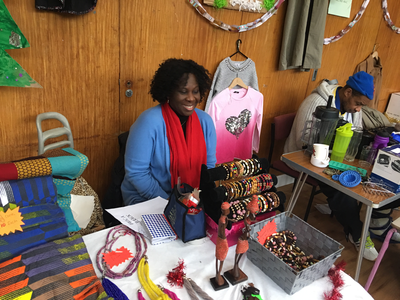 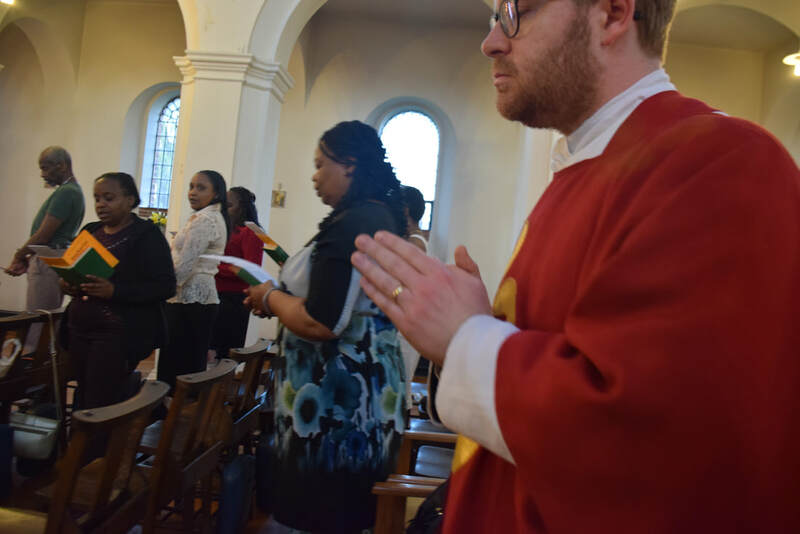 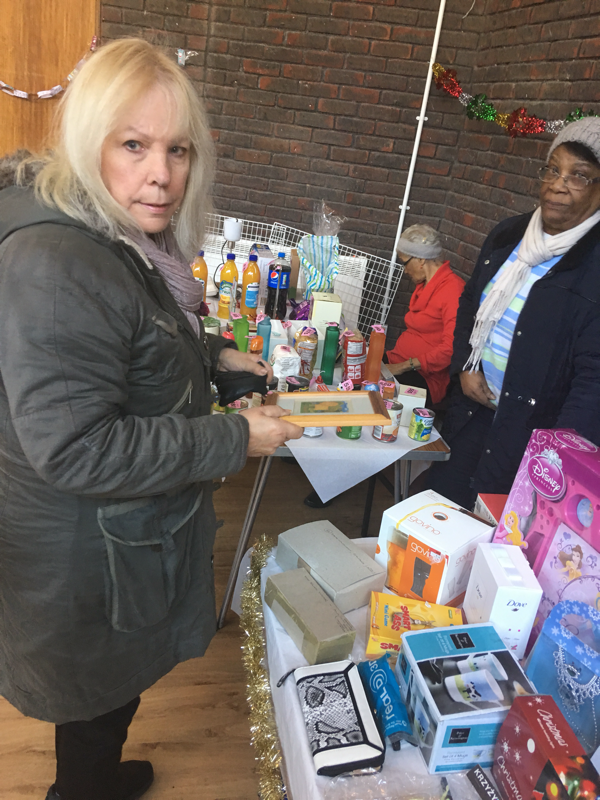 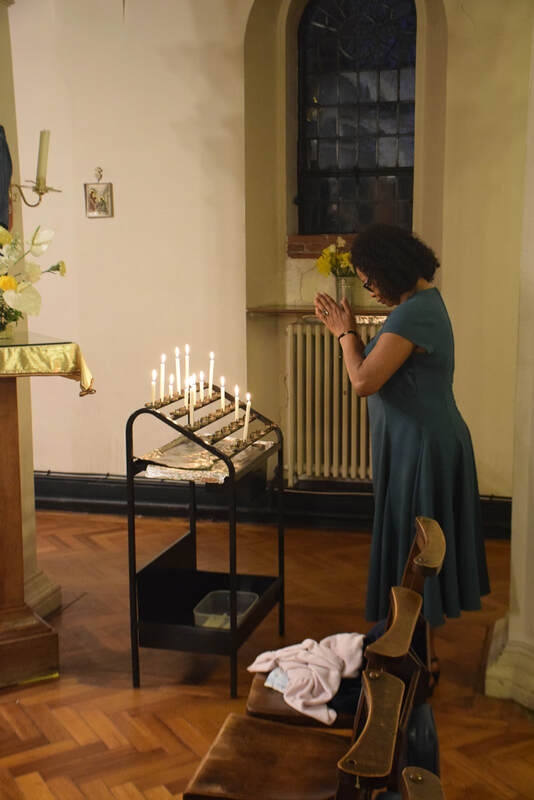 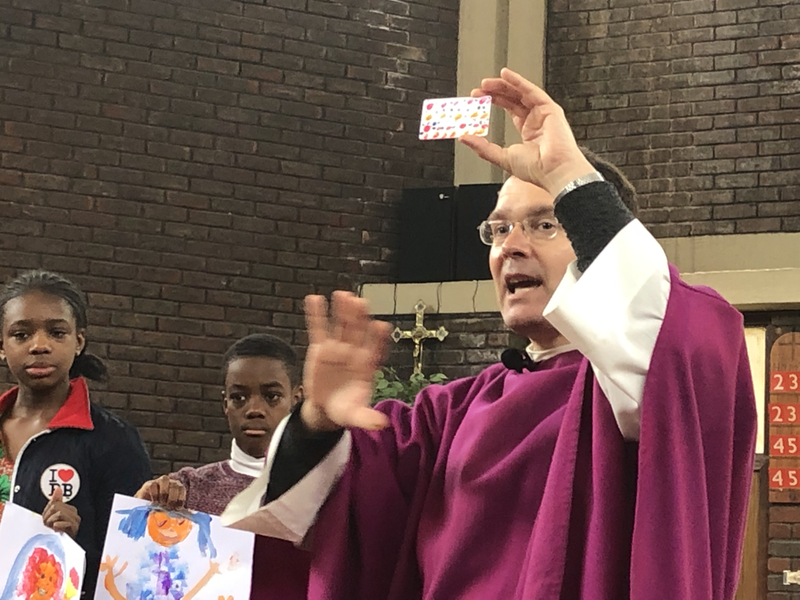 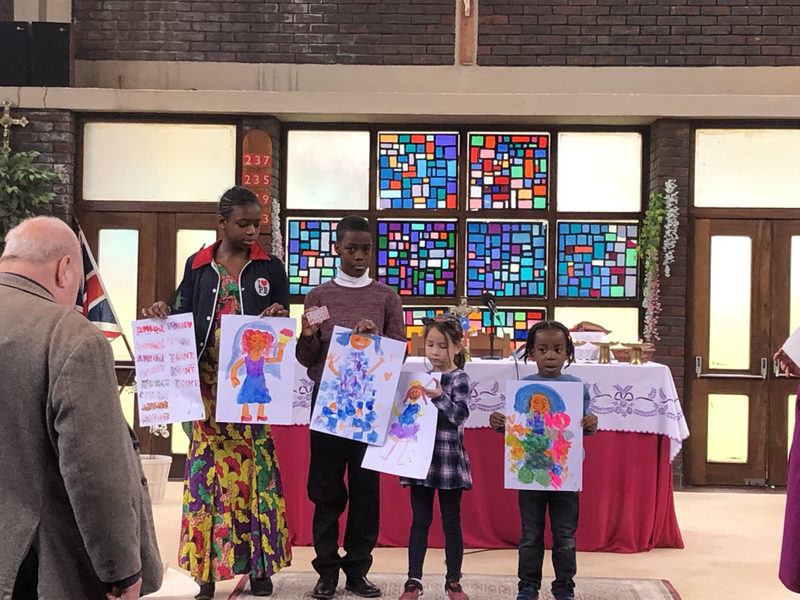 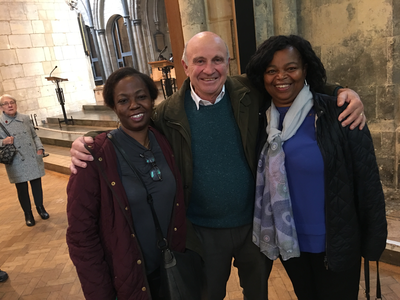 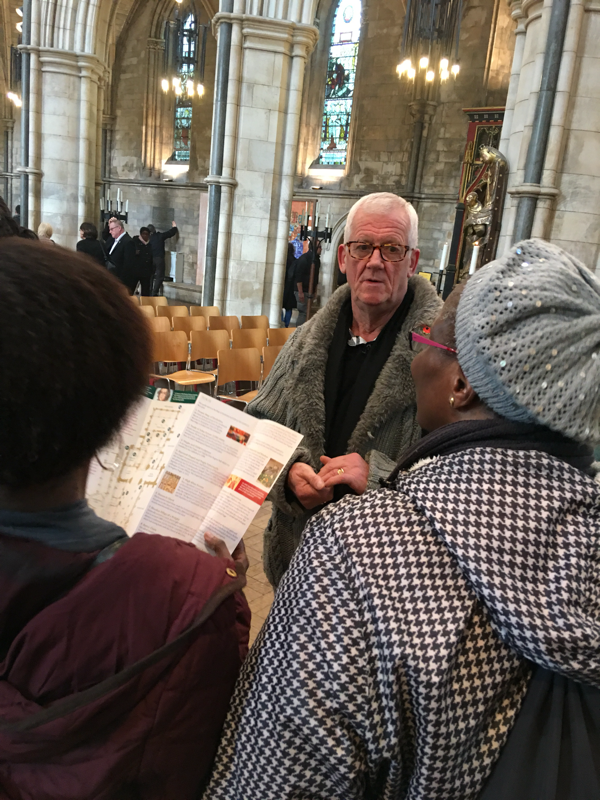 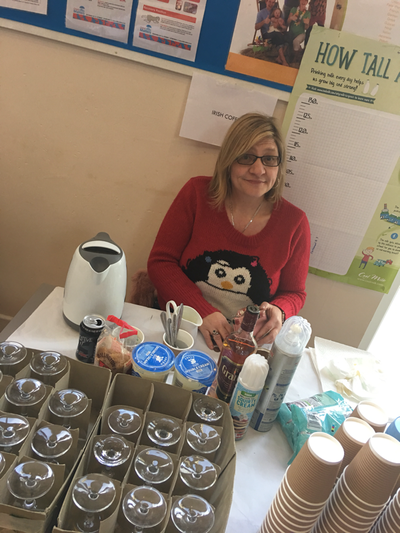 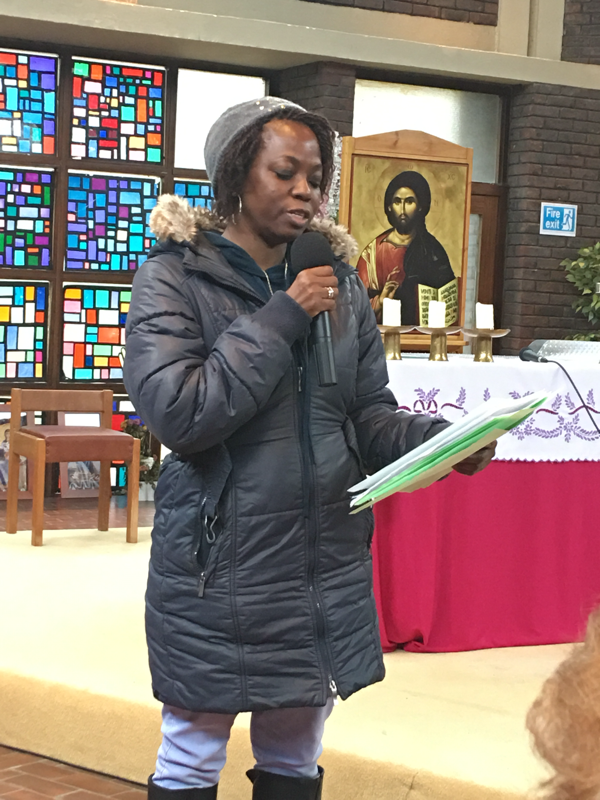 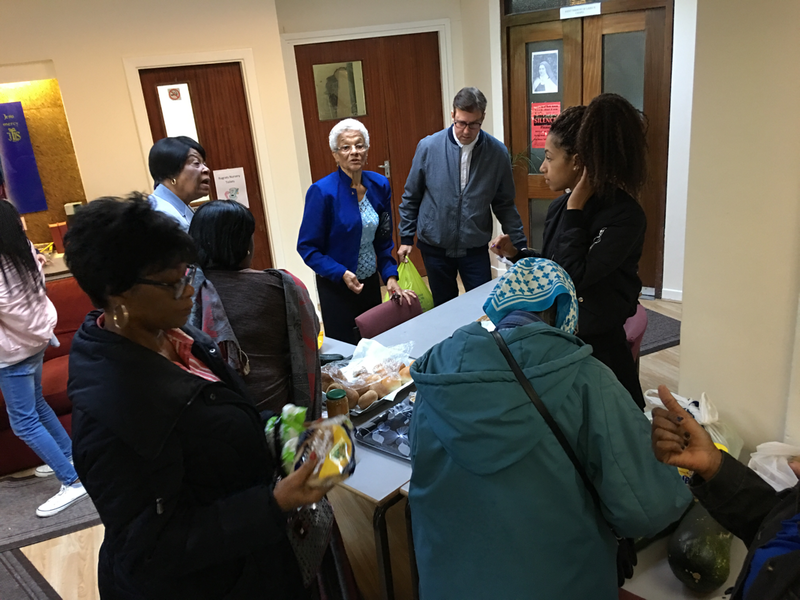 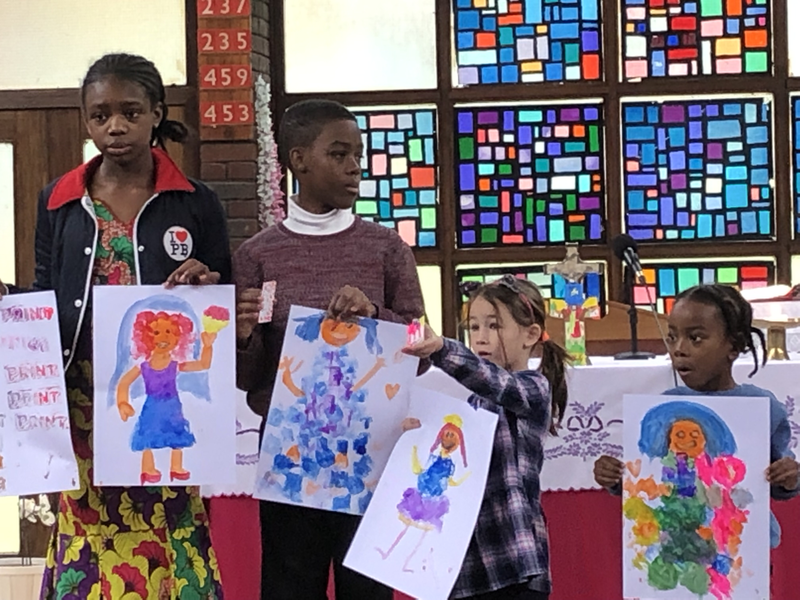 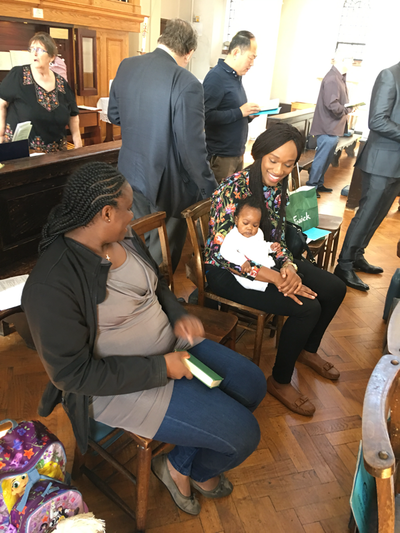 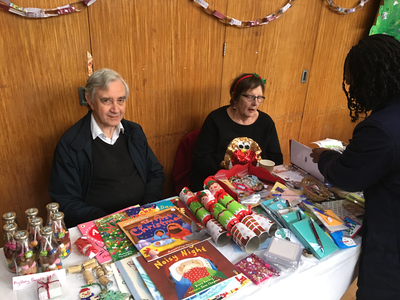 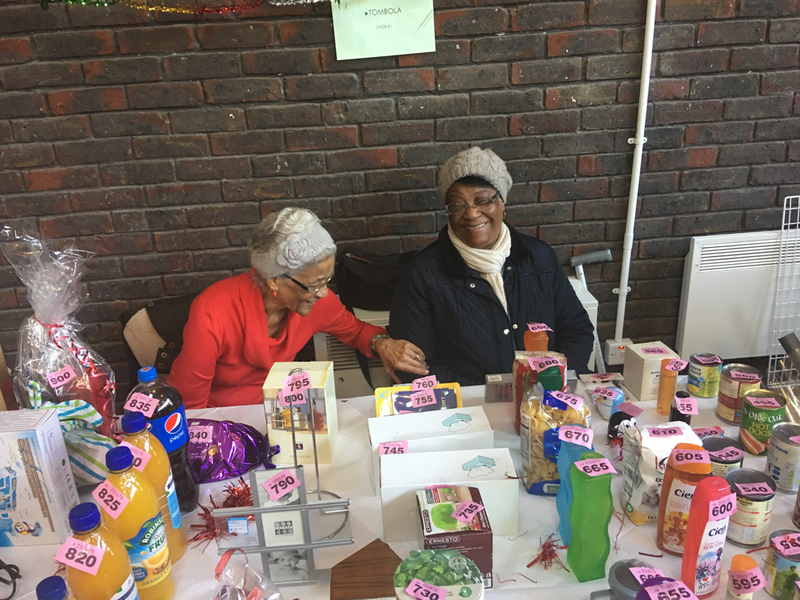 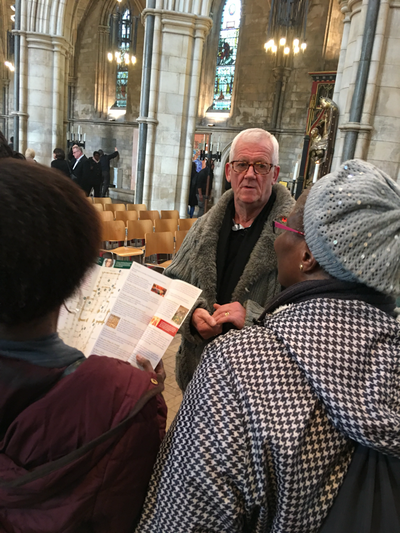 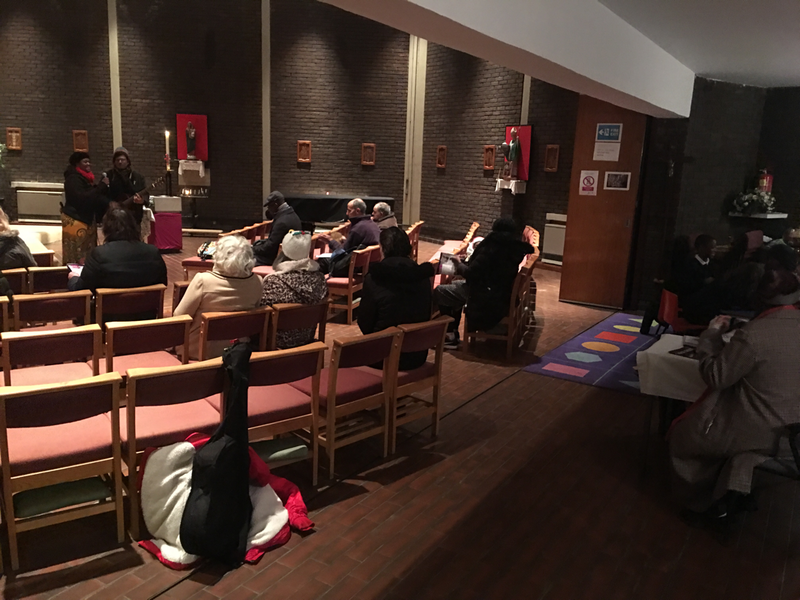 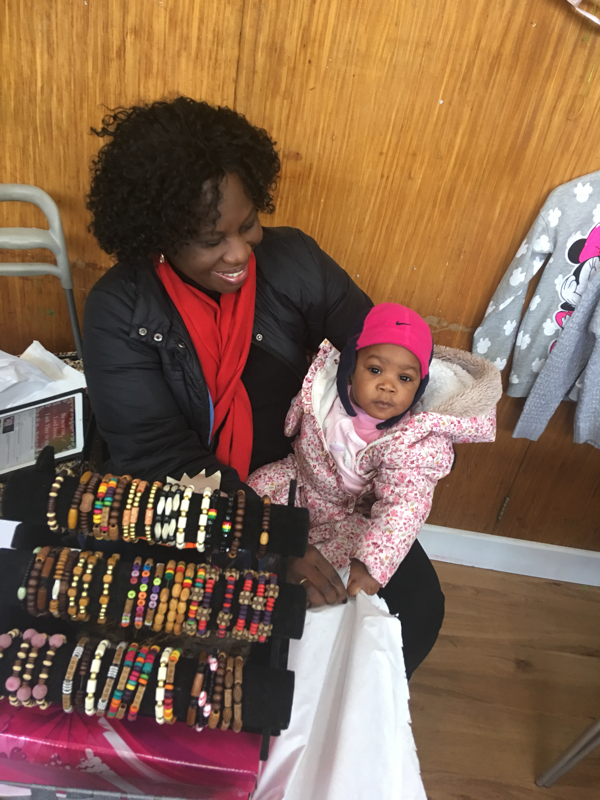 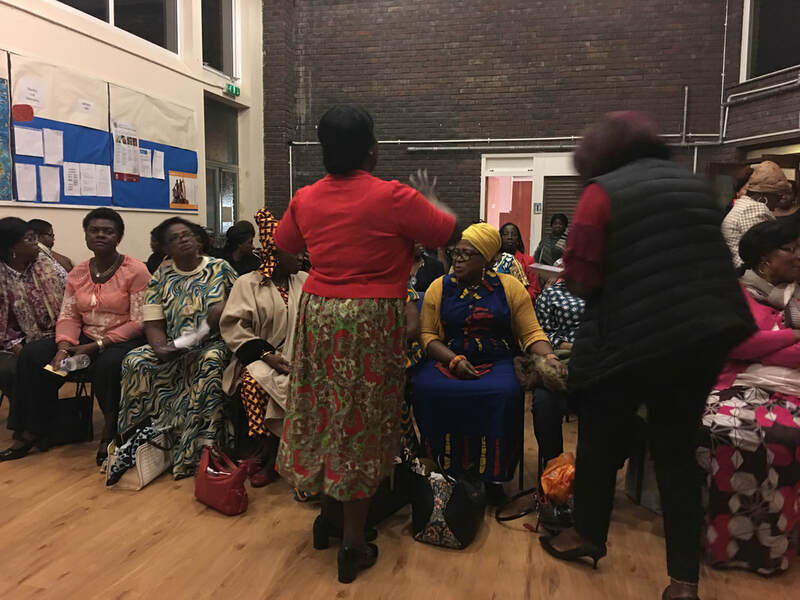 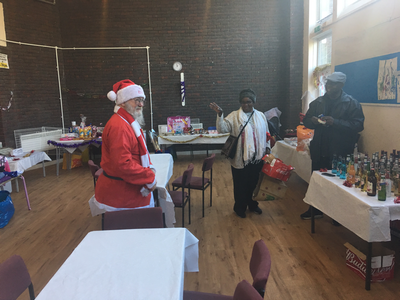 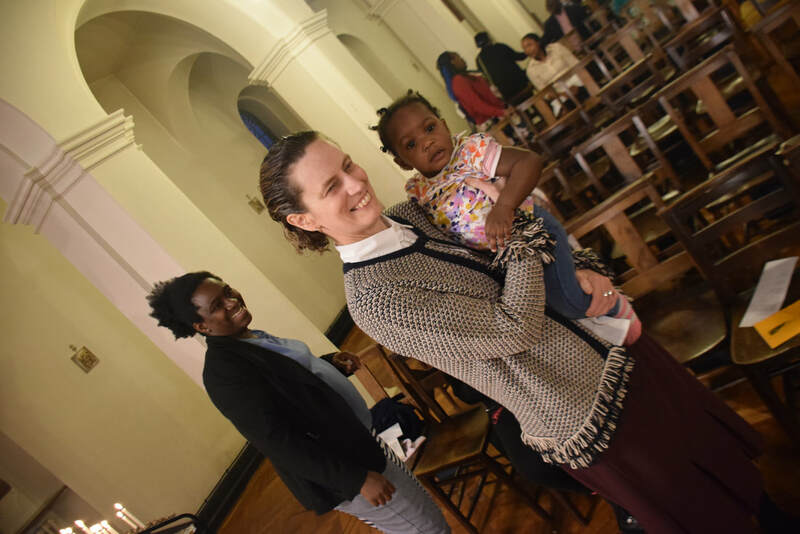 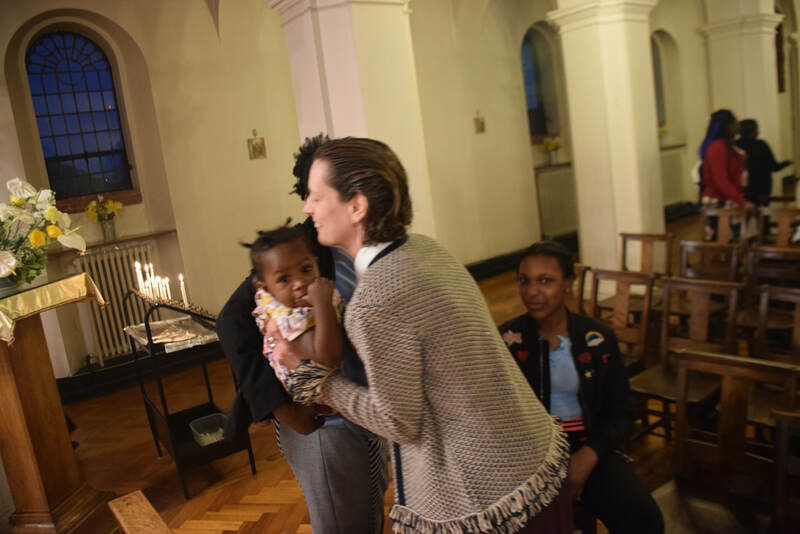 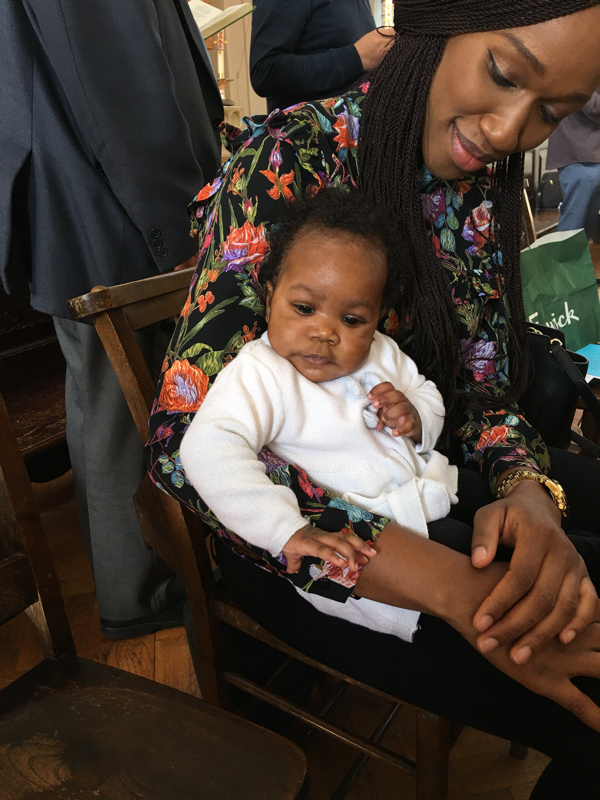 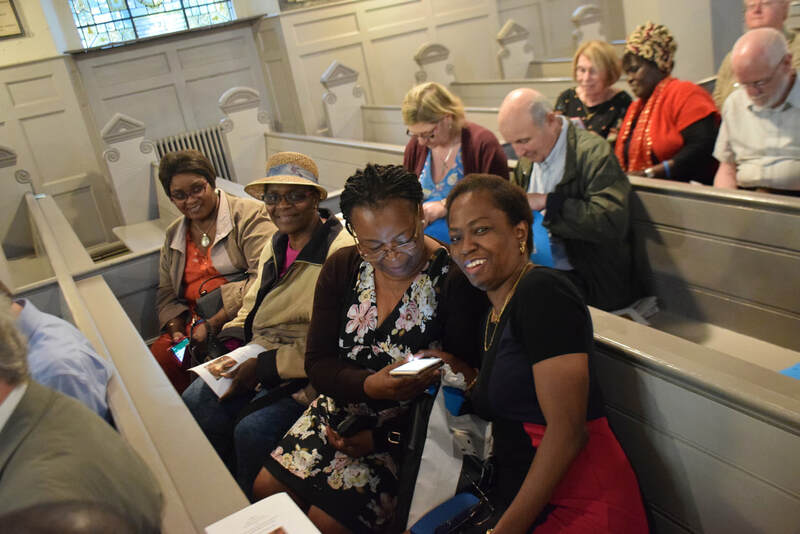 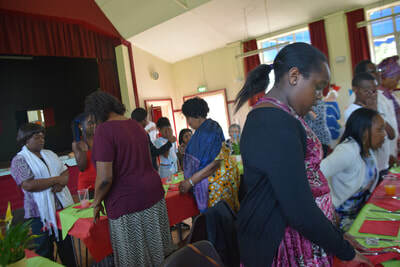 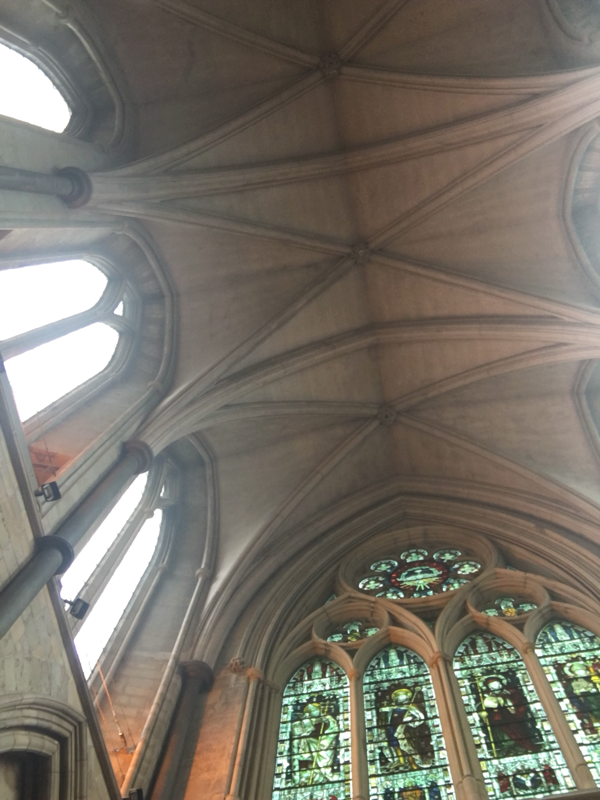 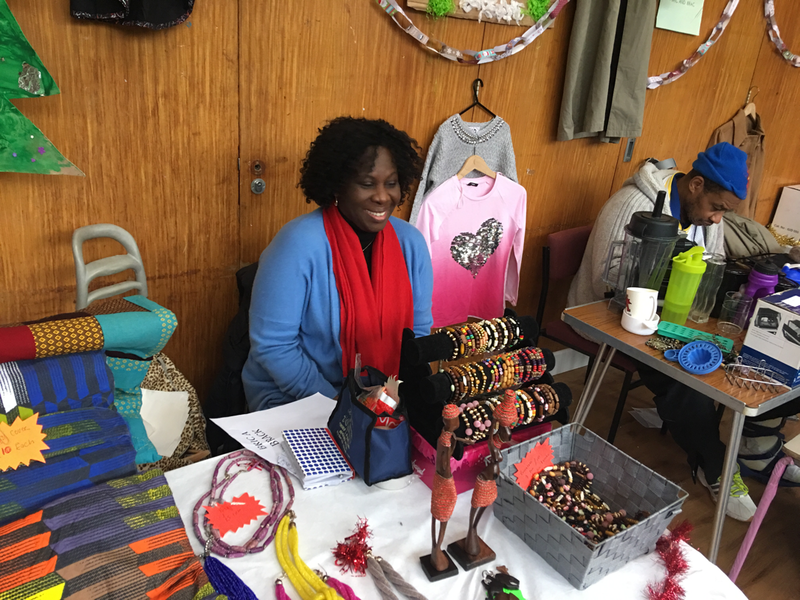 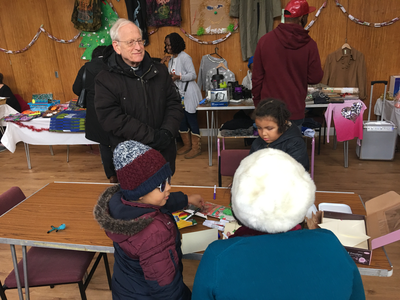 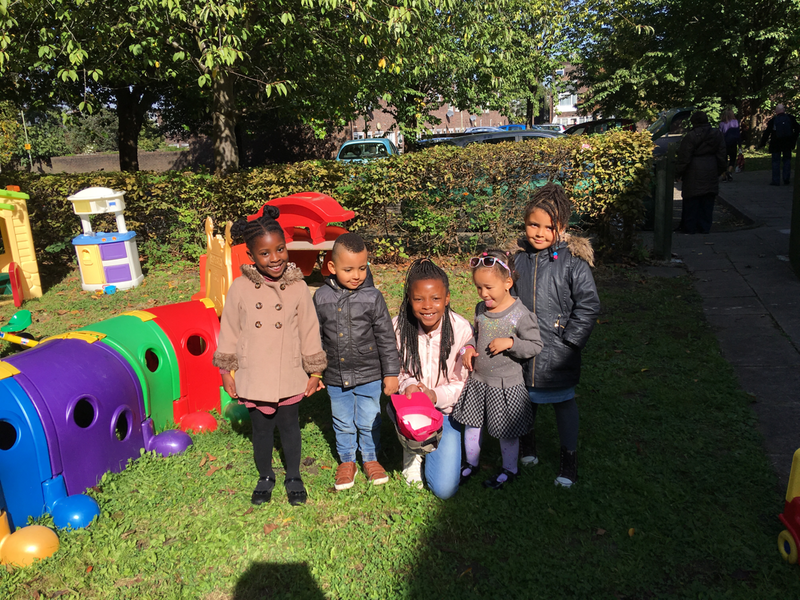 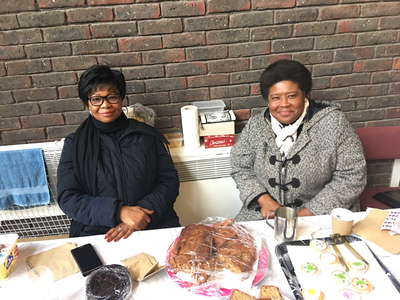 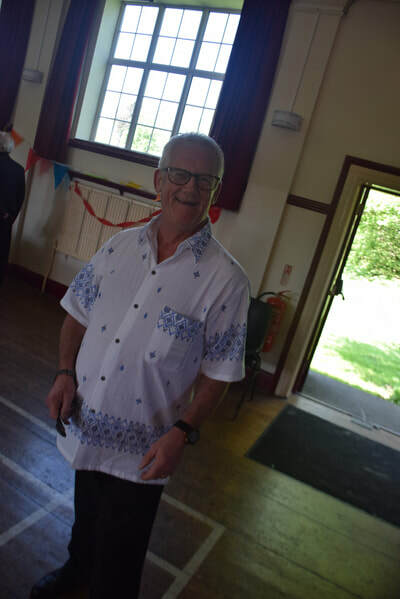 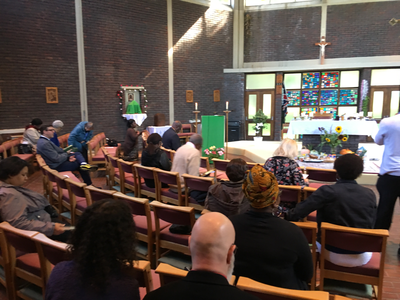 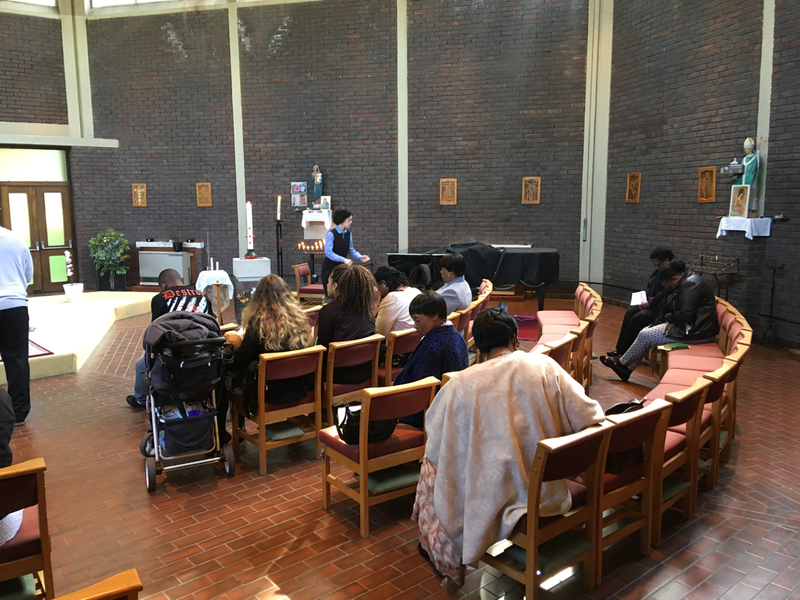 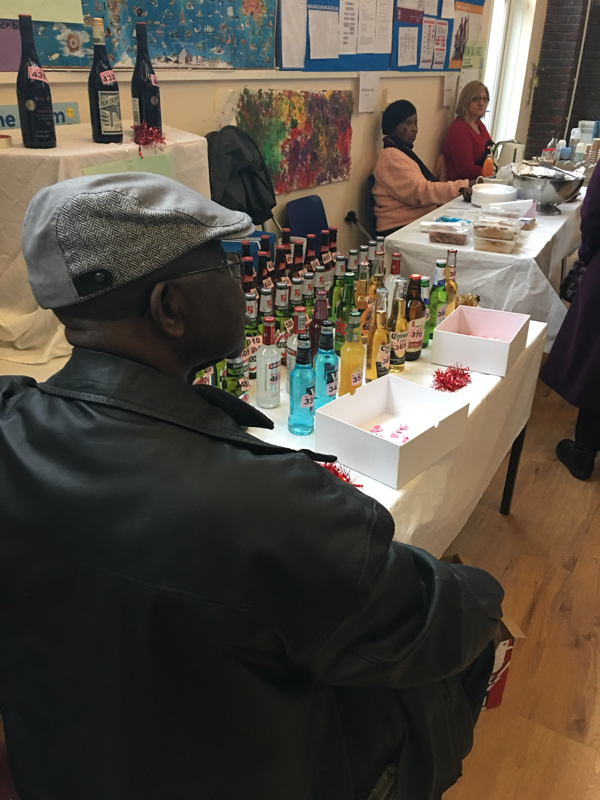 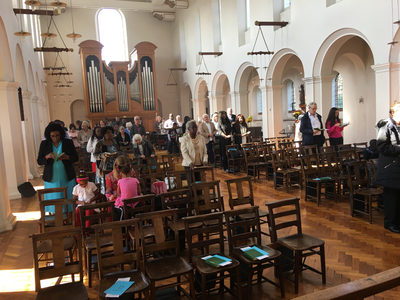 PLEASE, SUPPORT OUR MISSION by signing up to #easyfundraising and help us raise FREE funds for Saint Augustine's Church, Grahame Park when you're doing your everyday shopping online. 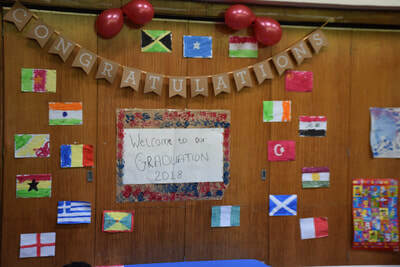 THIS IS FREE MONEY FOR US! 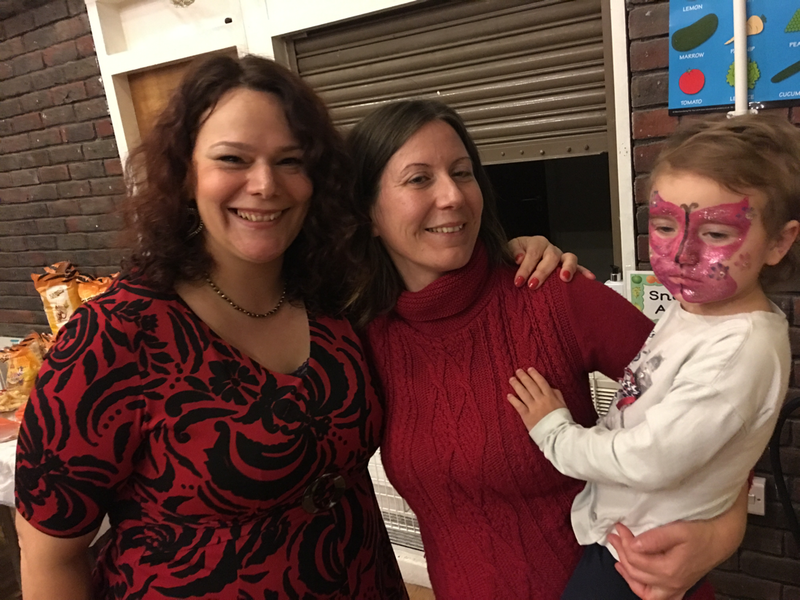 Plus, when you raise your first £5, easyfundraising will match it!! This short video explains how simple it is and it doesn't cost you anything – http://efraising.org/cv1Wj5Bman. 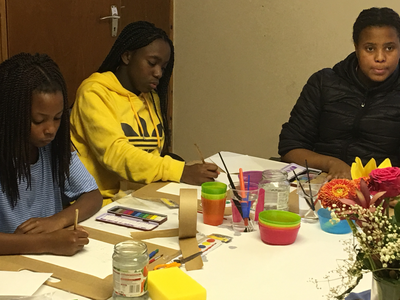 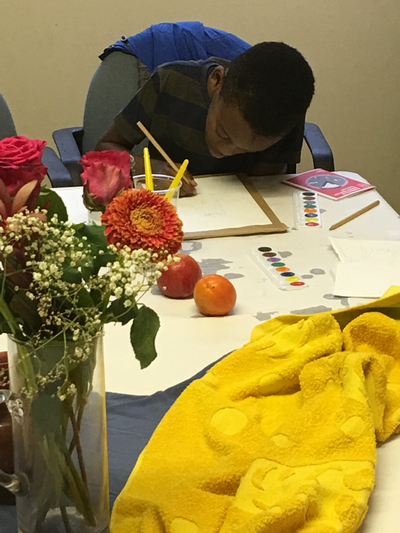 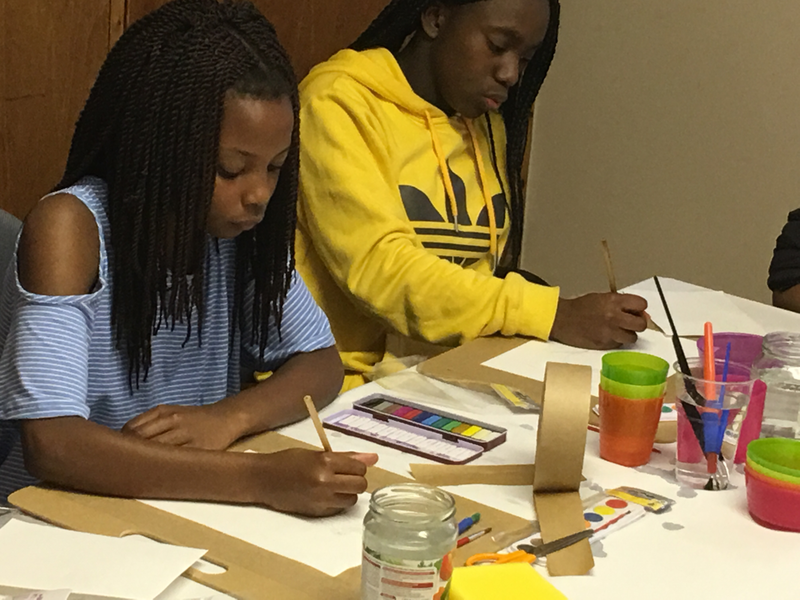 7 April 2019 - Kid’s wisdom through their drawings. 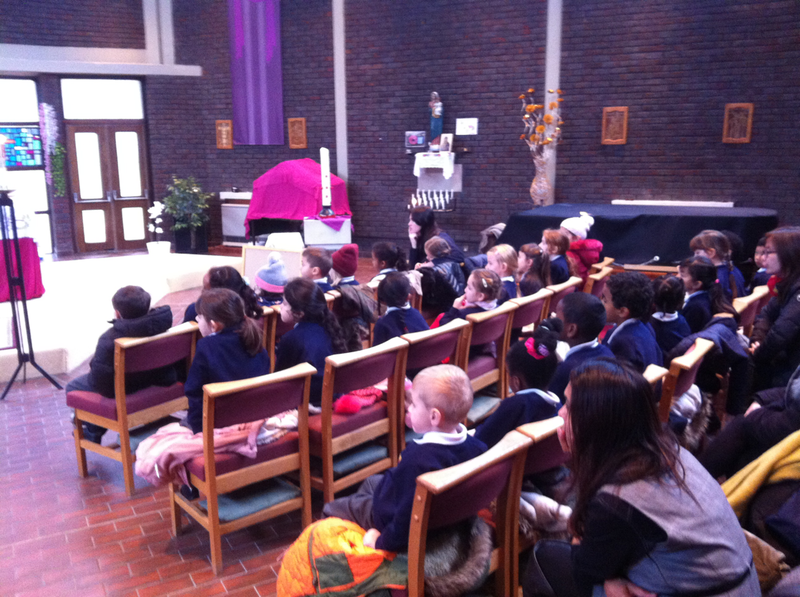 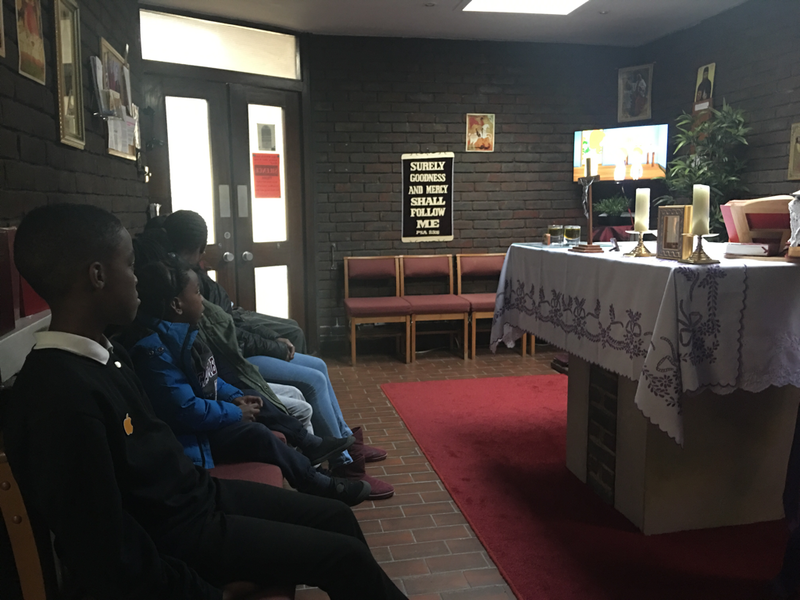 3 April - Members of the guitar class are watching ‘Saints for kids’ in our chapel. 29.06.2018 HURRAY! 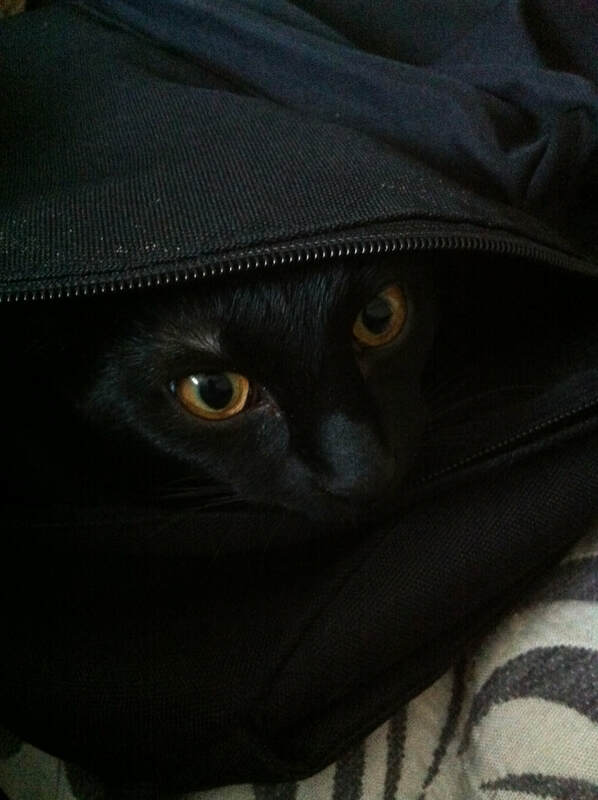 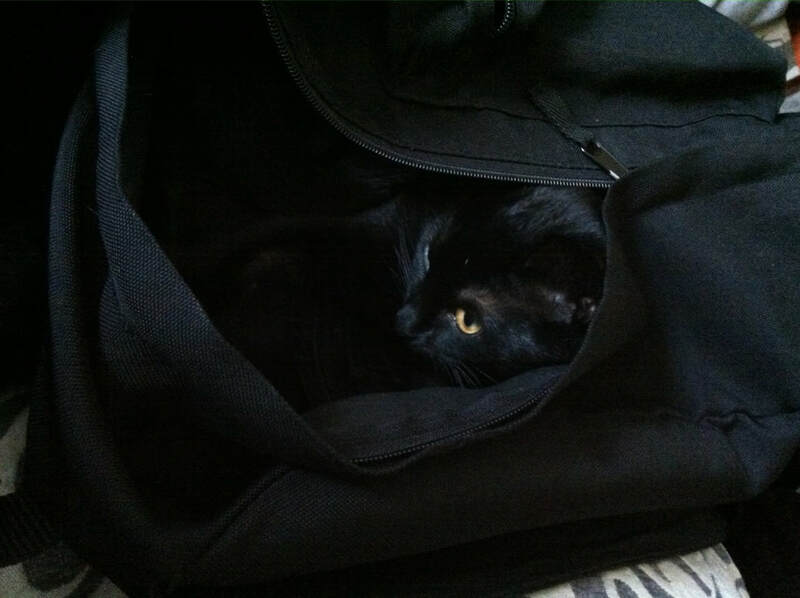 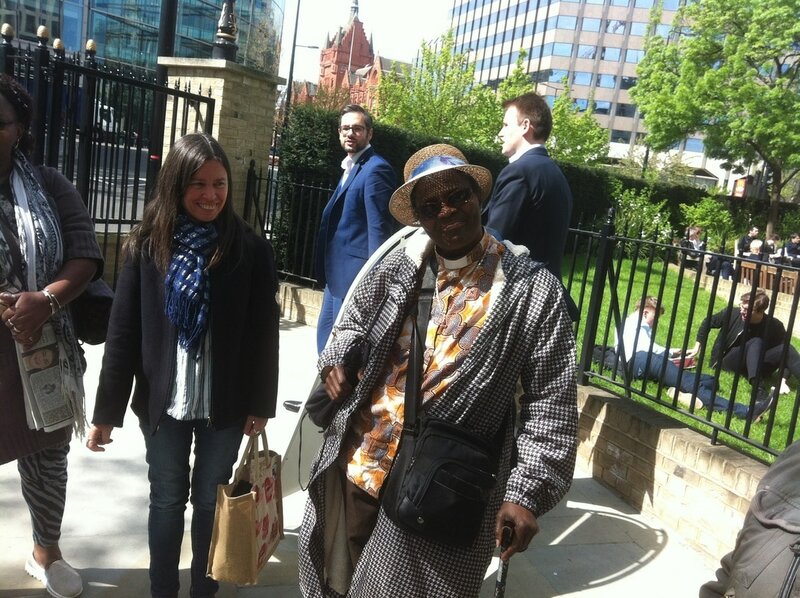 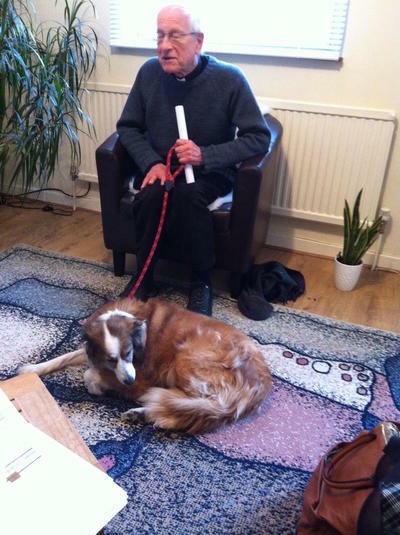 Arthur, our previous care-taker and hall manager is back from Hospital! We had a blessed Home Communion and happy tea morning together. 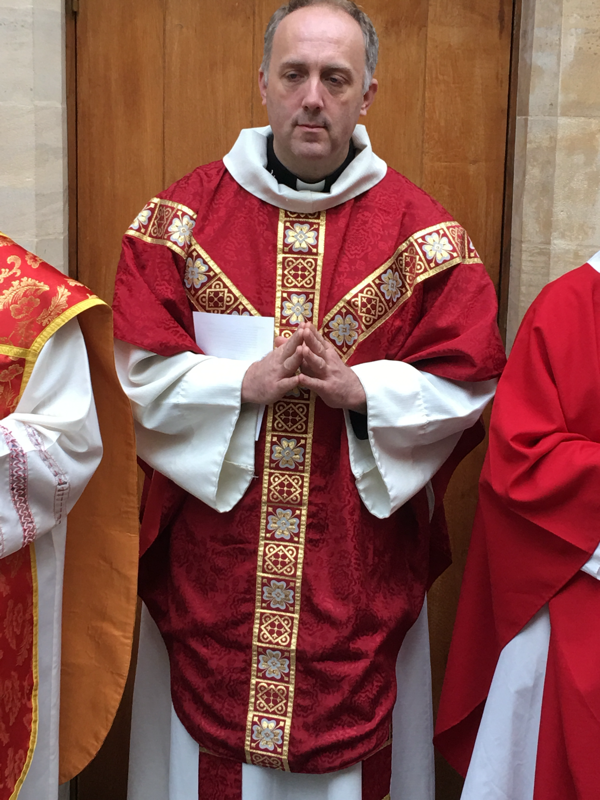 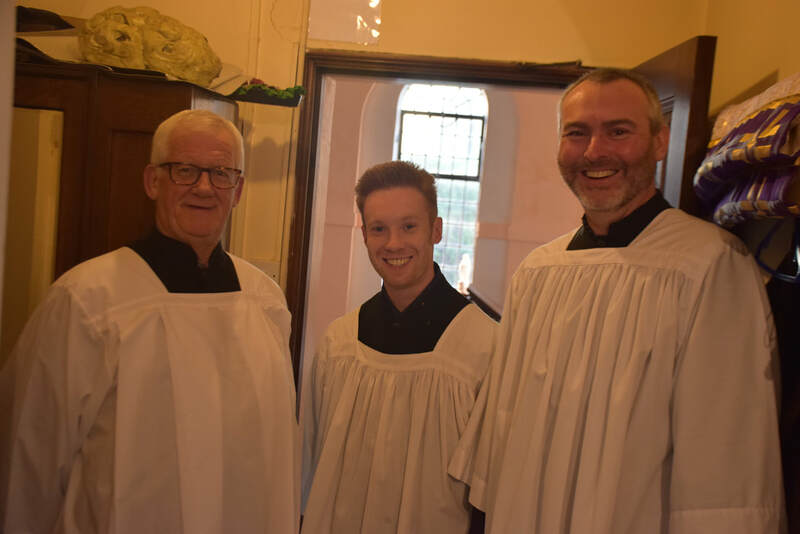 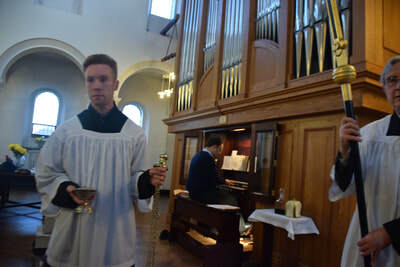 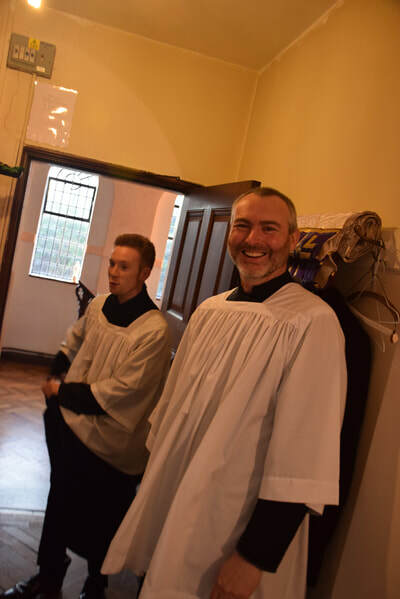 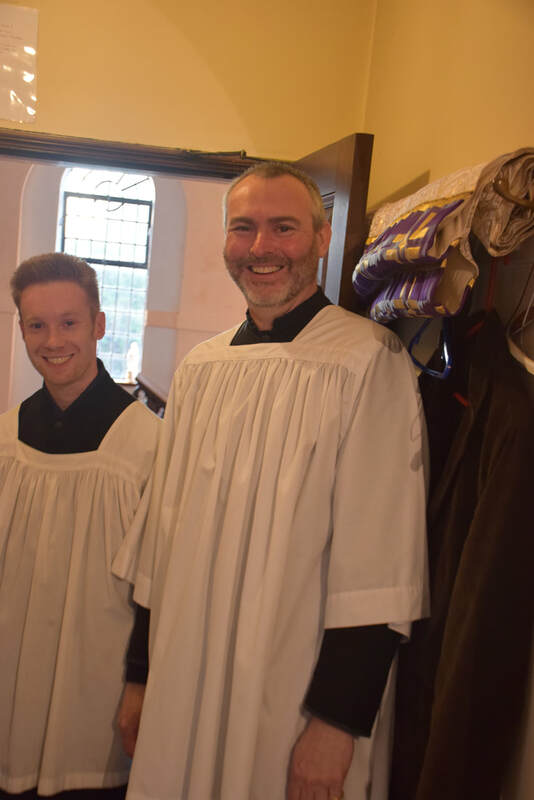 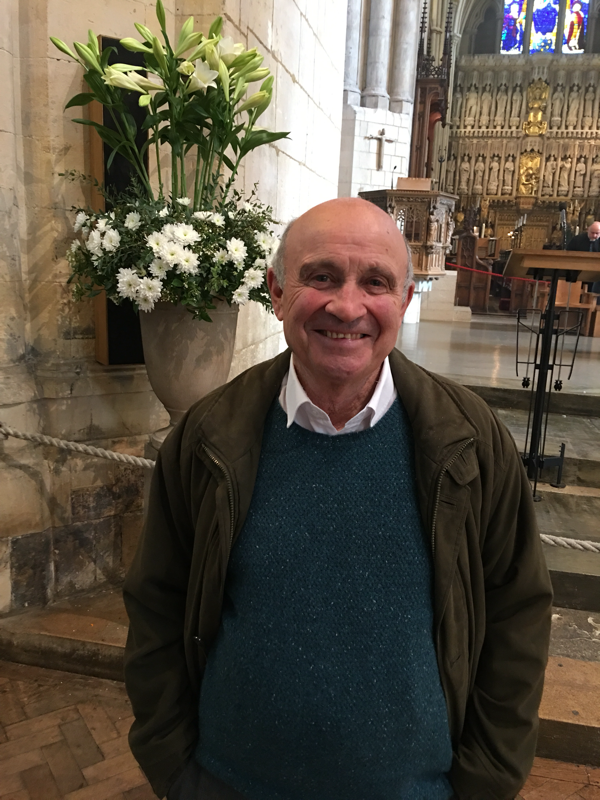 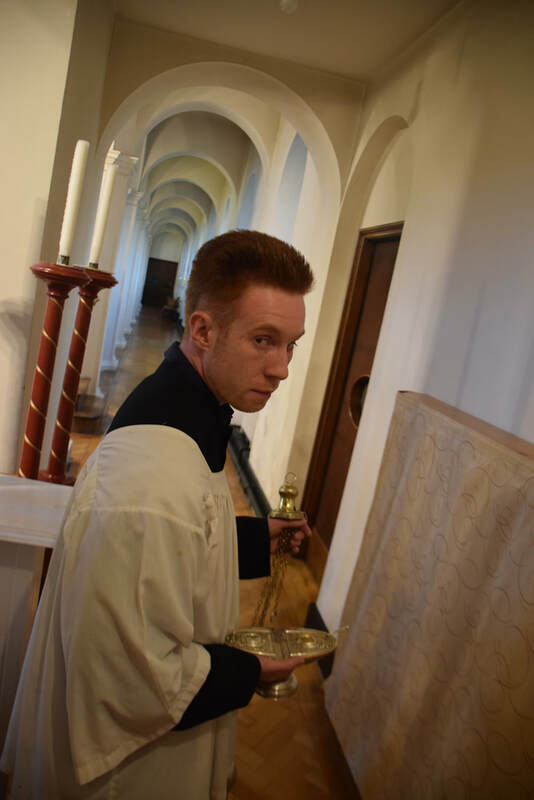 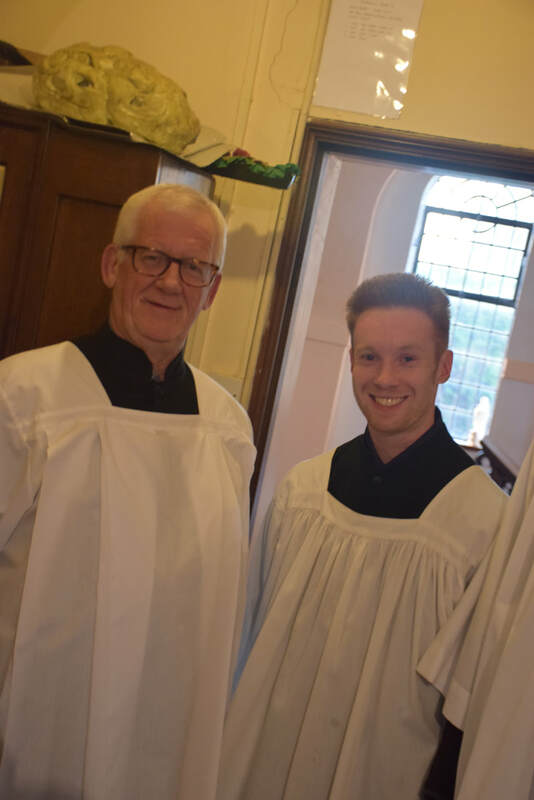 Mark Walley, who is training for the priesthood joined us, as our parish is his pastoral placement for the coming two weeks. 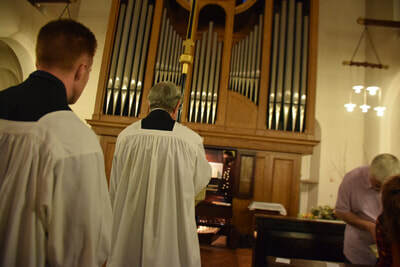 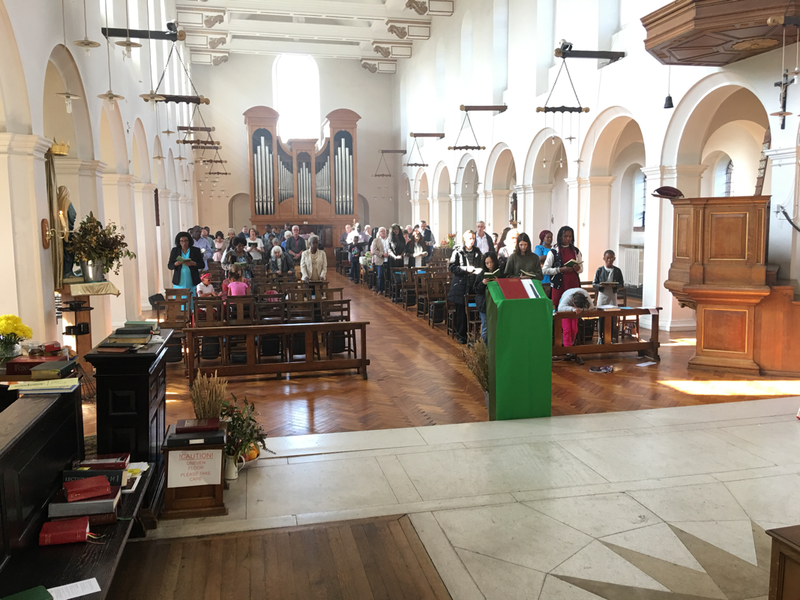 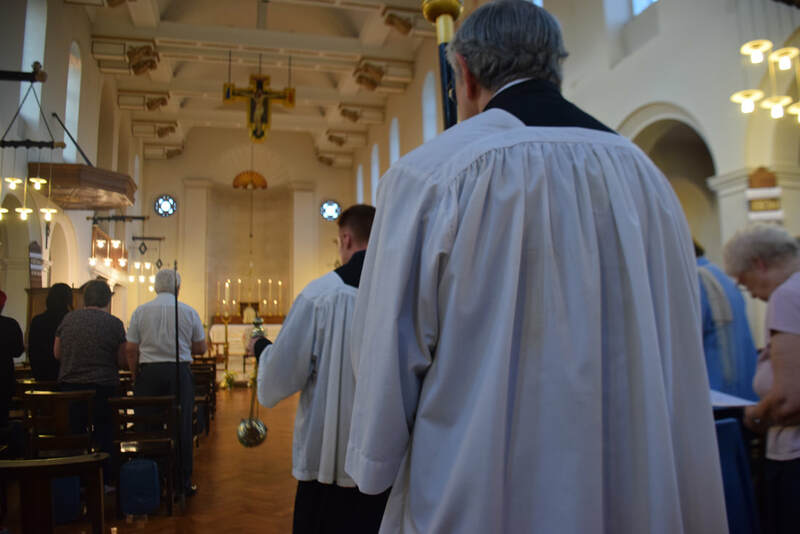 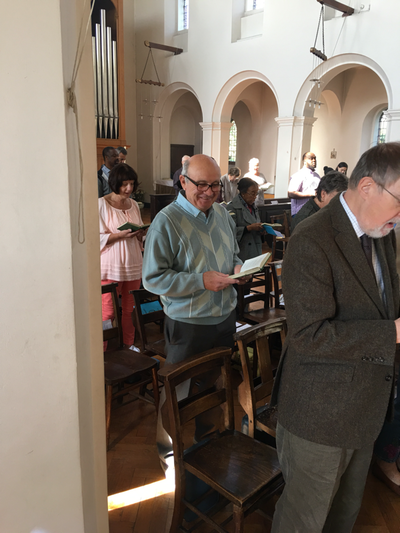 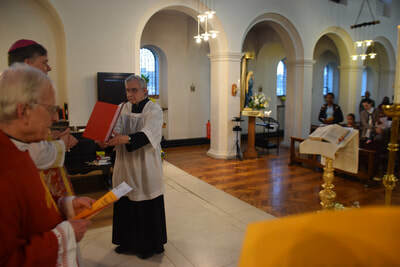 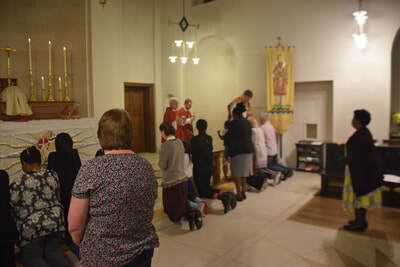 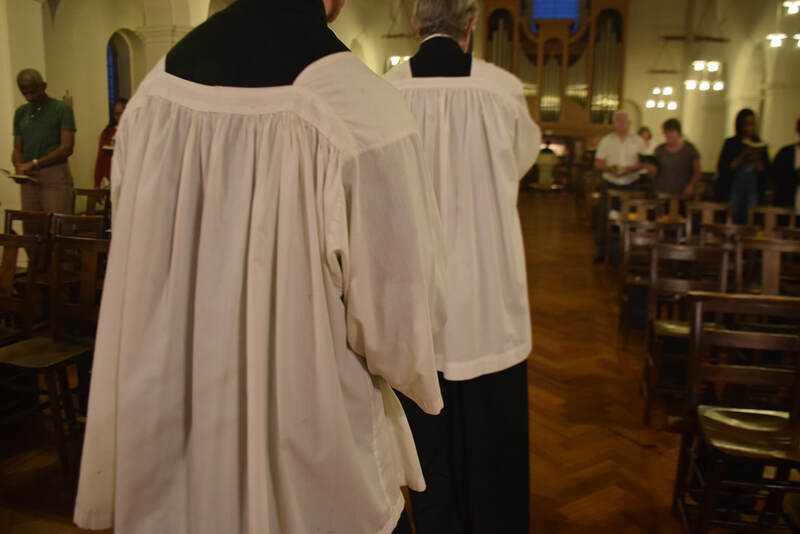 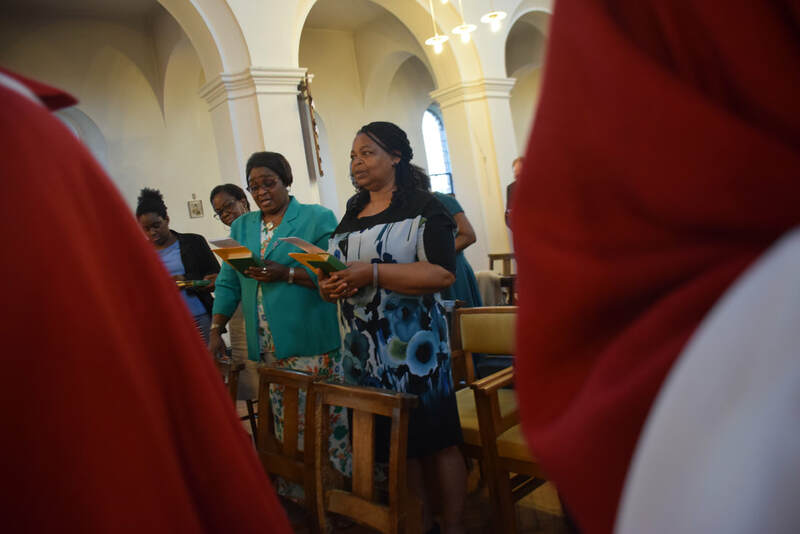 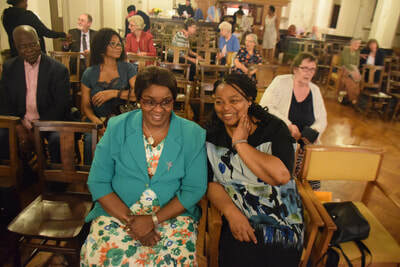 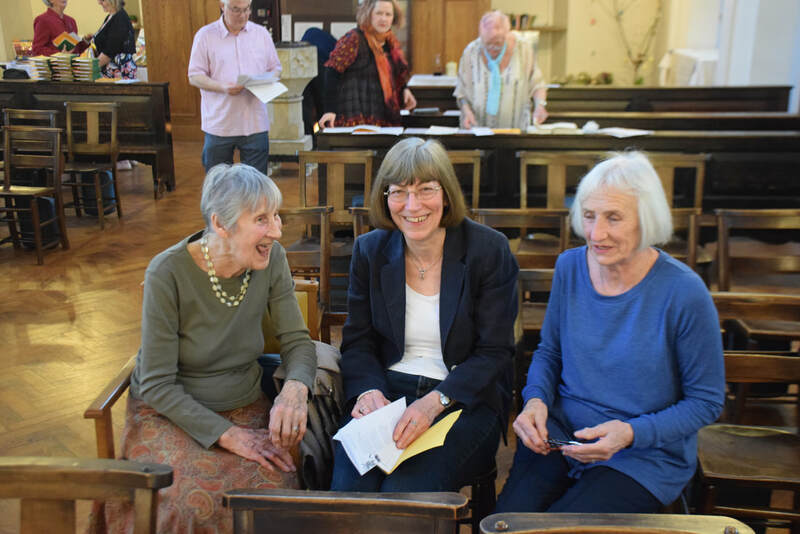 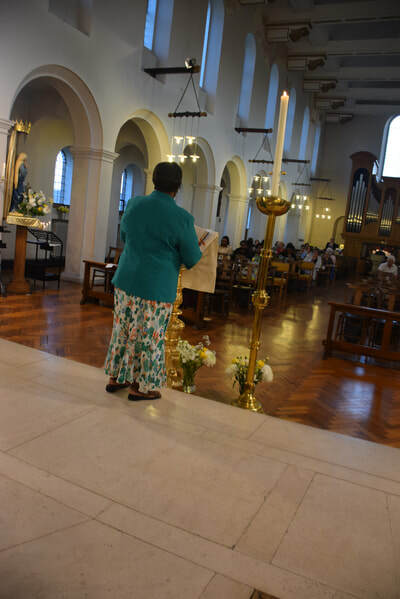 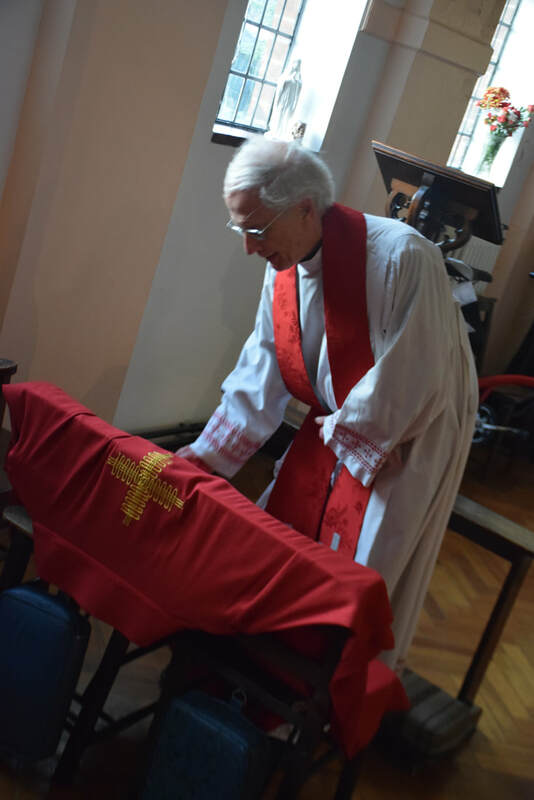 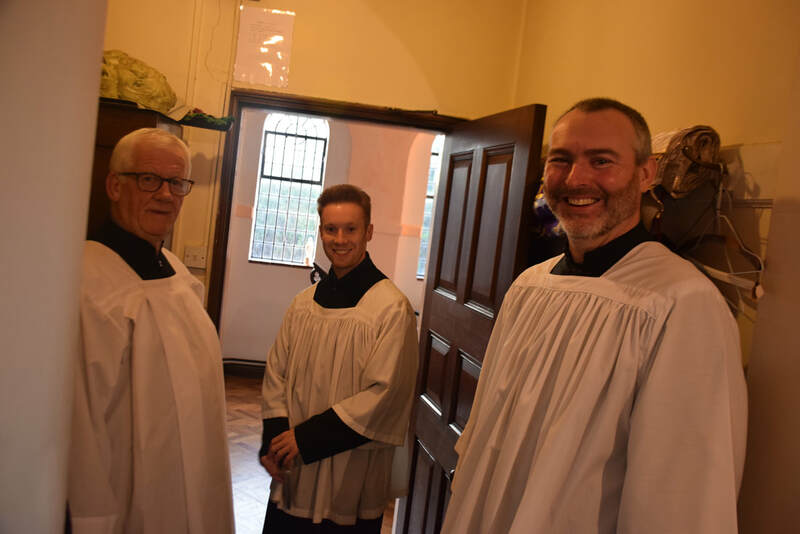 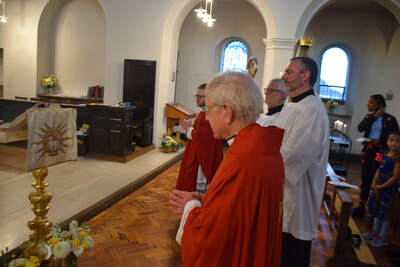 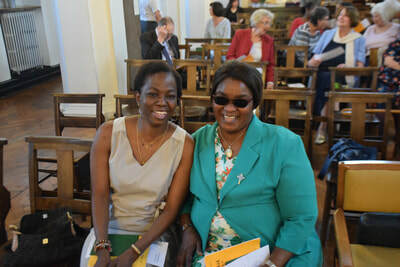 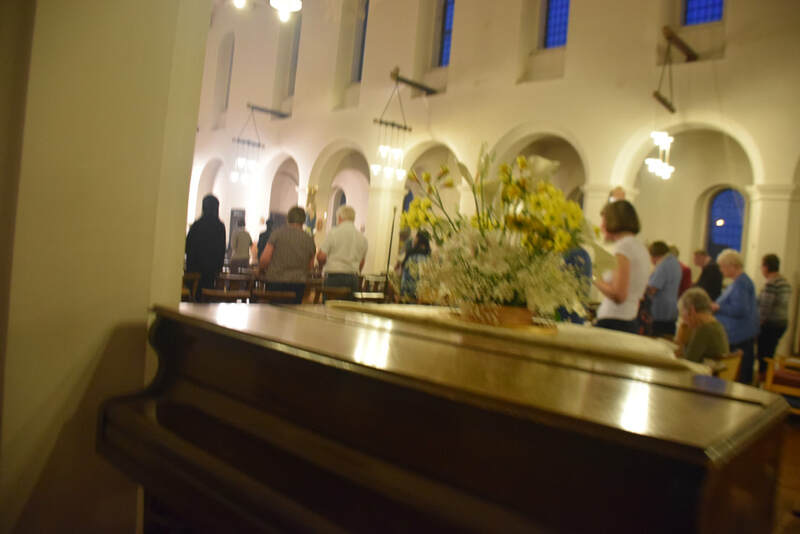 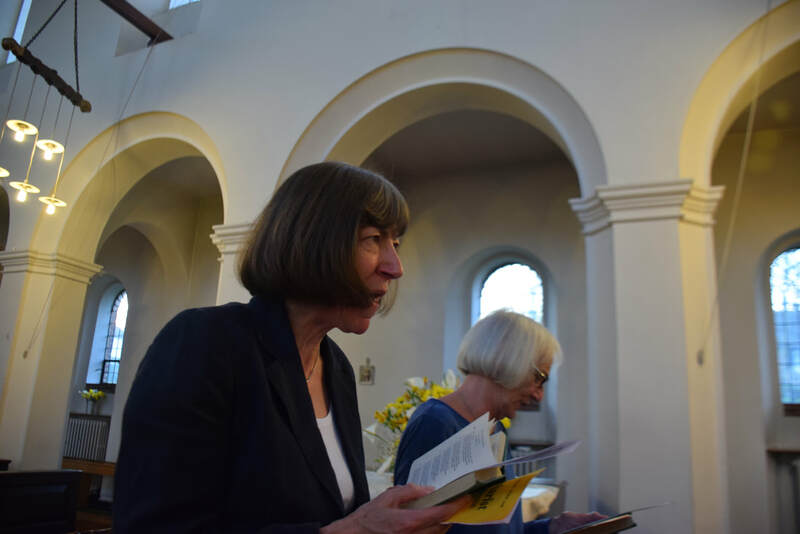 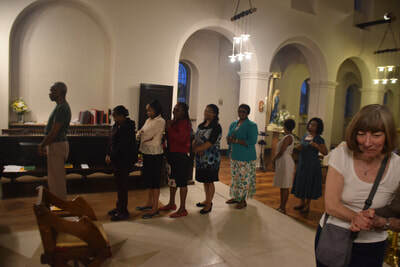 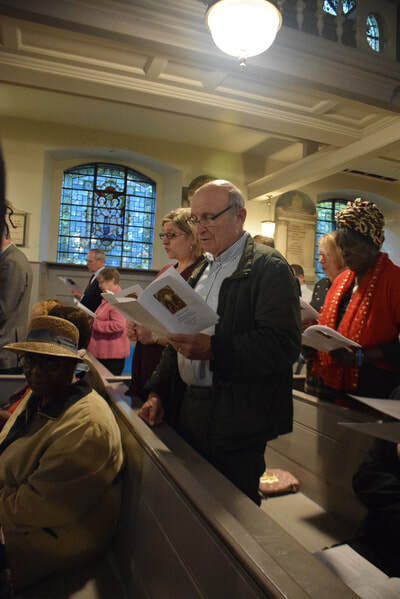 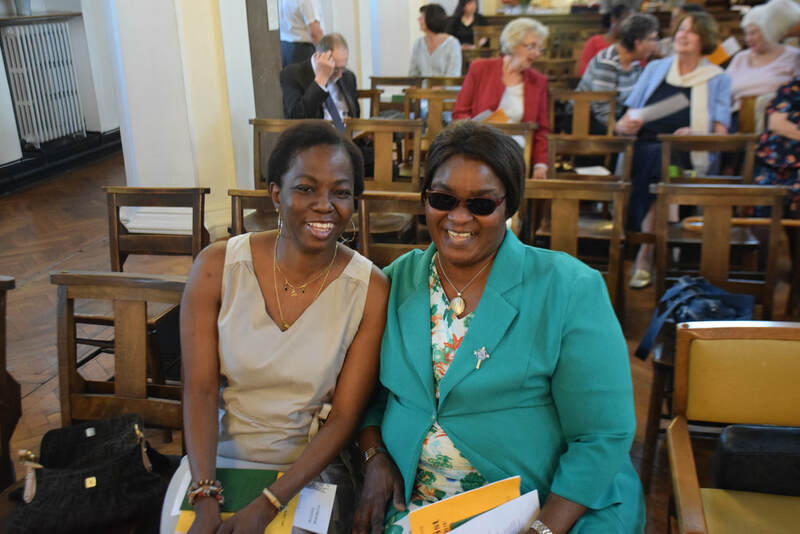 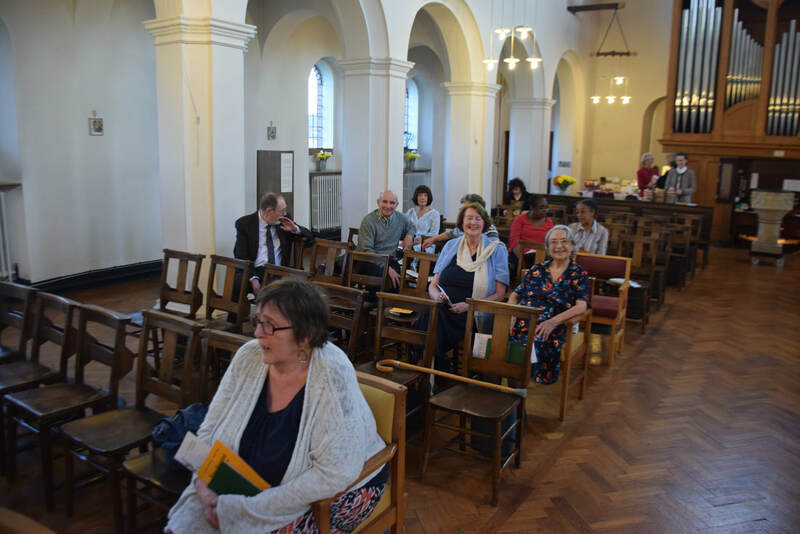 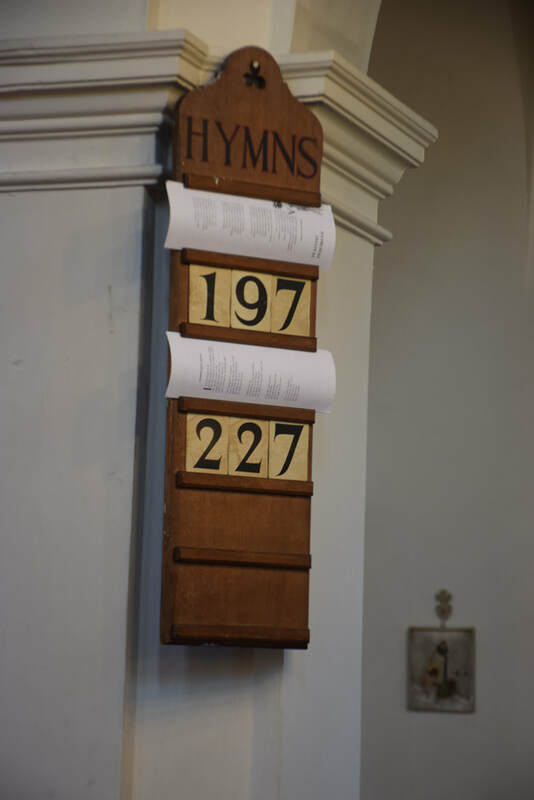 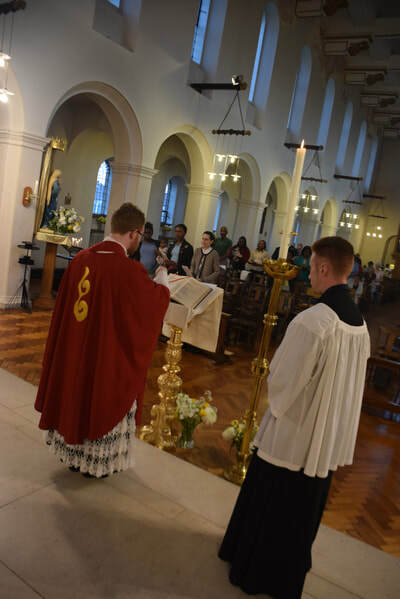 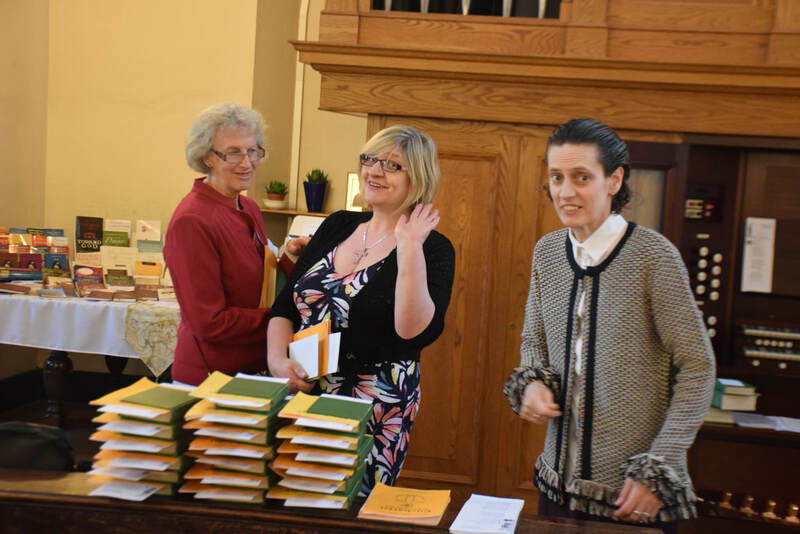 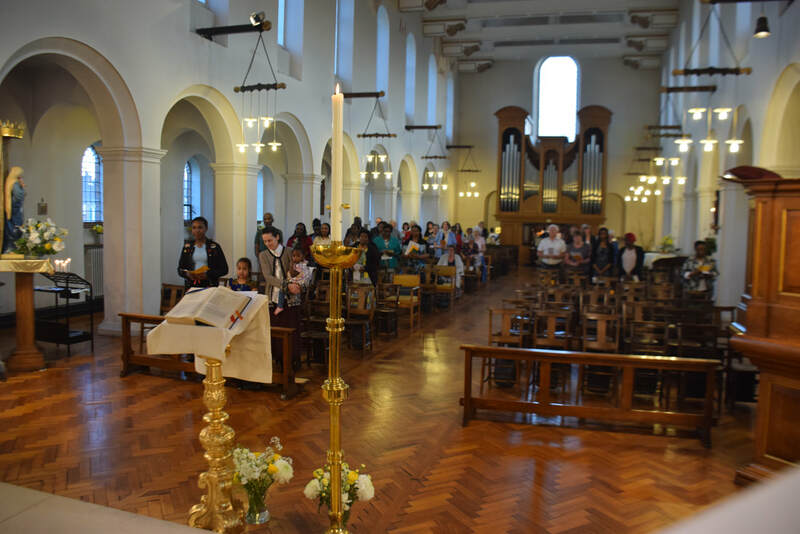 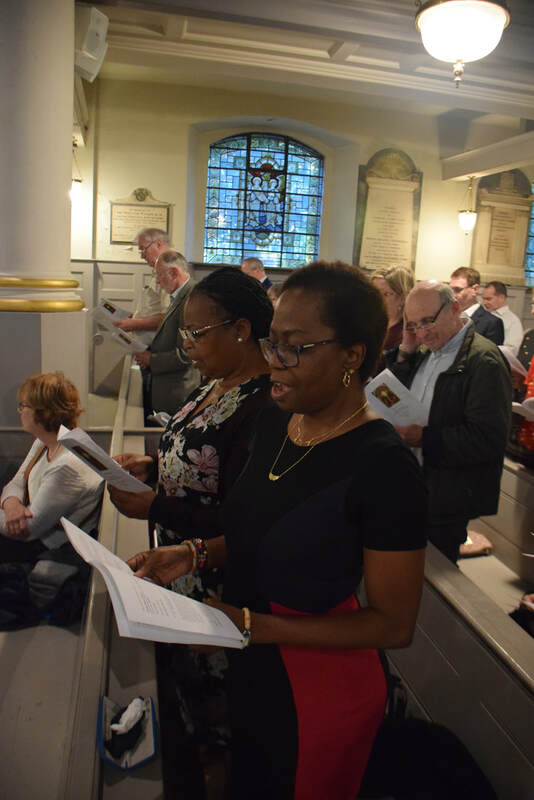 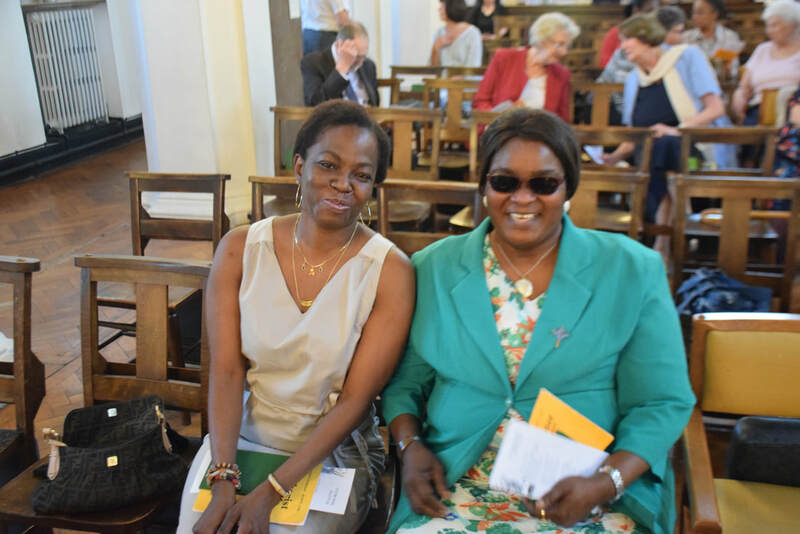 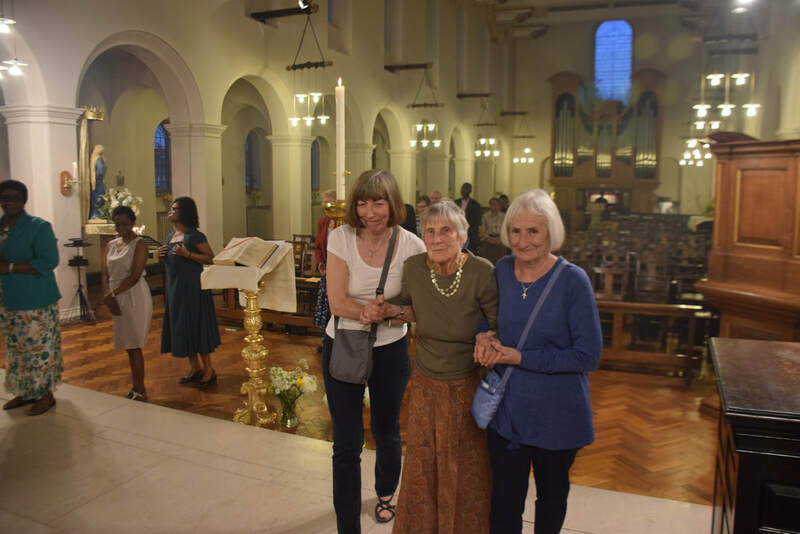 21.05.2018 Our Churcwardens took their pledge - at St John's, Hampstead. 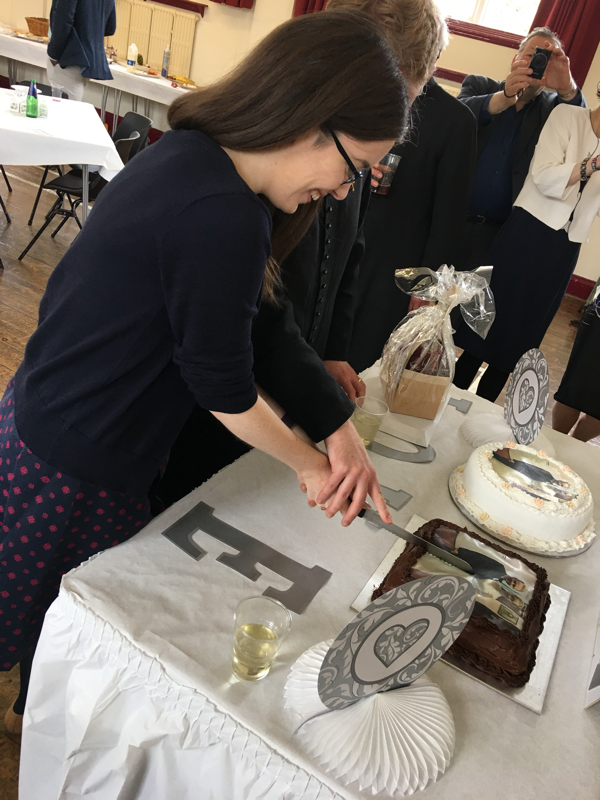 Congratulations to Anita, Loris, Lynn, and Len! 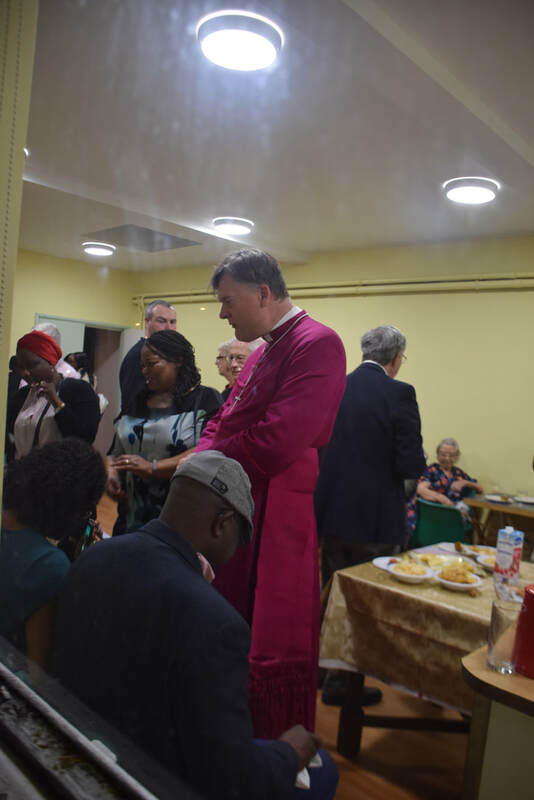 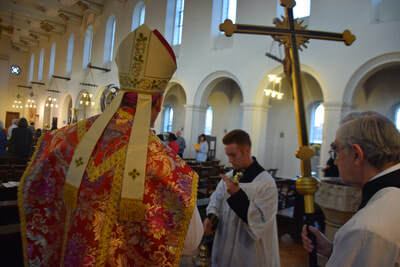 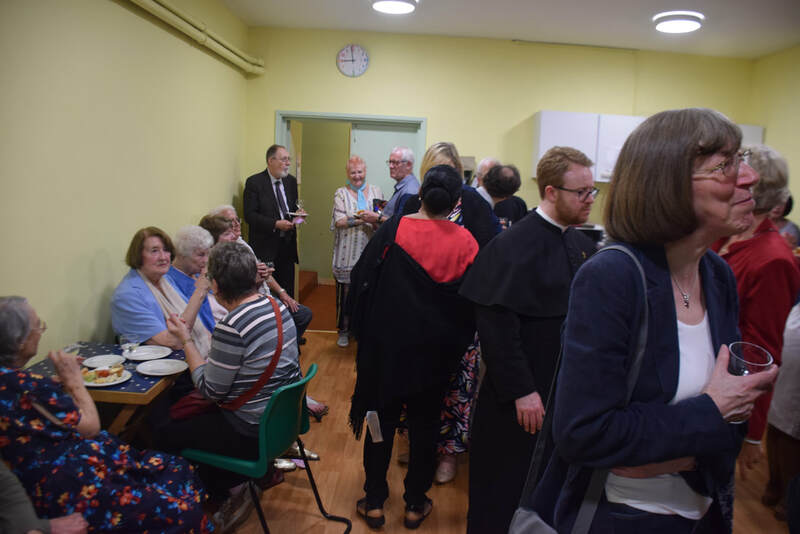 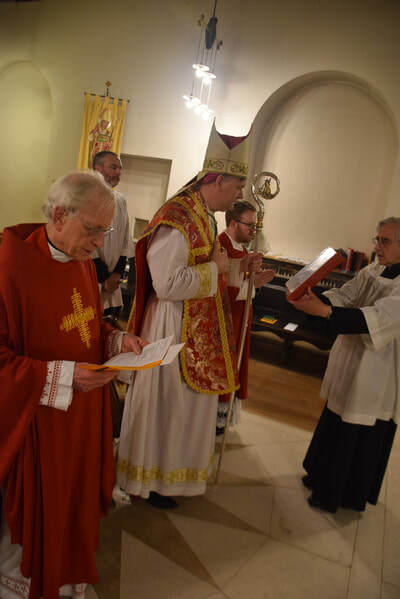 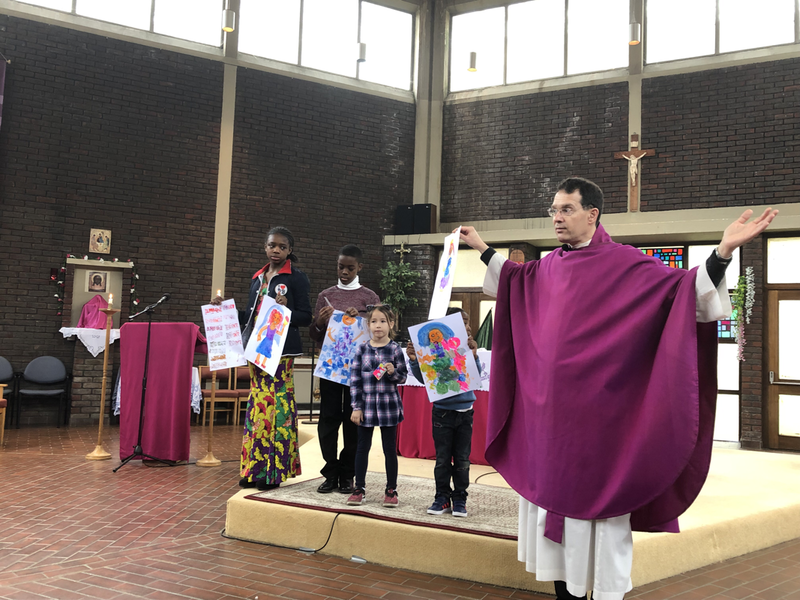 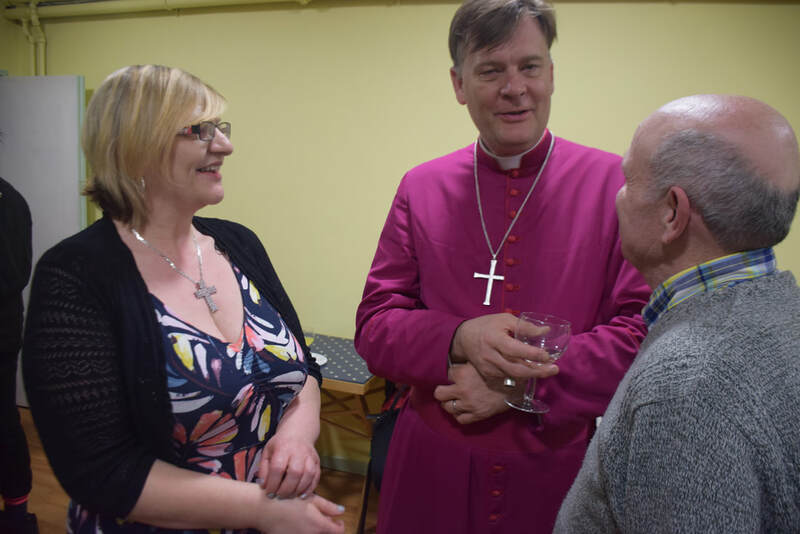 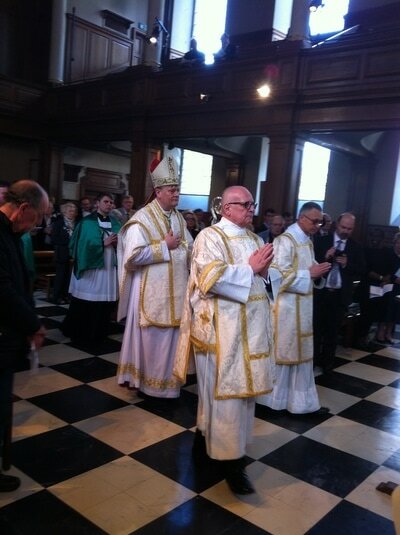 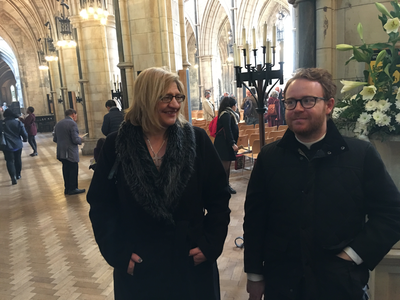 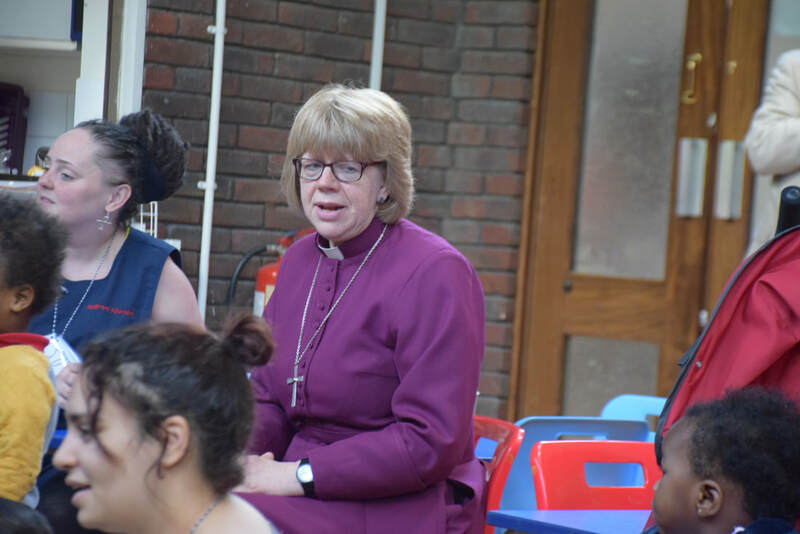 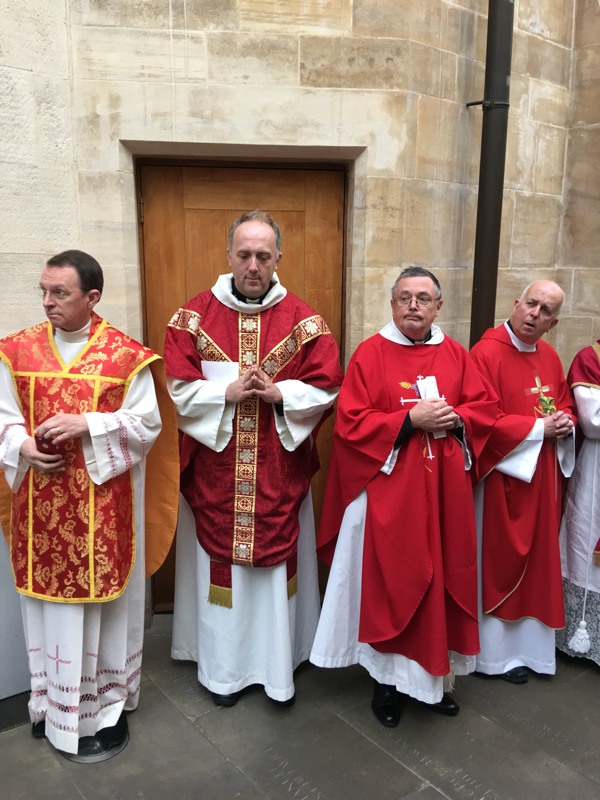 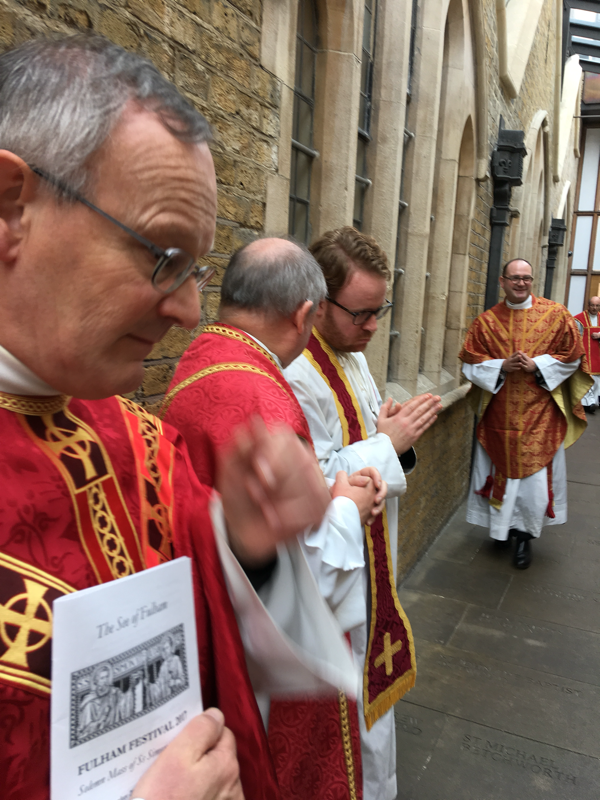 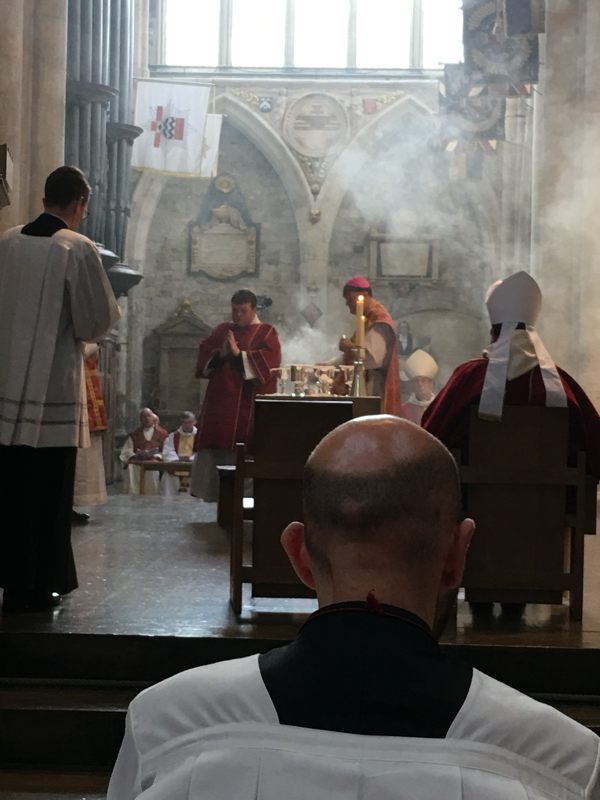 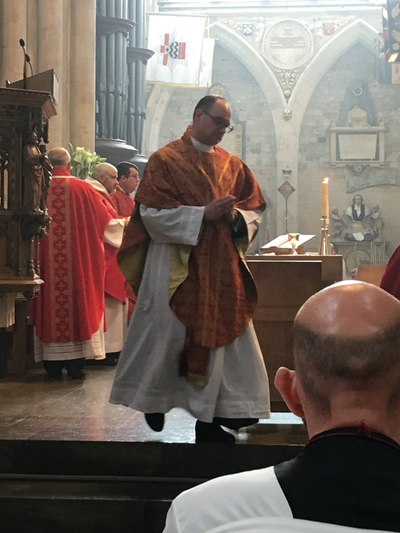 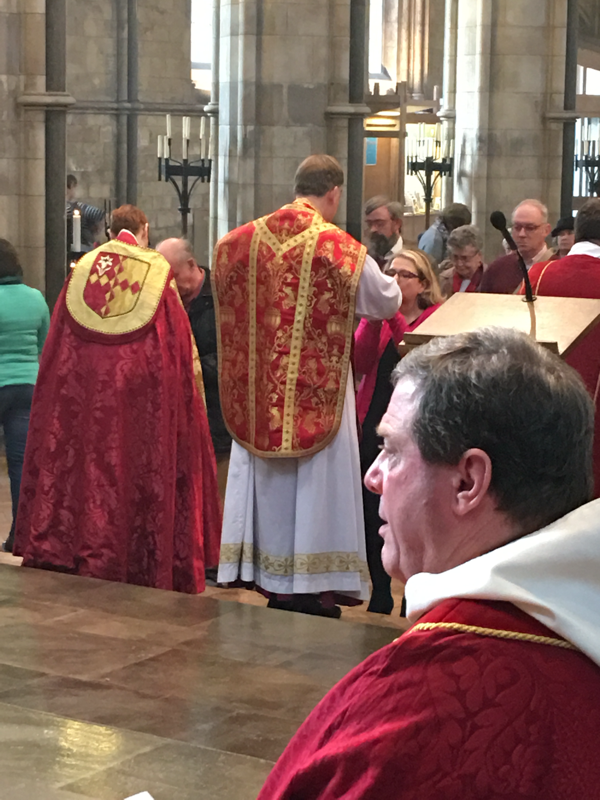 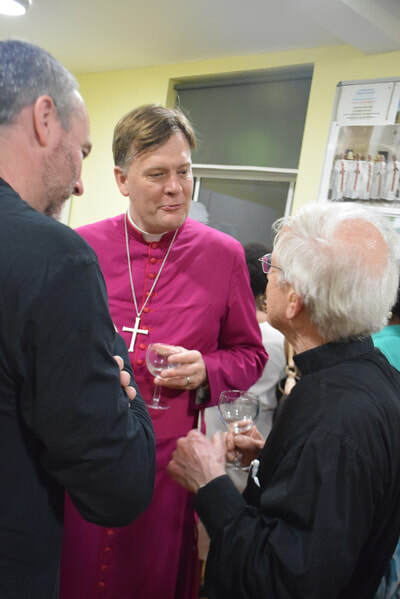 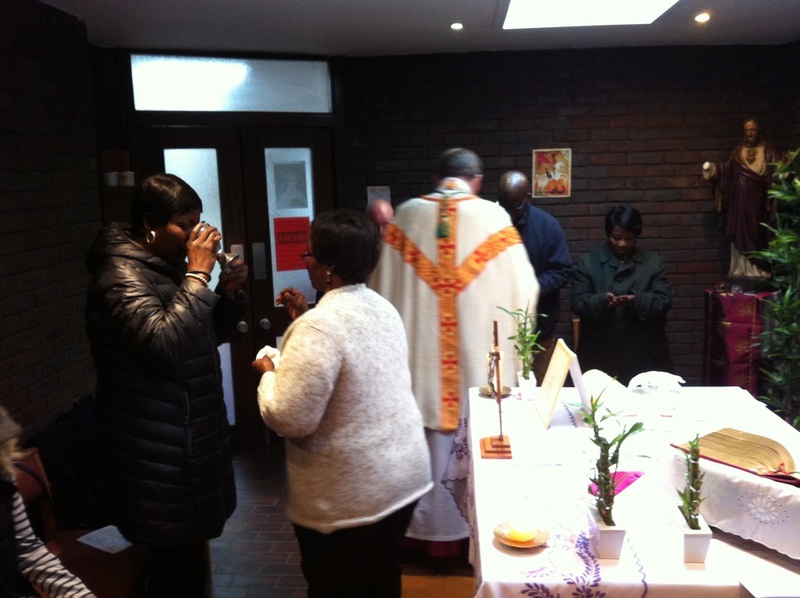 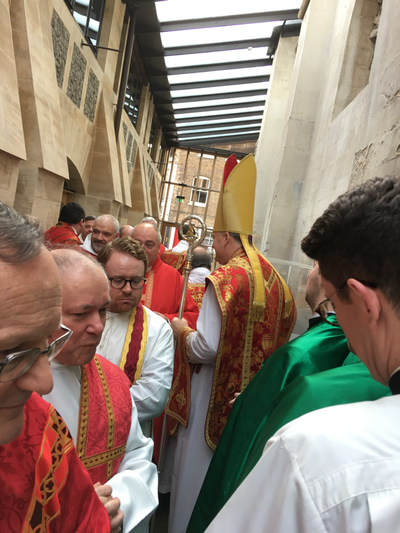 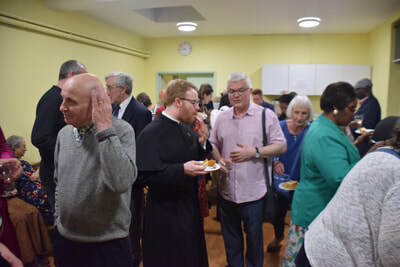 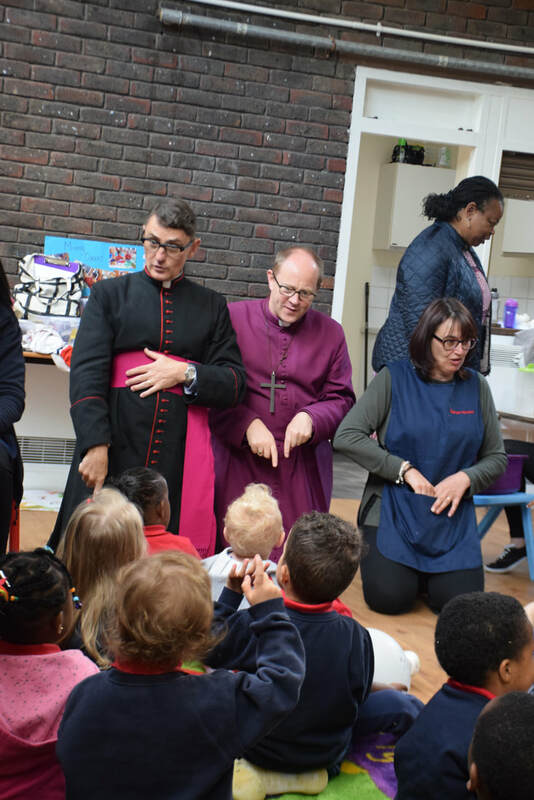 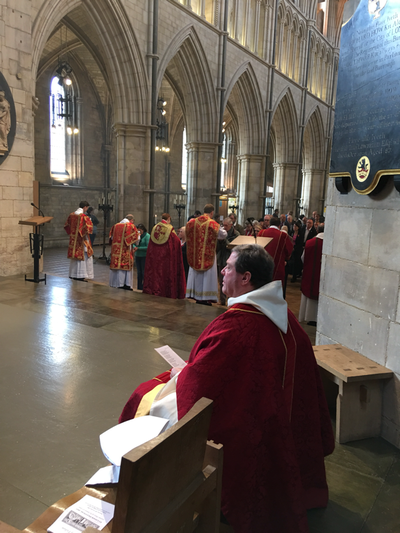 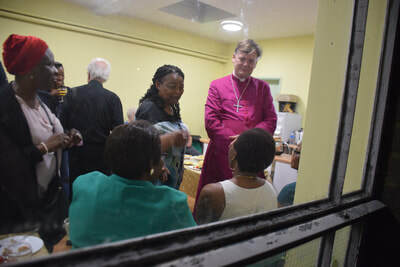 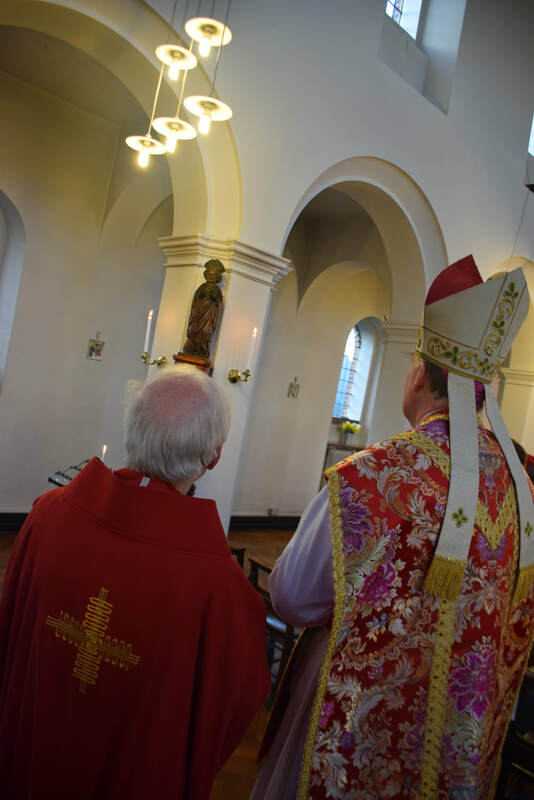 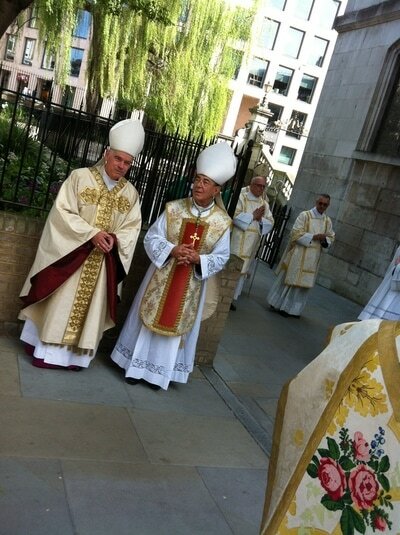 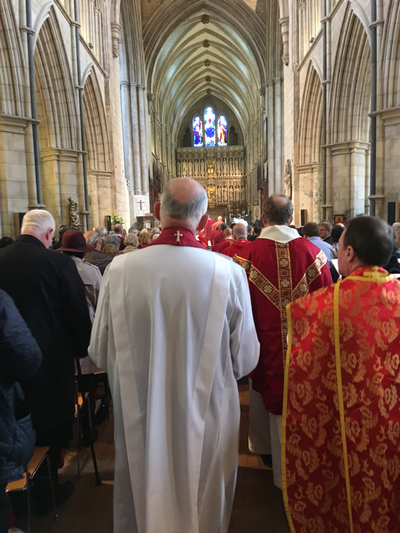 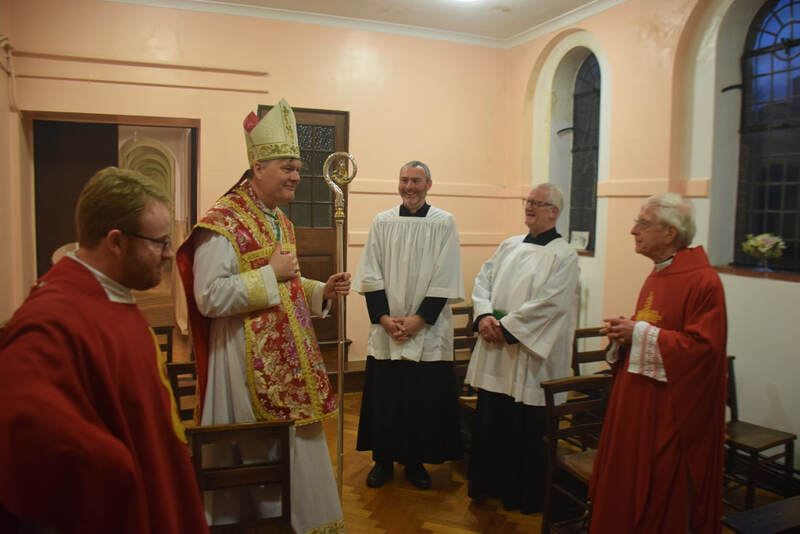 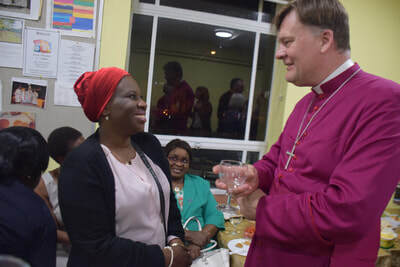 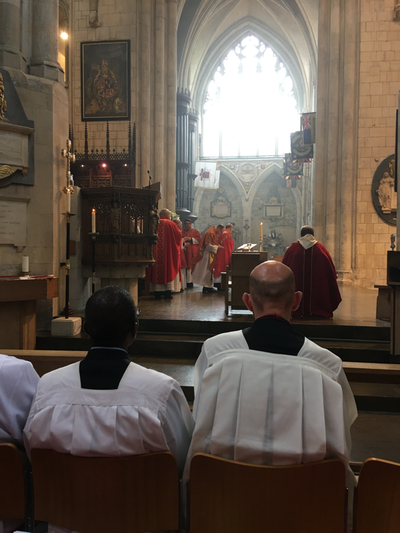 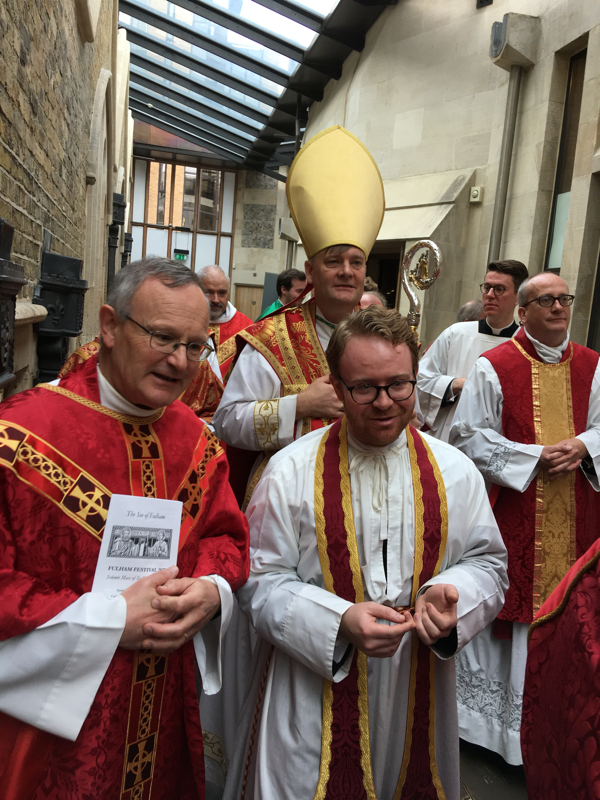 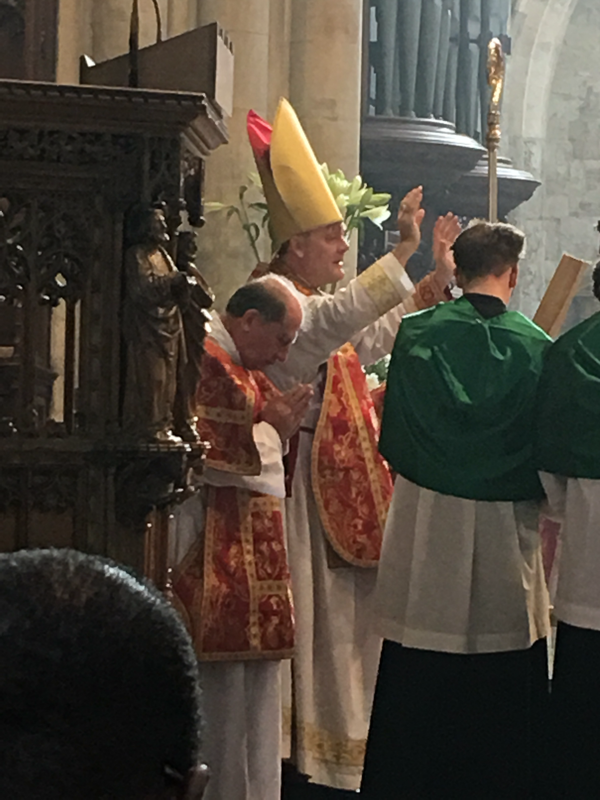 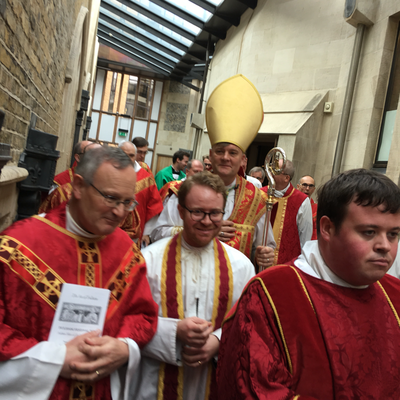 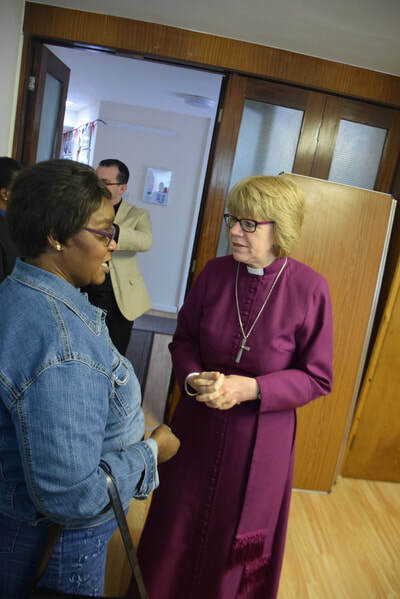 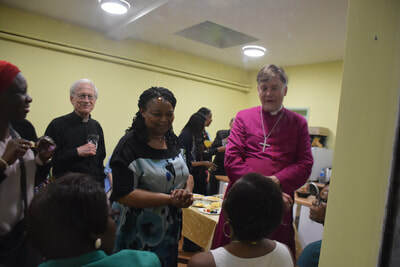 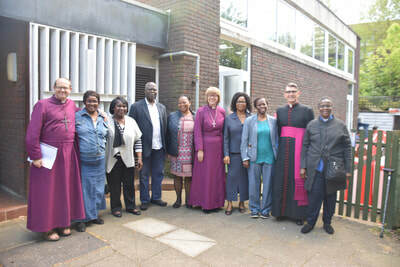 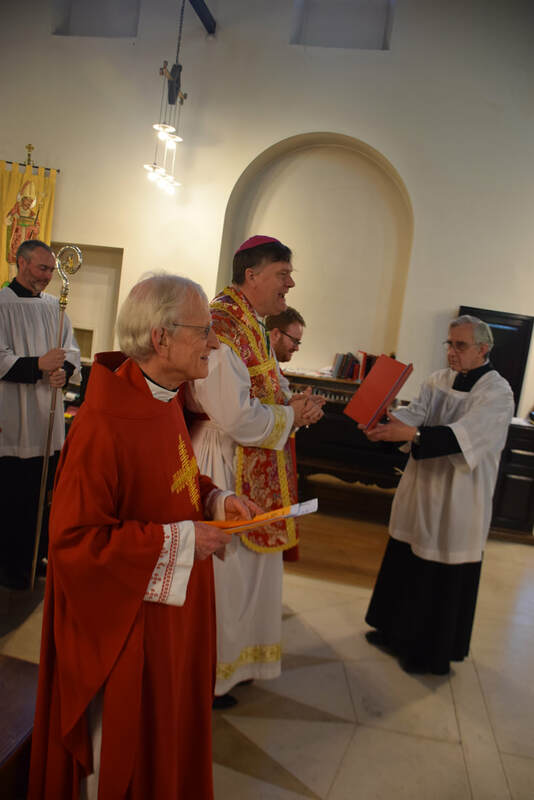 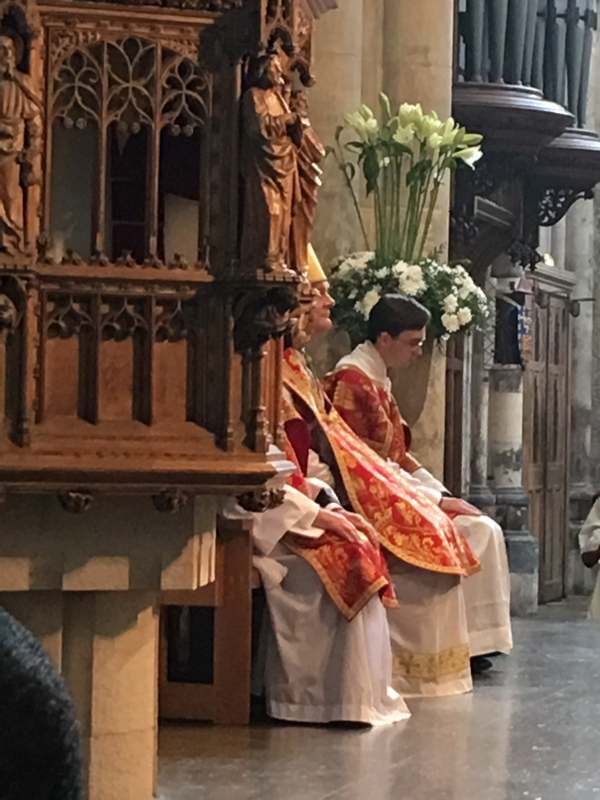 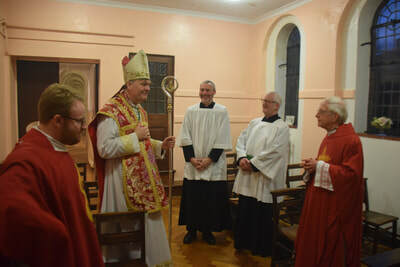 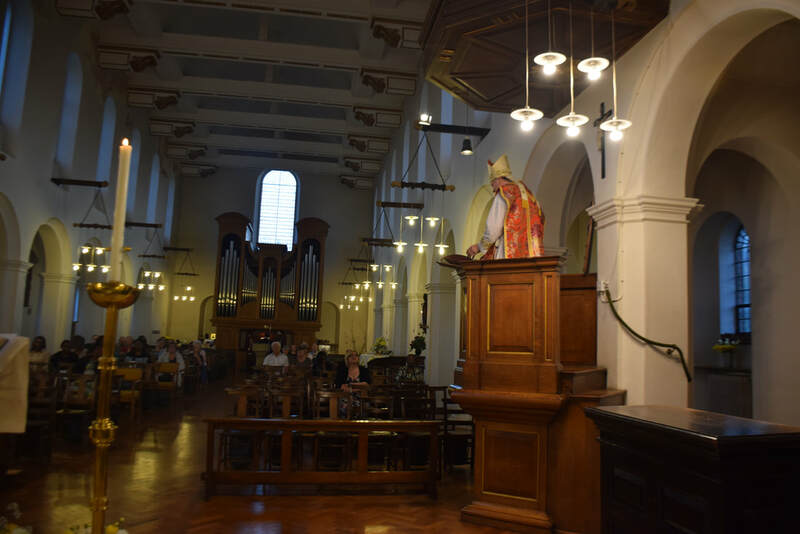 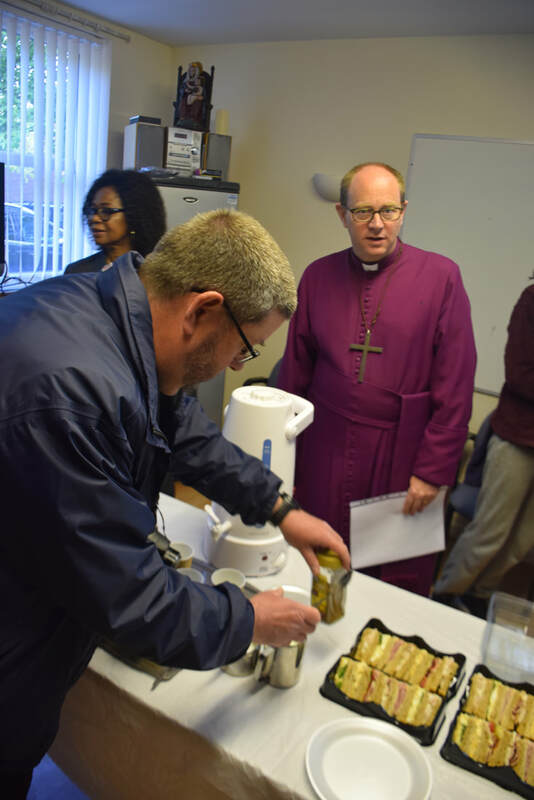 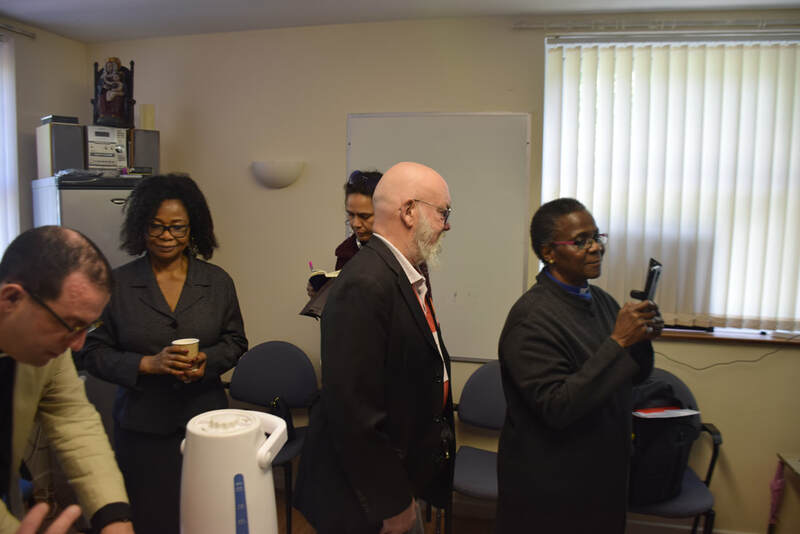 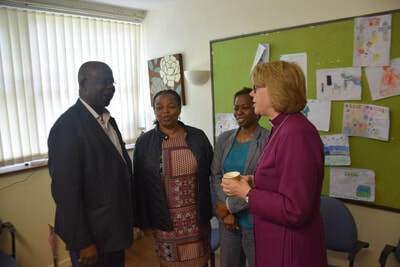 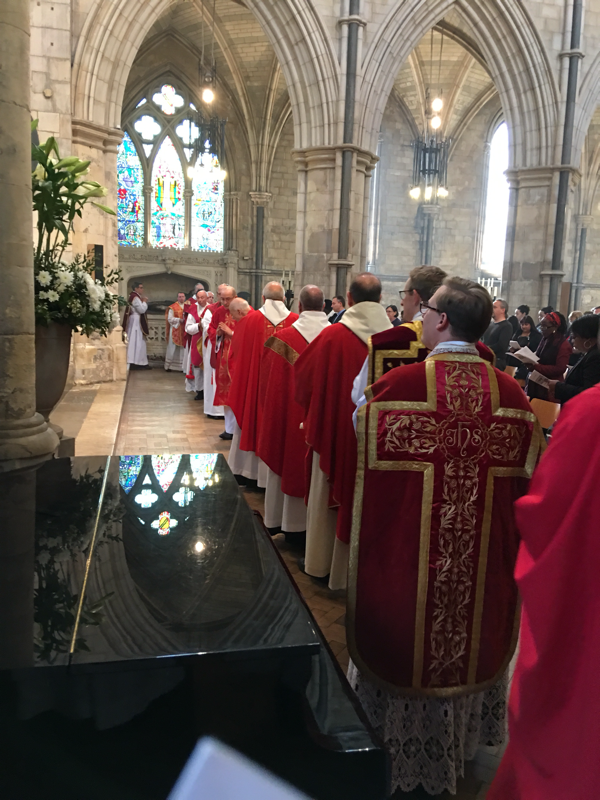 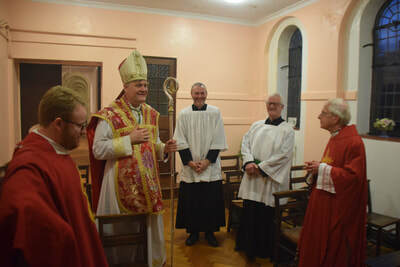 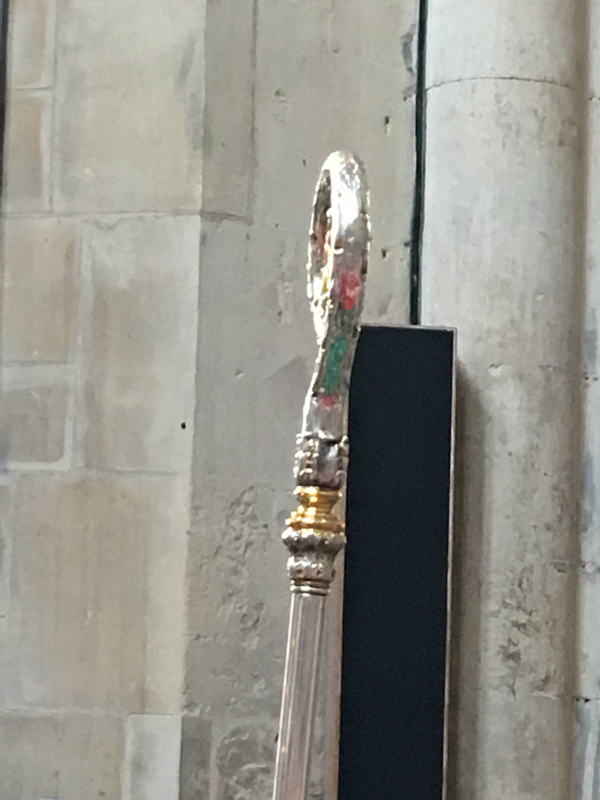 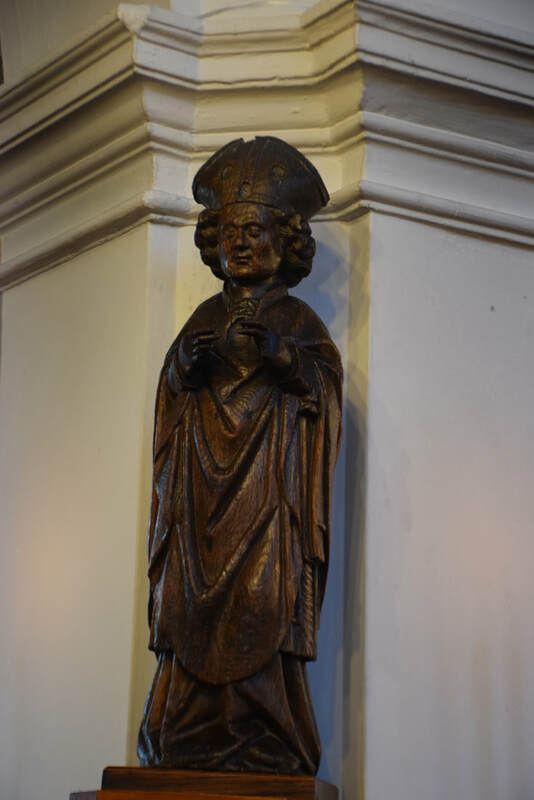 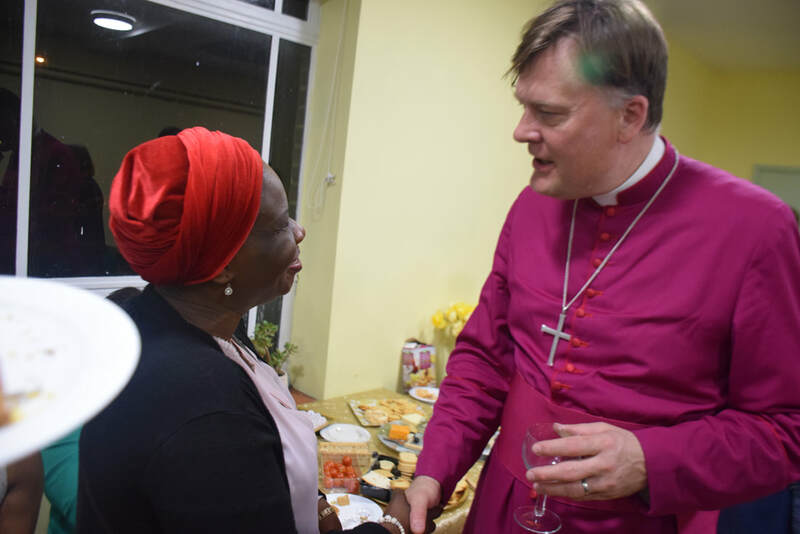 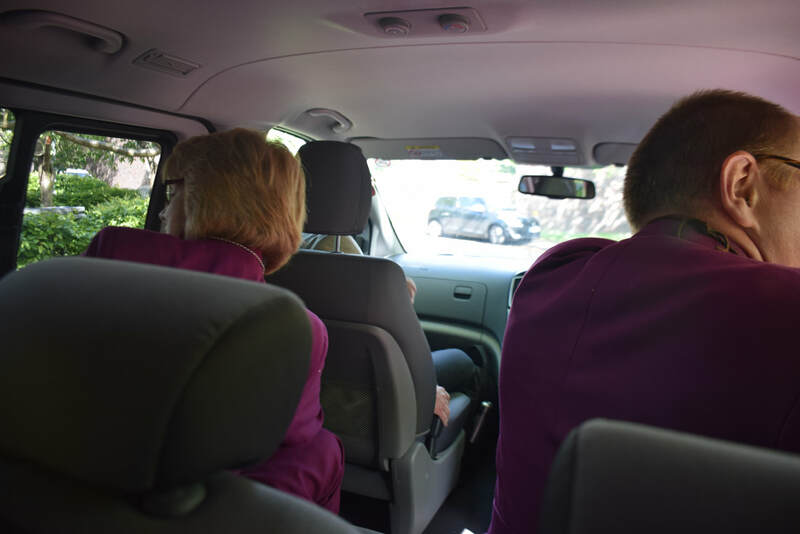 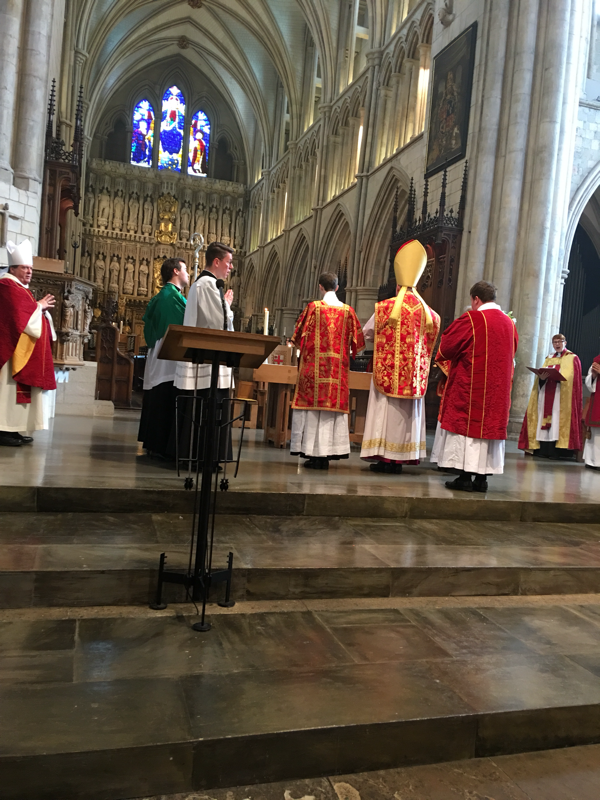 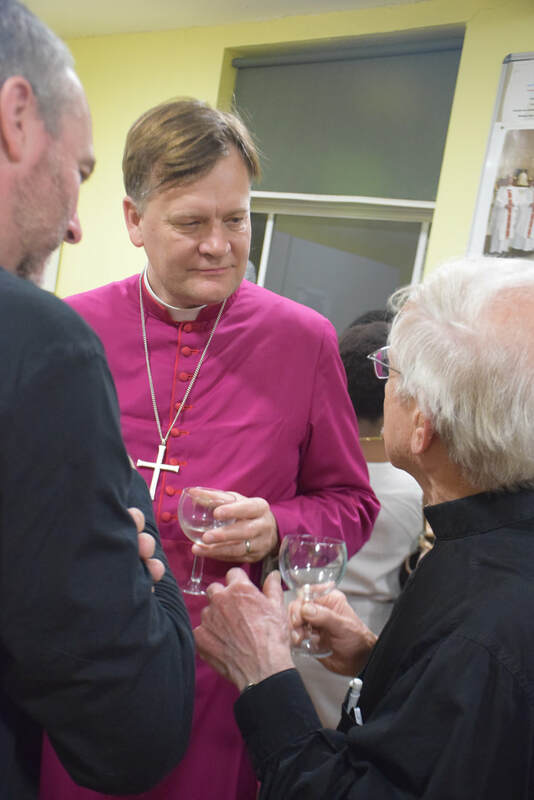 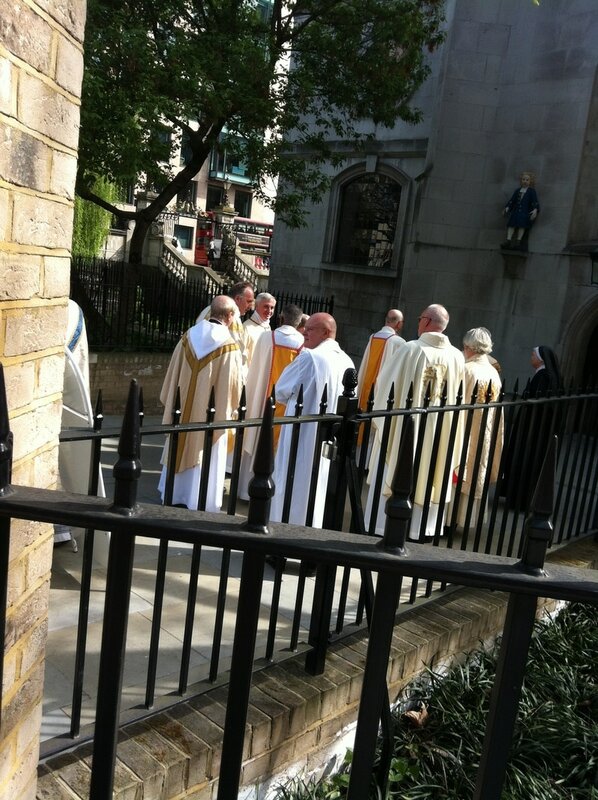 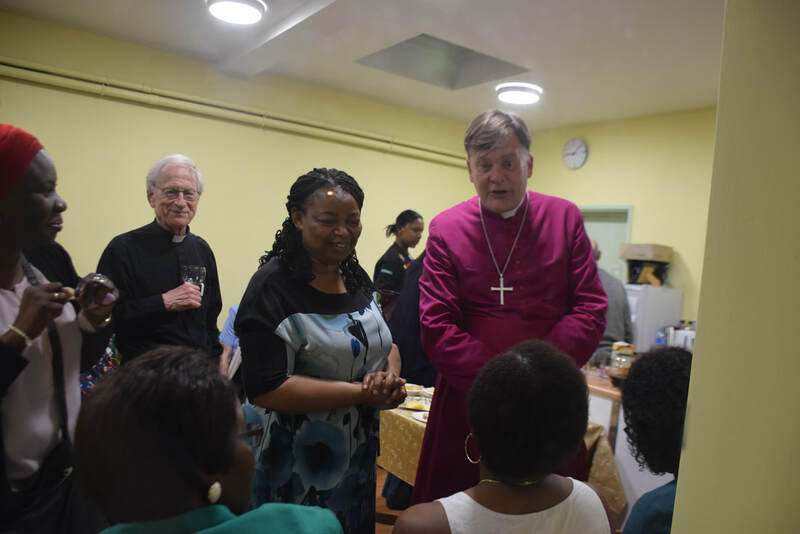 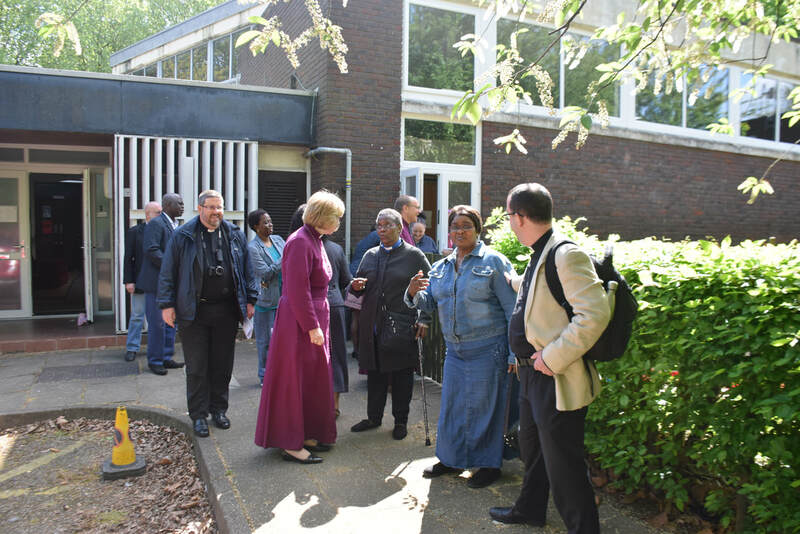 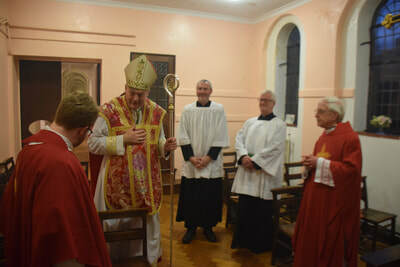 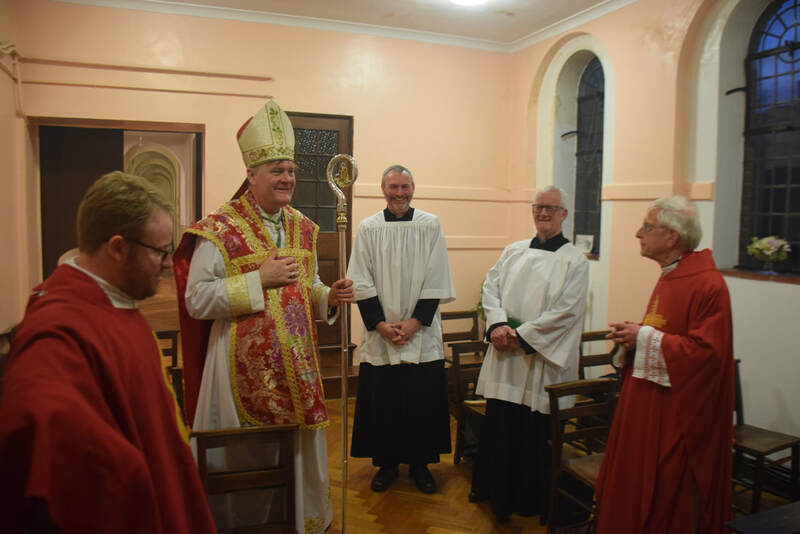 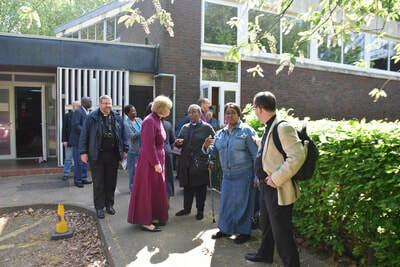 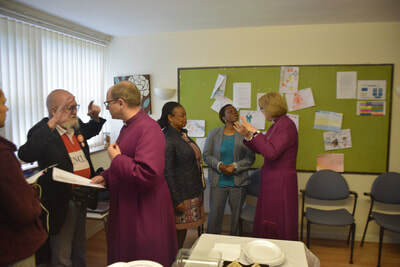 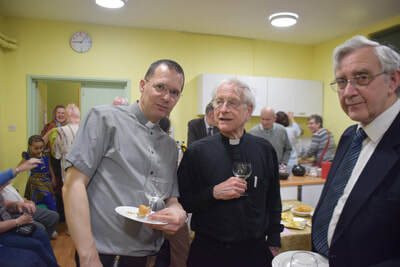 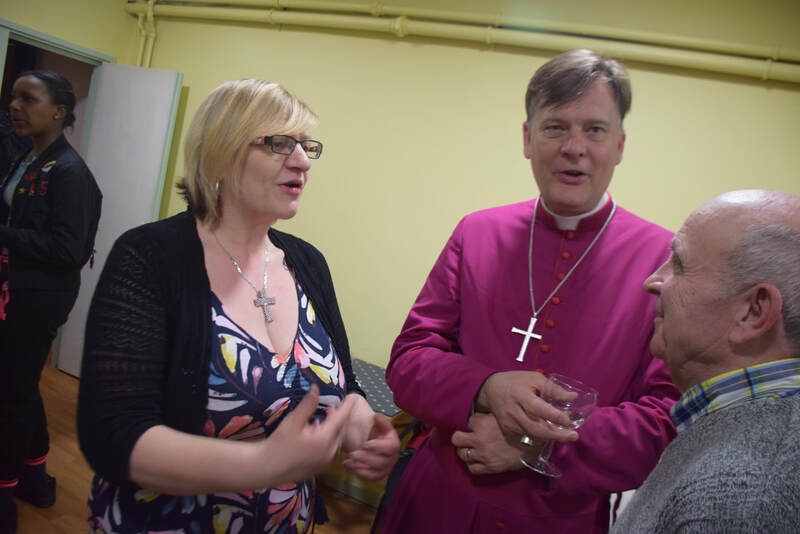 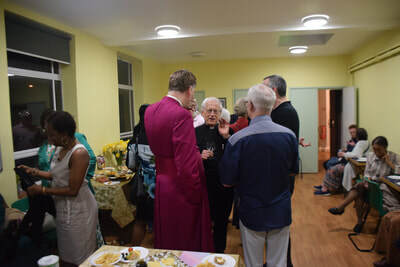 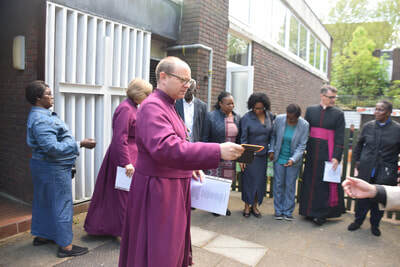 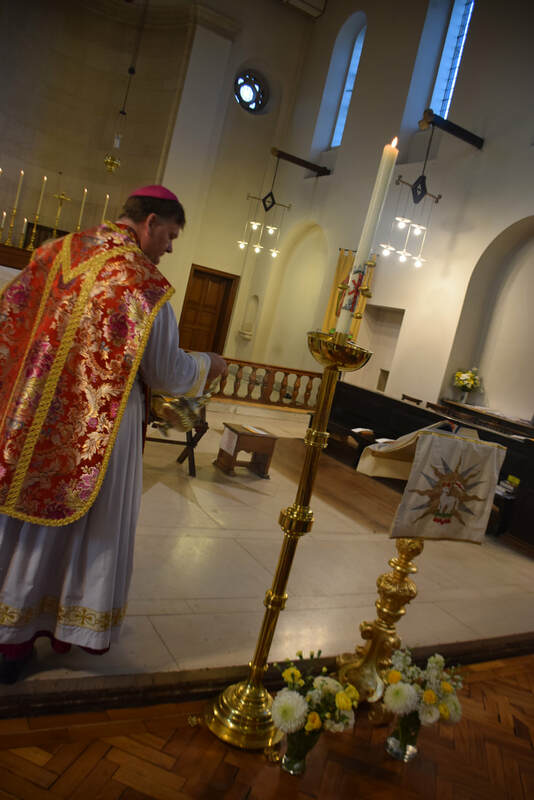 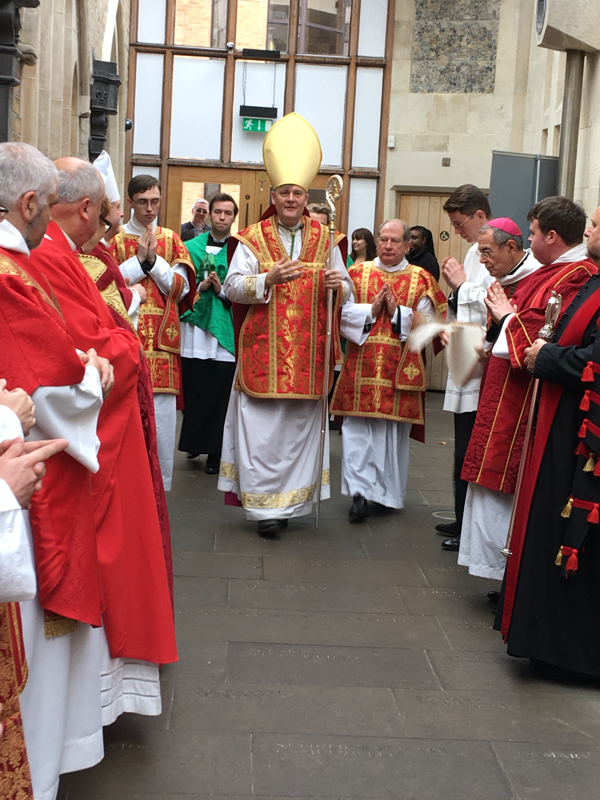 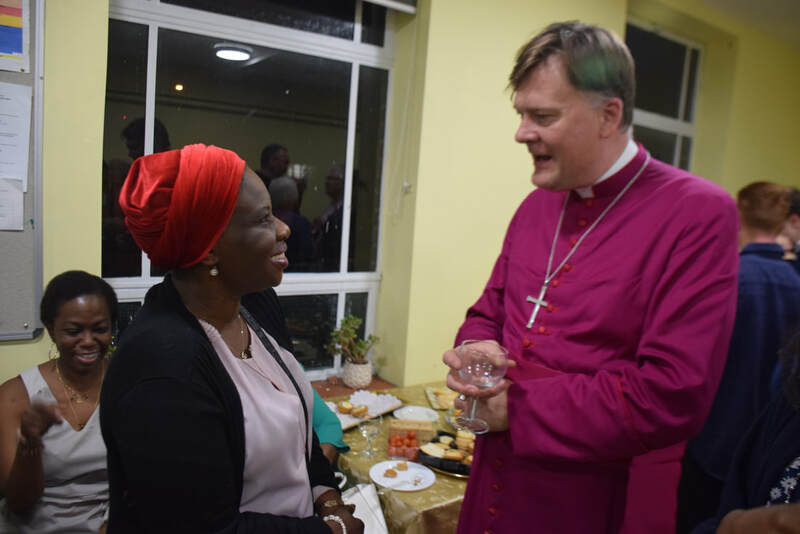 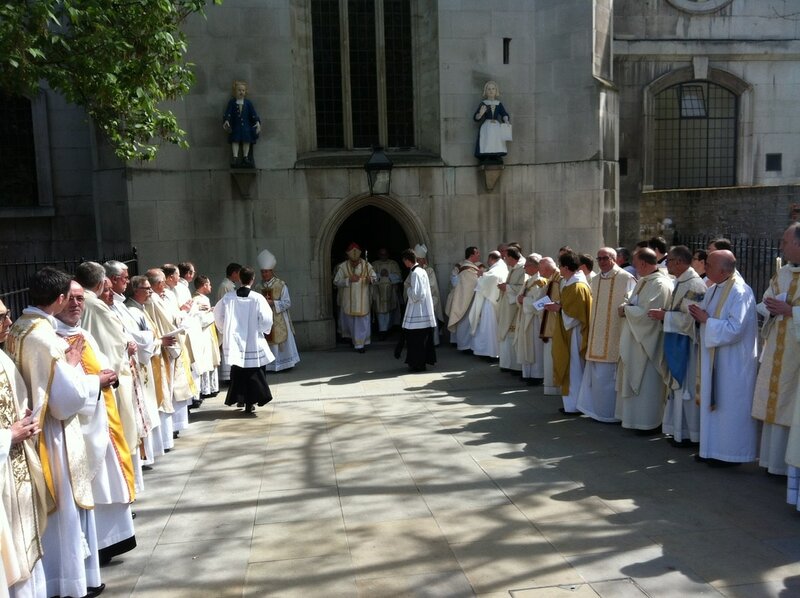 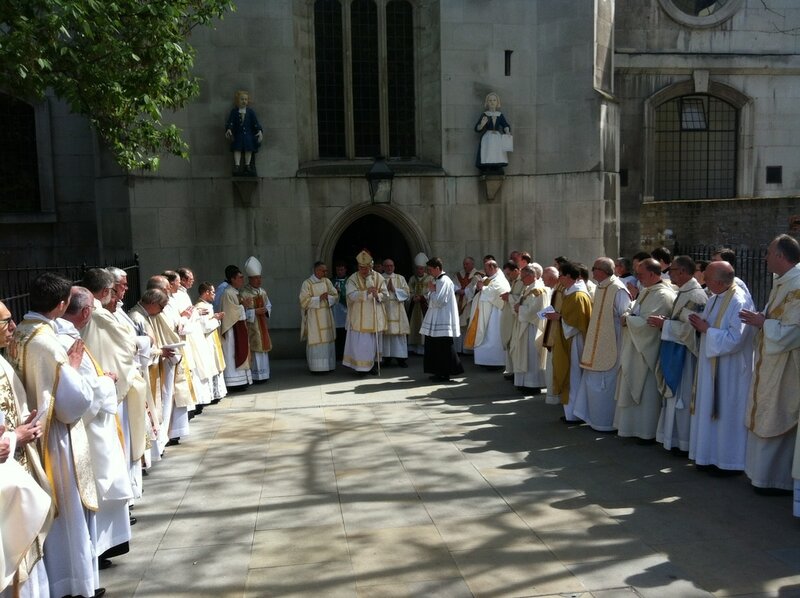 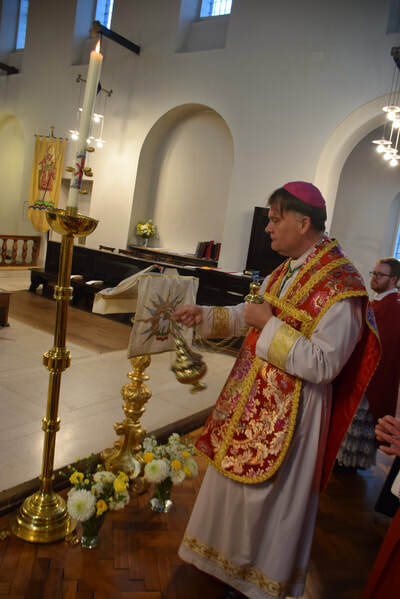 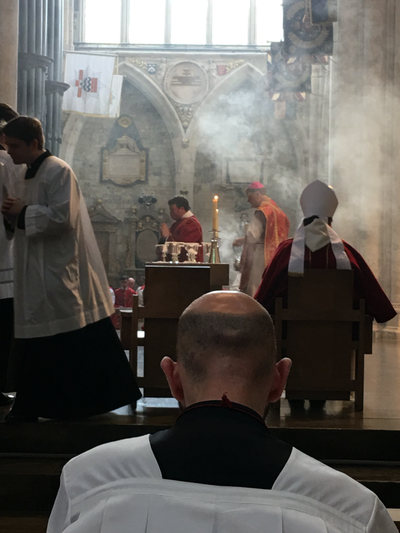 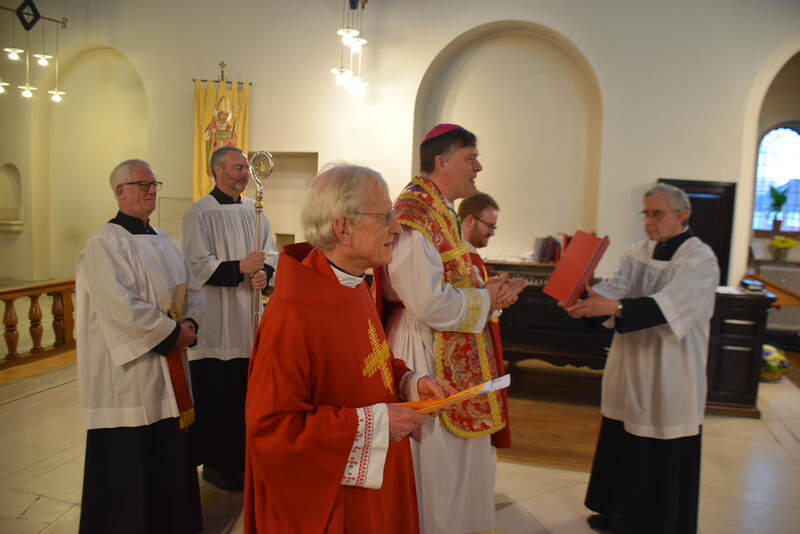 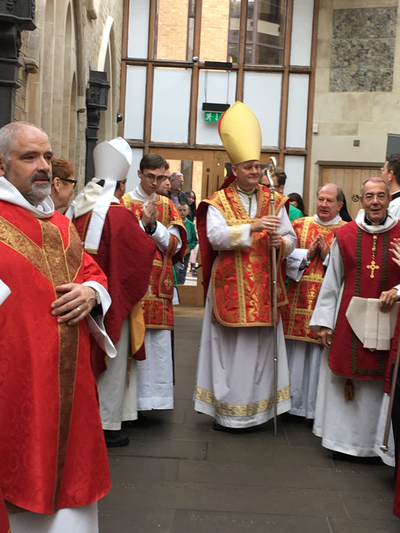 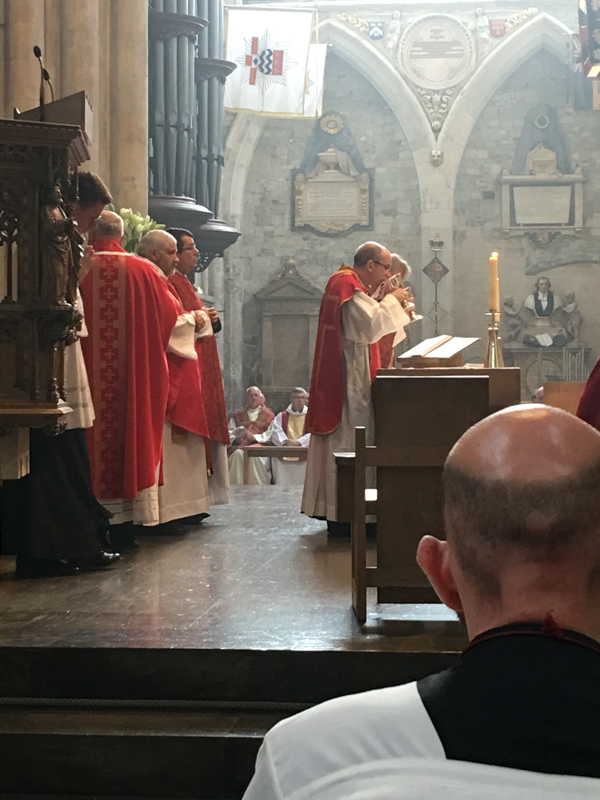 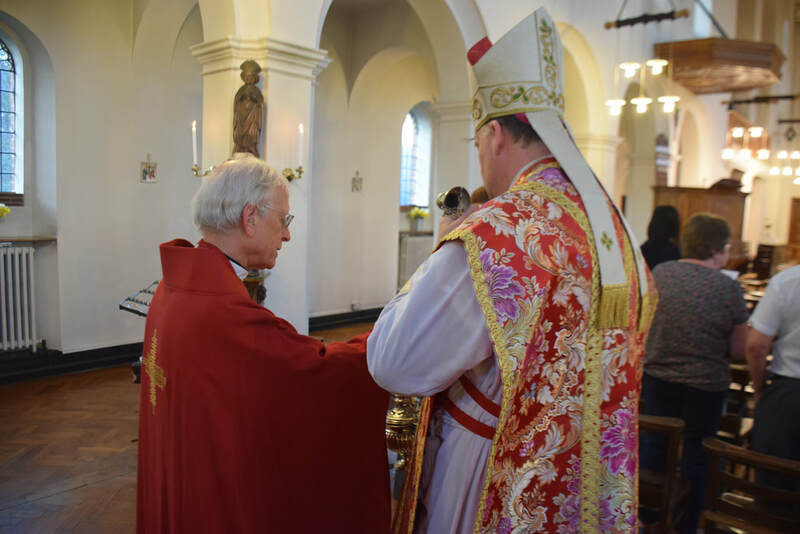 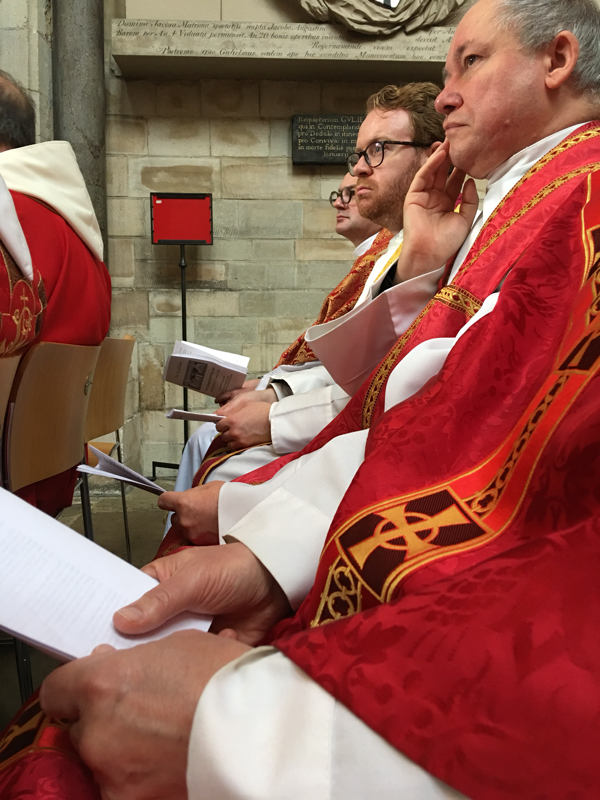 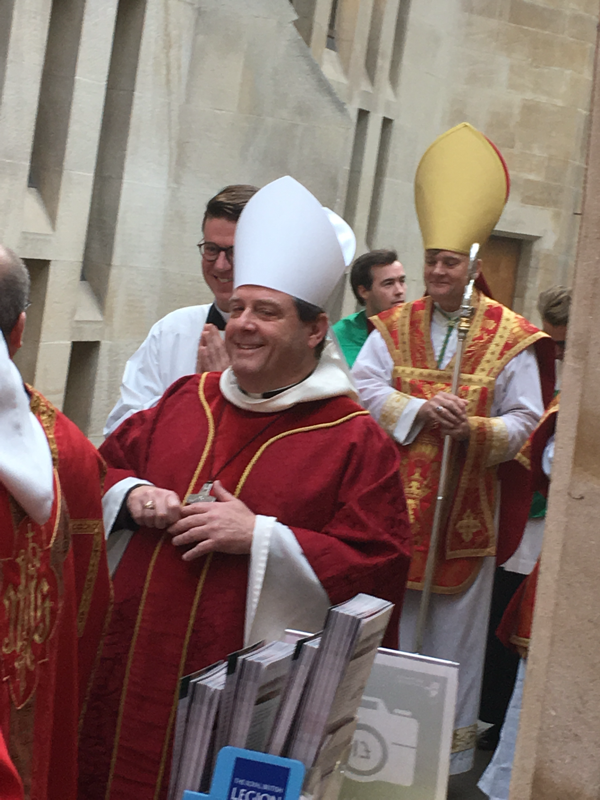 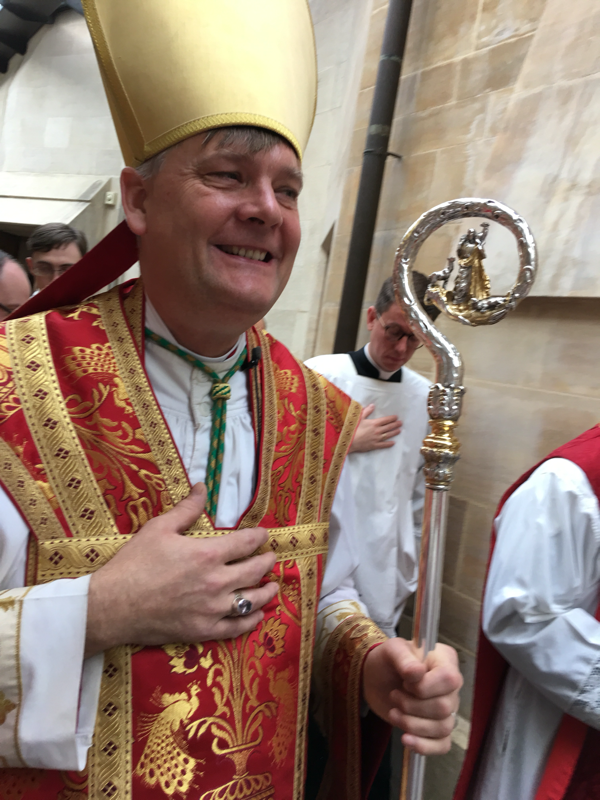 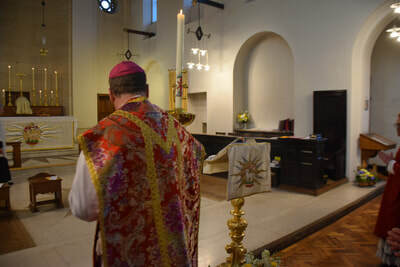 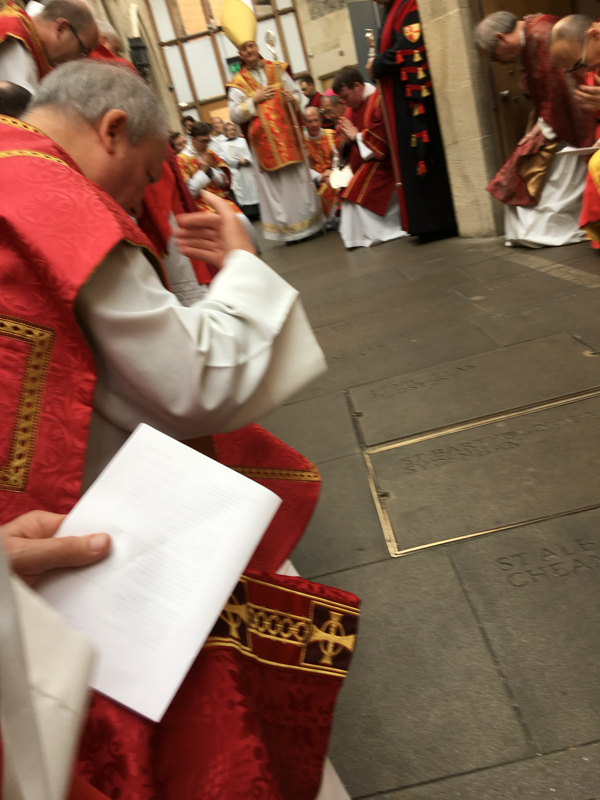 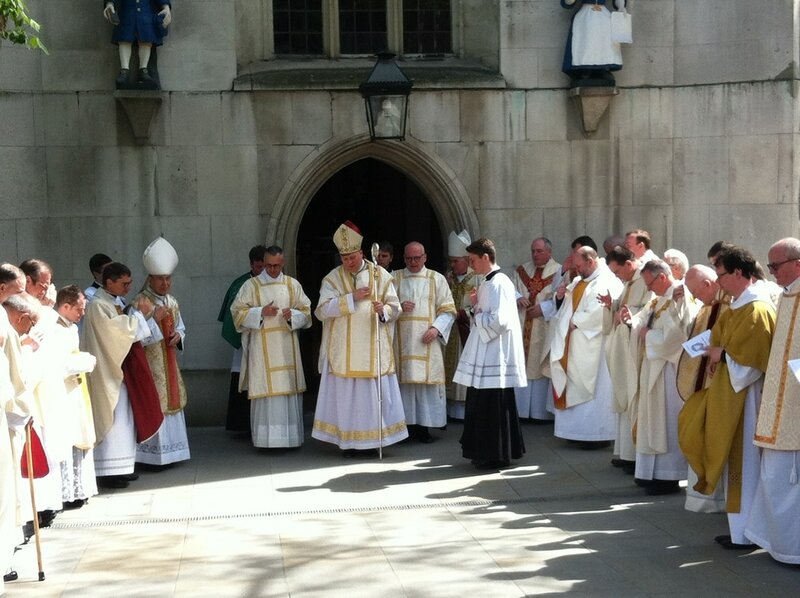 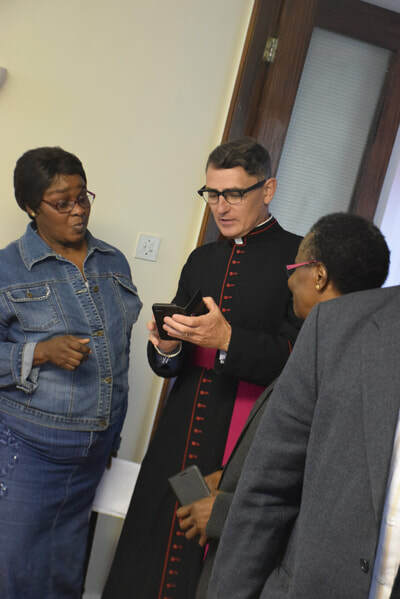 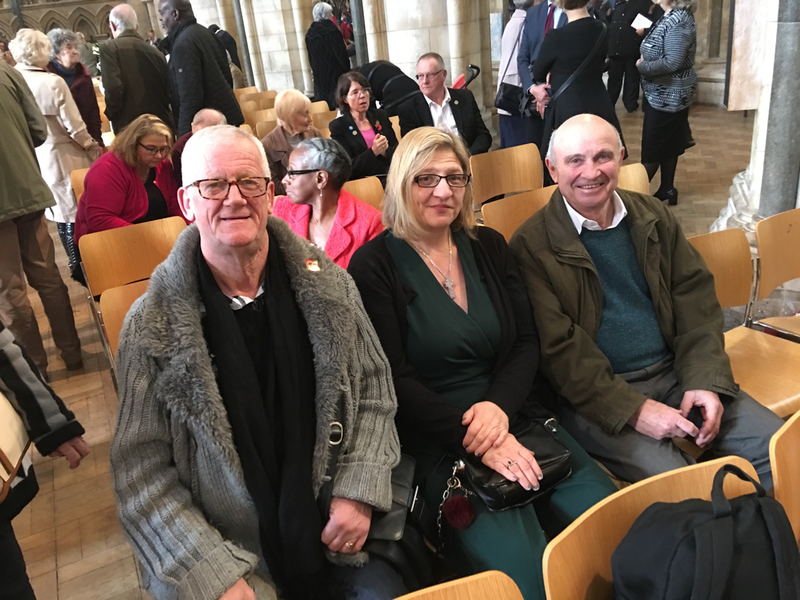 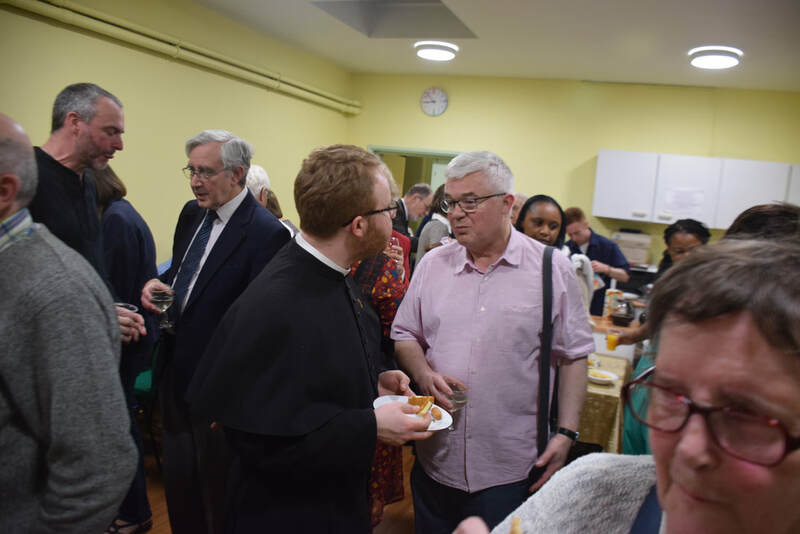 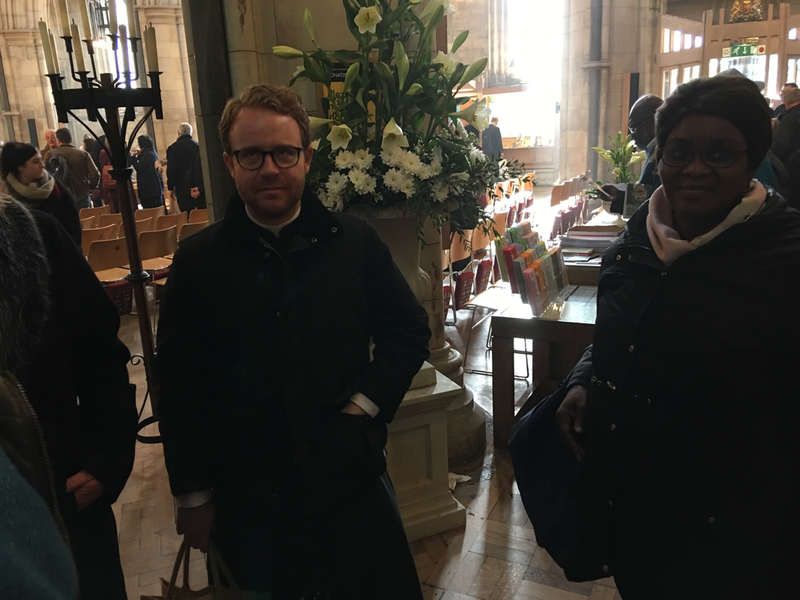 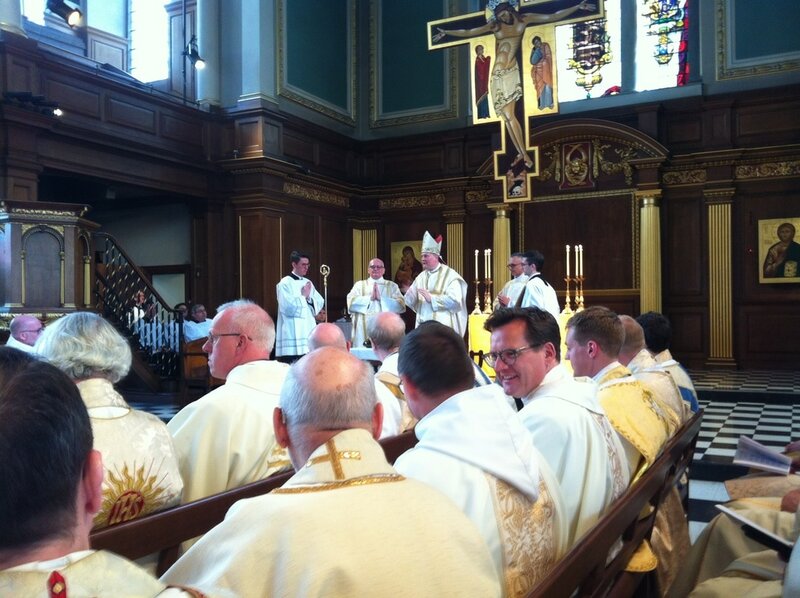 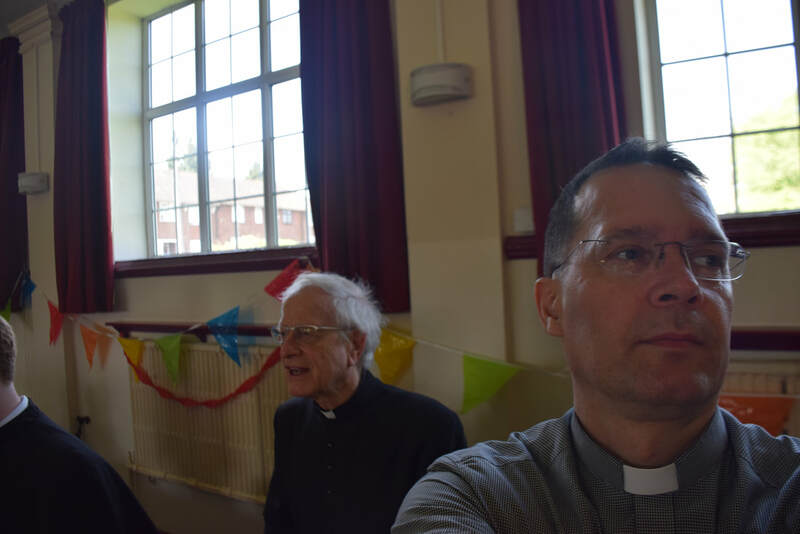 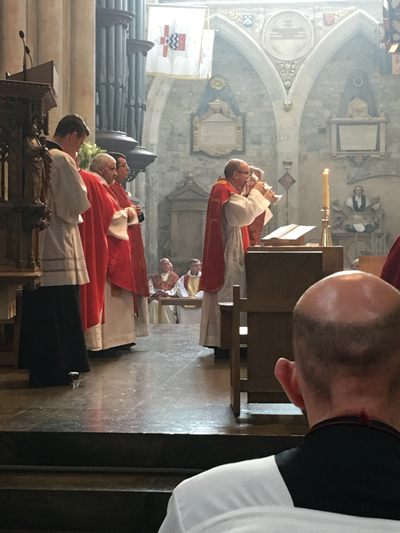 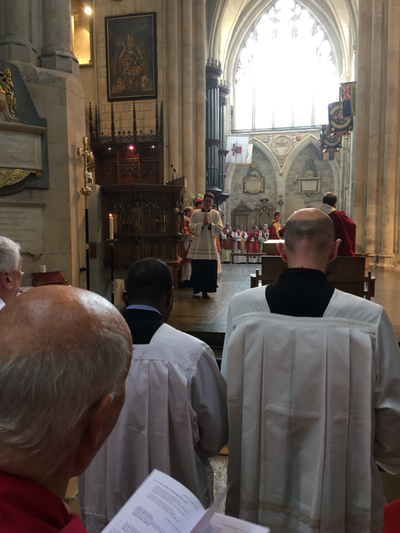 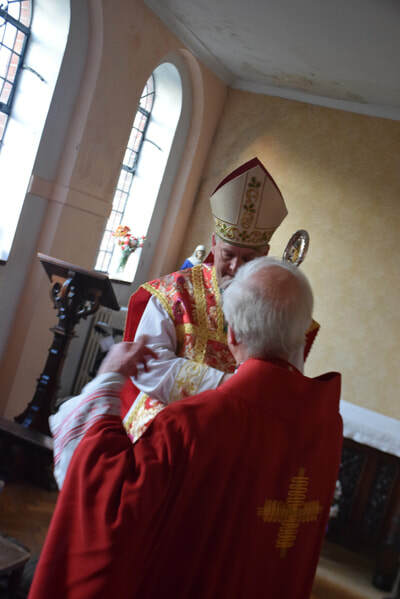 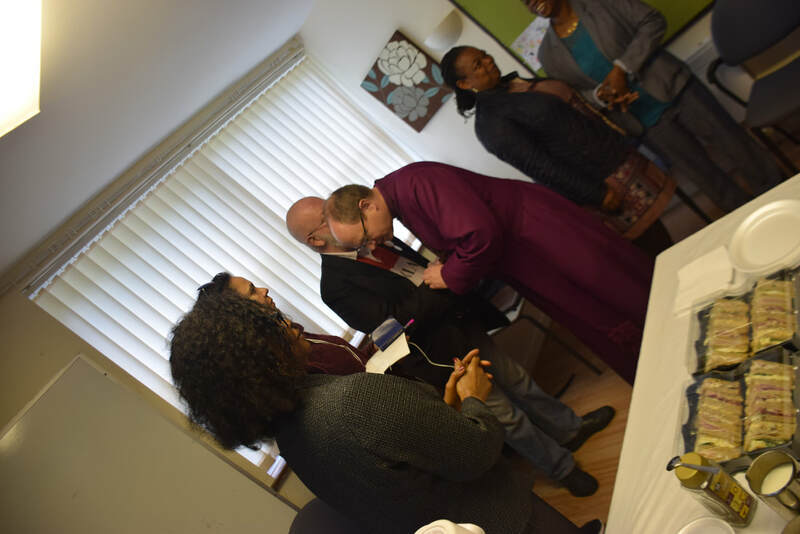 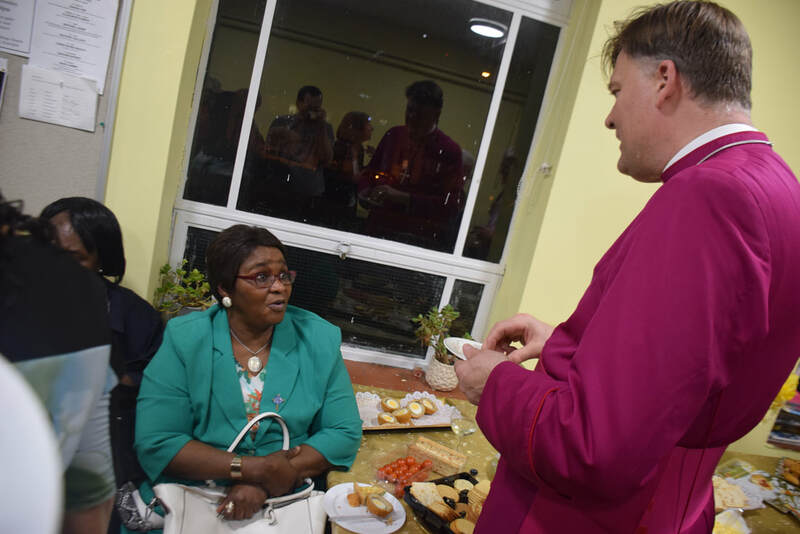 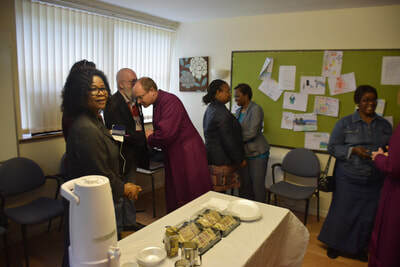 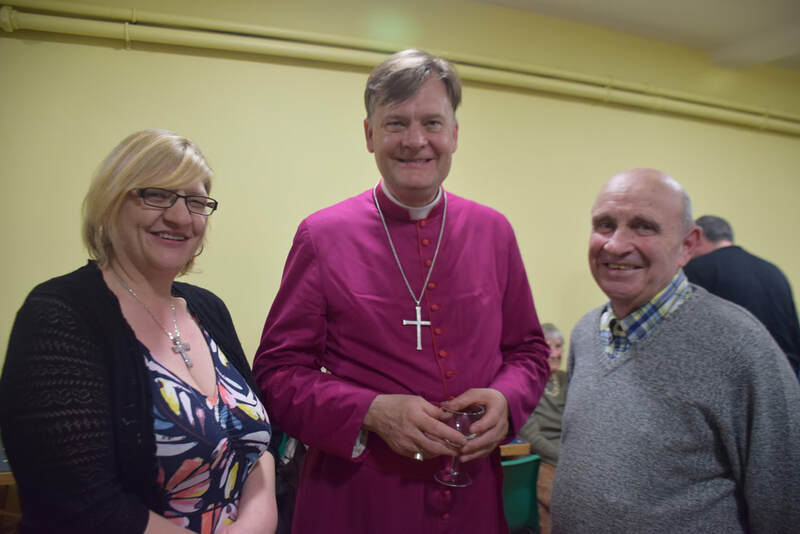 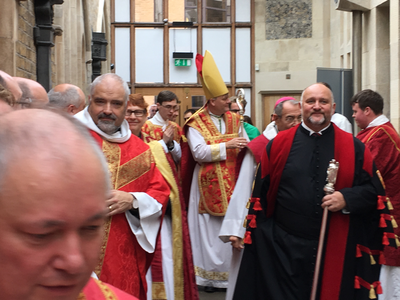 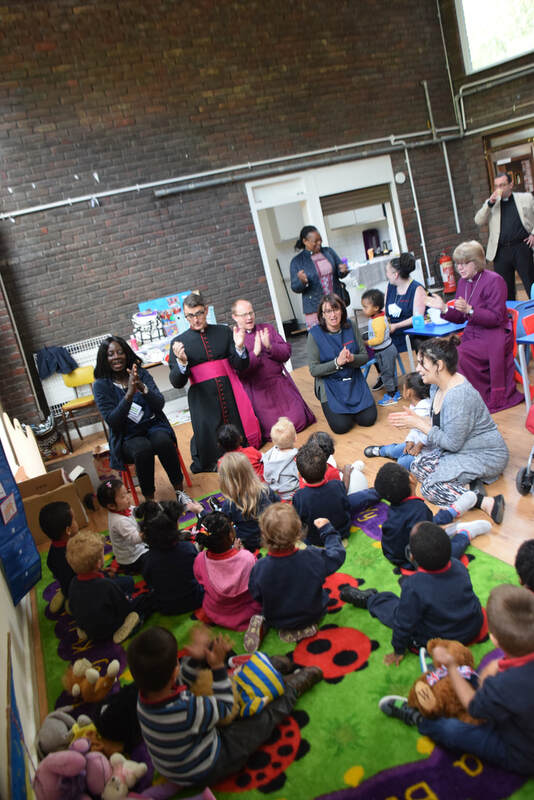 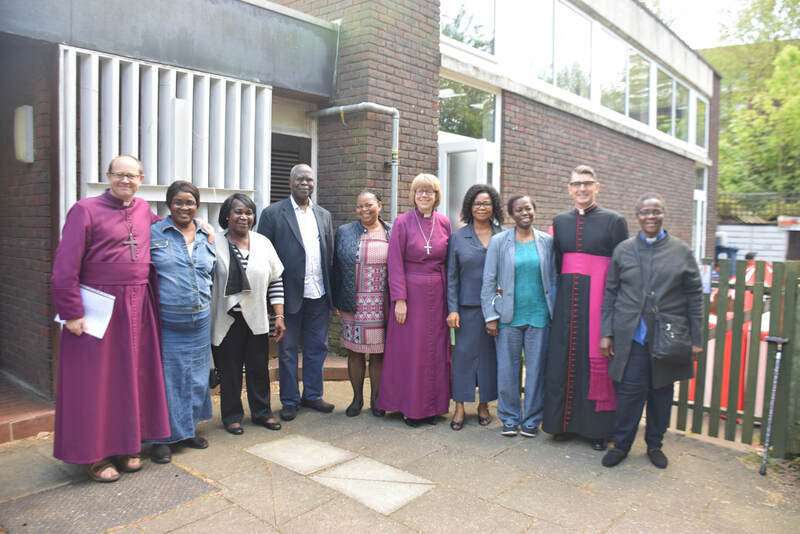 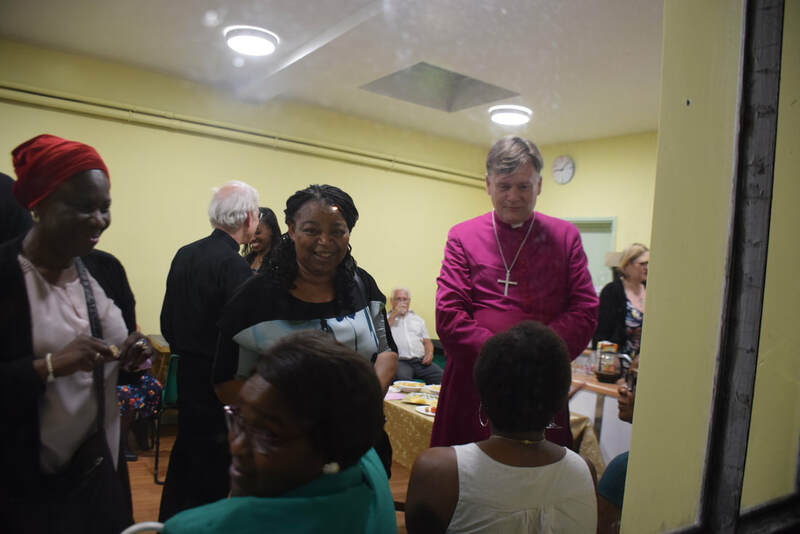 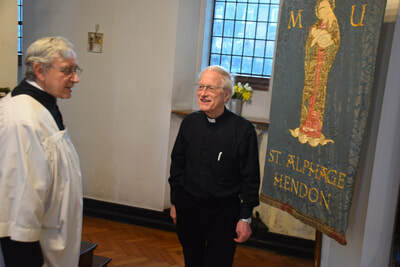 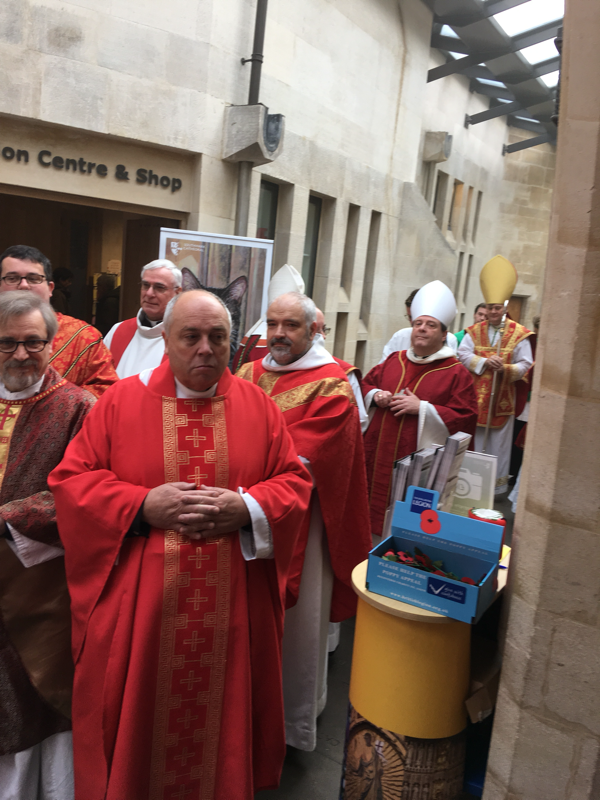 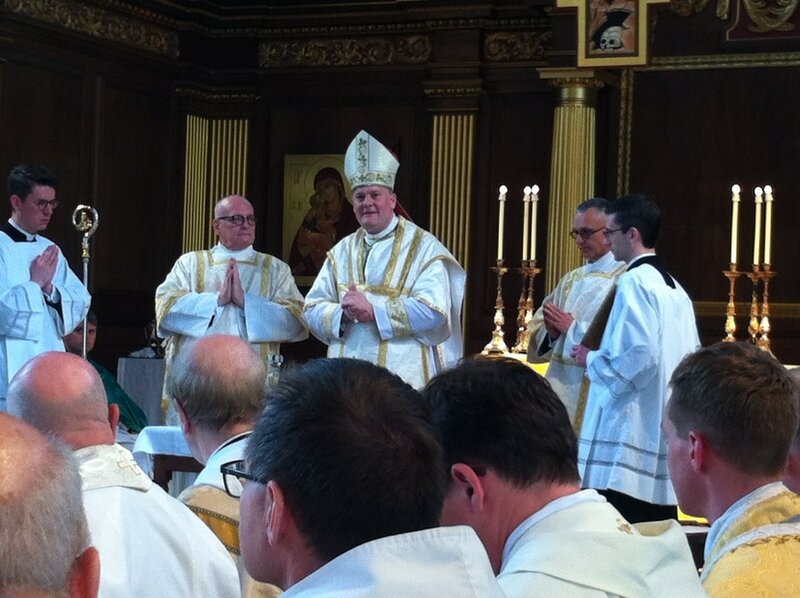 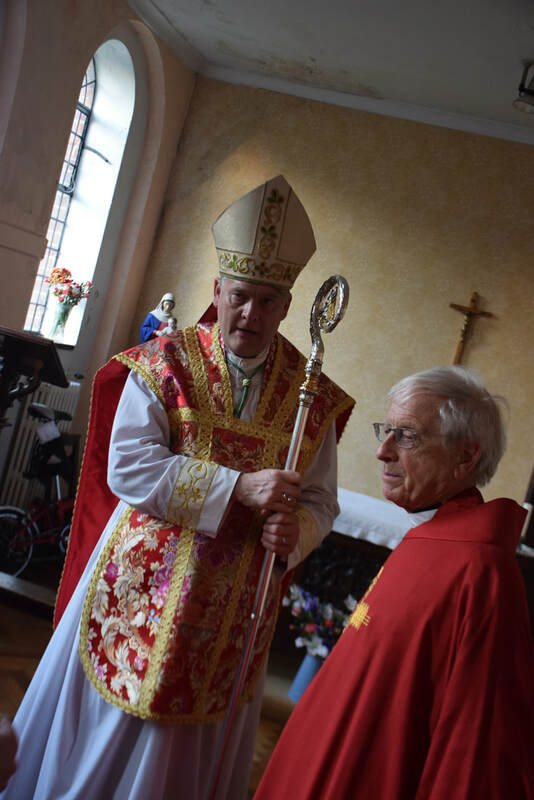 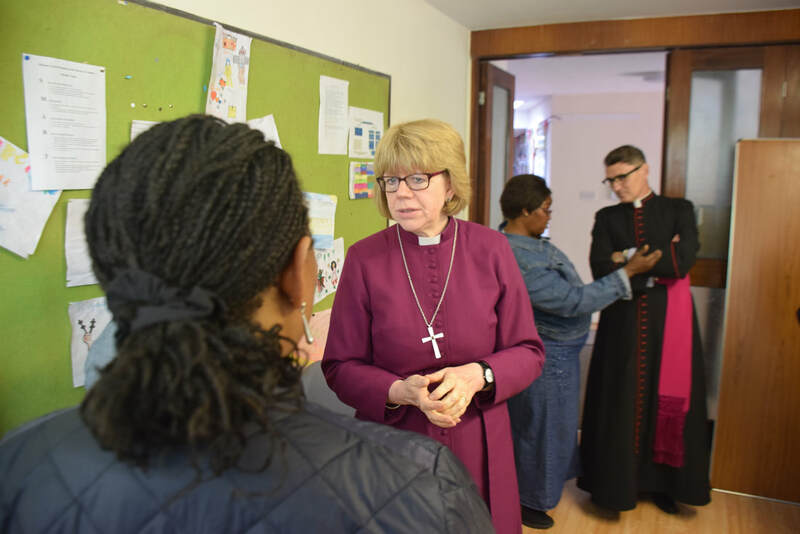 10 May 2018 - The new bishop of London, Bishop Sarah's visit to Saint Augustine's with Bishop Rob and Archdeacon John, and Gregory, our area dean. 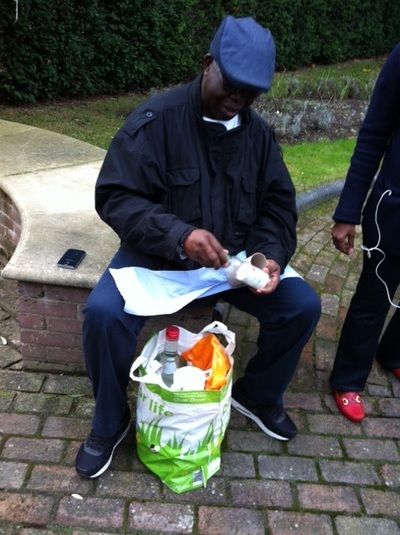 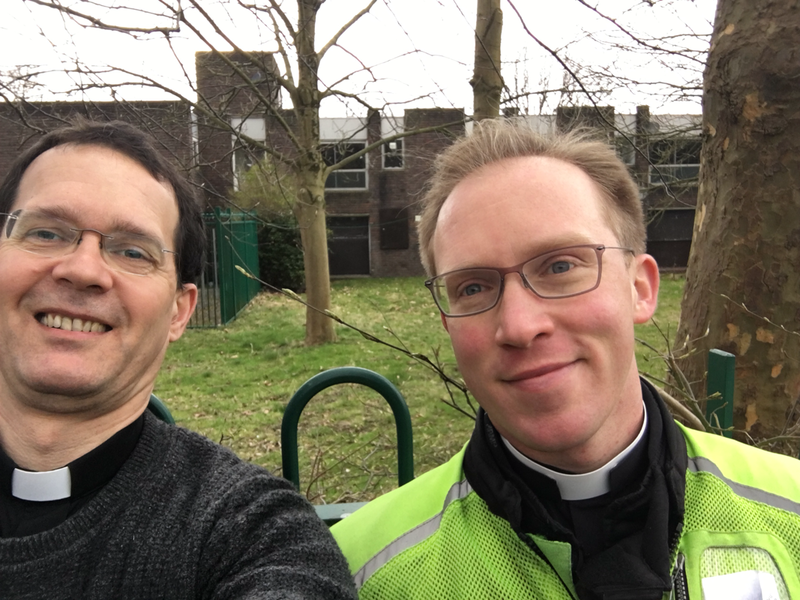 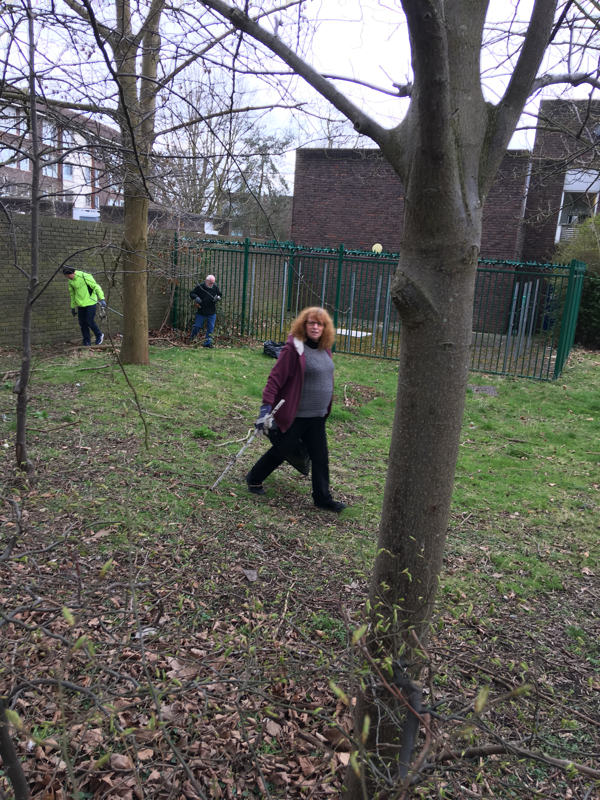 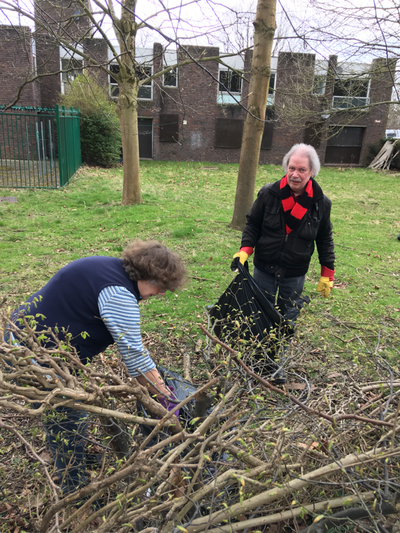 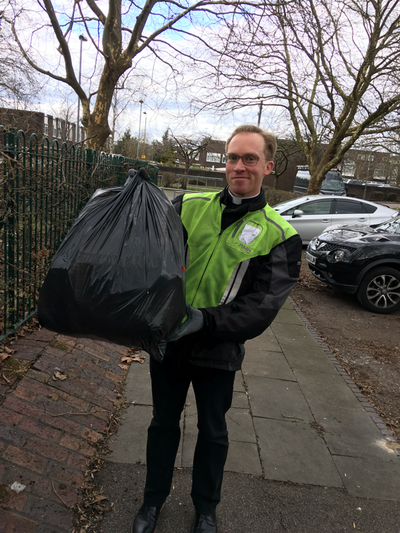 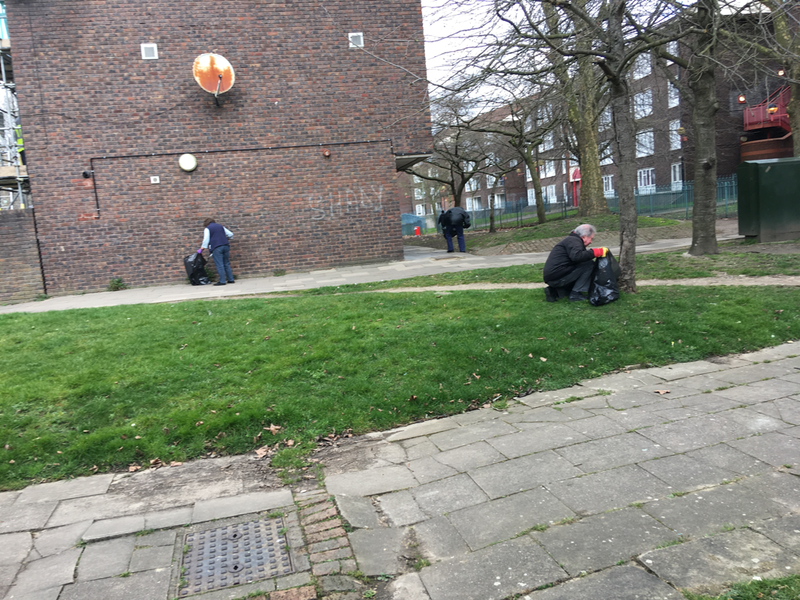 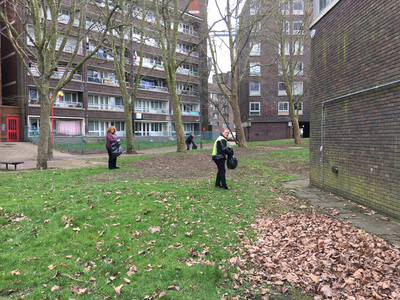 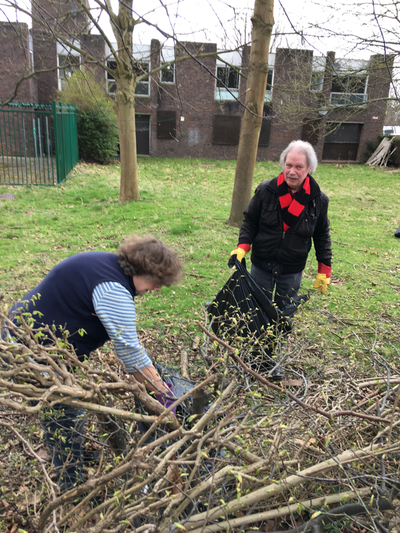 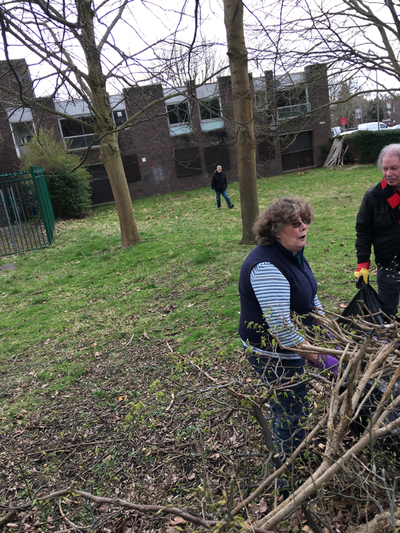 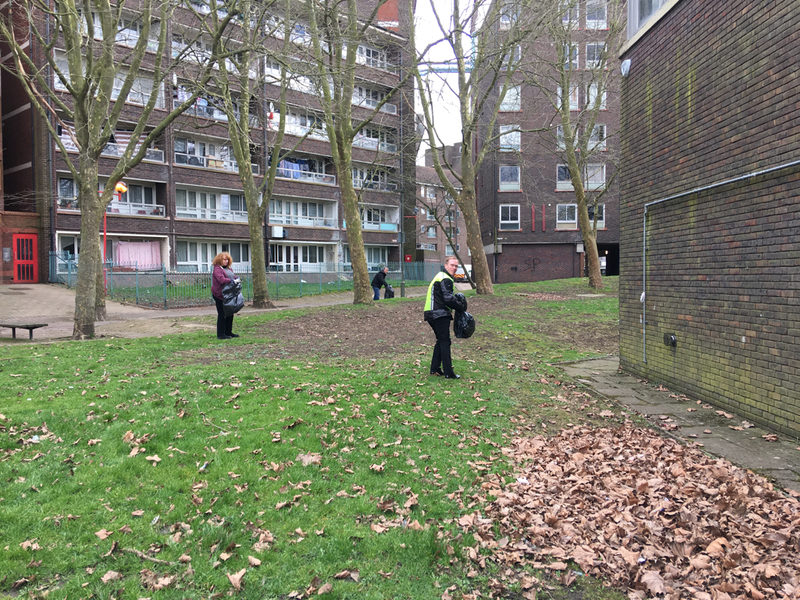 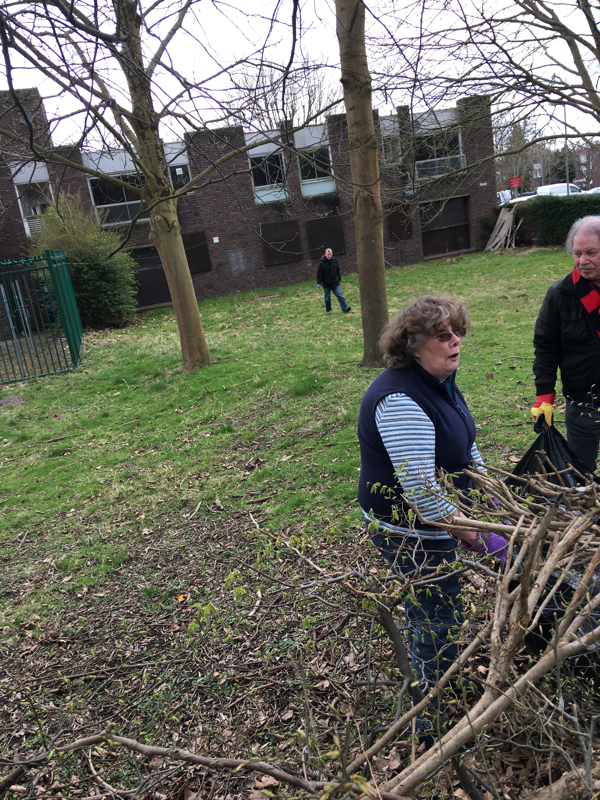 Litter picking - spring clean in Grahame Park with a joint lunchclub and mass with friends from Saint Michael's Mill Hill. 26 March 2018. 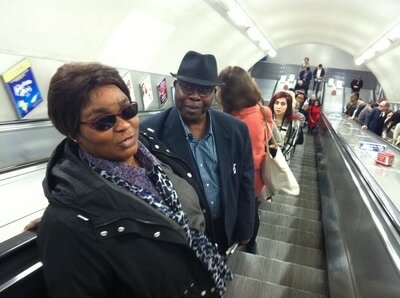 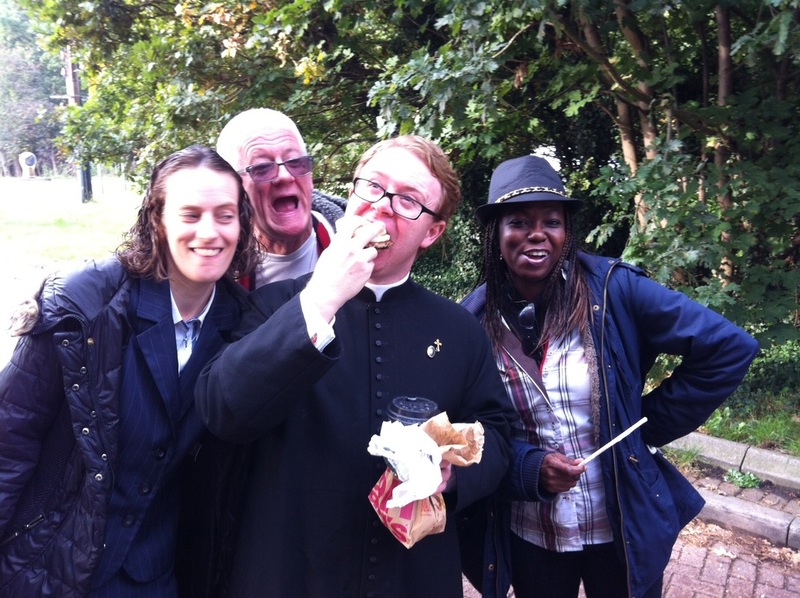 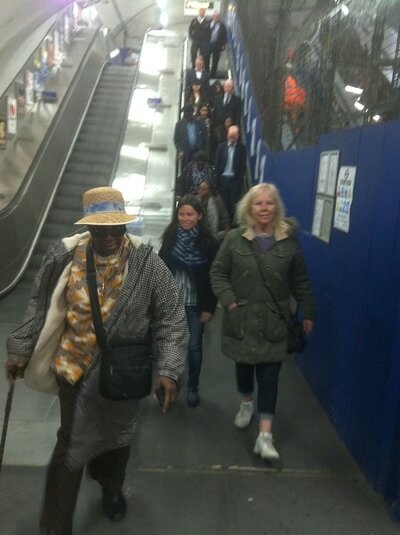 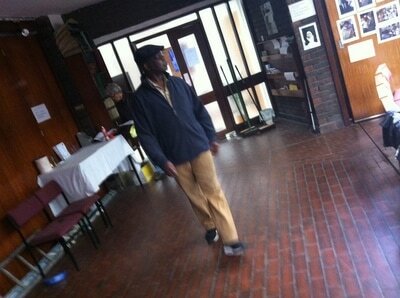 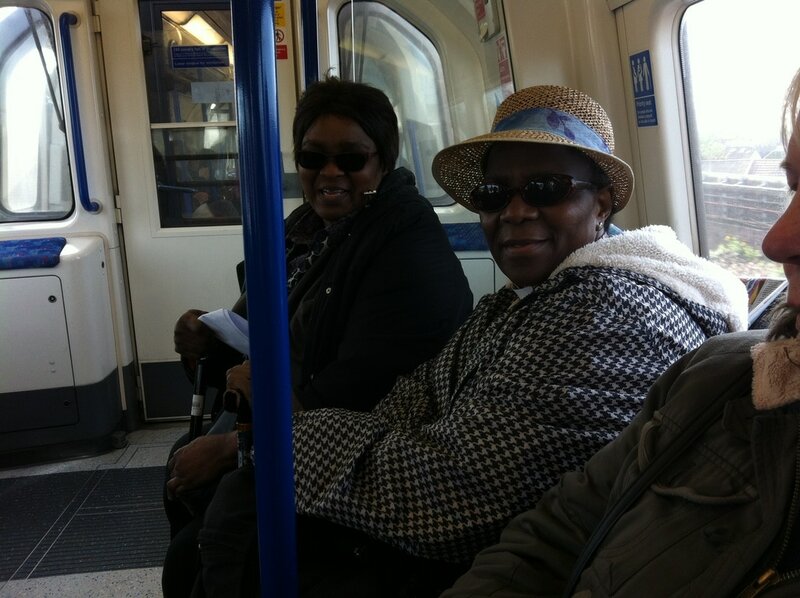 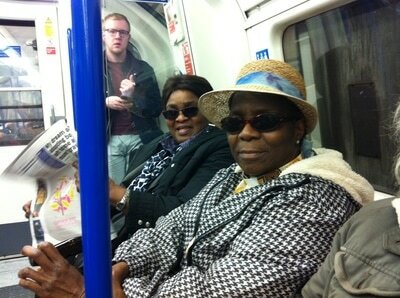 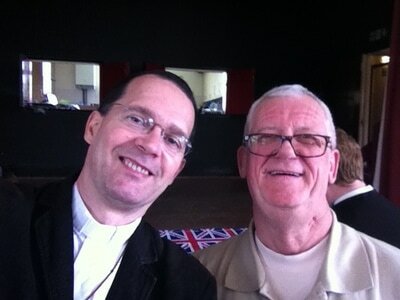 Fr Joseph joined his friend, Garry, on this special 'missionary tour'. 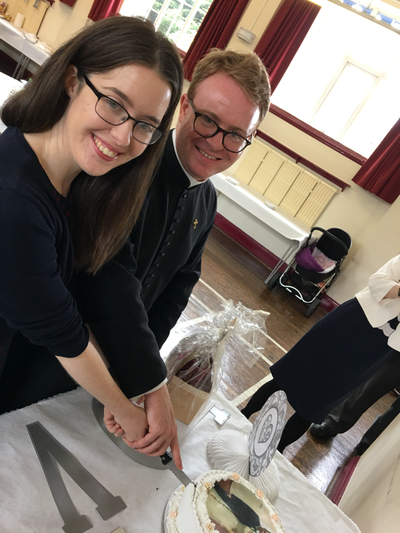 It proved a fruitful partnership. 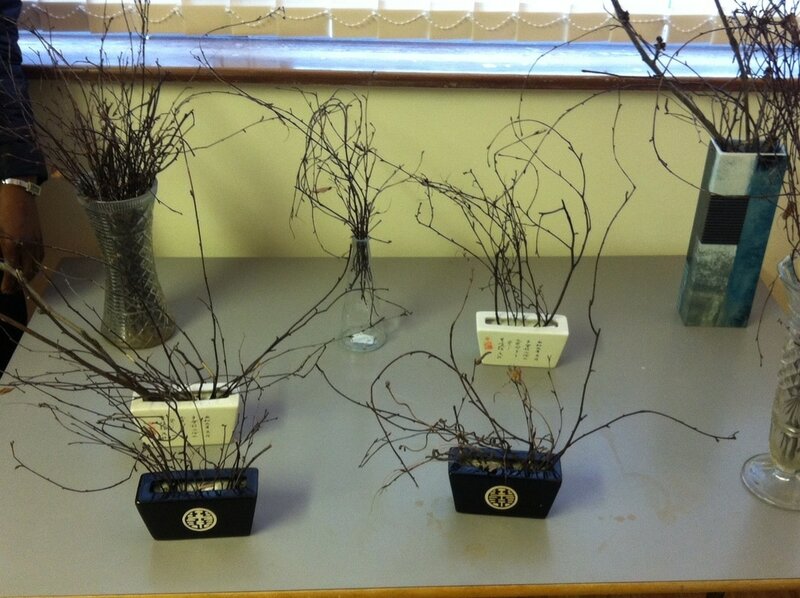 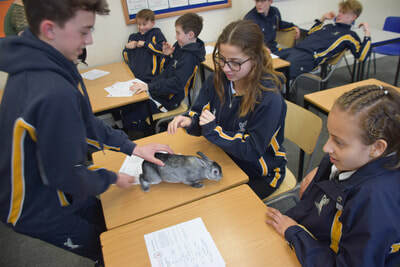 We are planning to give similar presentation on rabbits to the local nurseries (one of them is in our church!) 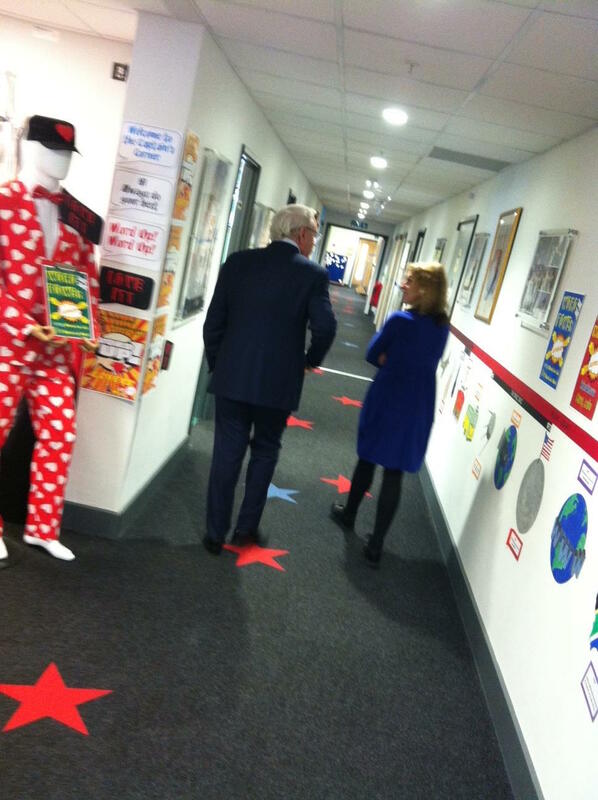 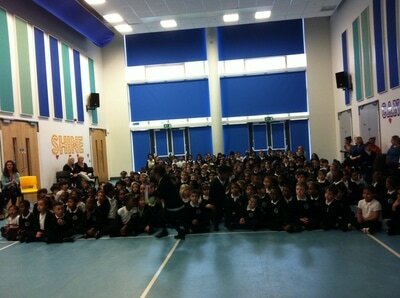 and Orion Primary School... 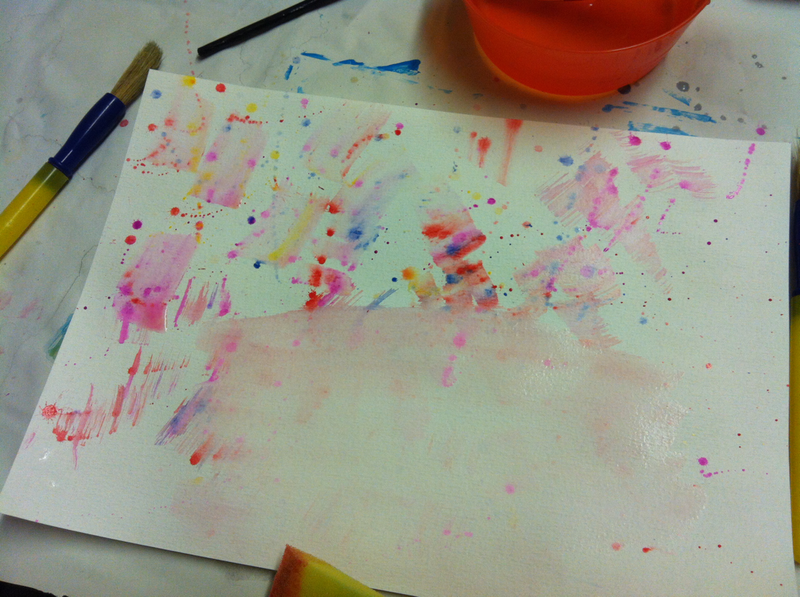 It was real fun. 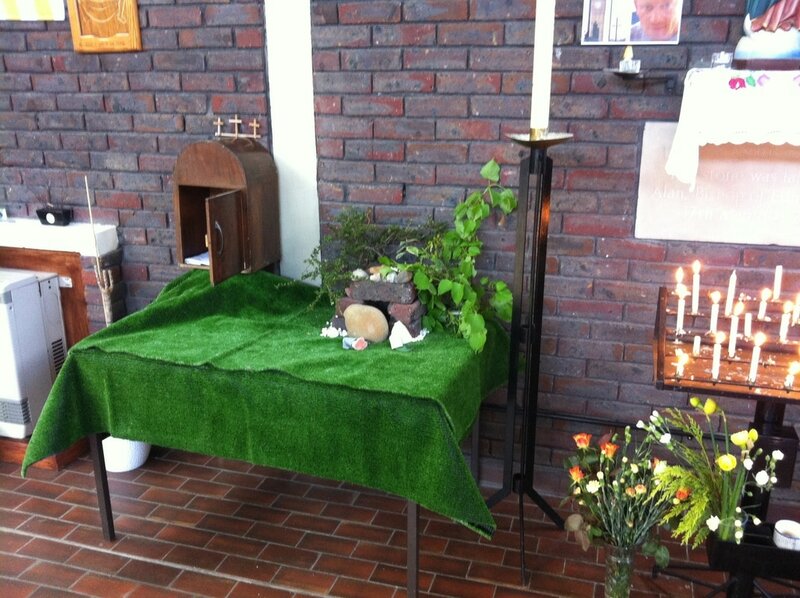 What about setting up our Easter-garden with small bunnies? 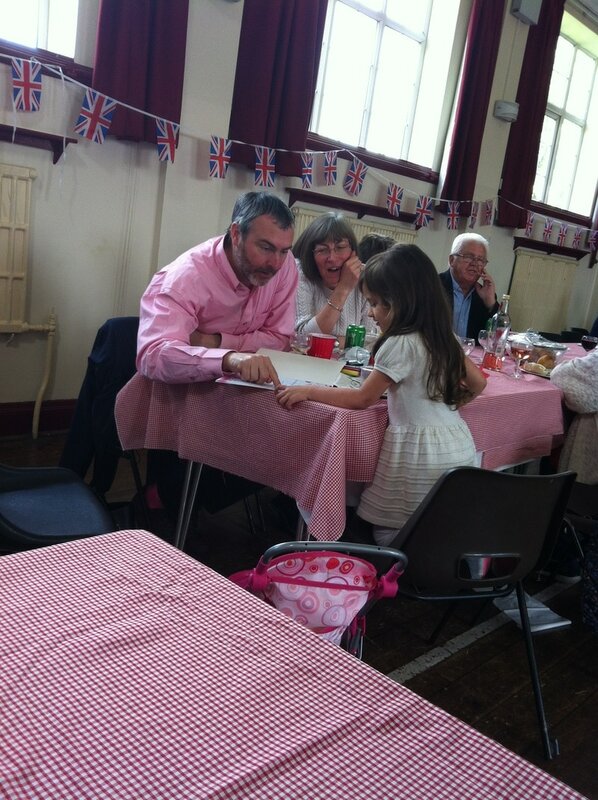 Just surveying the strength, weaknesses, opportunities and threats. 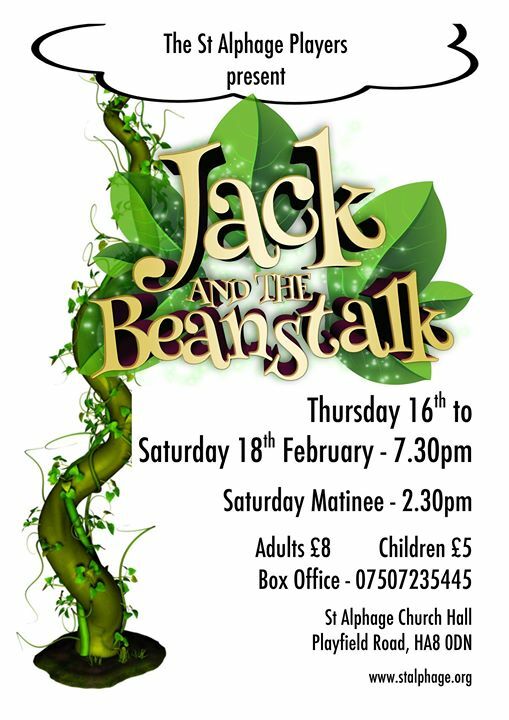 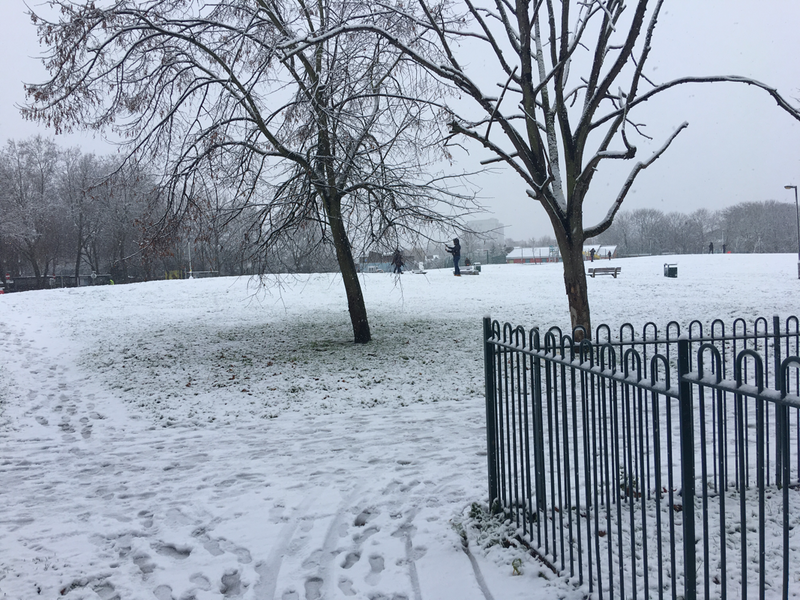 28 February 2018 - A Fairy has touched Grahame Park and turned into a beautiful winter-wonderland. 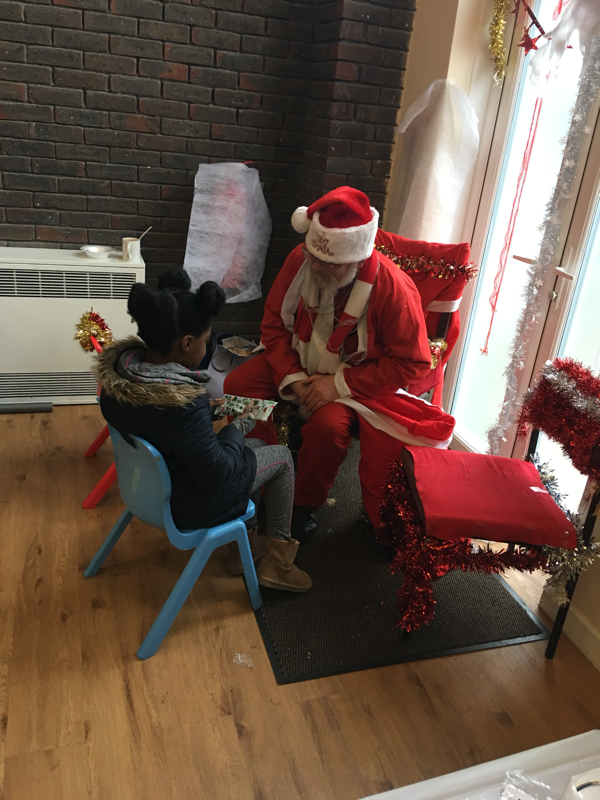 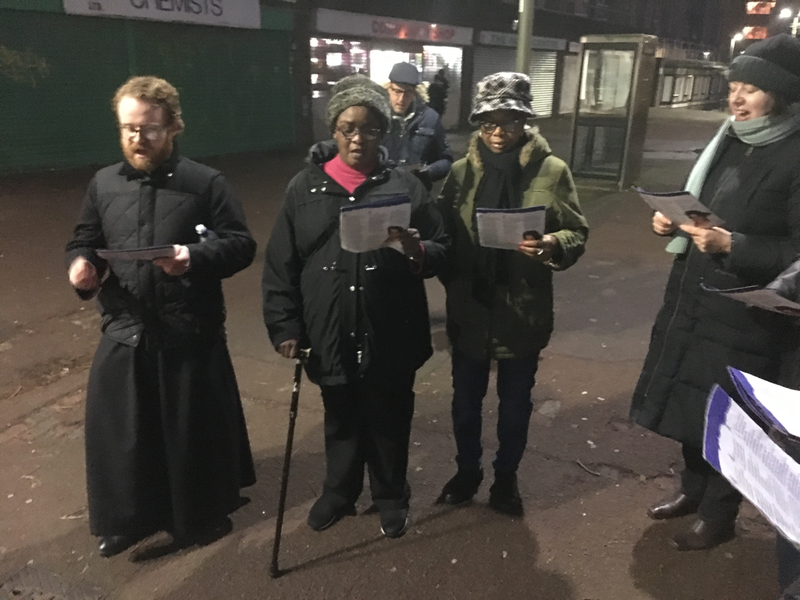 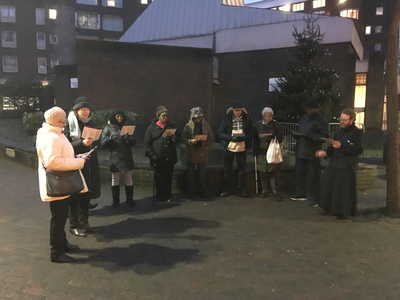 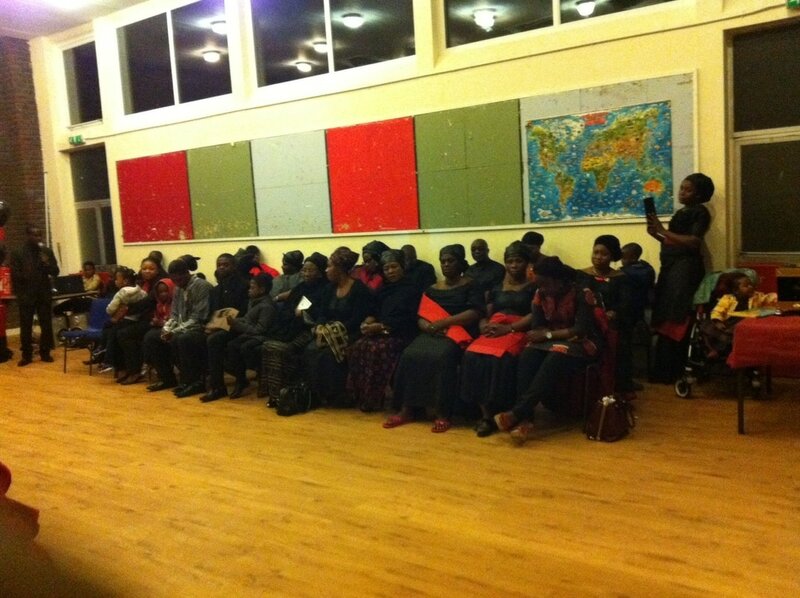 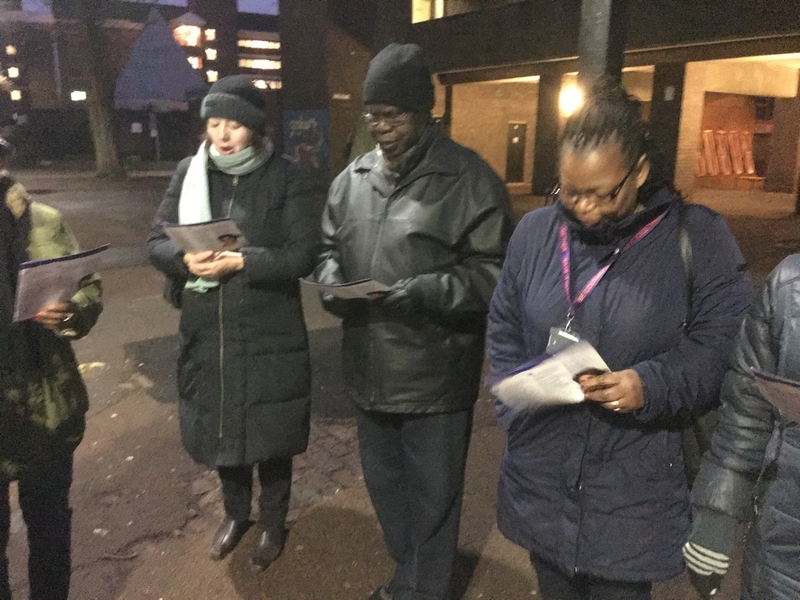 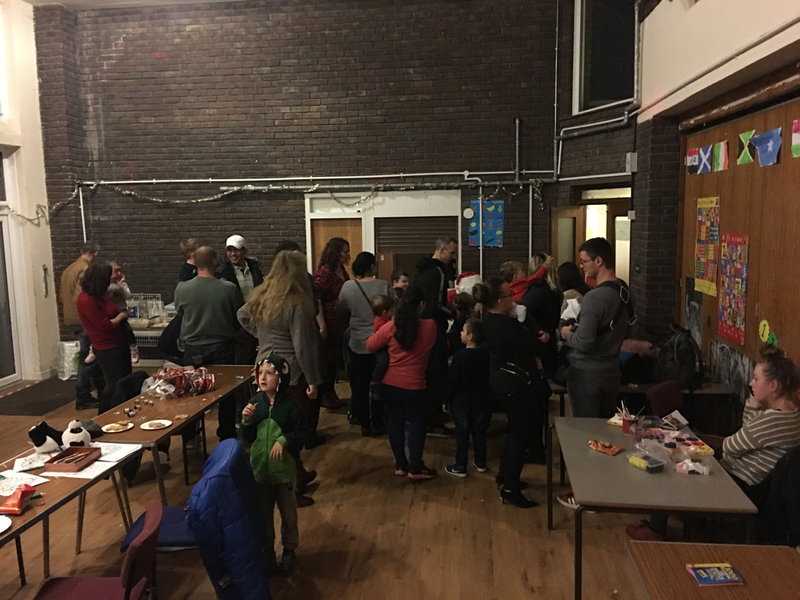 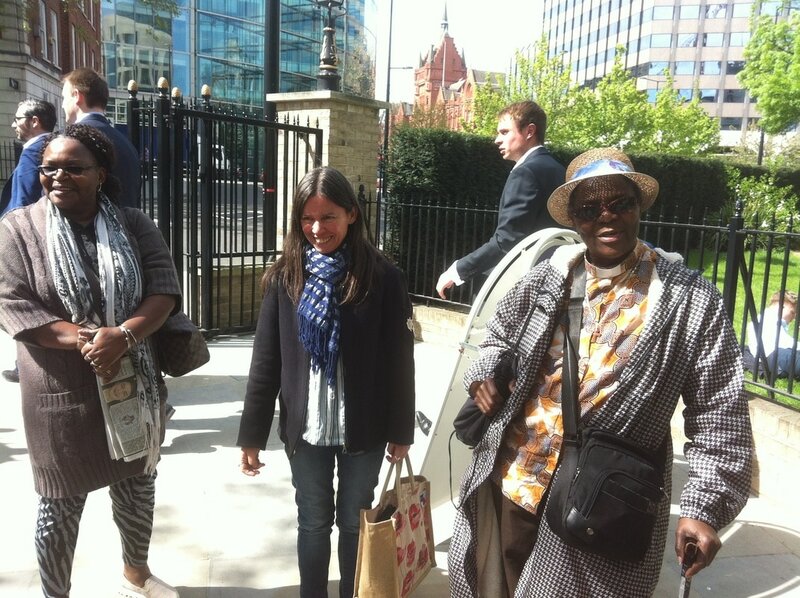 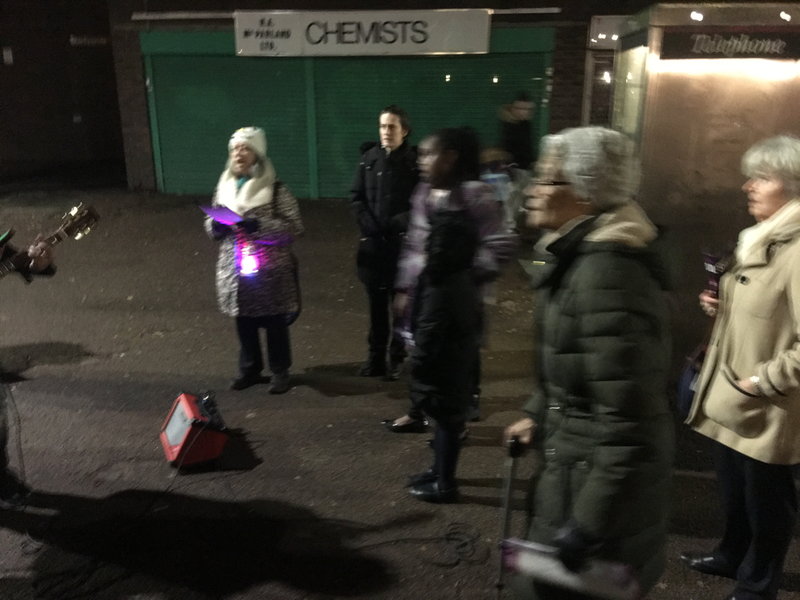 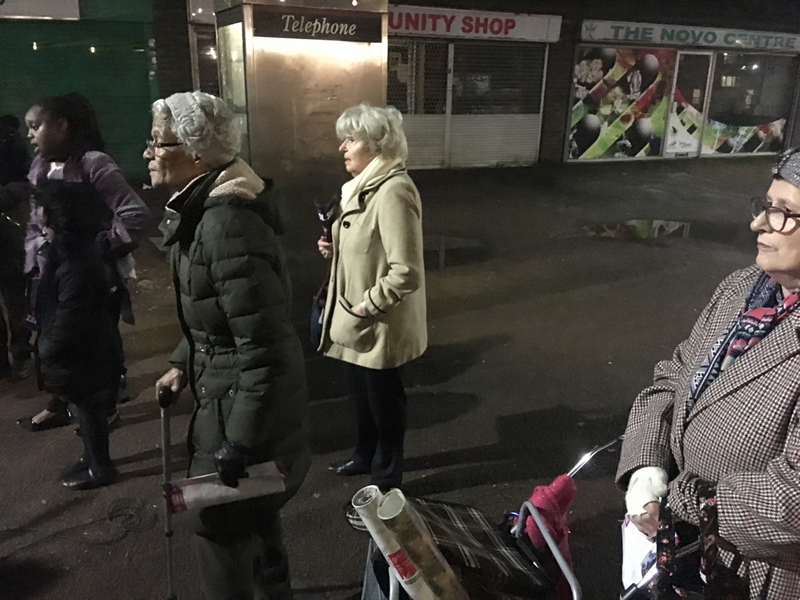 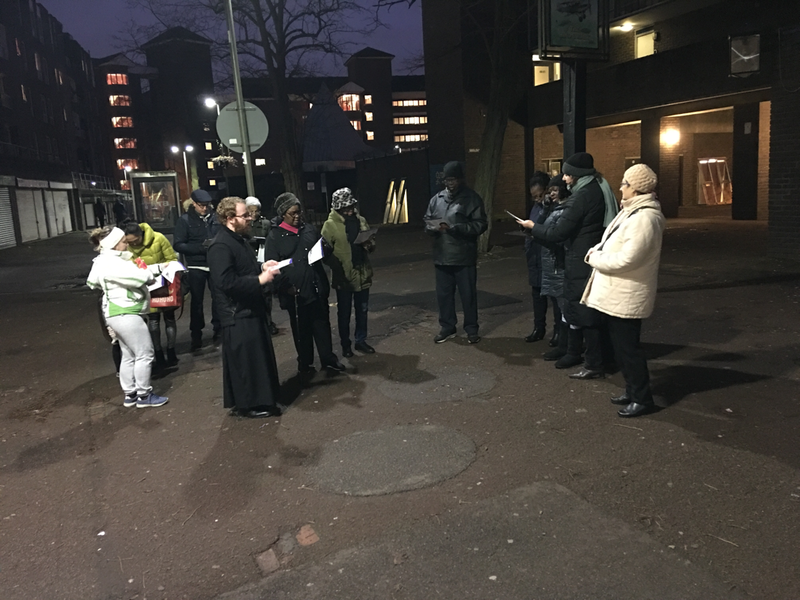 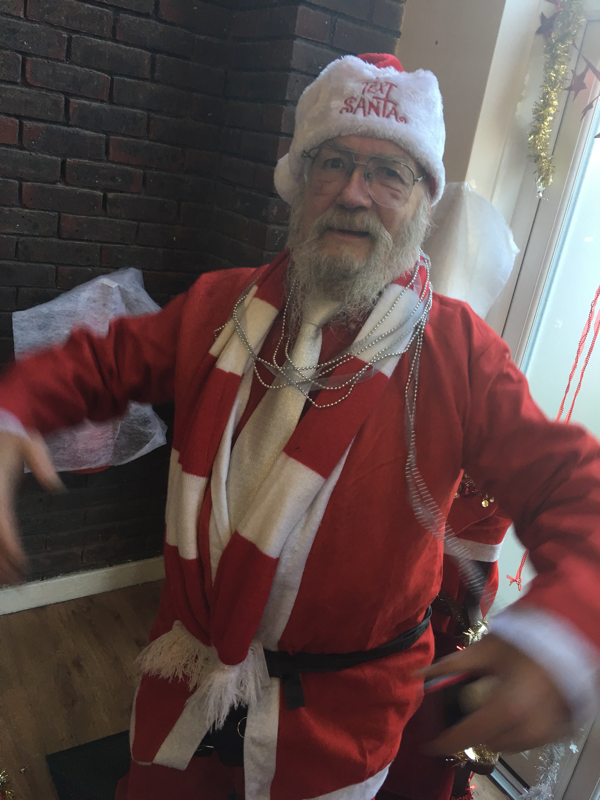 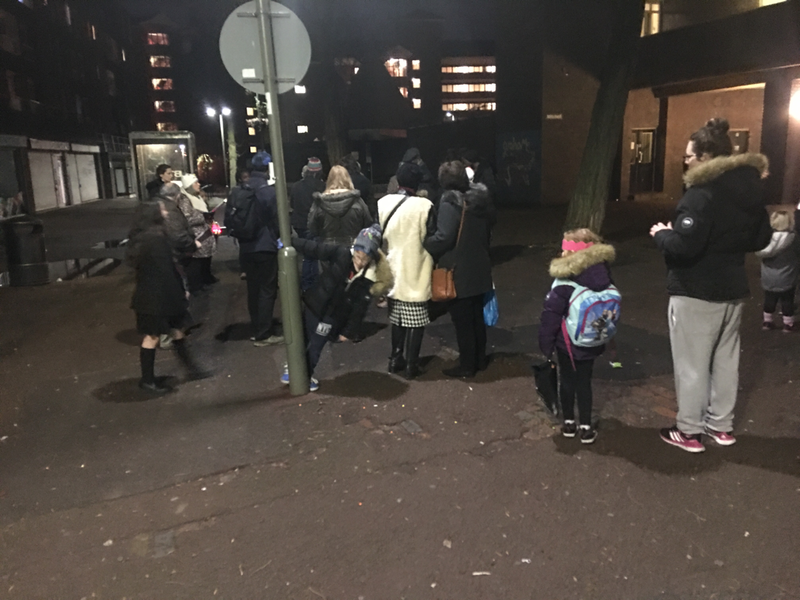 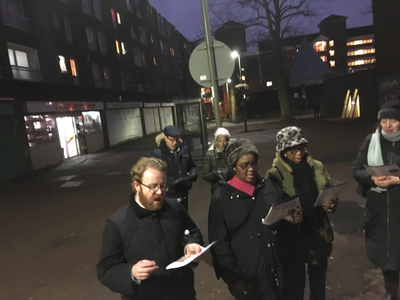 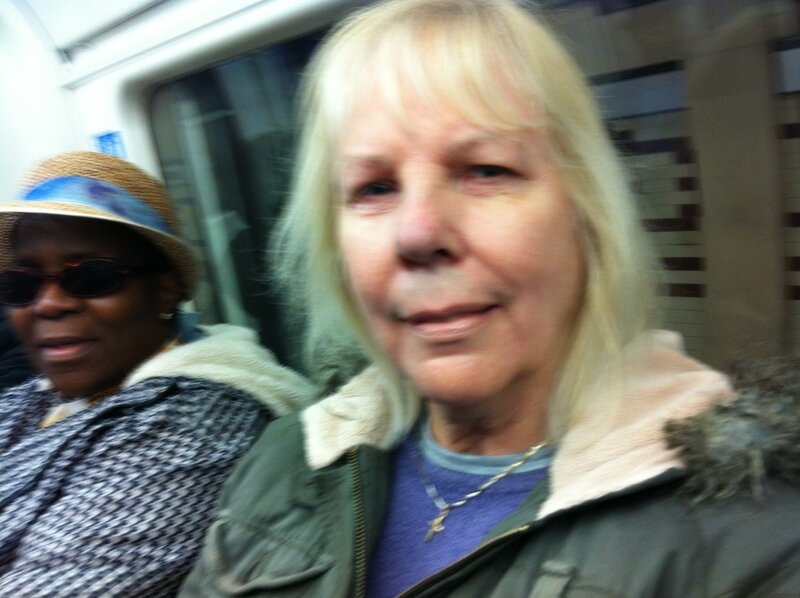 Tuesday 19 December - Carol singing on the Concourse in Grahame Park, in partnership wirh Colindale Community Trust. 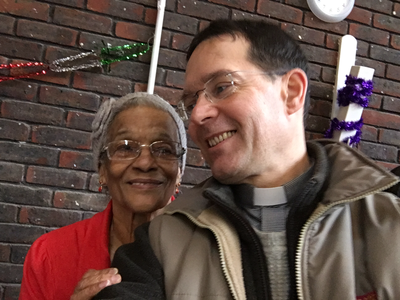 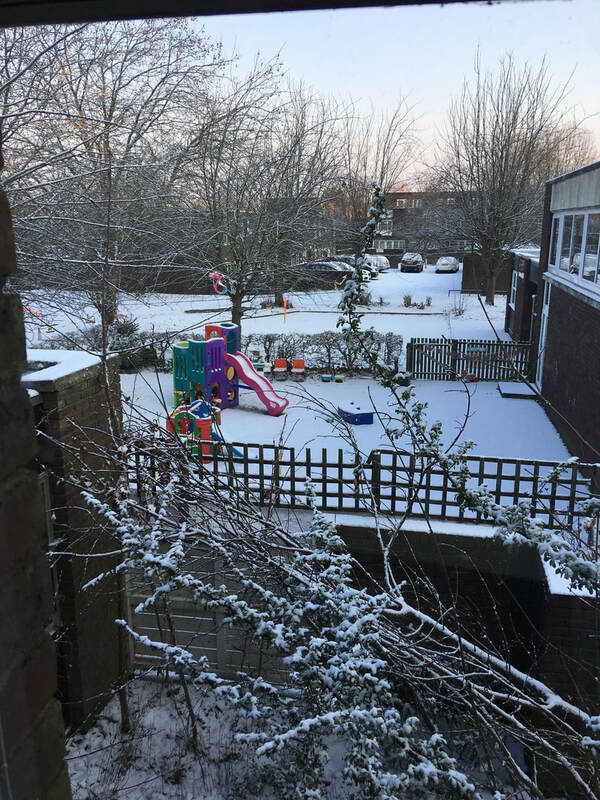 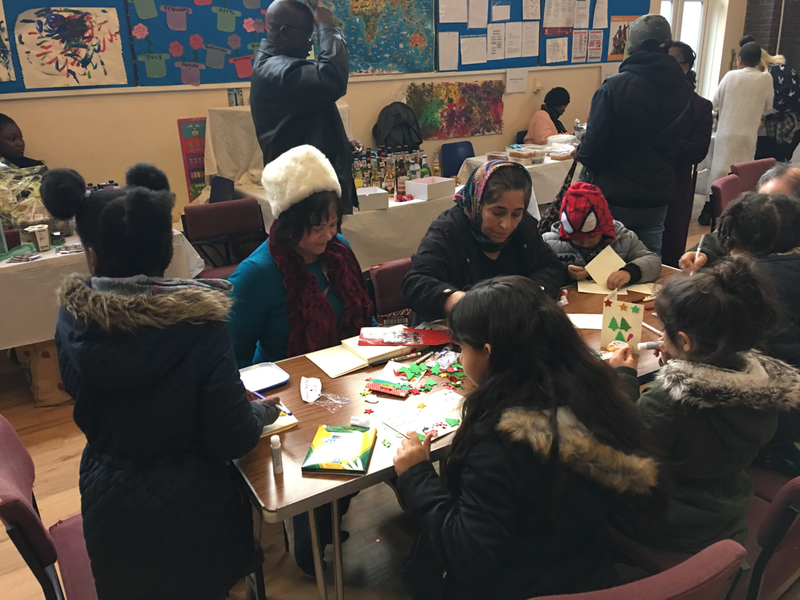 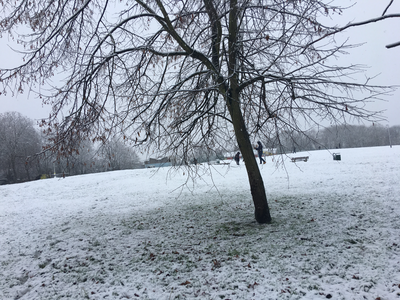 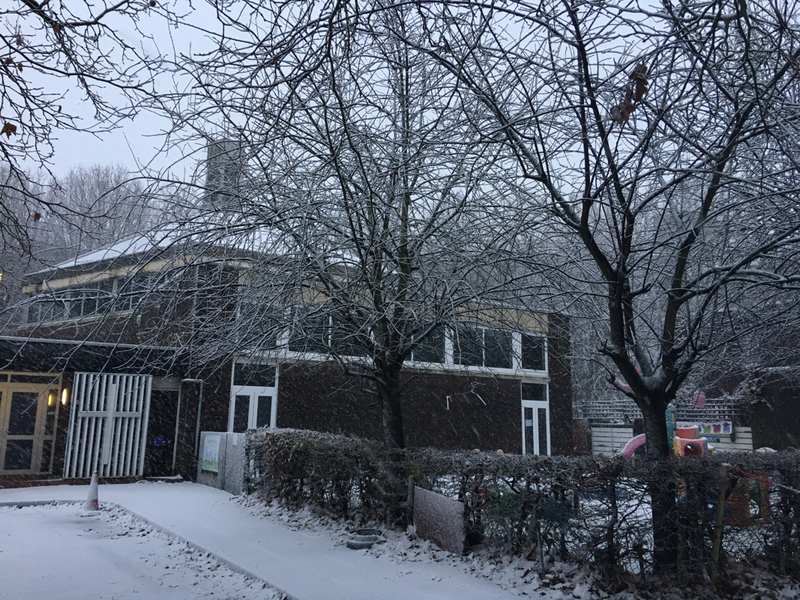 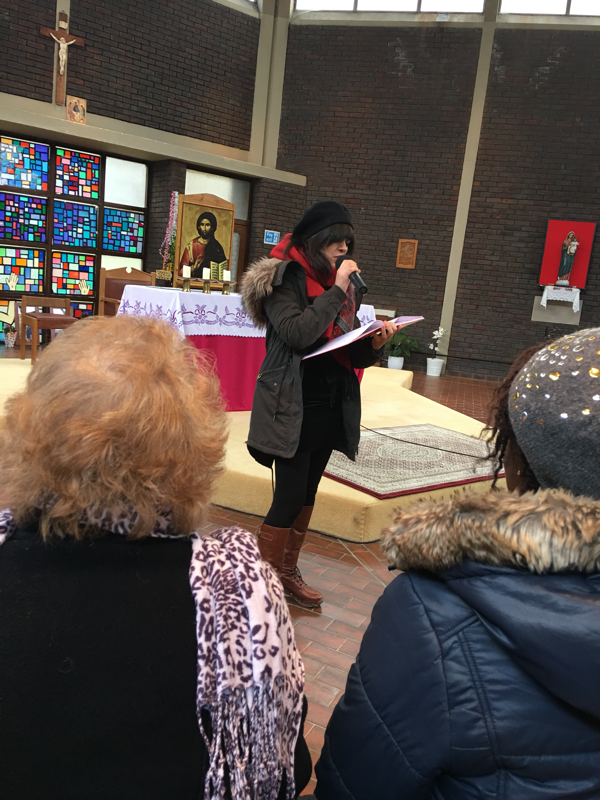 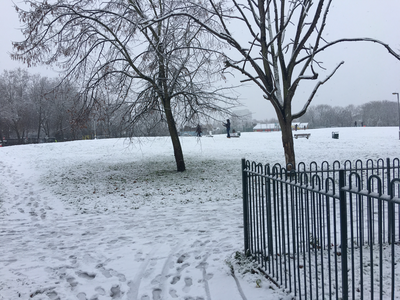 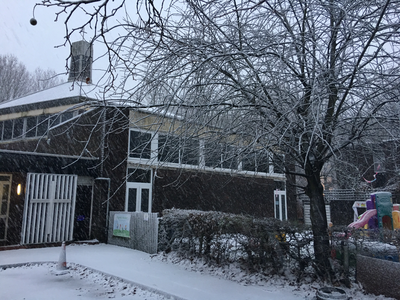 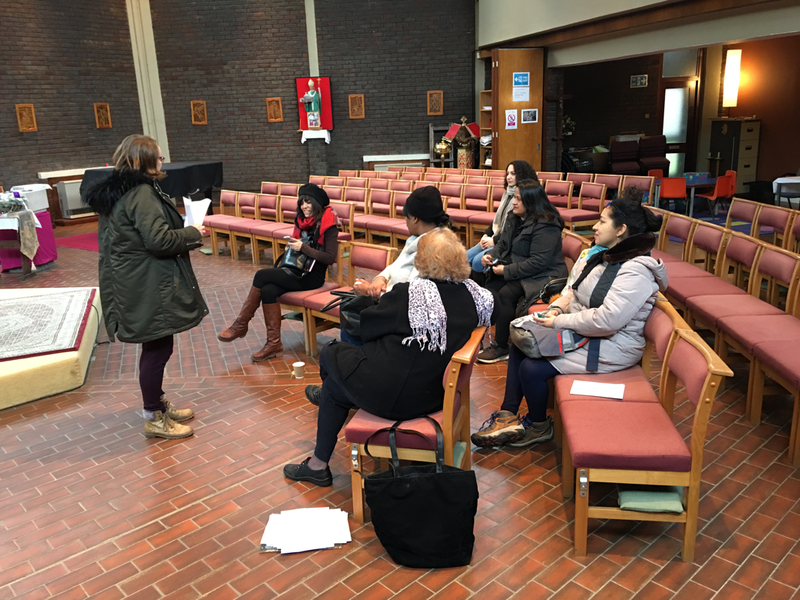 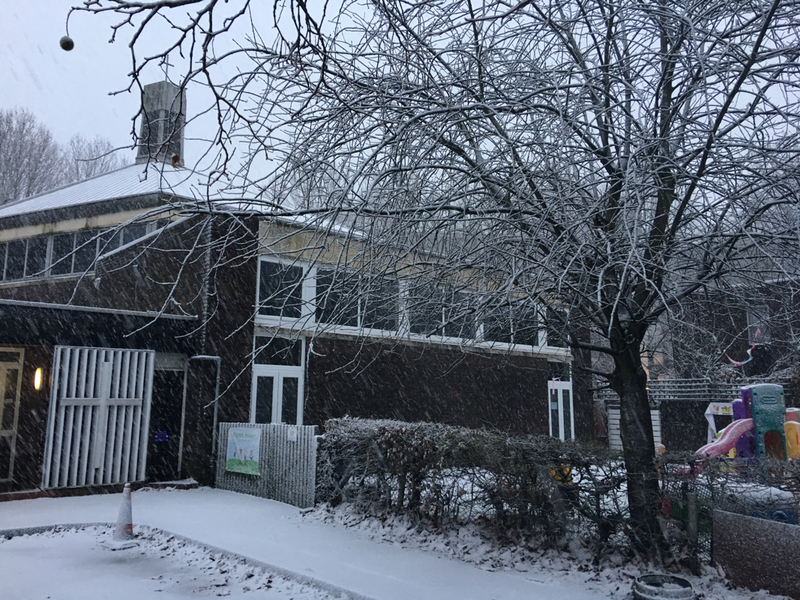 Sunday 10 December 2017 - Snowfall in Grahame Park and a snow covered Saint Augustine's! 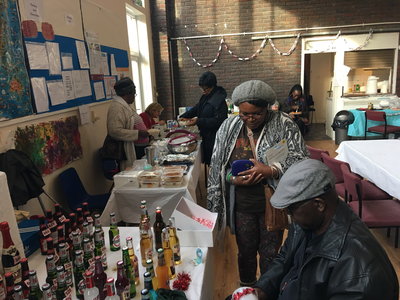 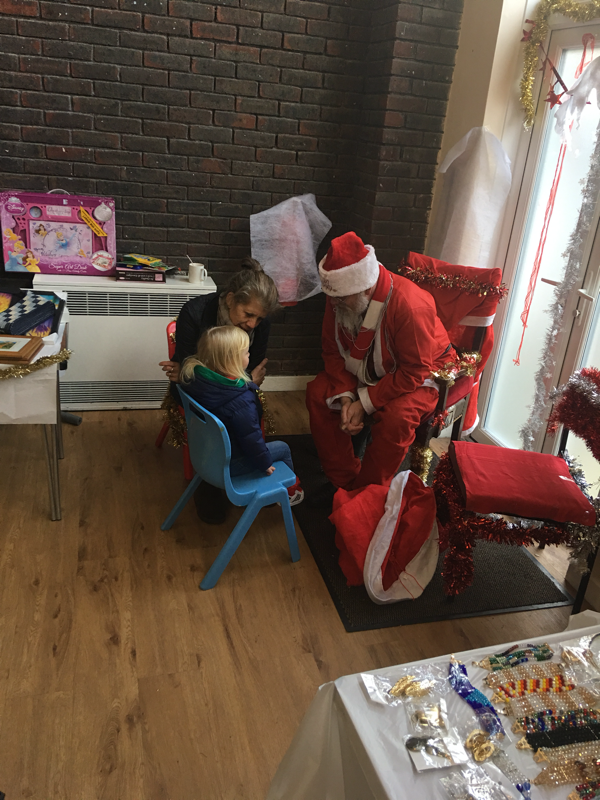 Saturday 9 Dec - Our Christmas Bazaar with lots of love and fun! 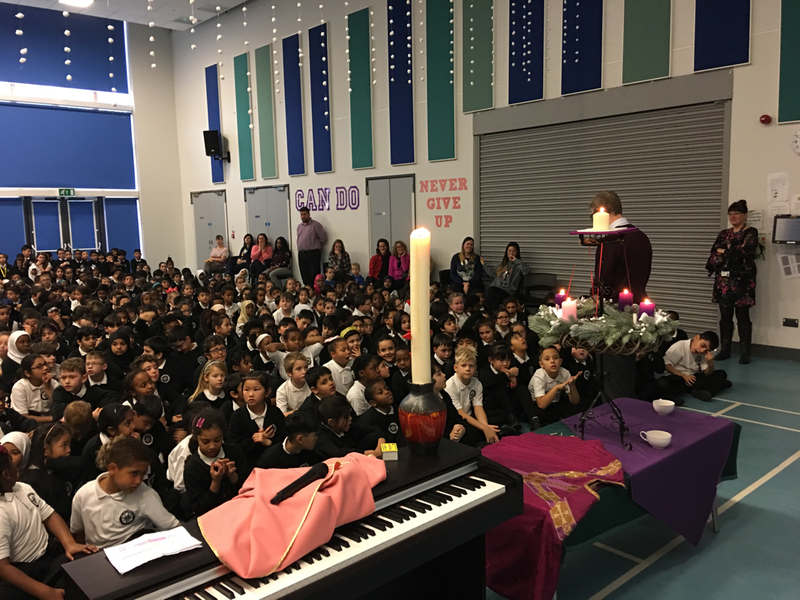 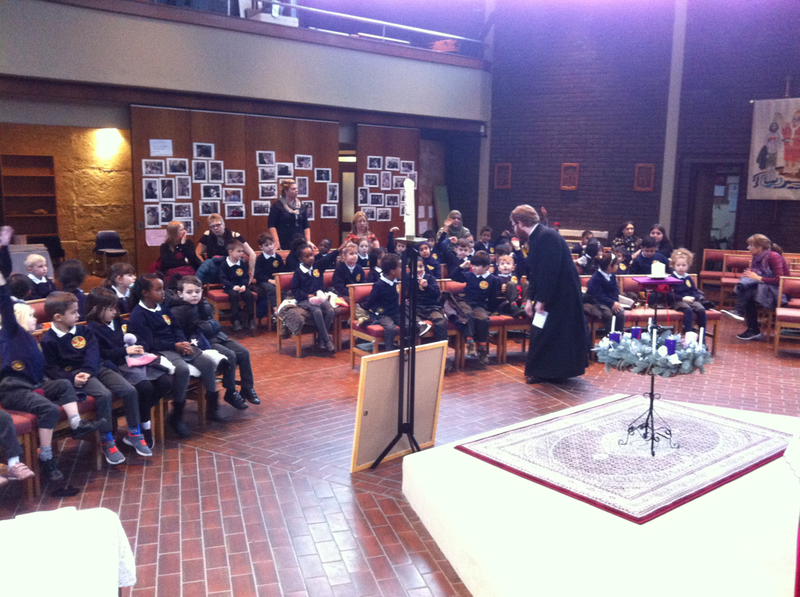 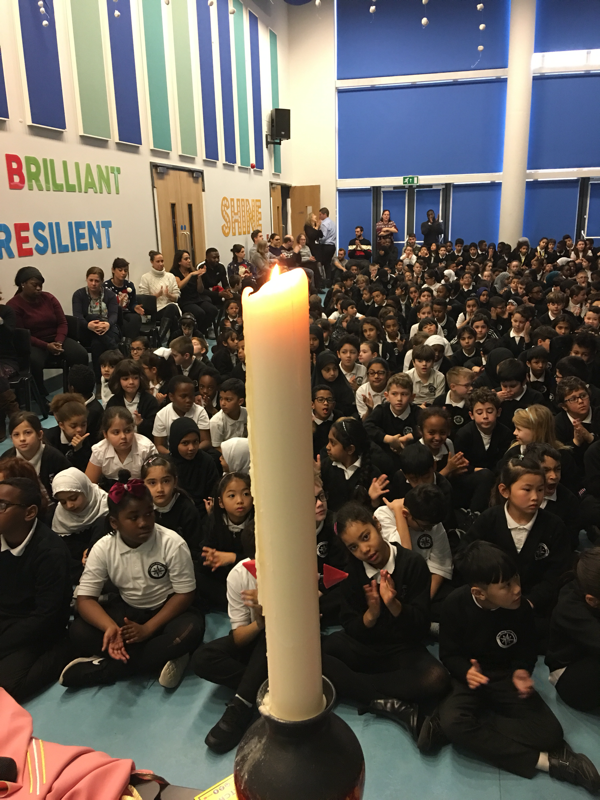 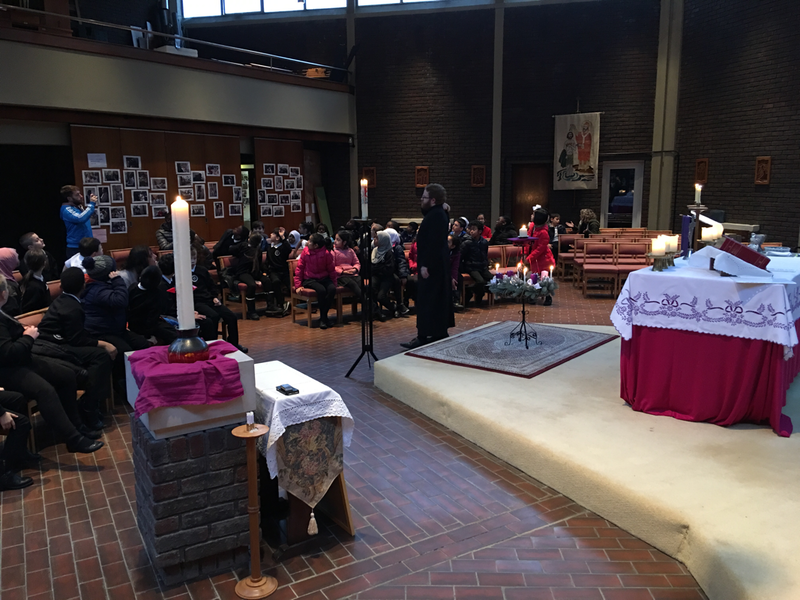 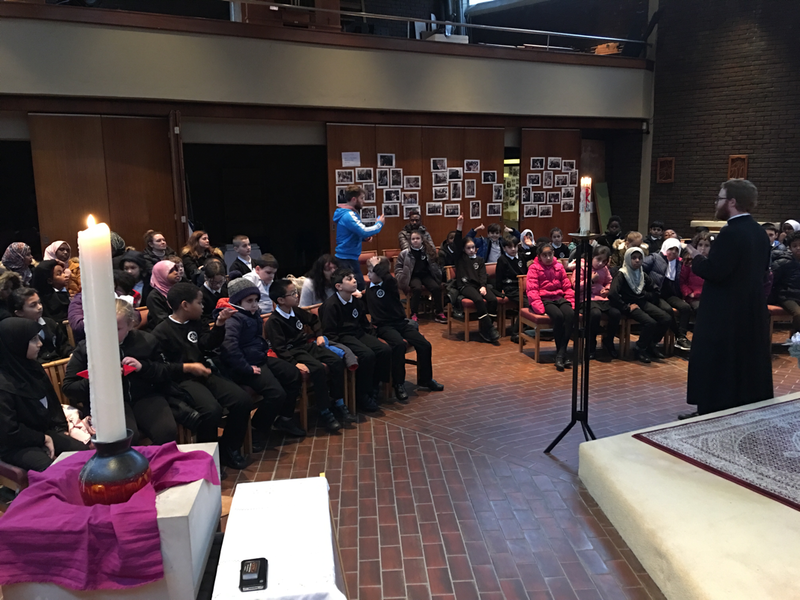 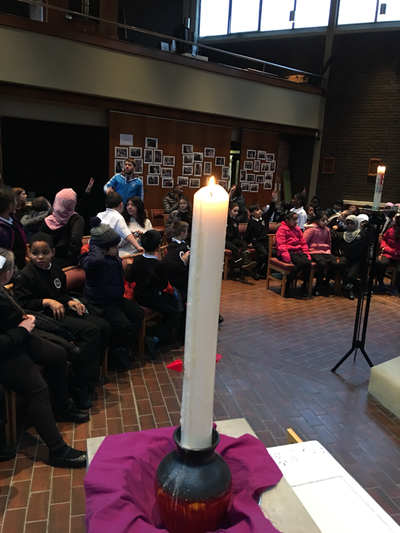 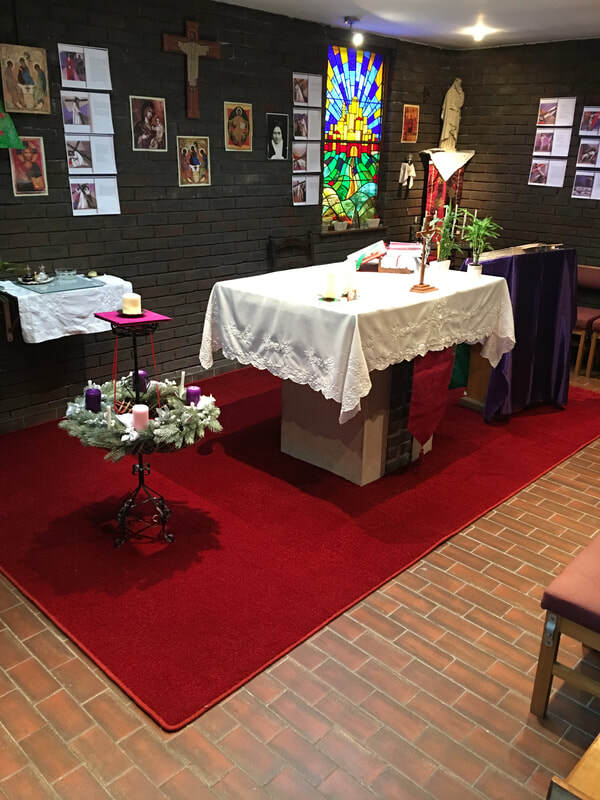 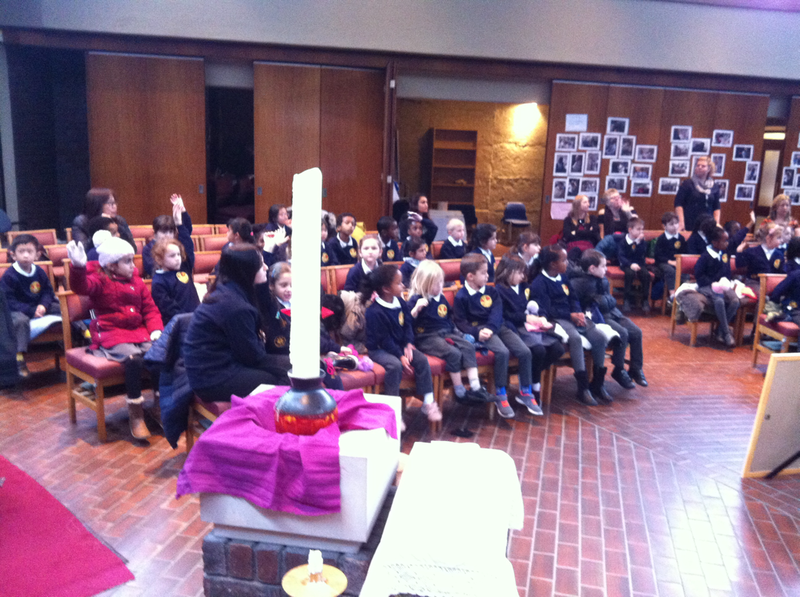 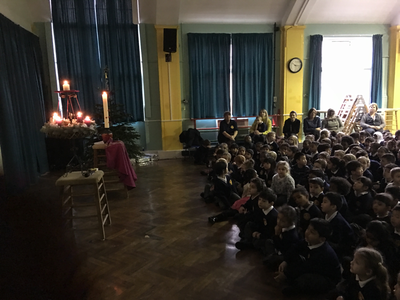 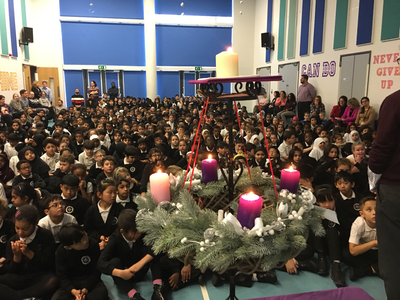 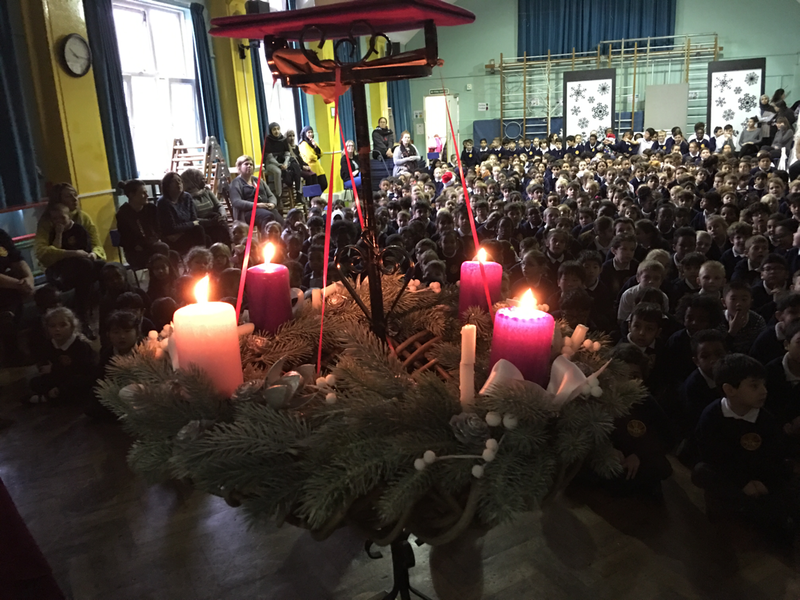 6 Wednesday 2017 - Orion's Primary School (year 4) and Goldbeaters (year 1) visited Saint Augustines to learn about the meaning of Advent for Christians and the symbolism of the Advent wreath. 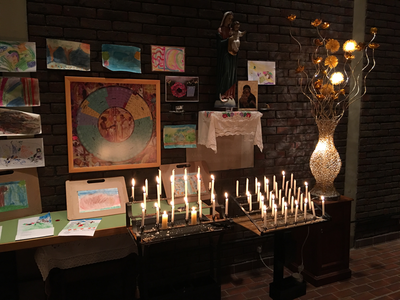 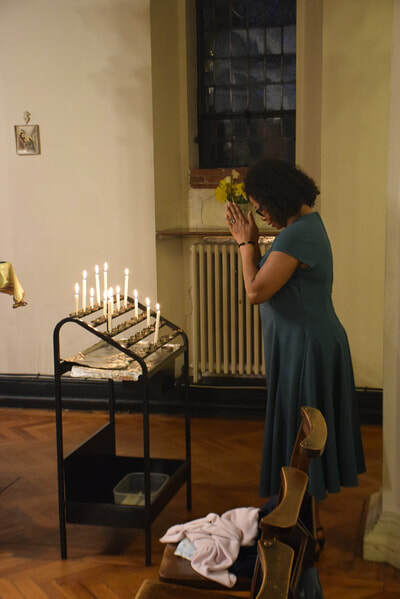 At the end of the NA meeting, the ladies visited our Lady's shrine, and after our common prayer, they lit a candle for their beloved ones. 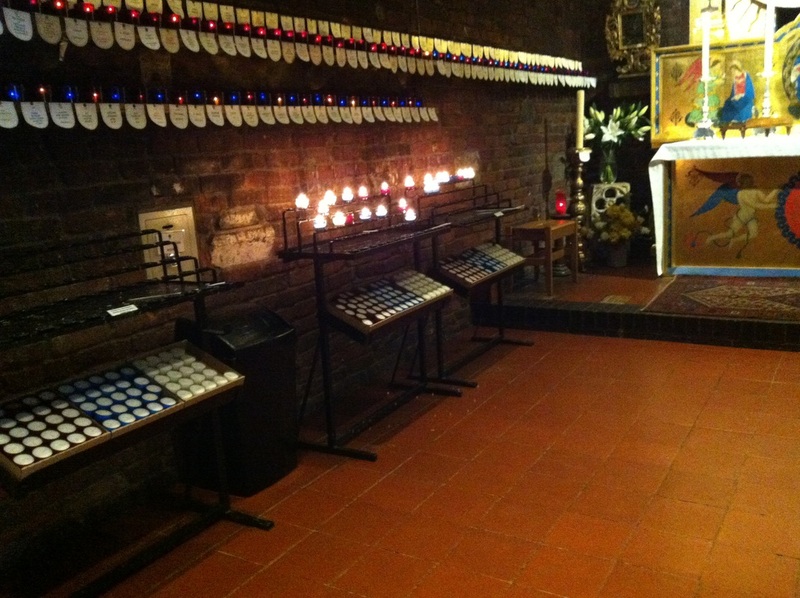 We particularly remembered the departed members of our families. 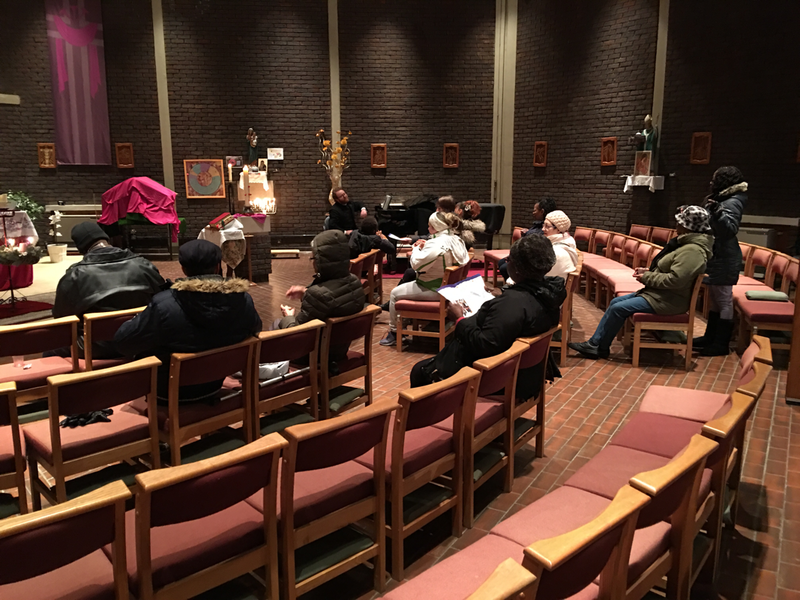 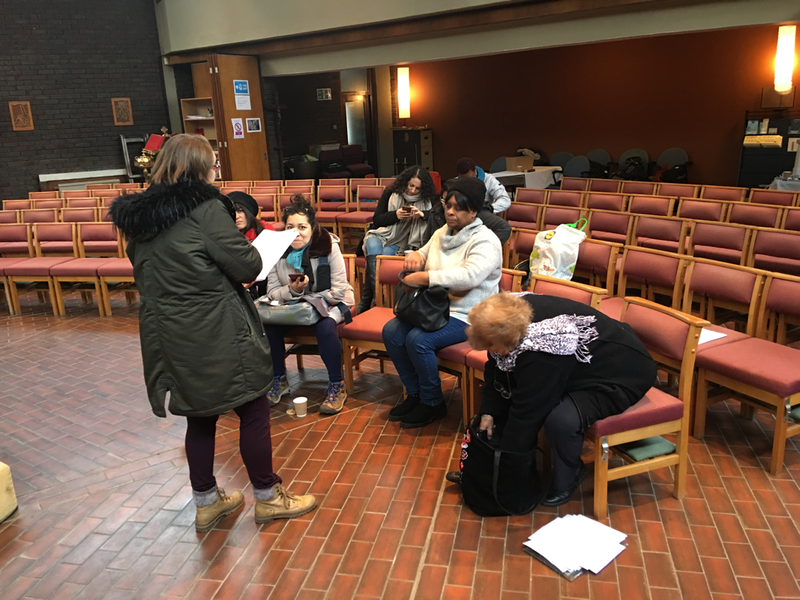 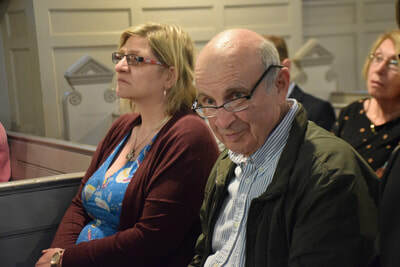 8 October 2017 - A meeting of the Neighborhood Association. 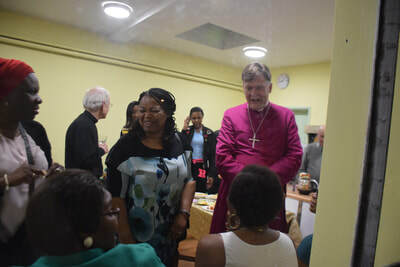 This was a great experience for the minister in charge to attend the meeting and lead the opening and closing prayers. 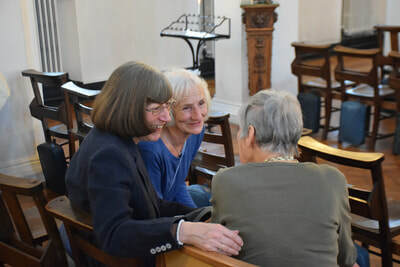 Our parish would like to strengthen the links by praying for the work of the NA and its members, and offering opportunities for praying together. 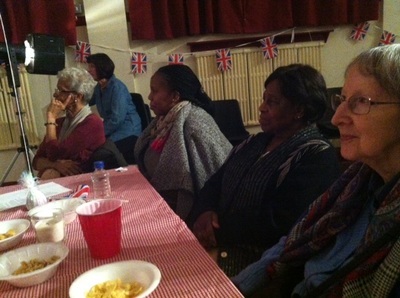 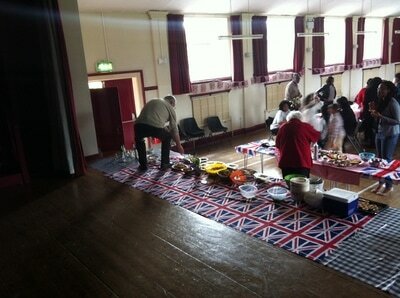 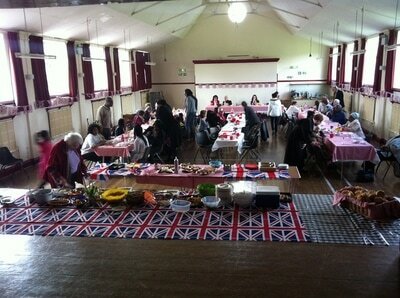 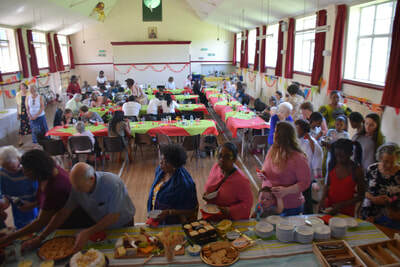 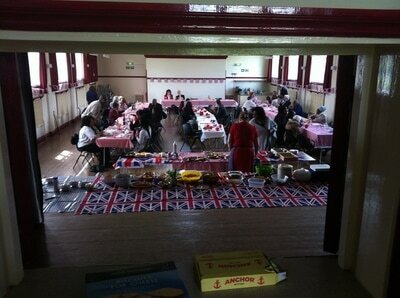 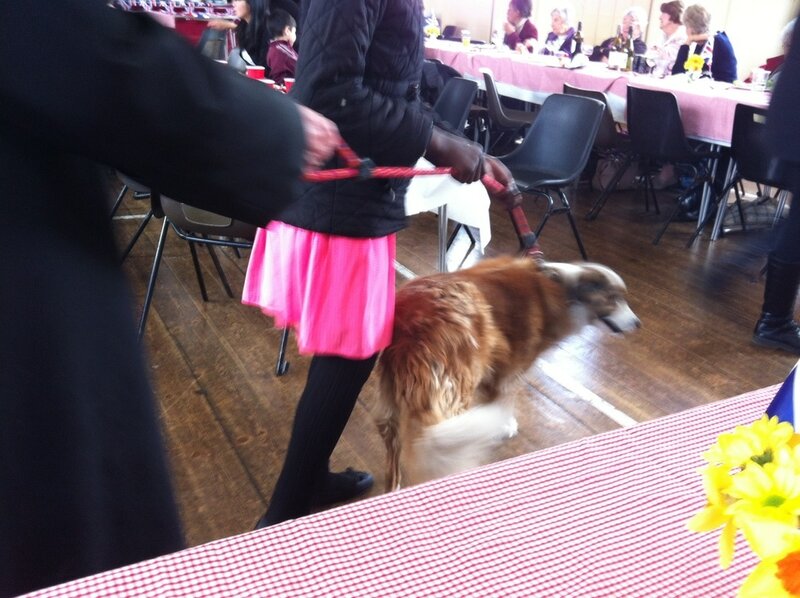 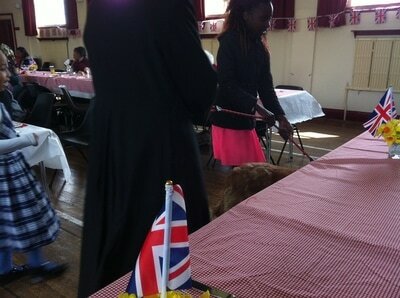 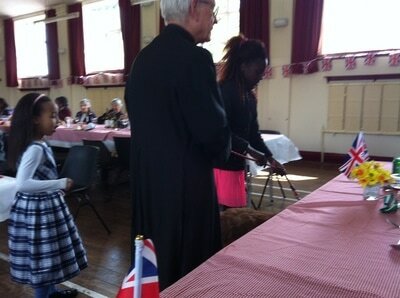 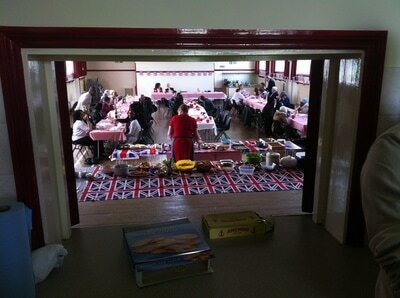 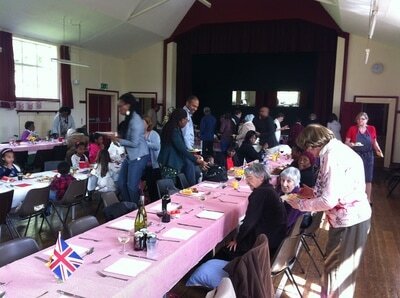 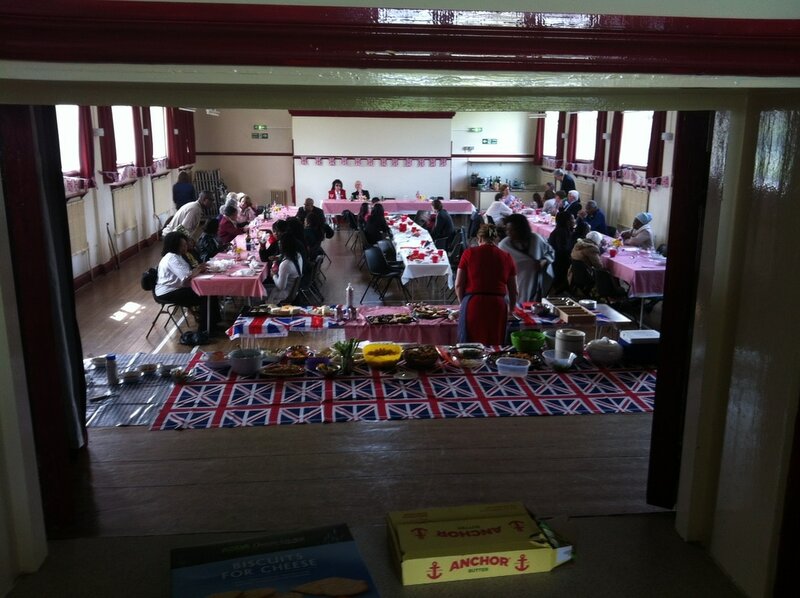 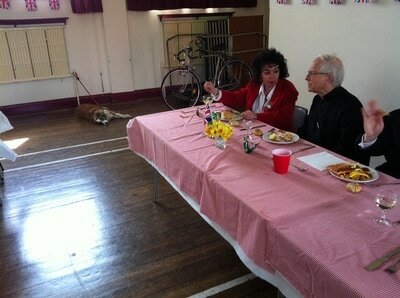 The NA meets monthly in our Church Hall. 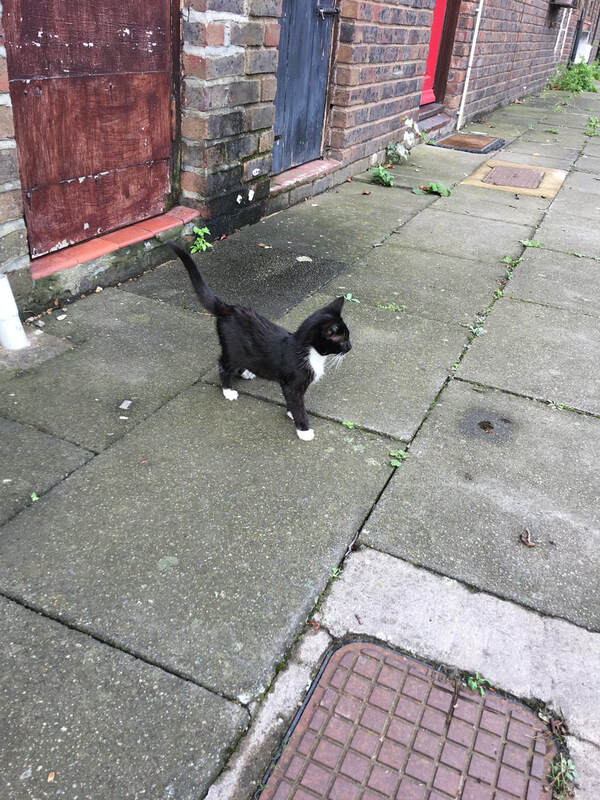 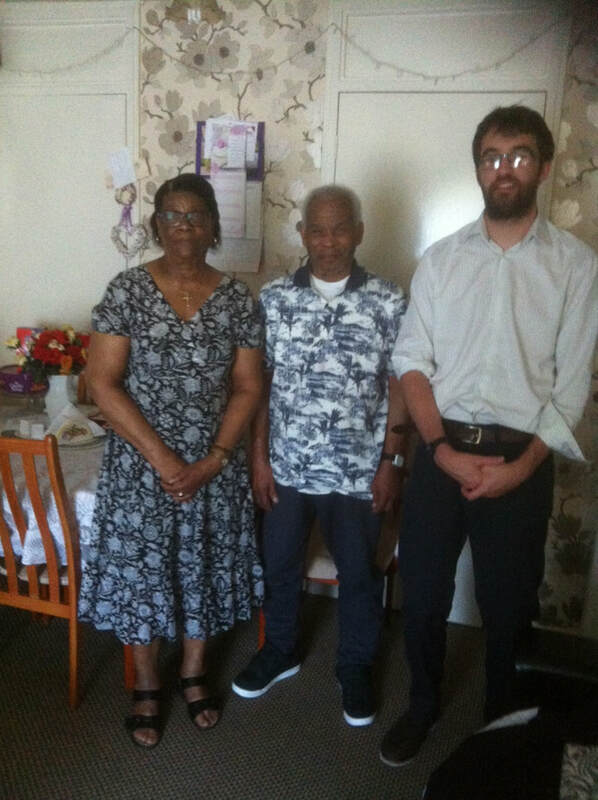 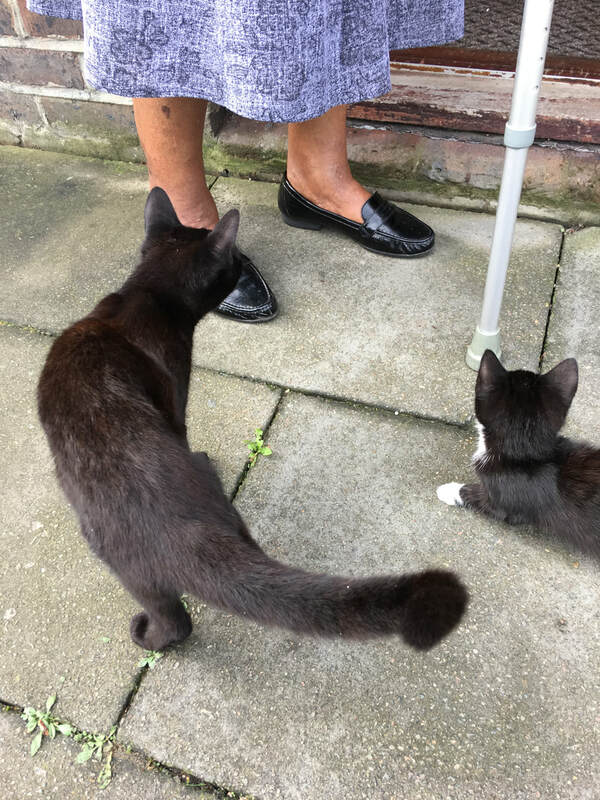 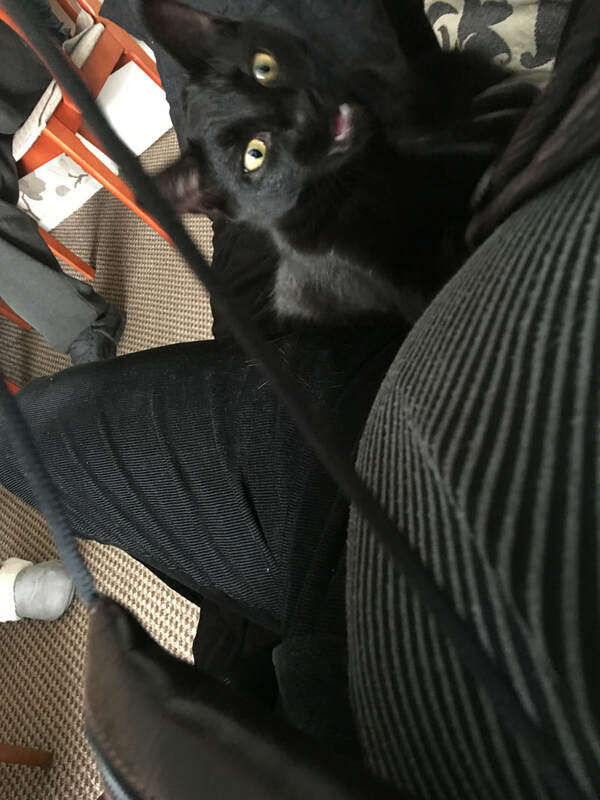 29 September 2017 - One of the best moments of the week when visiting Navette and Arthur and playing with their cats:) Almost like an invisible social history of Grahame Park. 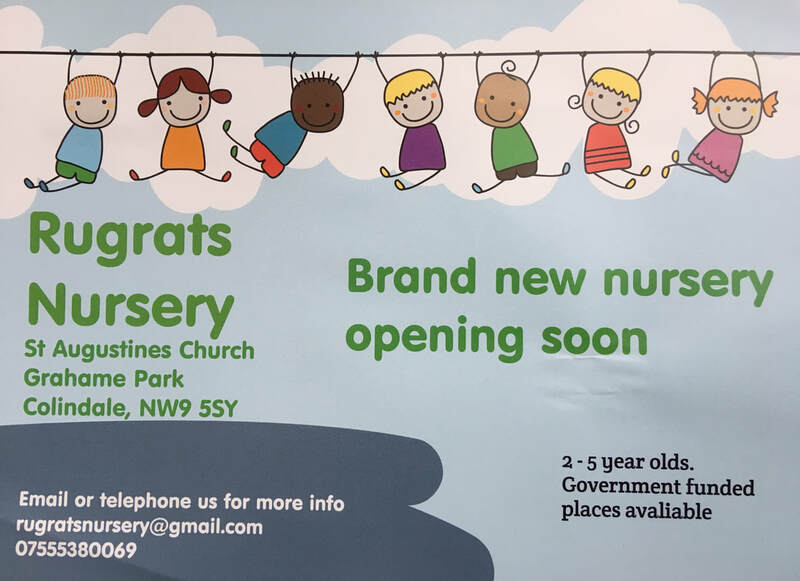 04 Septemper 2017 - Our Rugrats Nursery NOW OPEN!!!! 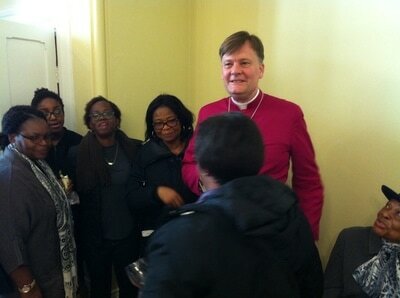 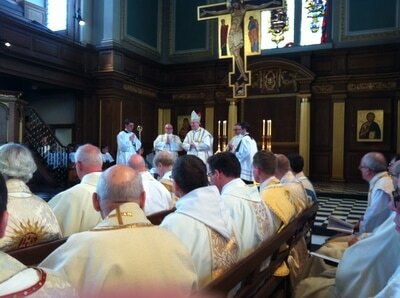 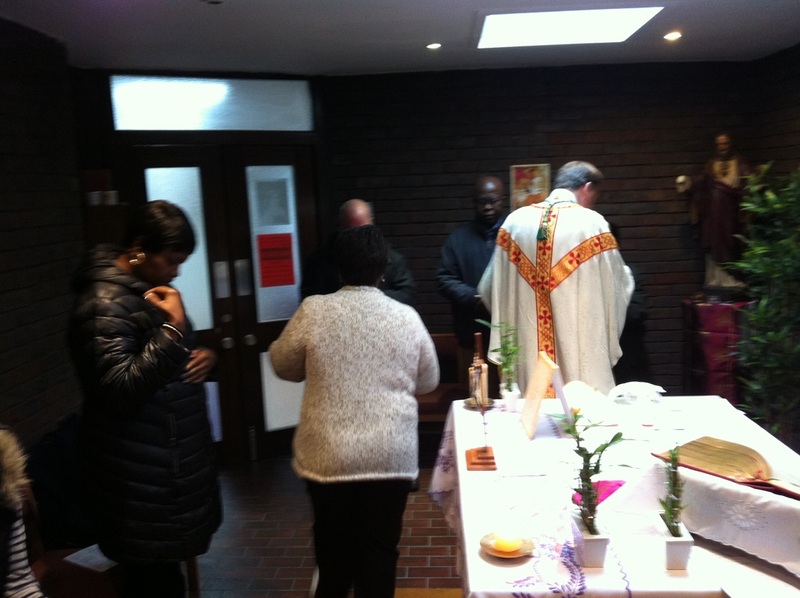 What a joy for us, here at Saint Augustine's to welcome growth and new life! 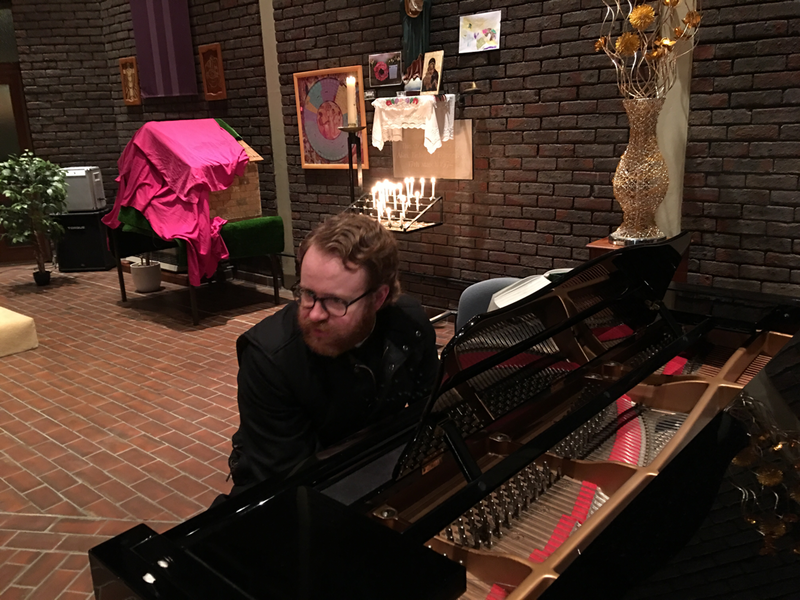 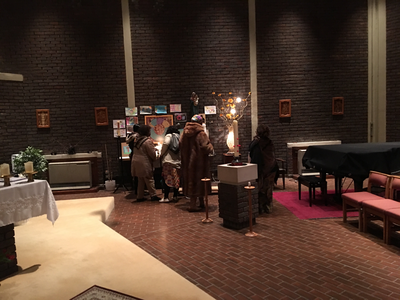 Many thanks to all who contributed to this project! 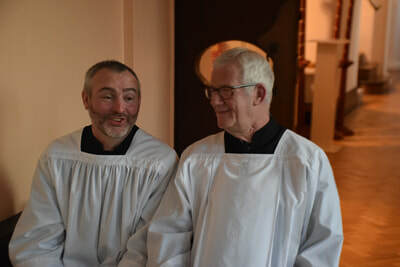 It was a very happy day, indeed, and the first photos are here! 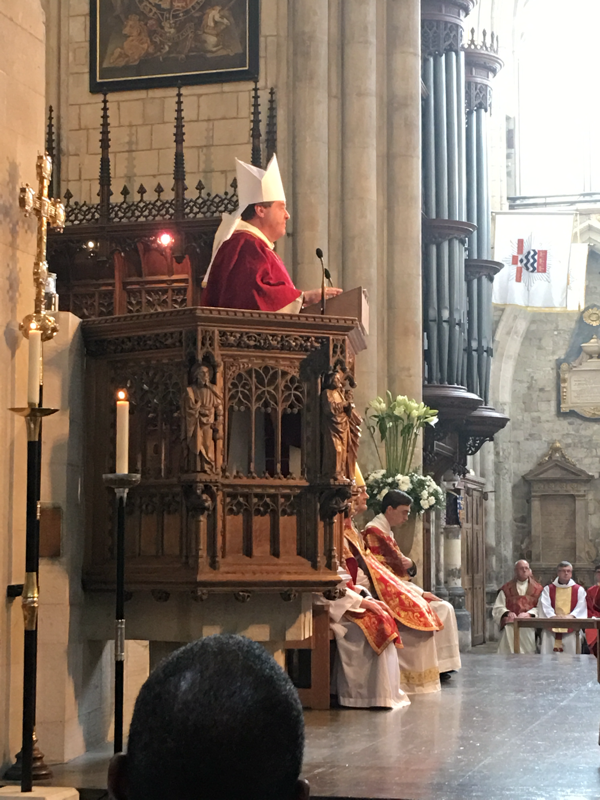 17 May 2017. 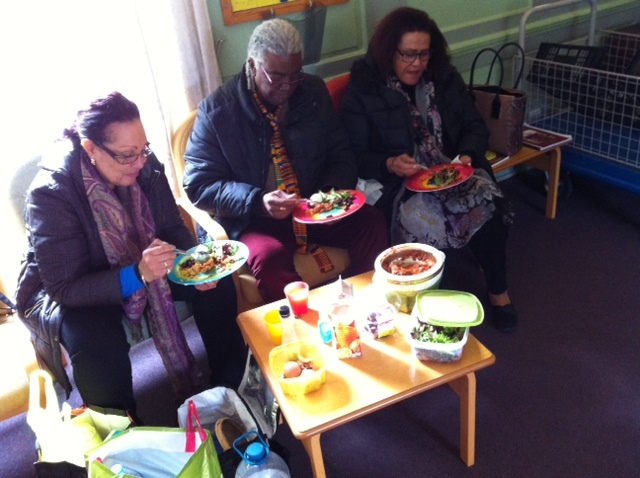 Michael's birthday celebration, Wednesday lunchclub. What a lovely party. 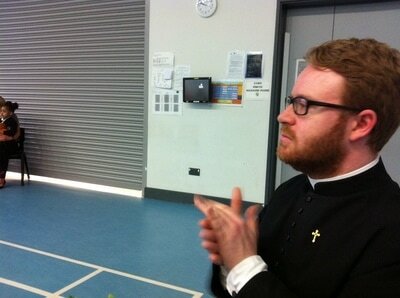 We are proud that Michael enjoys being with us, his friends at St Augustine's. 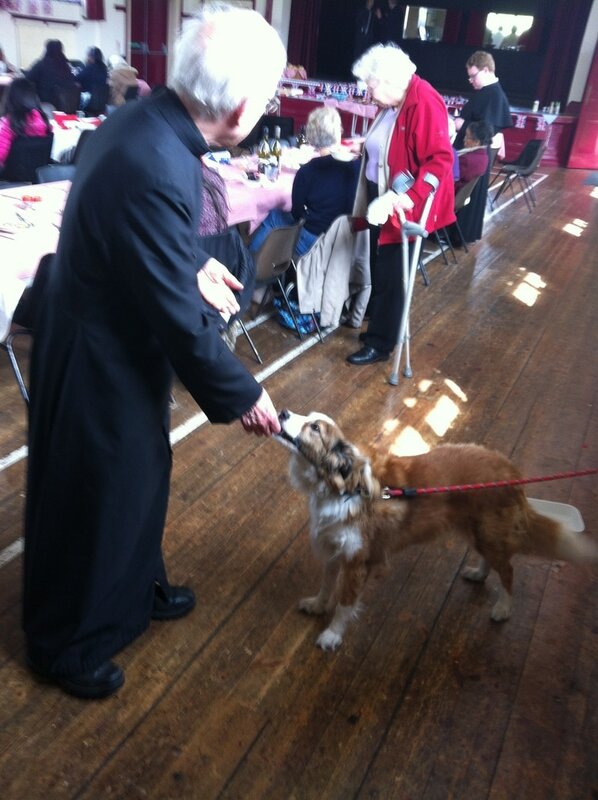 He has difficulties with speaking but communicates perfectly on the level of love! 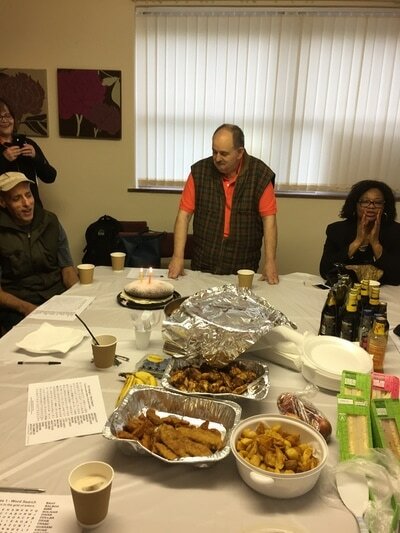 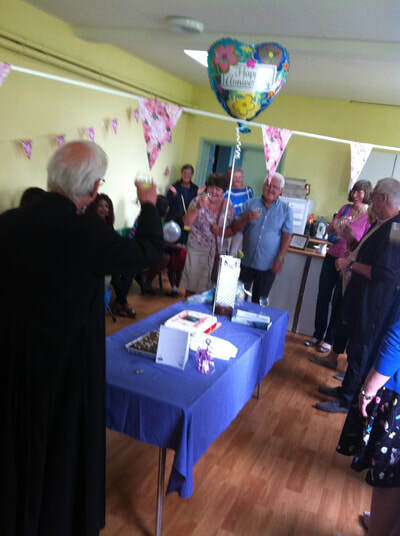 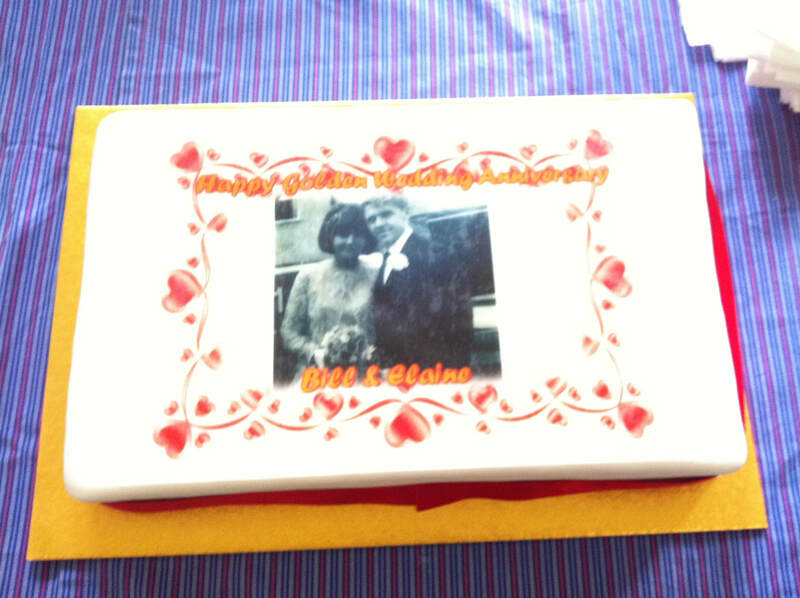 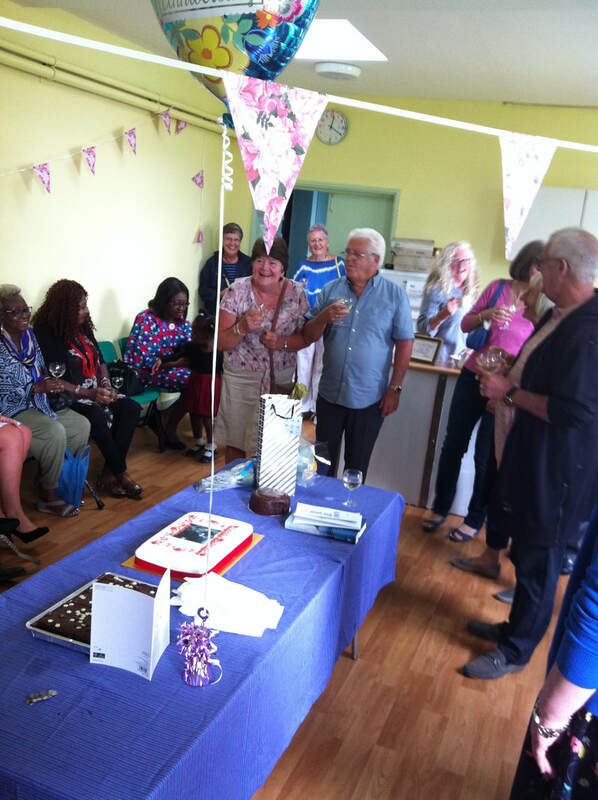 Uncle Joe, our Treasurer also had a birthday recently (in front of the white-board on the fist picture). 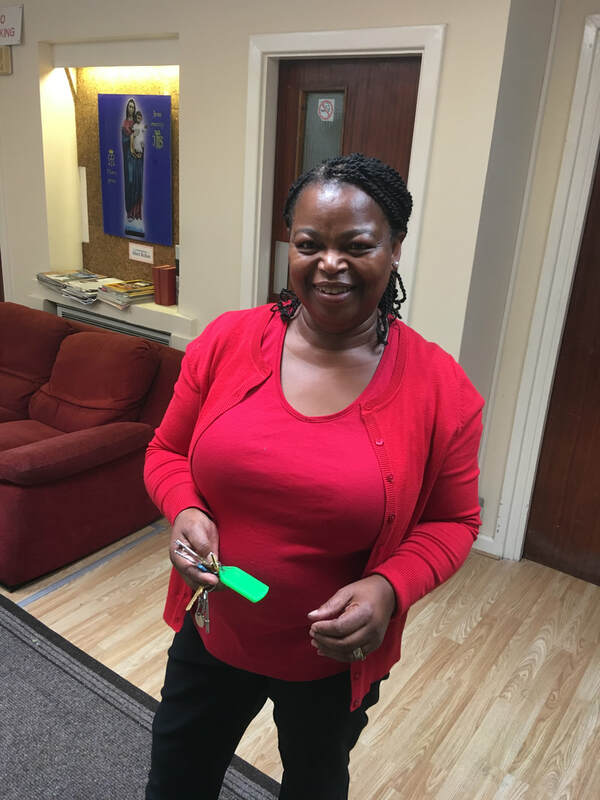 One new member joined, Joyce, welcome! 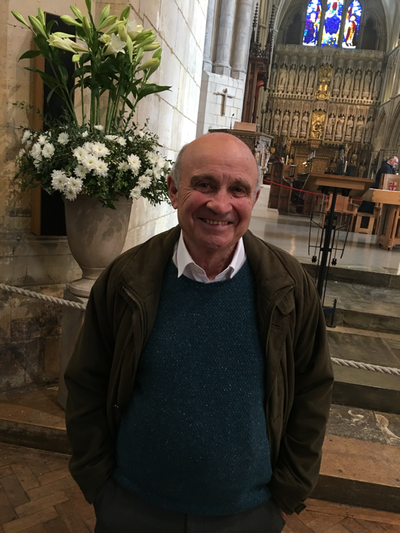 10 May 2017. 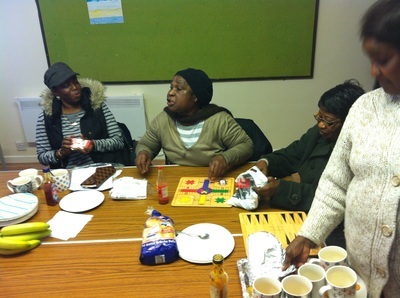 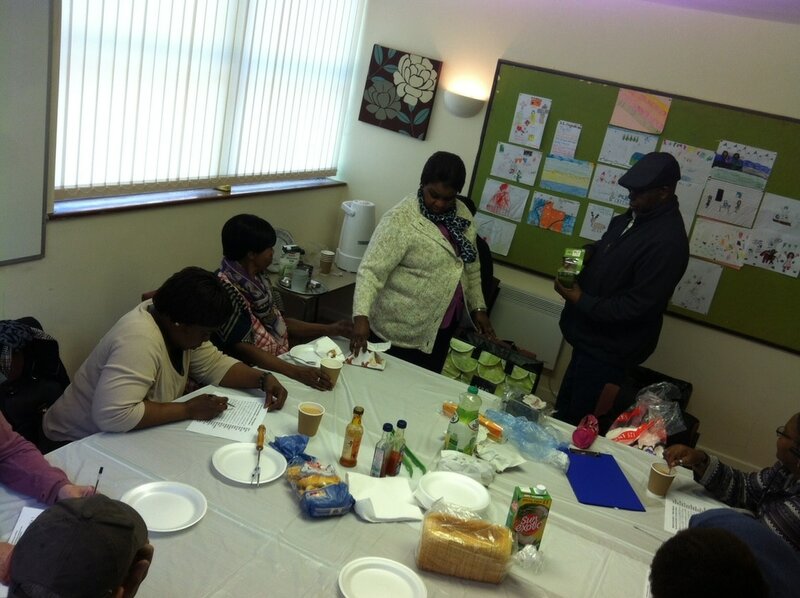 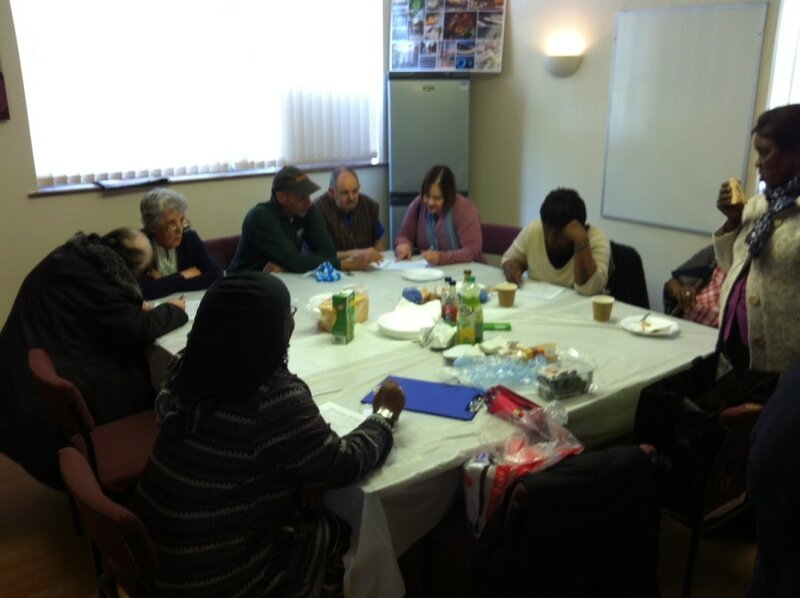 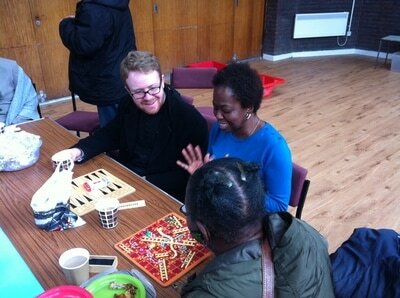 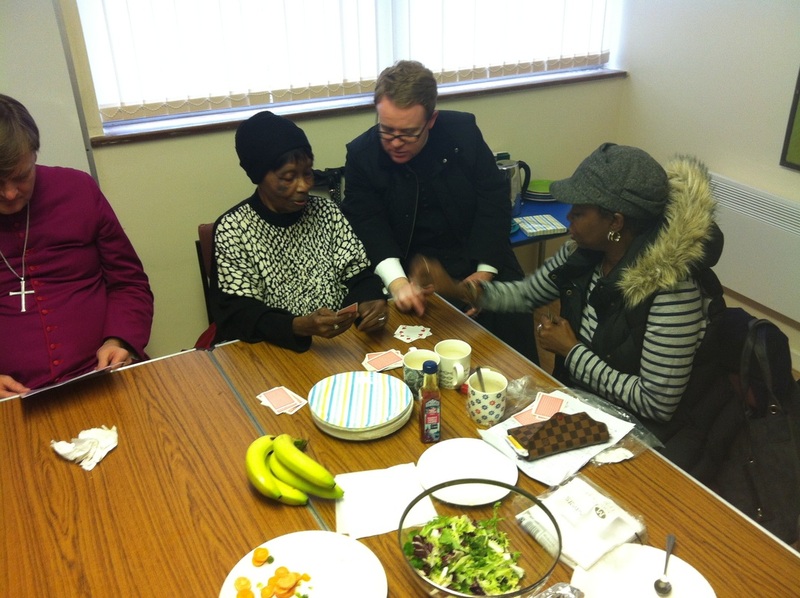 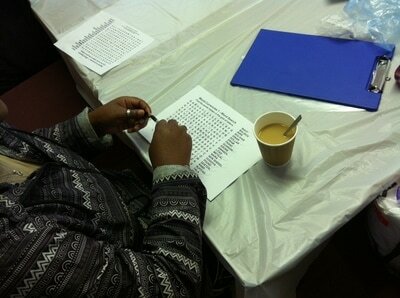 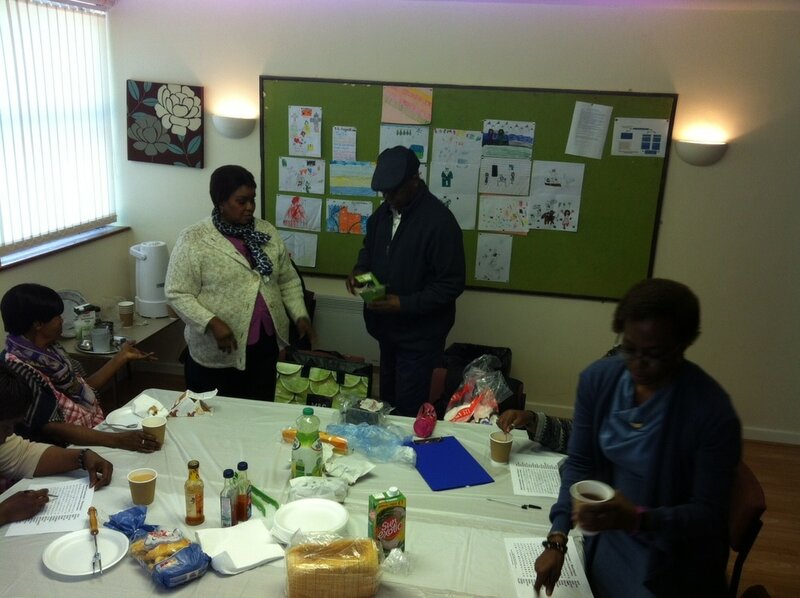 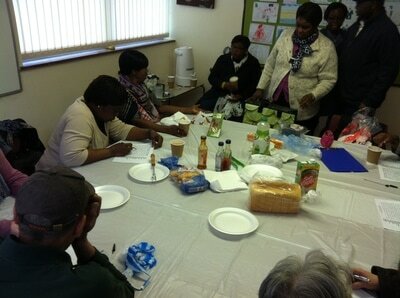 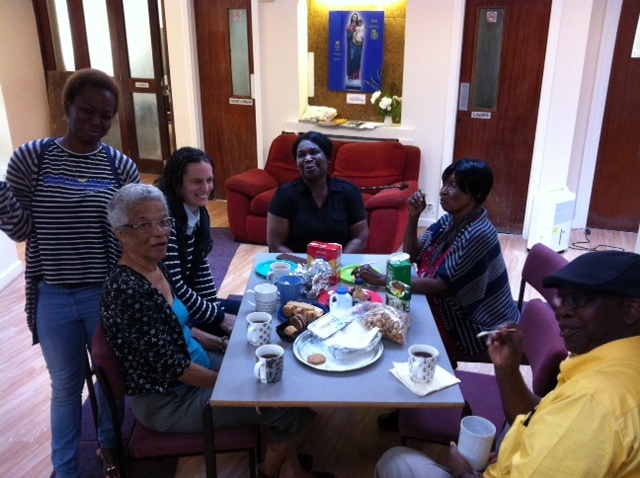 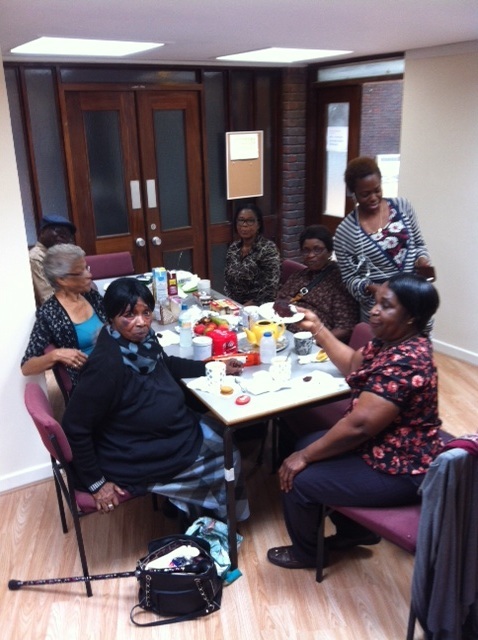 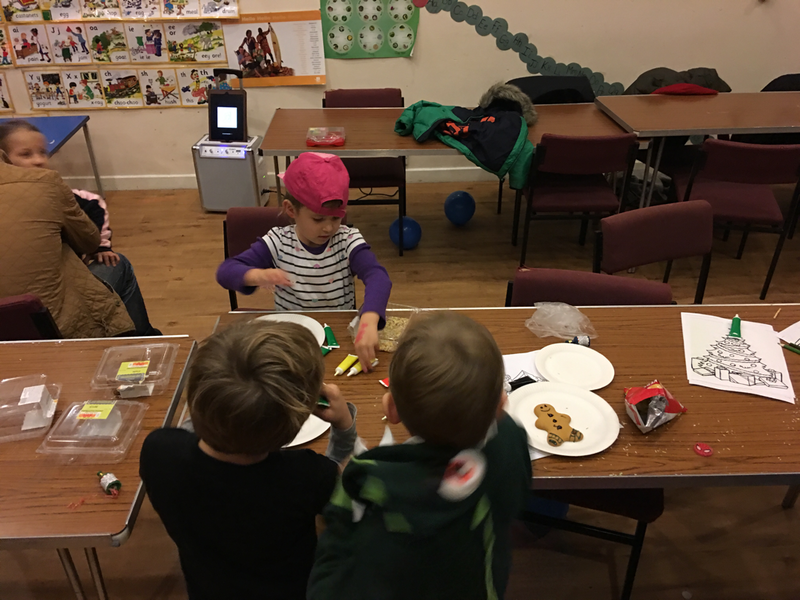 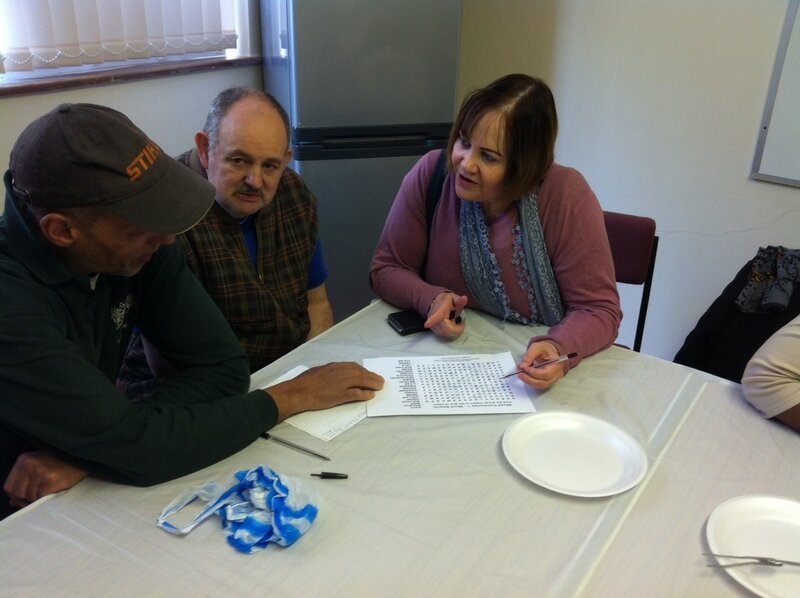 Our Wednesday lunch club with interesting new brain storming games! 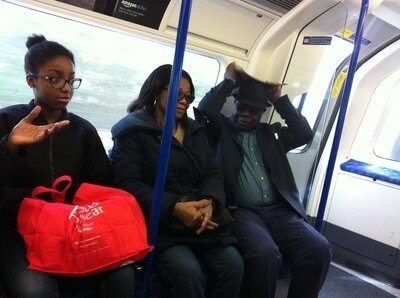 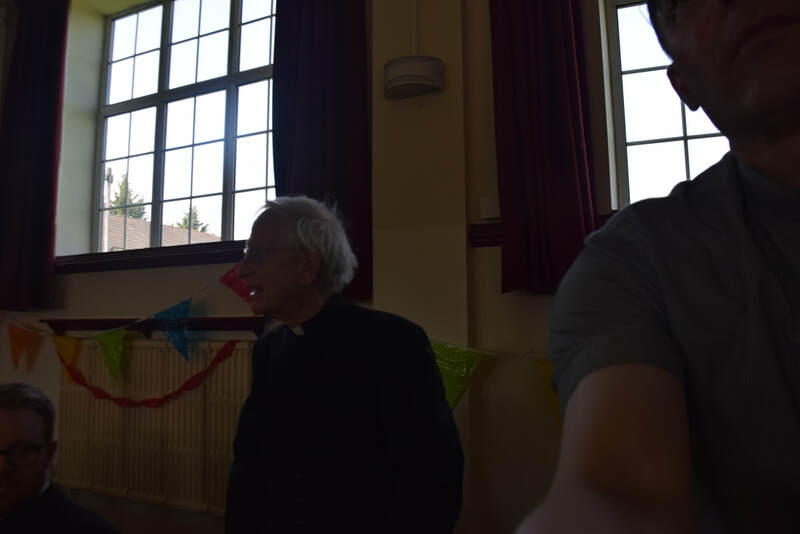 'A complement from the devil'. 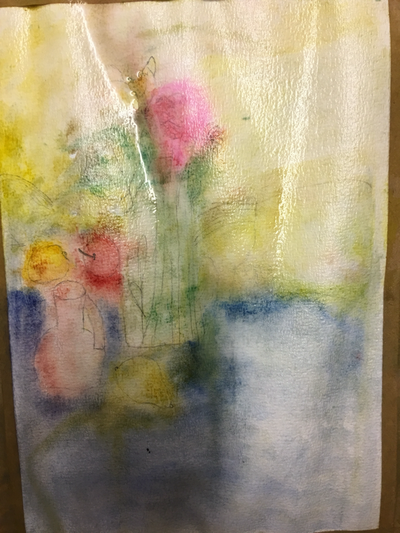 When there is growth and beauty, there is always a protest from the evil. 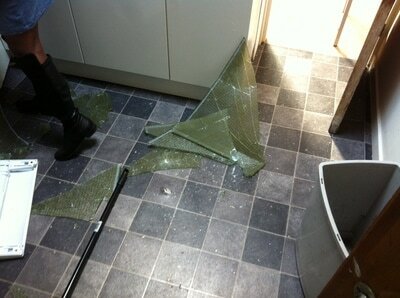 Someone climbed our roof and smashed the window over our kitchenette. 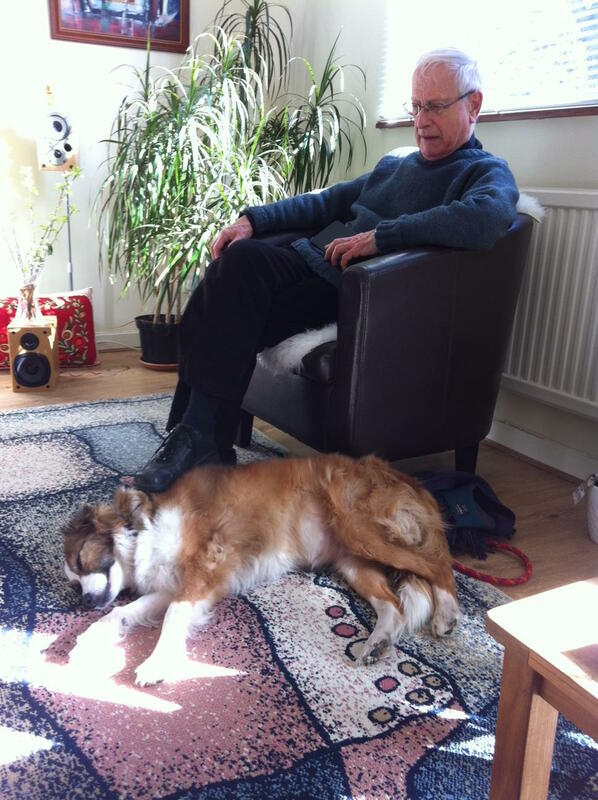 A sad day, but we see it as 'a compliment'. We pray for the person, and not out of naivety. 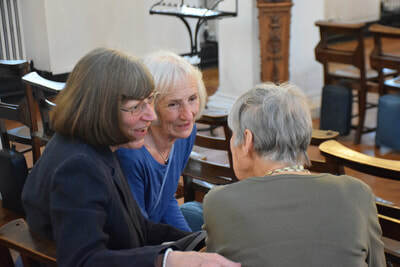 30 April 2017. 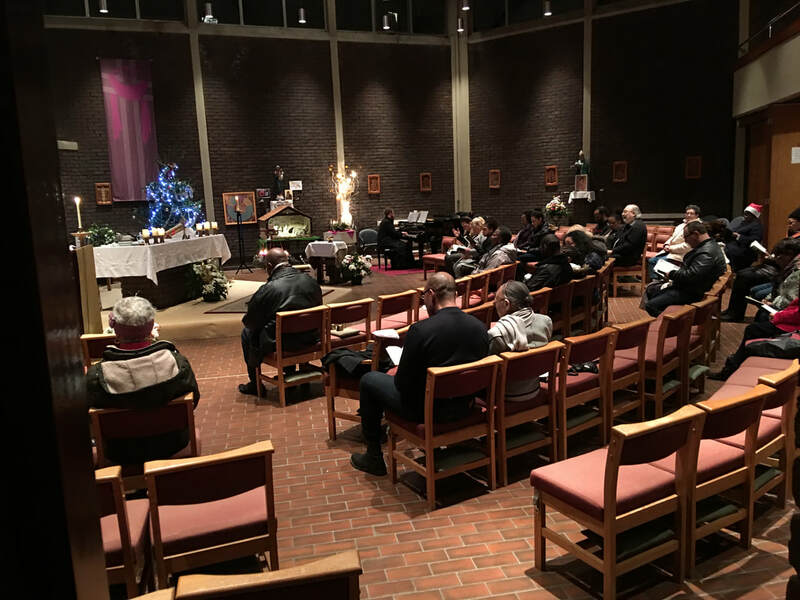 ANNUAL PARISHIONER'S MEETING, ANNUAL PAROCHIAL CHURCH MEETING, AND THE MEETING OF THE DCC at St Augustine's. 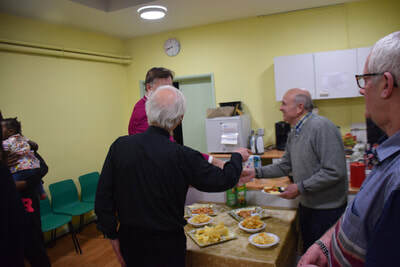 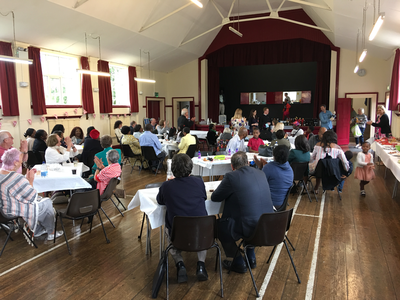 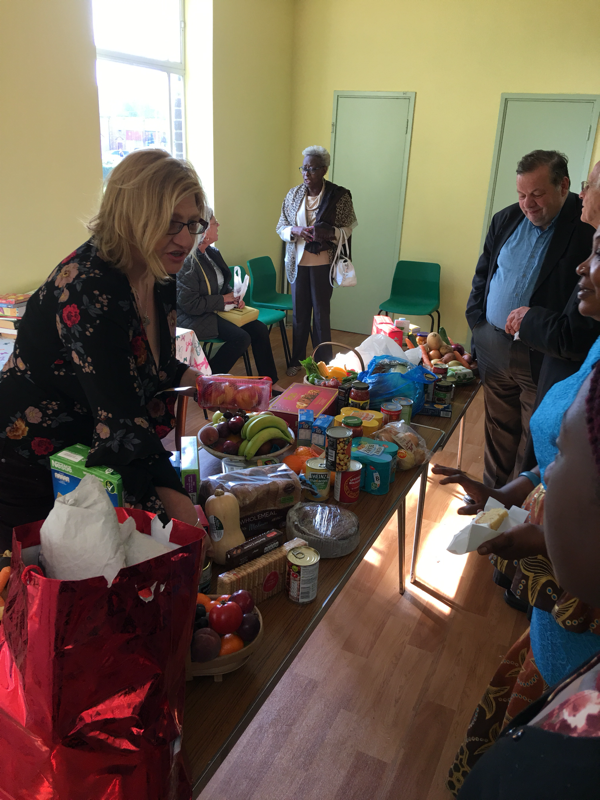 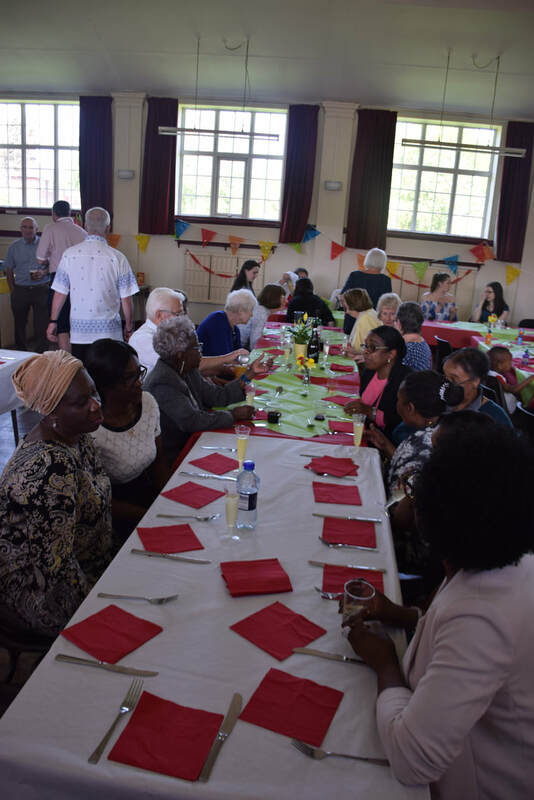 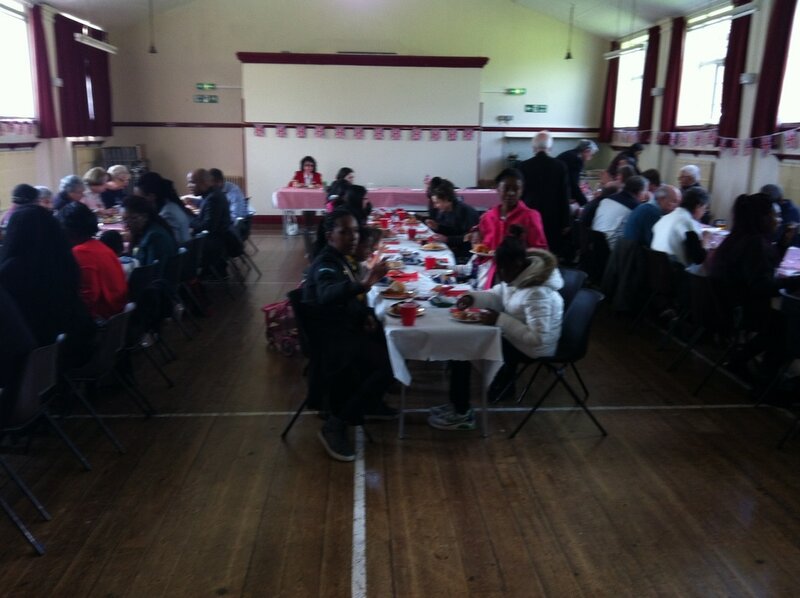 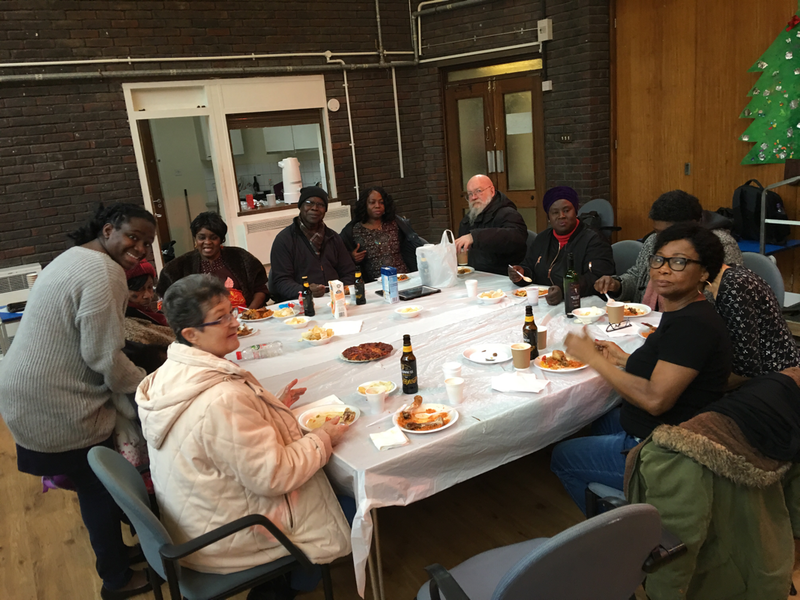 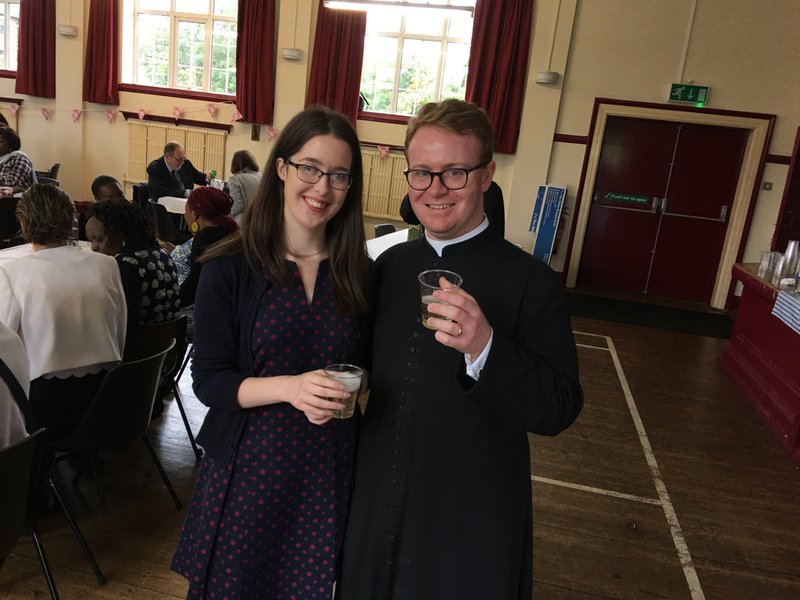 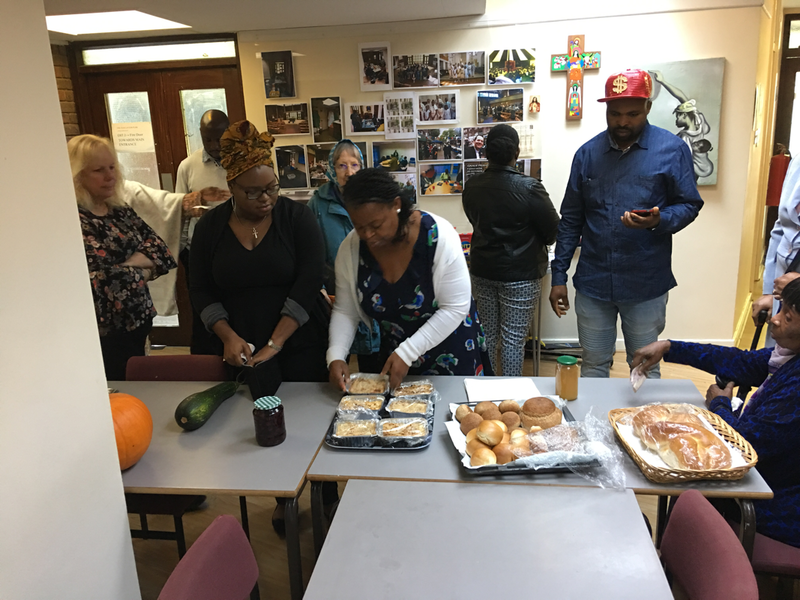 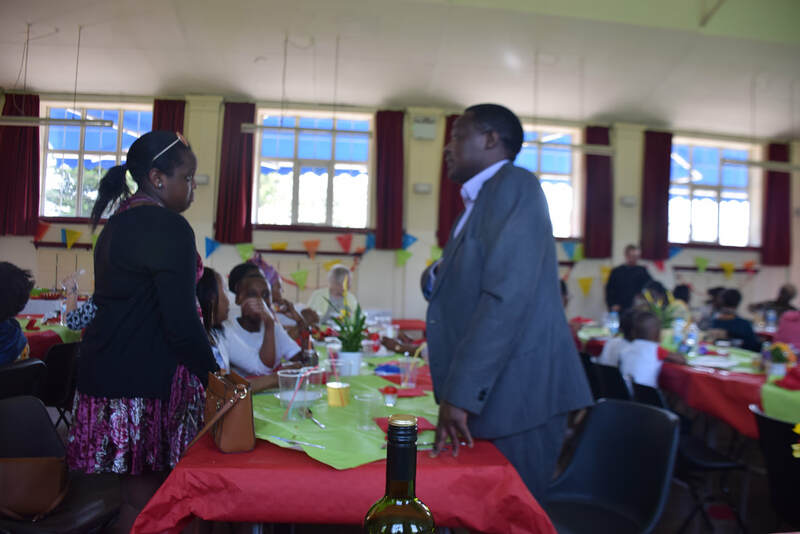 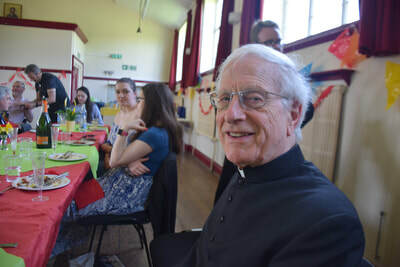 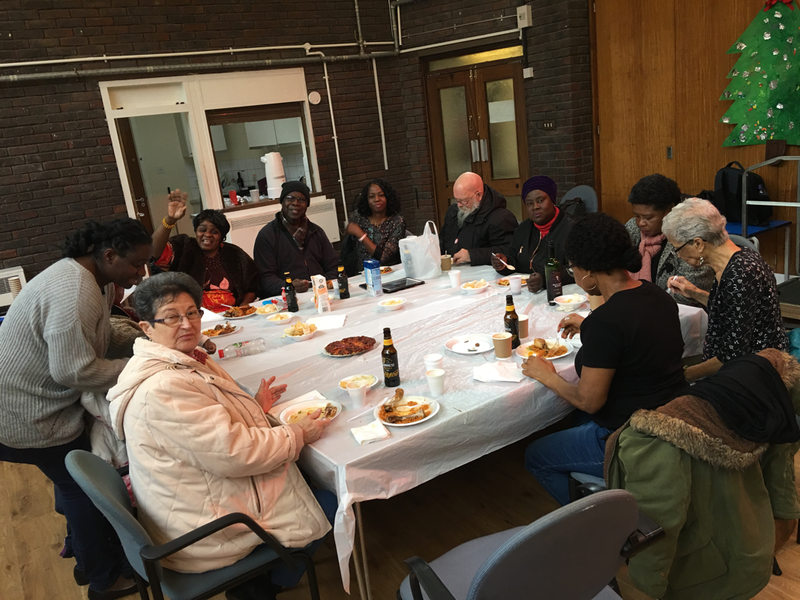 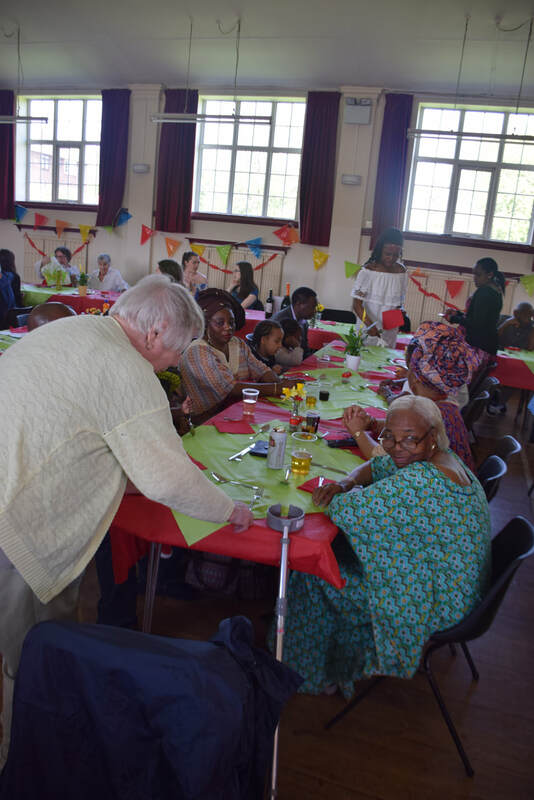 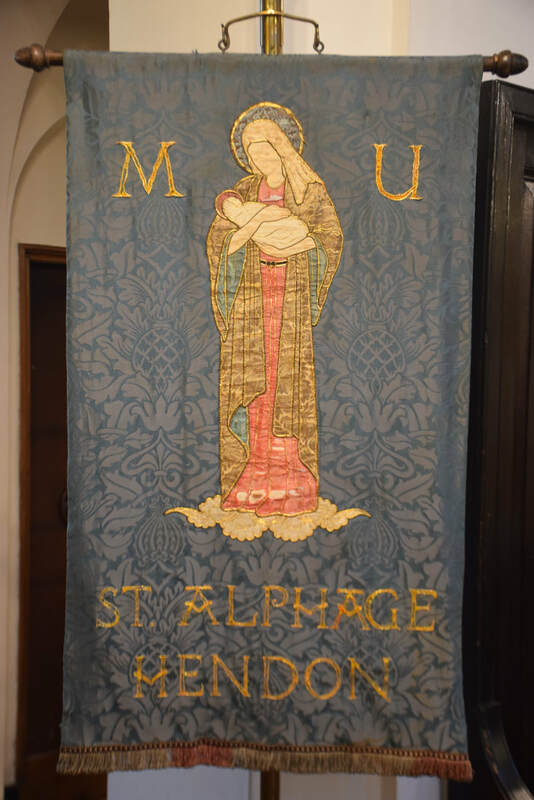 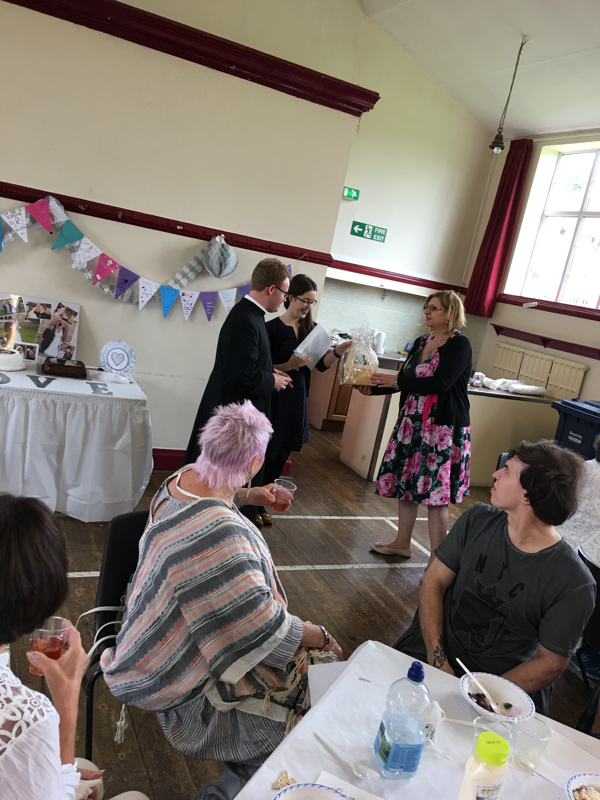 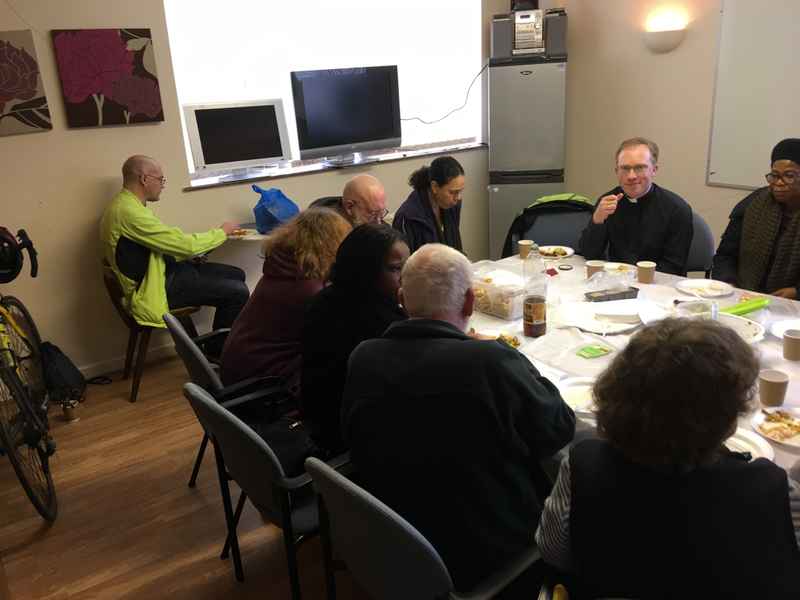 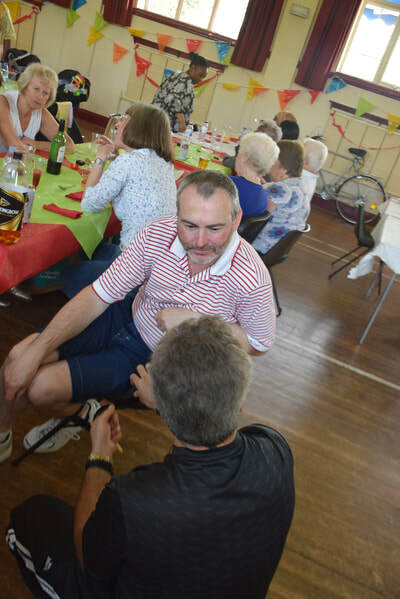 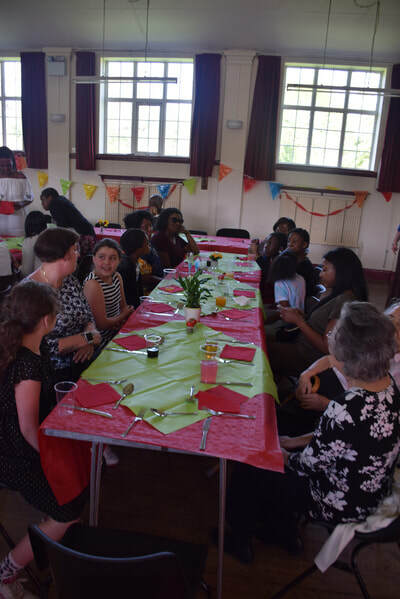 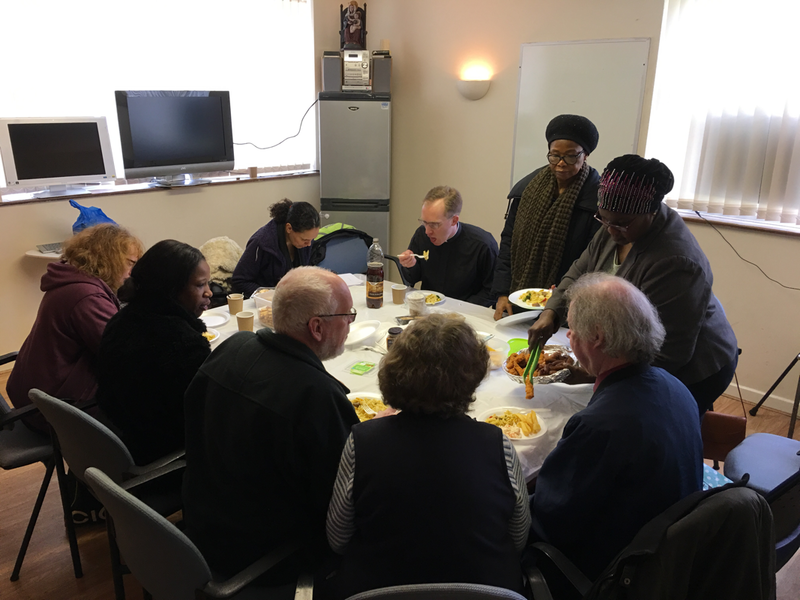 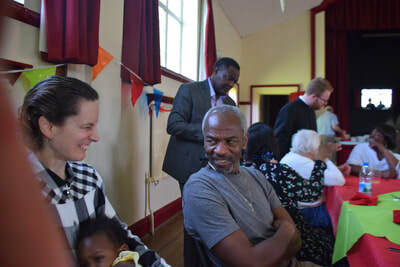 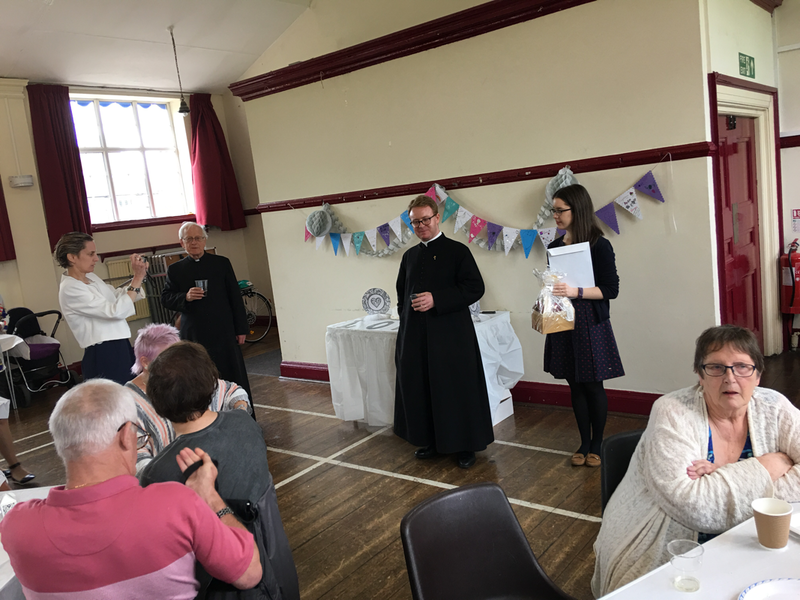 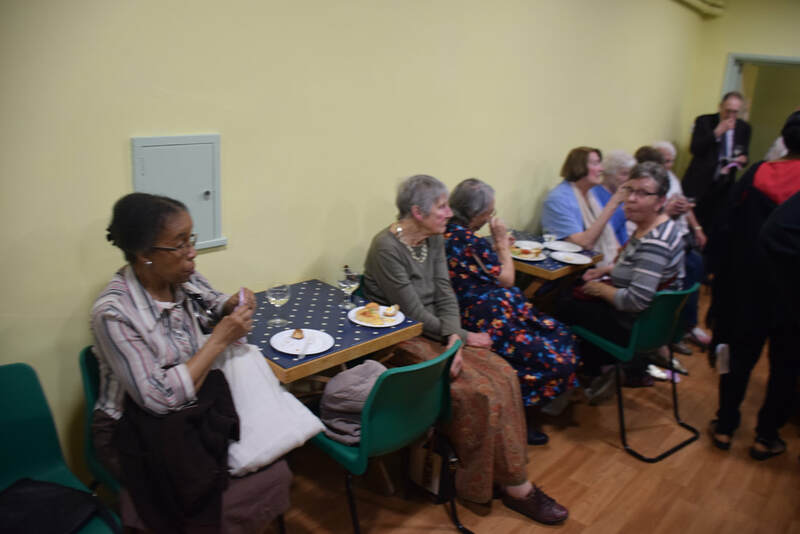 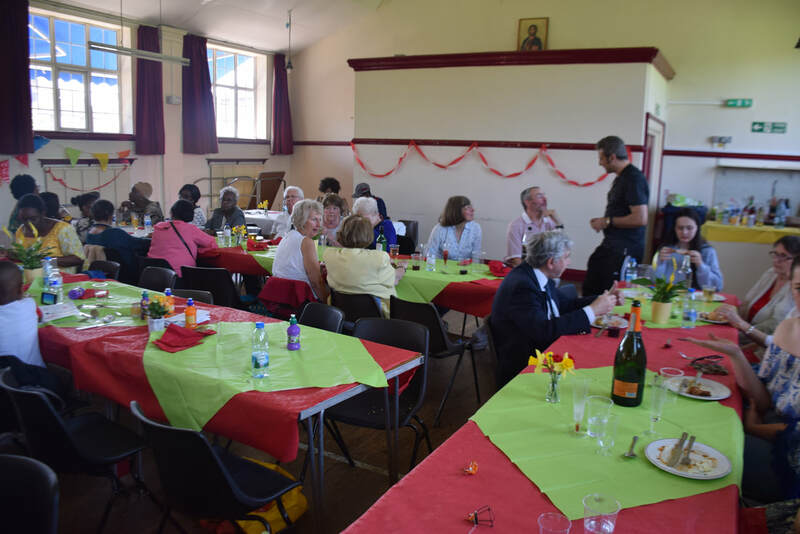 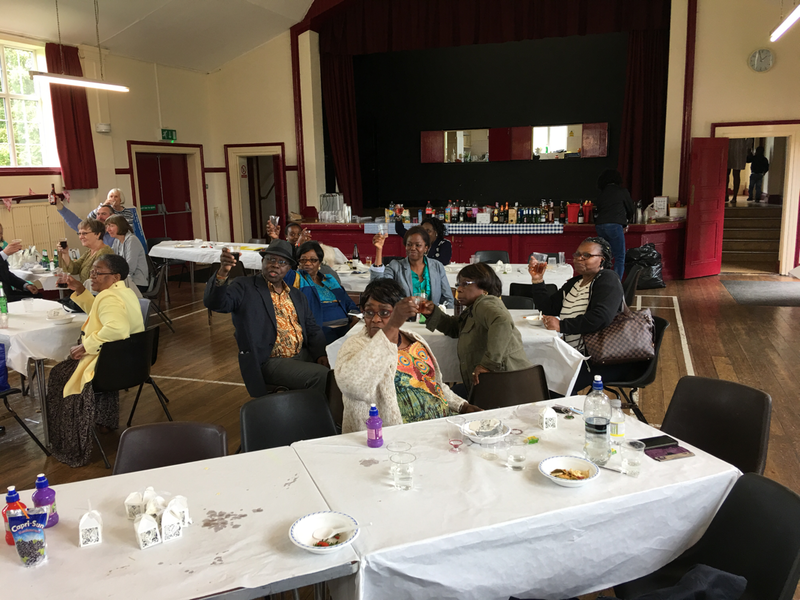 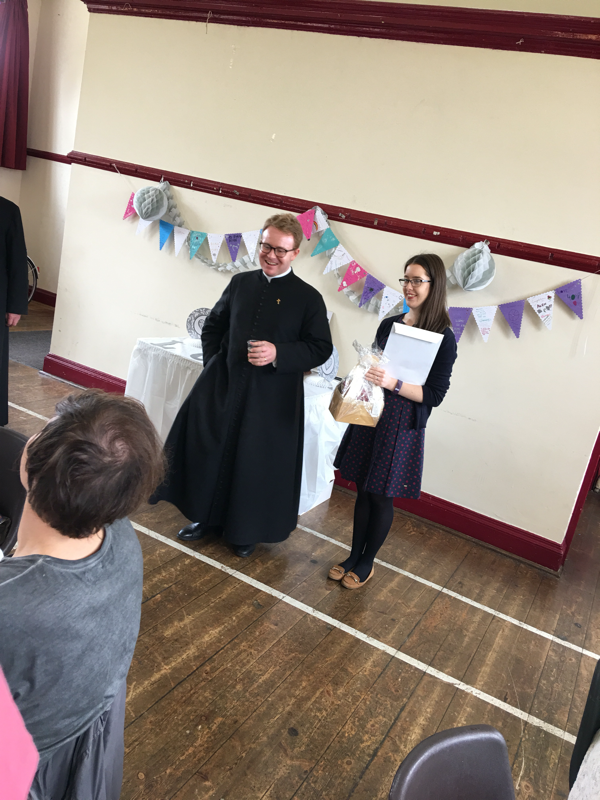 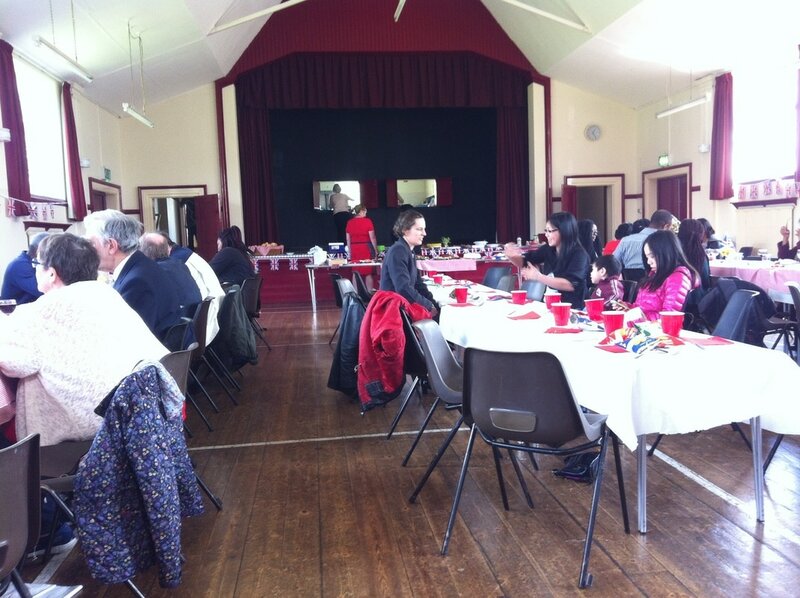 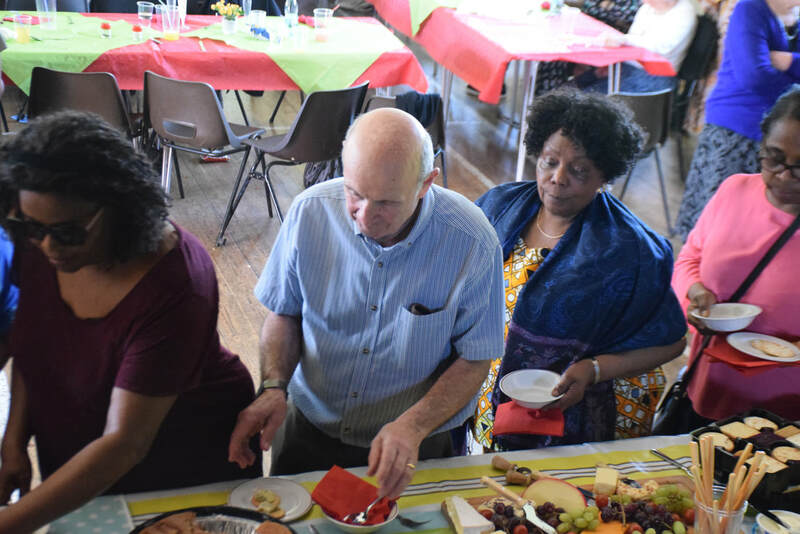 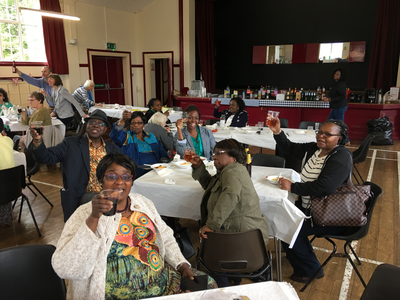 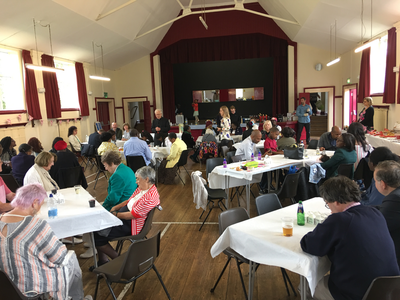 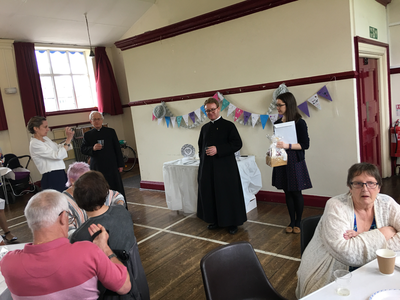 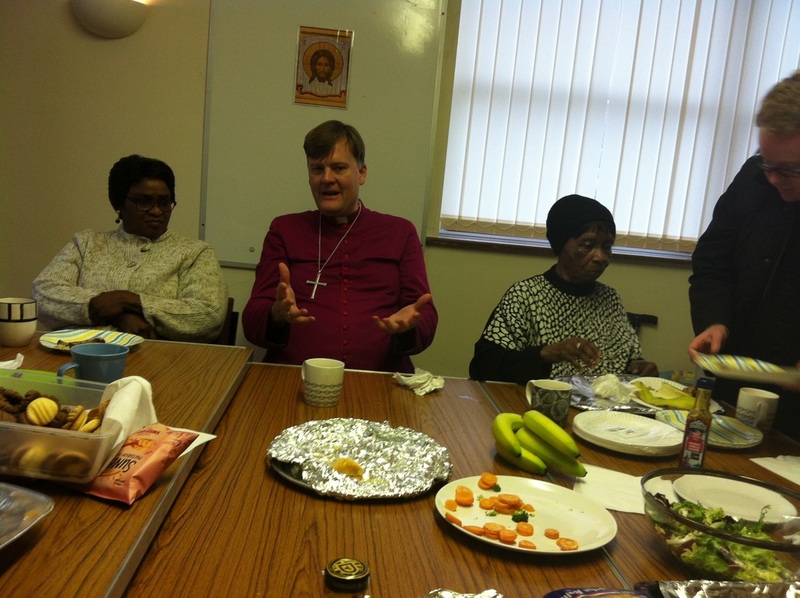 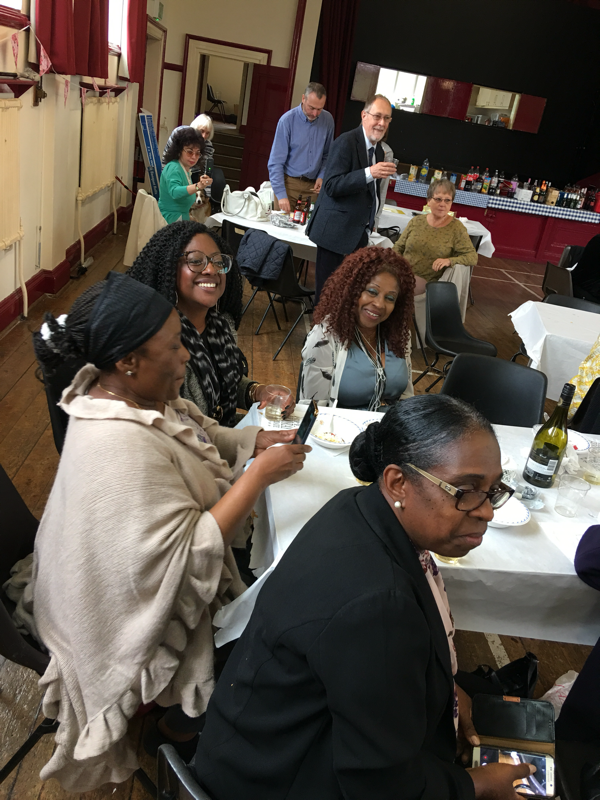 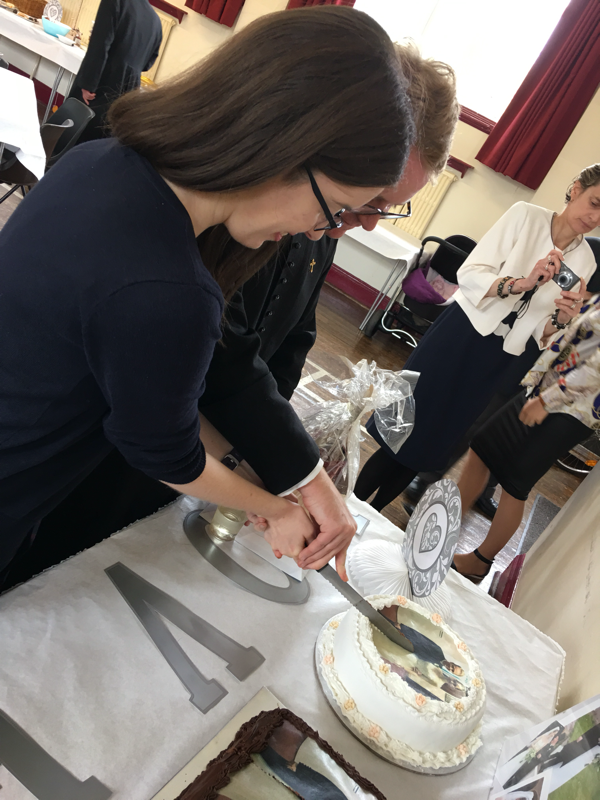 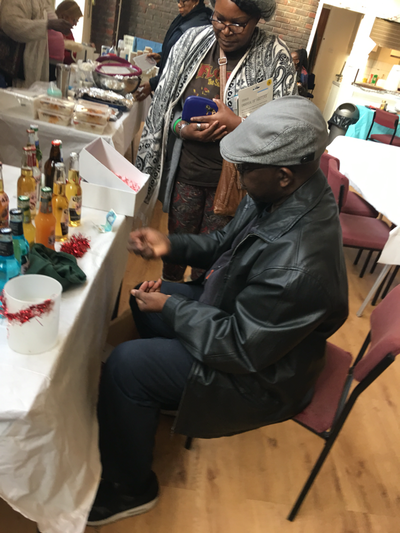 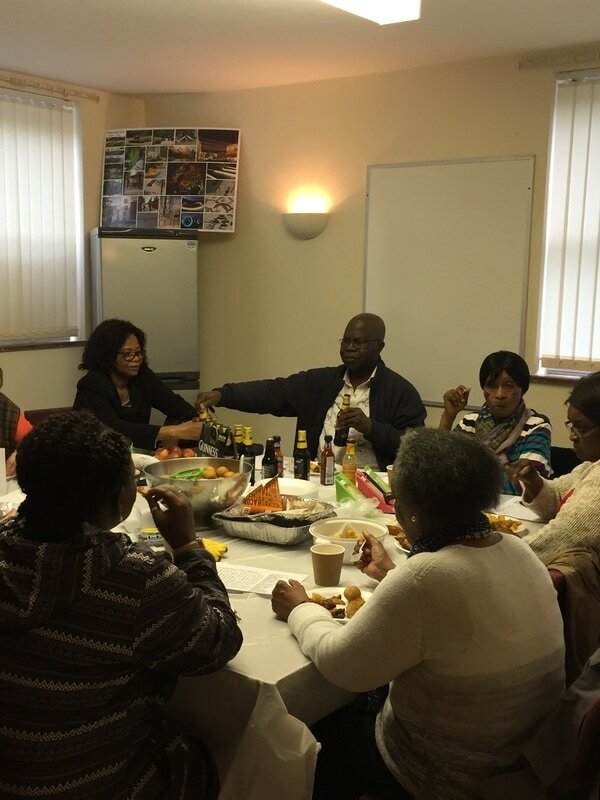 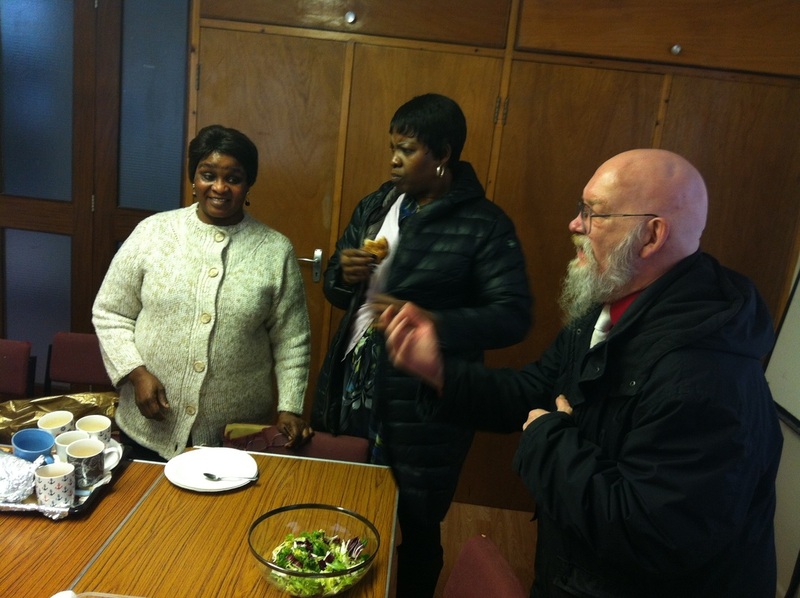 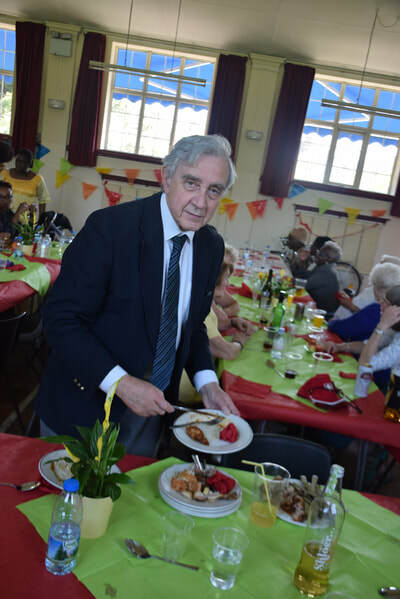 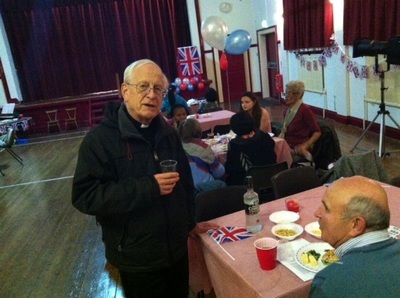 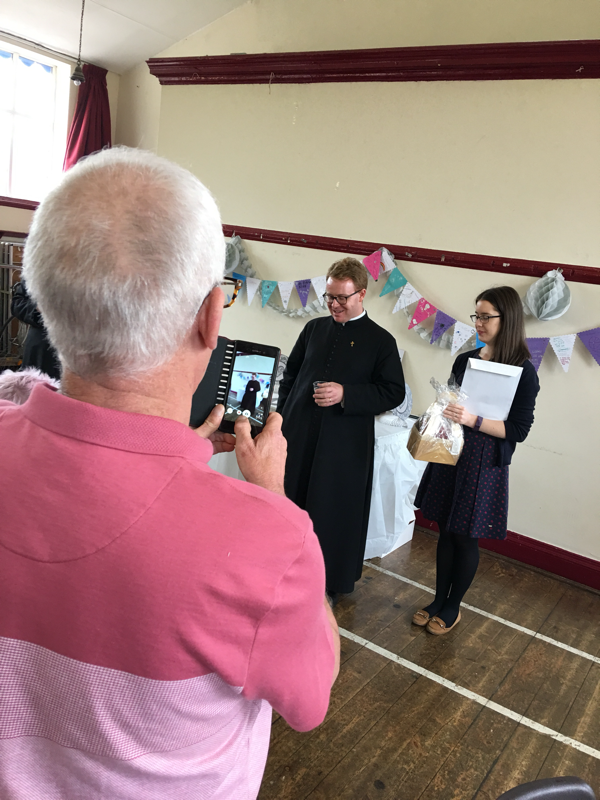 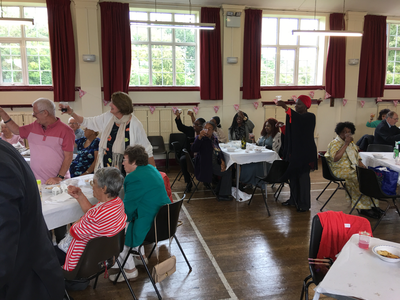 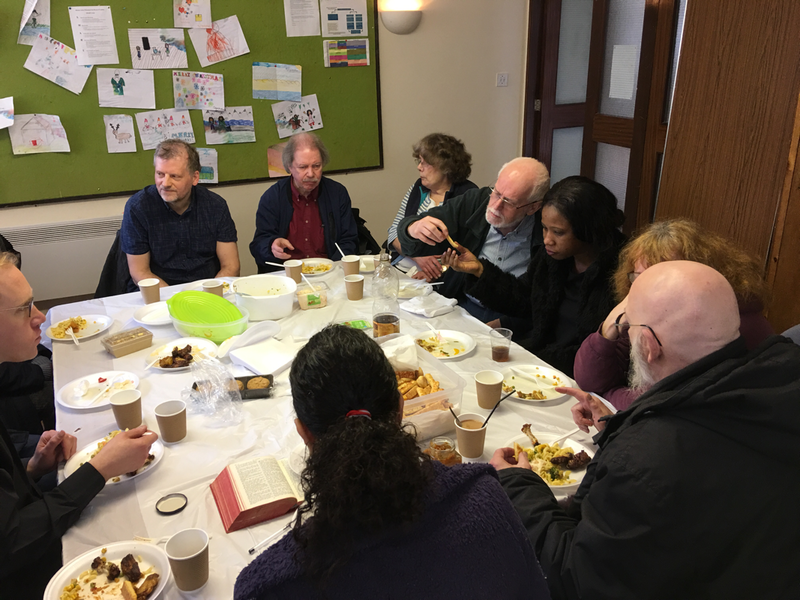 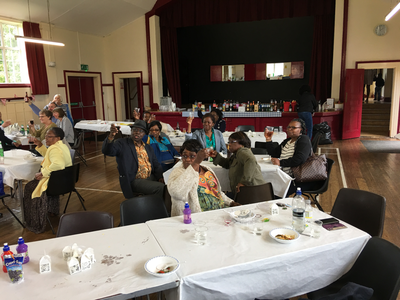 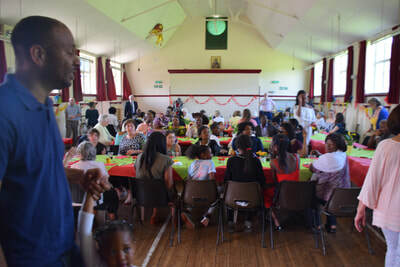 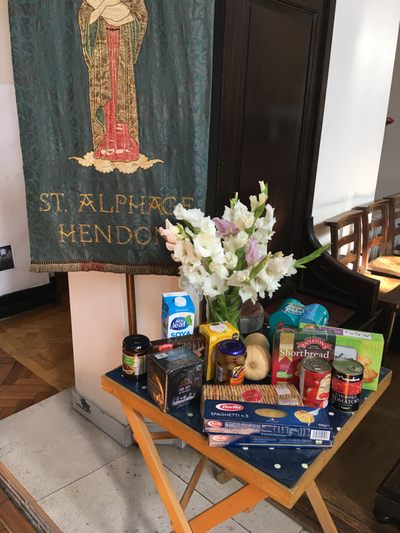 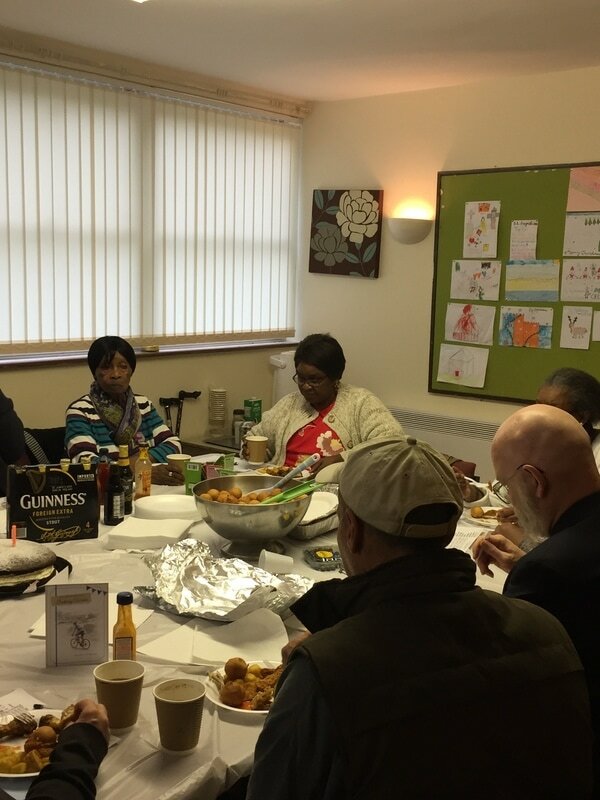 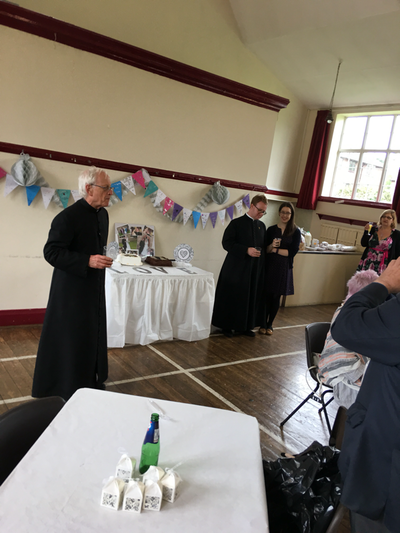 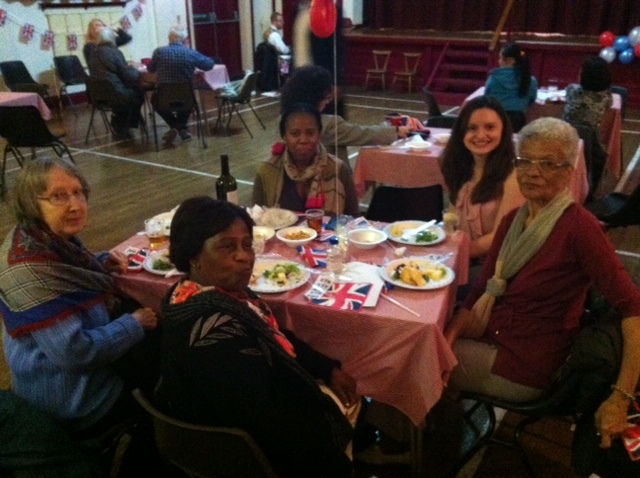 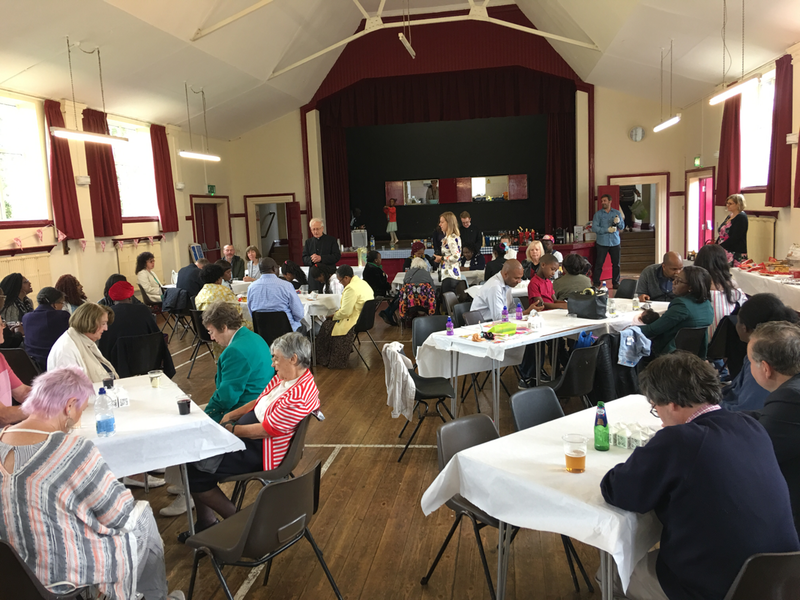 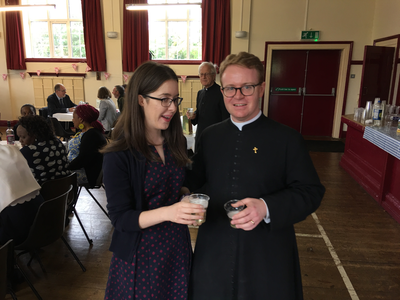 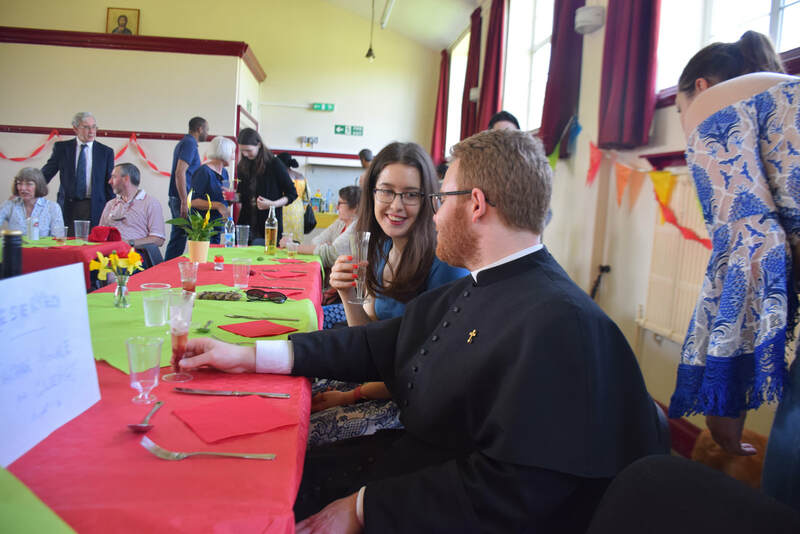 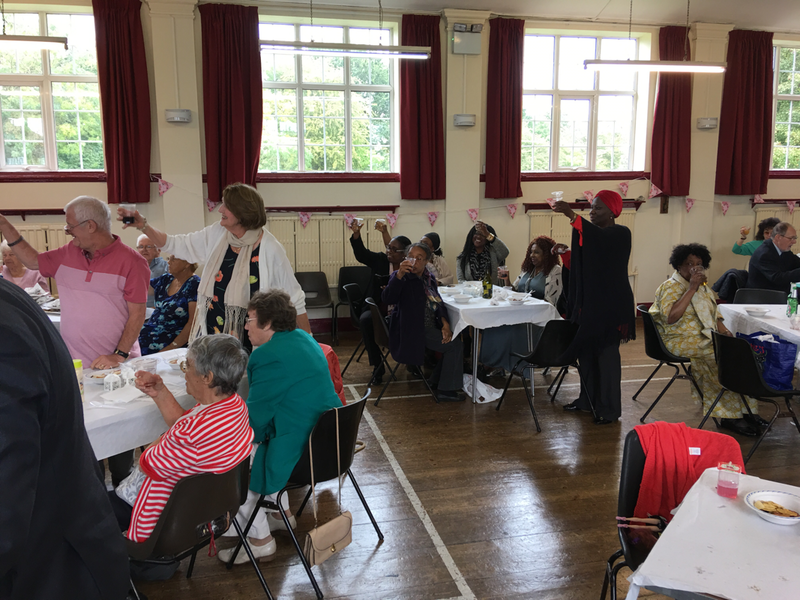 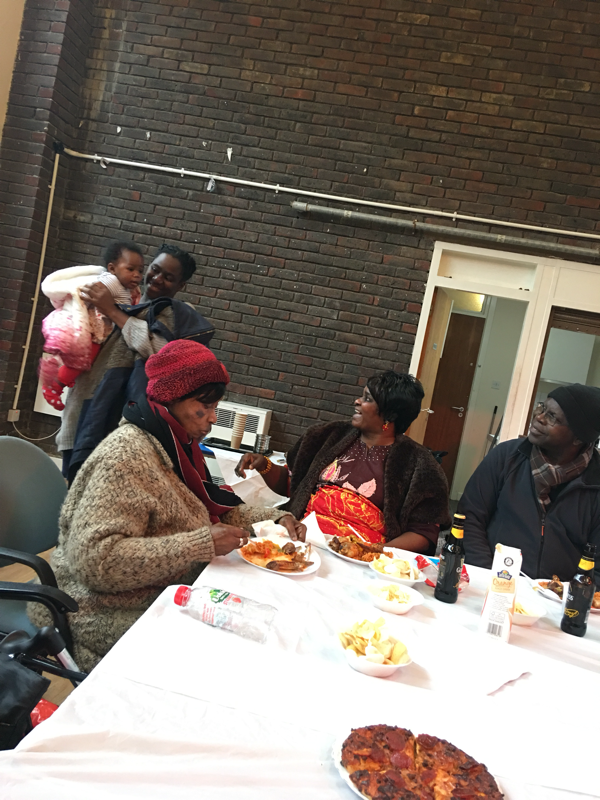 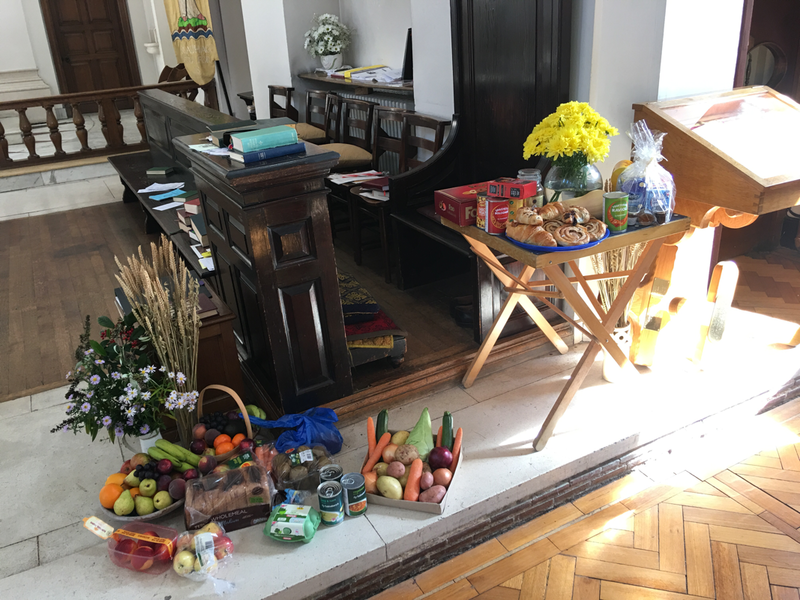 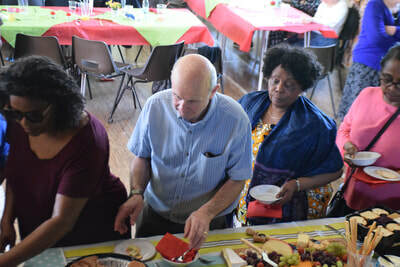 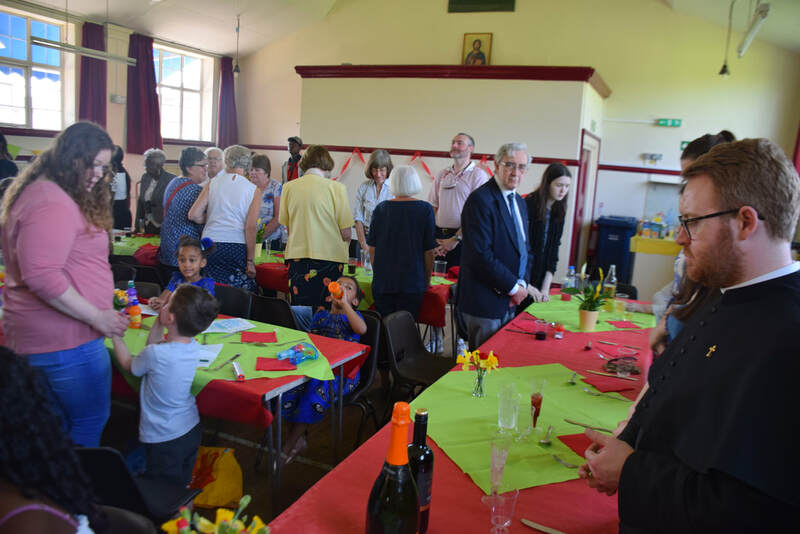 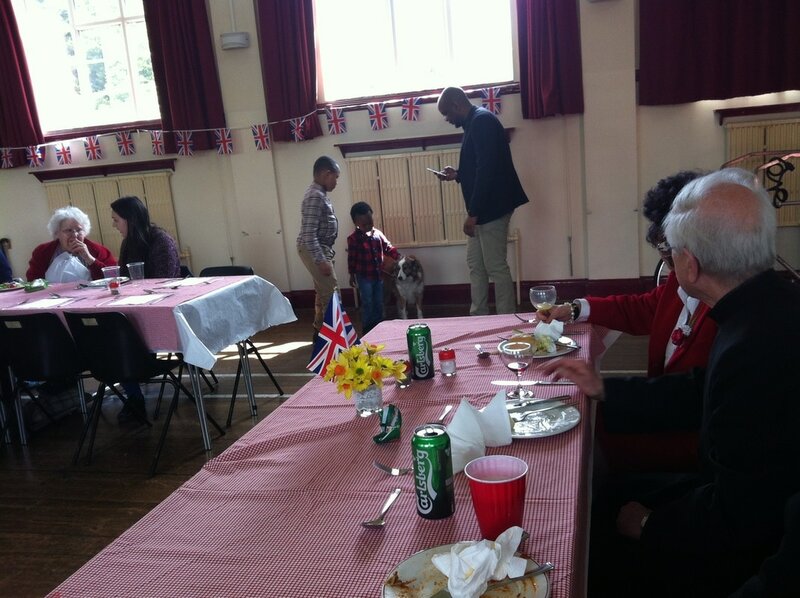 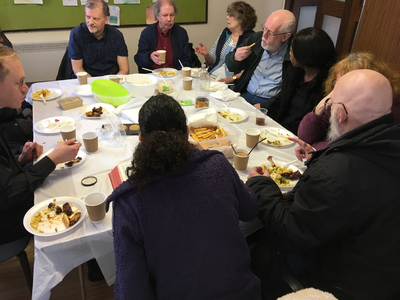 OUR PARISH LUNCH AT ST ALPHAGE, 23 APRIL 2017. 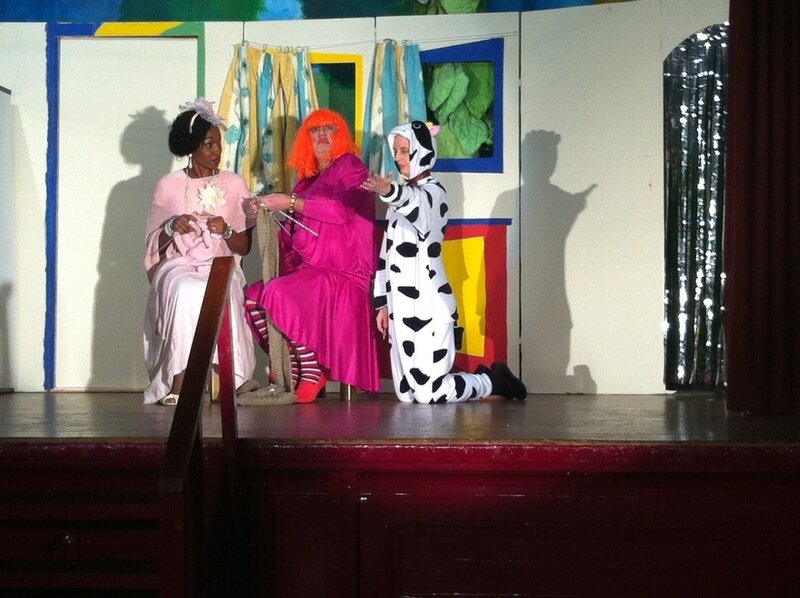 The one million euro question is, guess who has stolen the show? 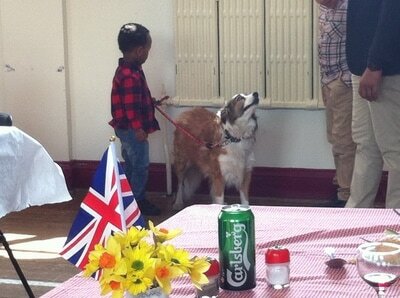 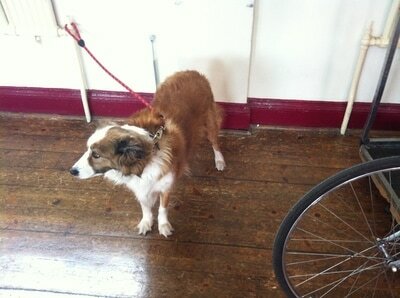 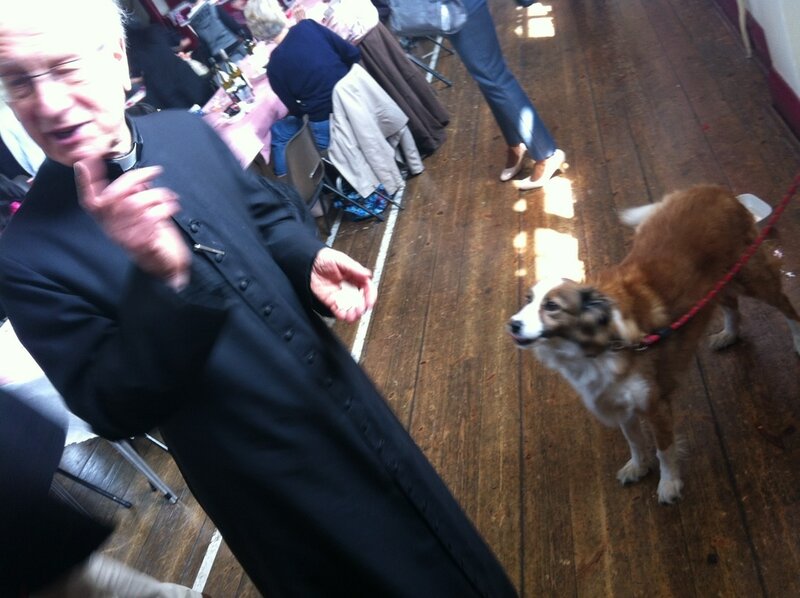 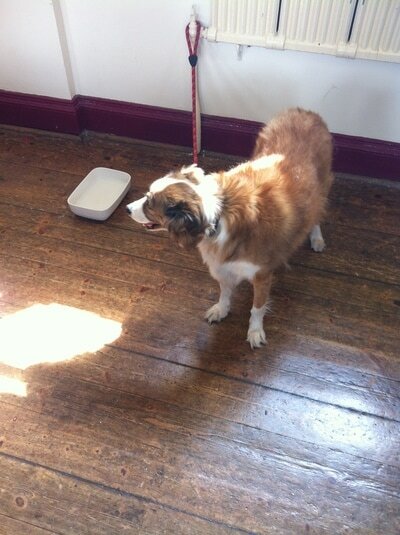 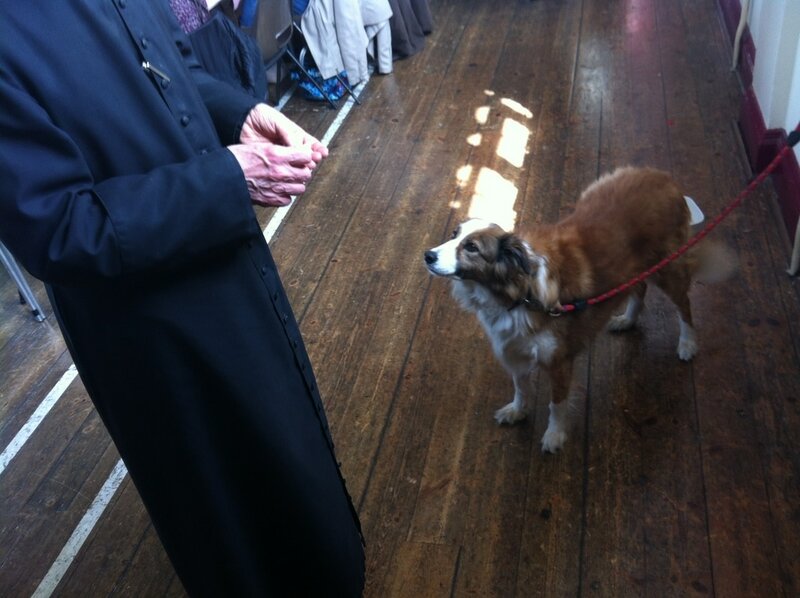 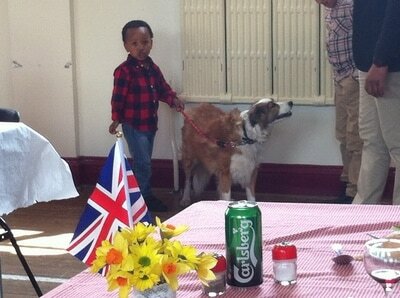 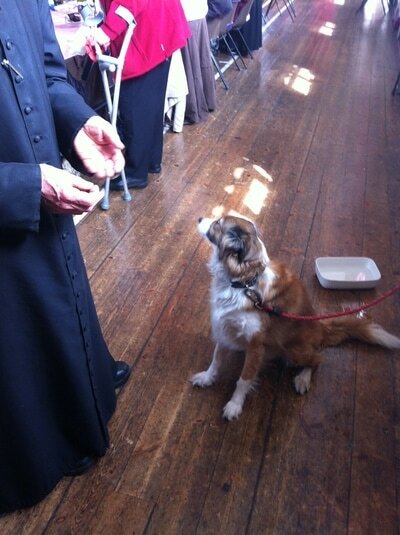 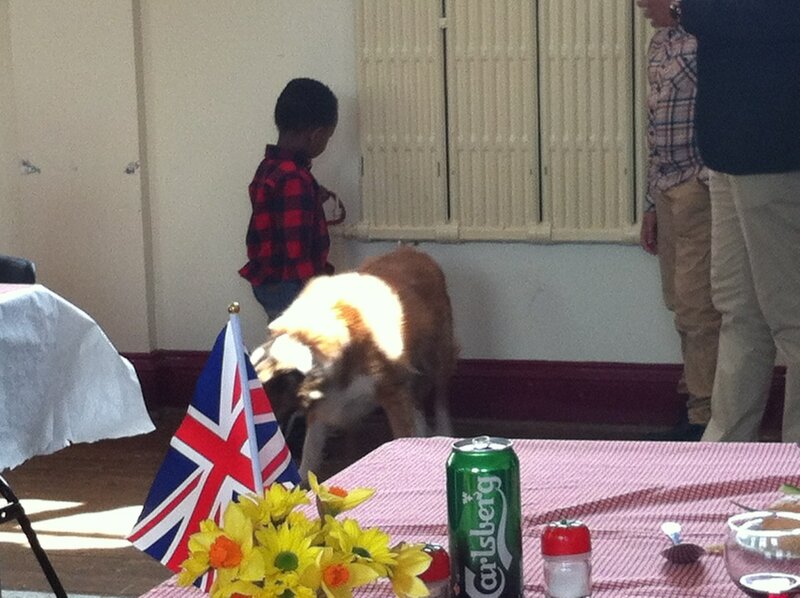 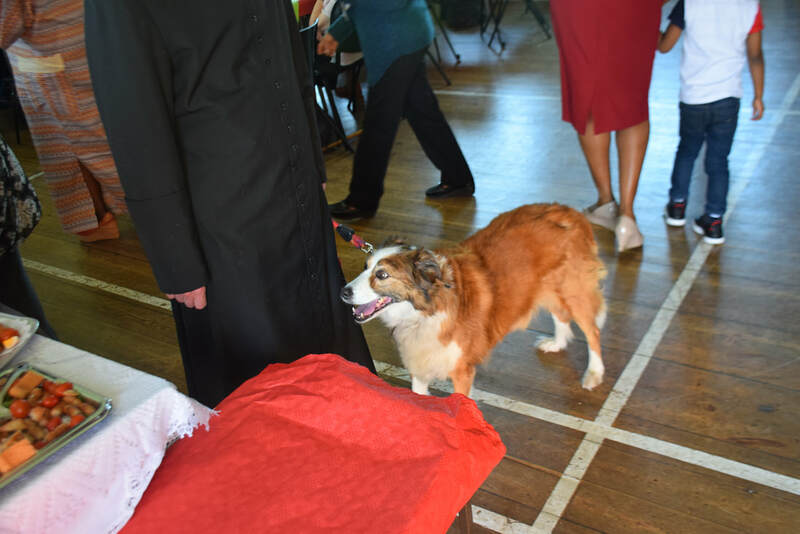 Shep, the Vicar's faithful dog. 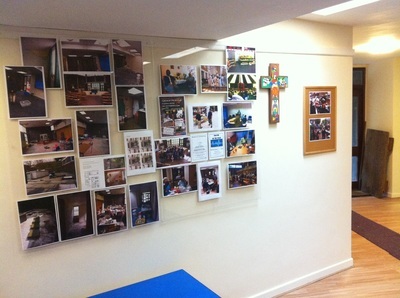 The hall of St Alphage was redecorated last summer. Easter Day 'Parish-portrait', 16 April 2017. Holy Saturday, 15 April. 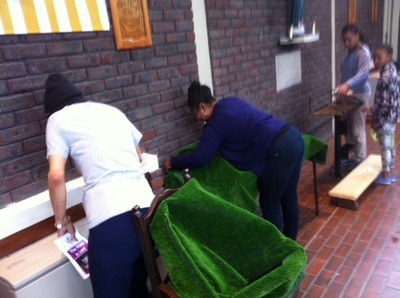 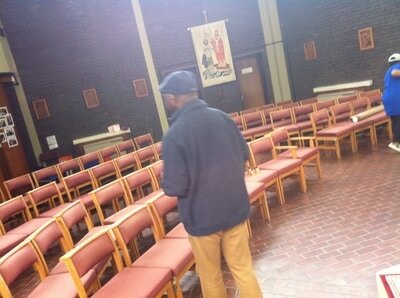 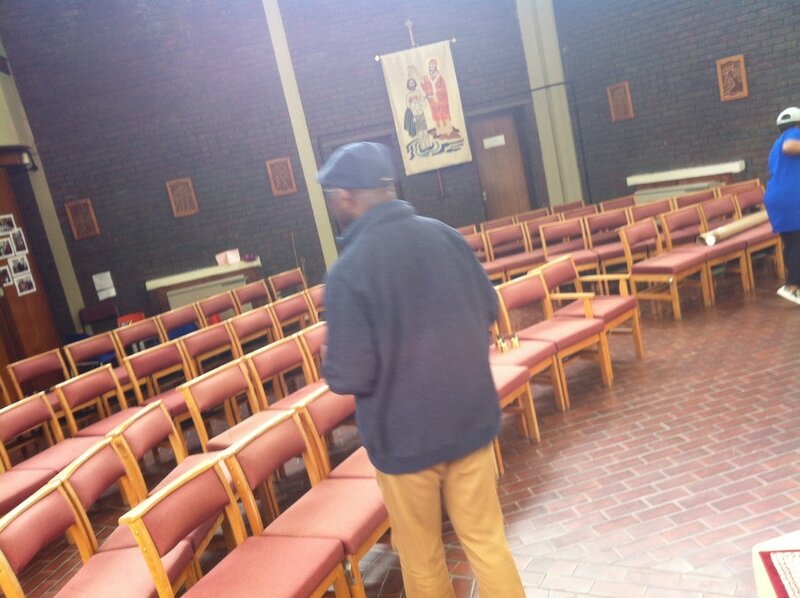 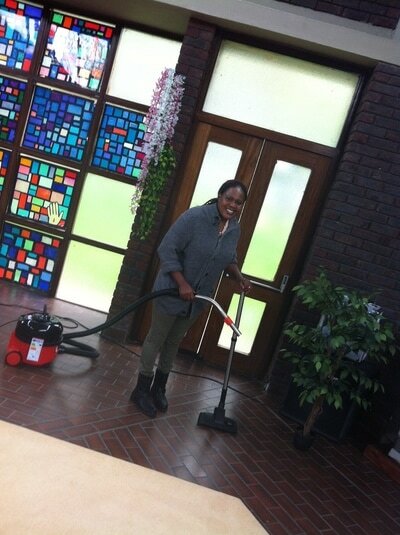 Cleaning and preparing the Church for Easter. It was such a wonderful morning together! 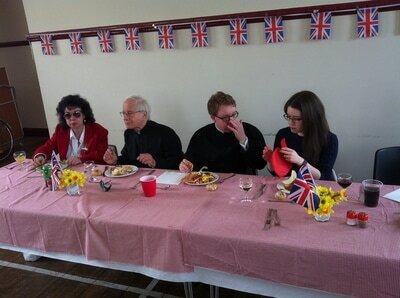 We really enjoyed this preparation, and the outcome! 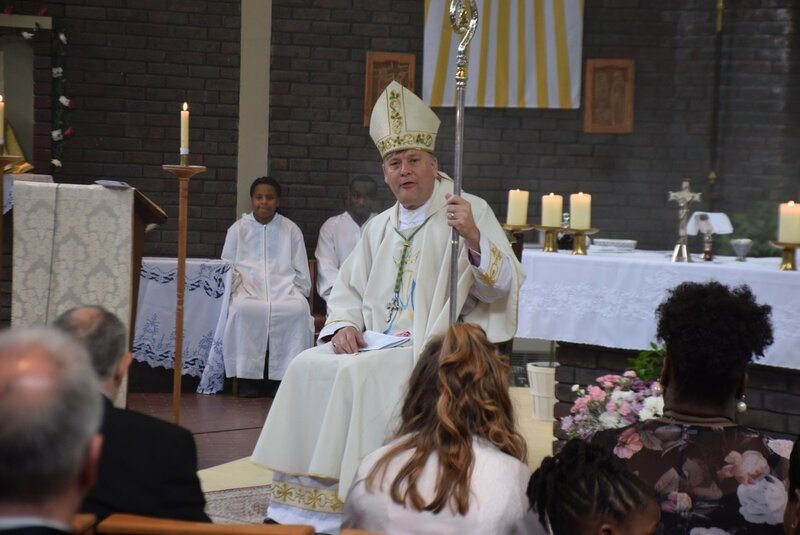 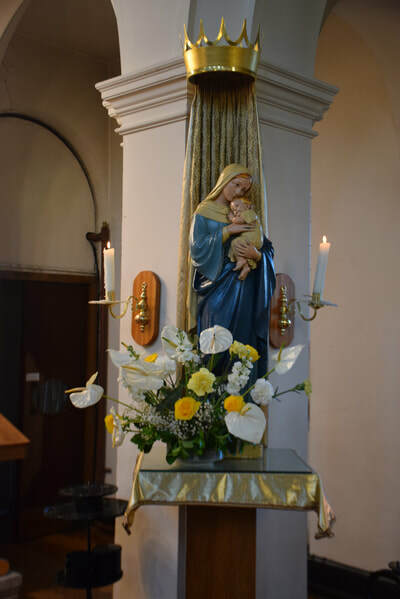 St Augustine's has never been as beautiful and well decorated as it is now.... We know that this is one of our last Easters before the church will have brought down.... 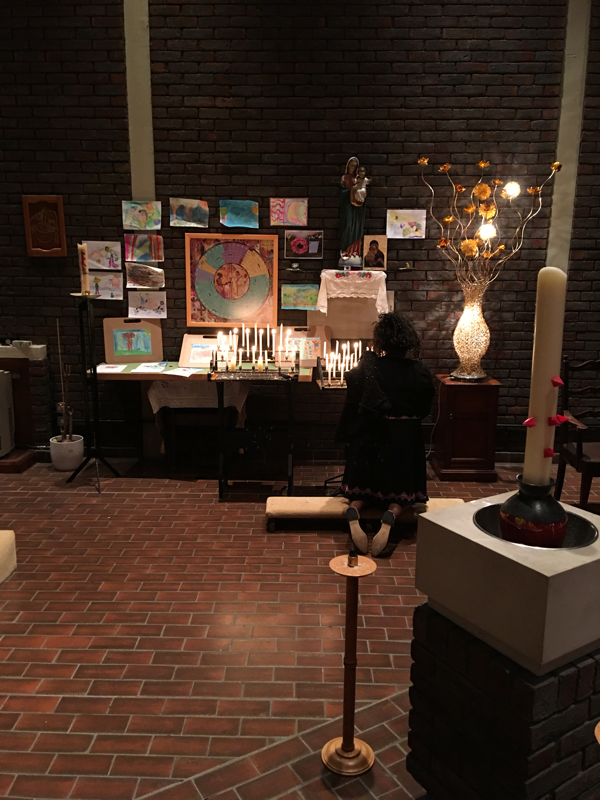 It is part of our witness to Jesus' presence in the Sacraments that we would like to leave a church in the possible most beautiful state! 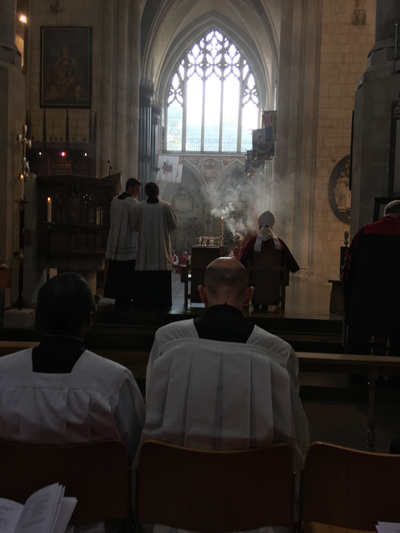 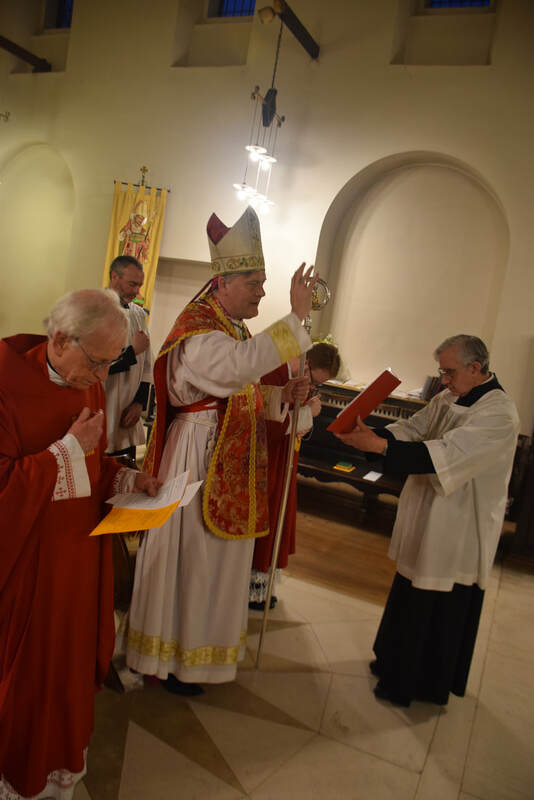 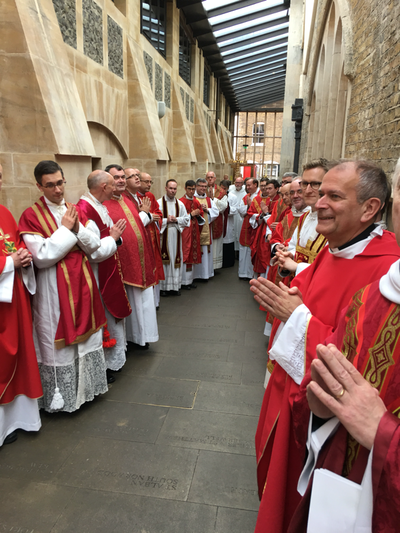 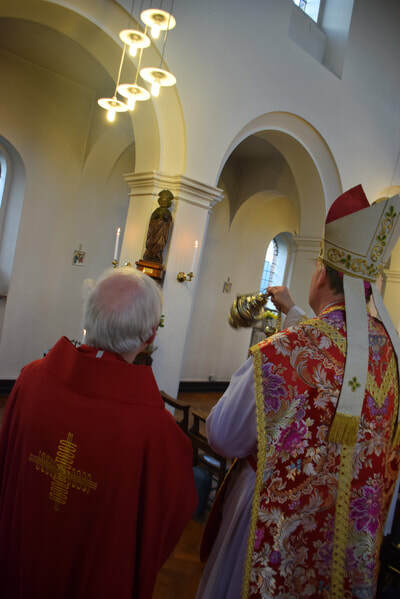 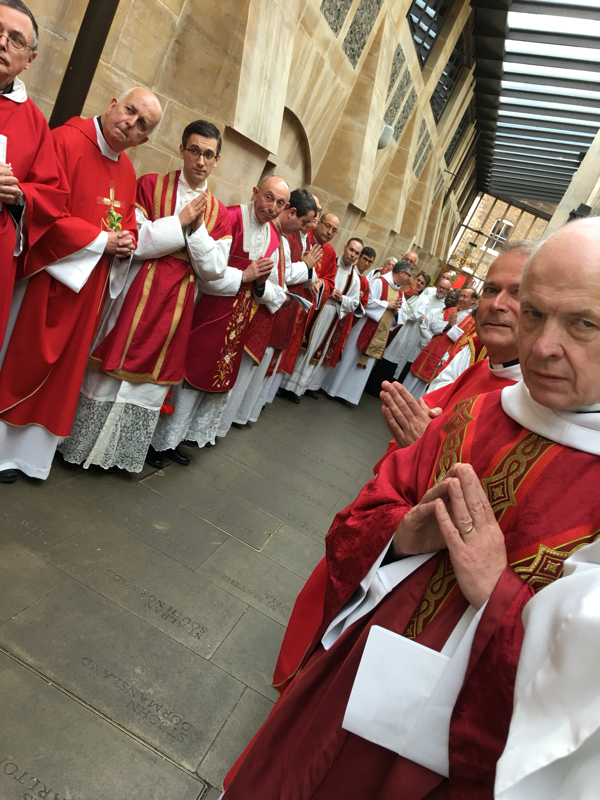 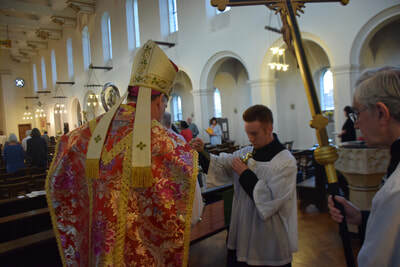 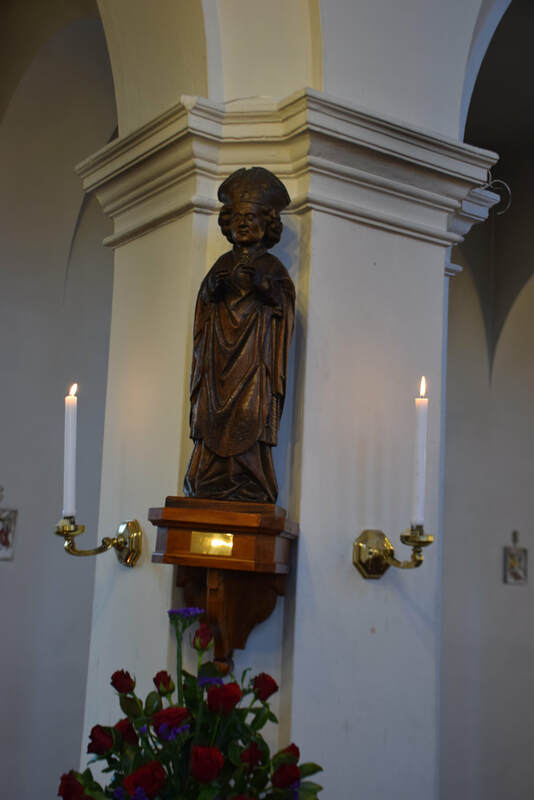 This Mass, which the bishop concelebrated with his deacons and his presbyterium, and at which the oils are blessed, expresses the communion of the bishop with his deacons and priests - and people! 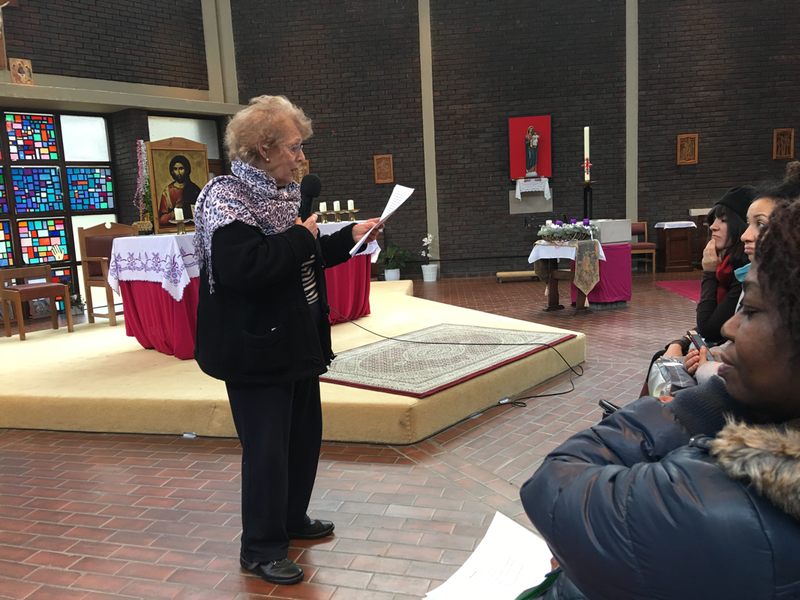 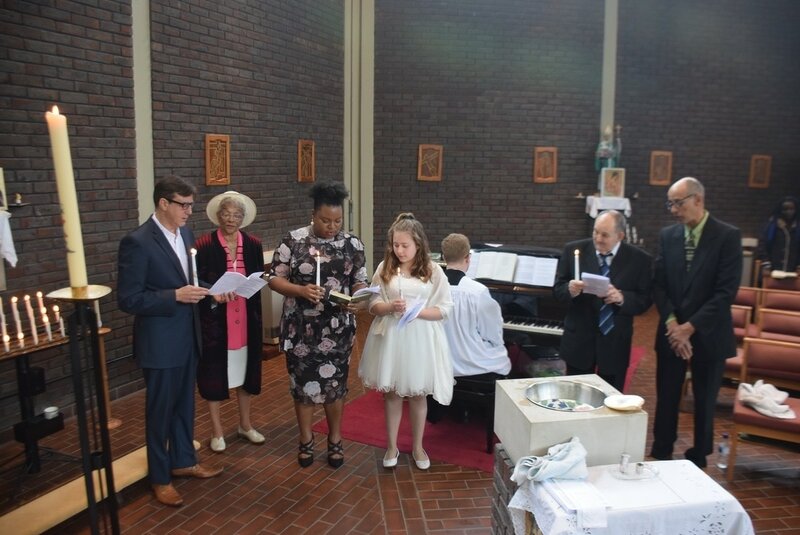 - as they prepare to serve the whole People of God in the celebration of the Easter Triduum and in the annual Renewal of Baptismal Promises at the Easter liturgy. 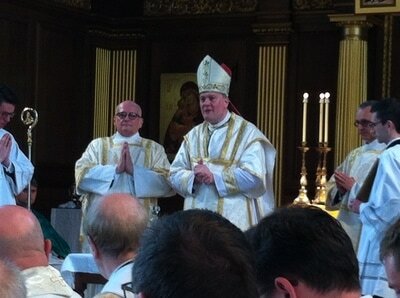 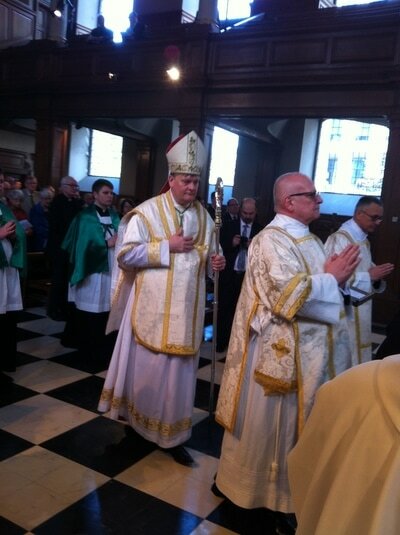 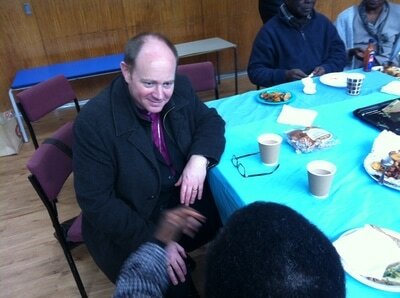 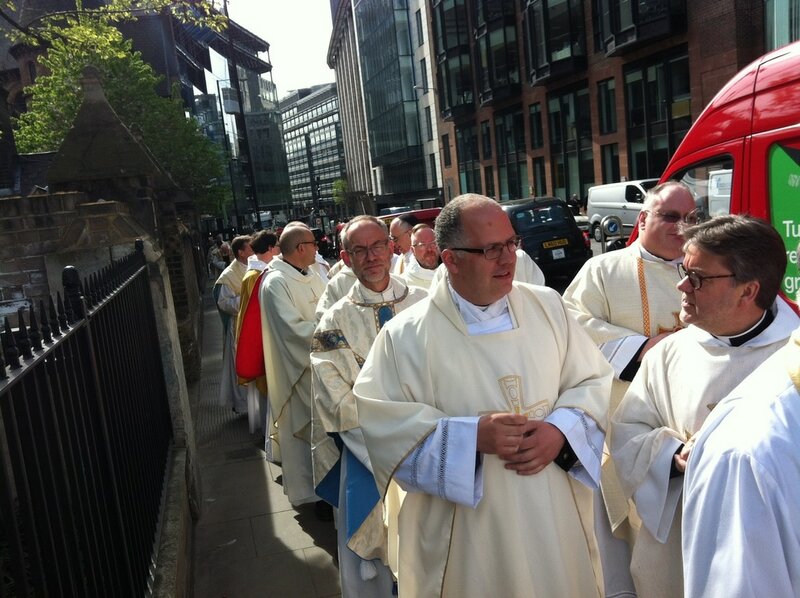 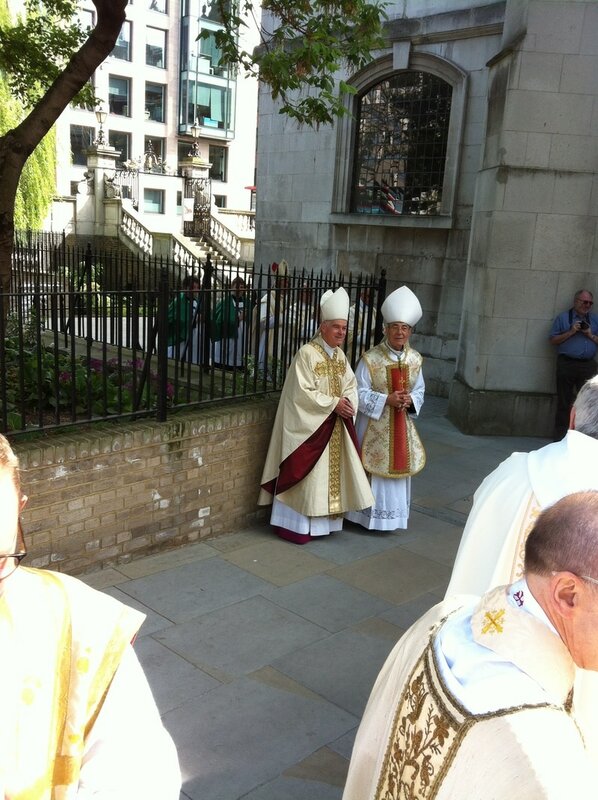 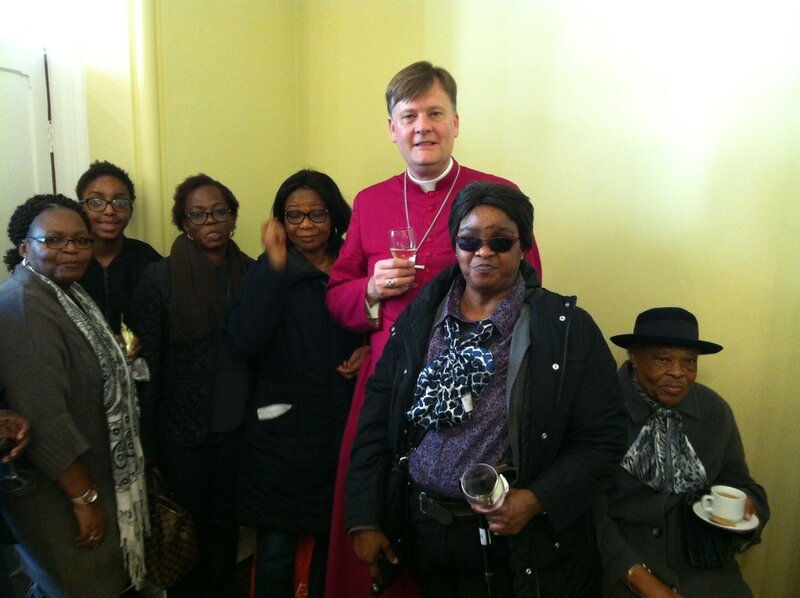 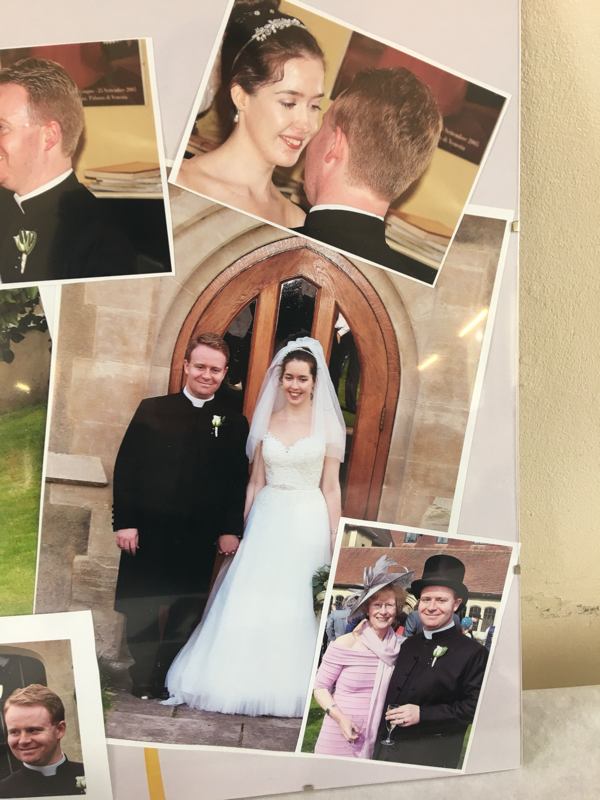 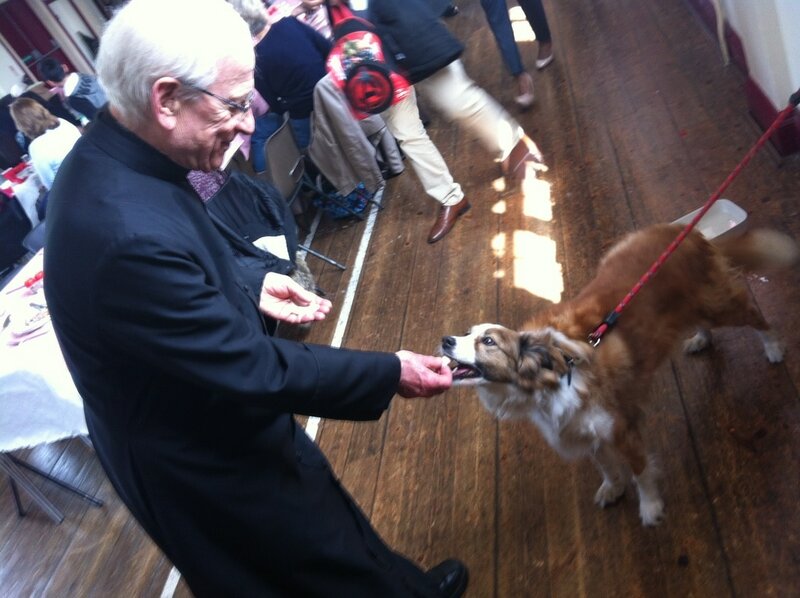 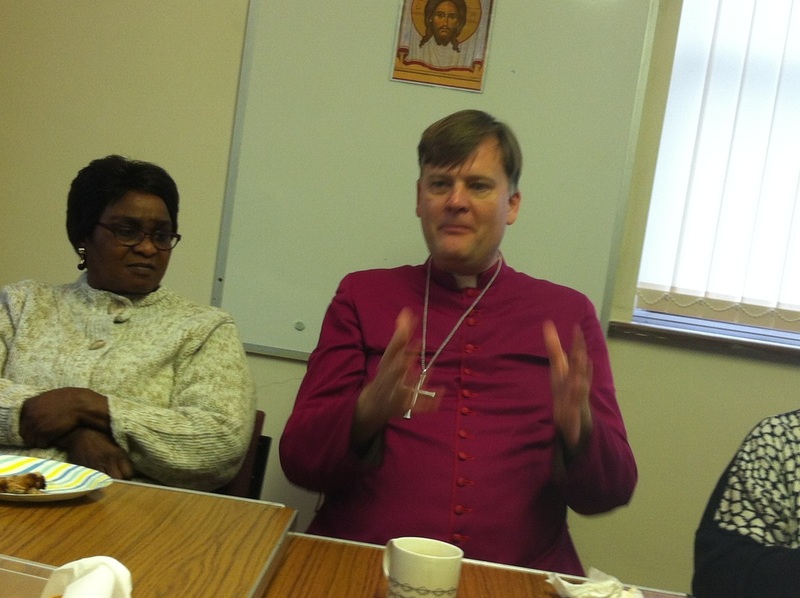 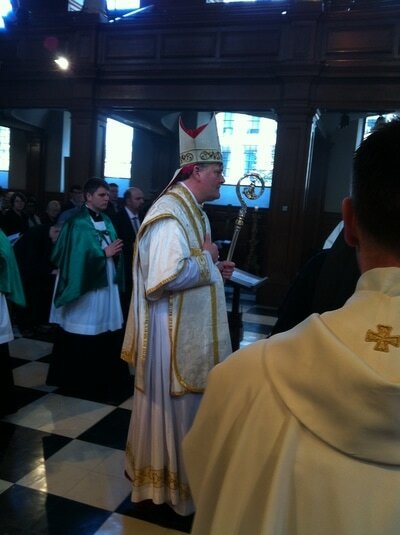 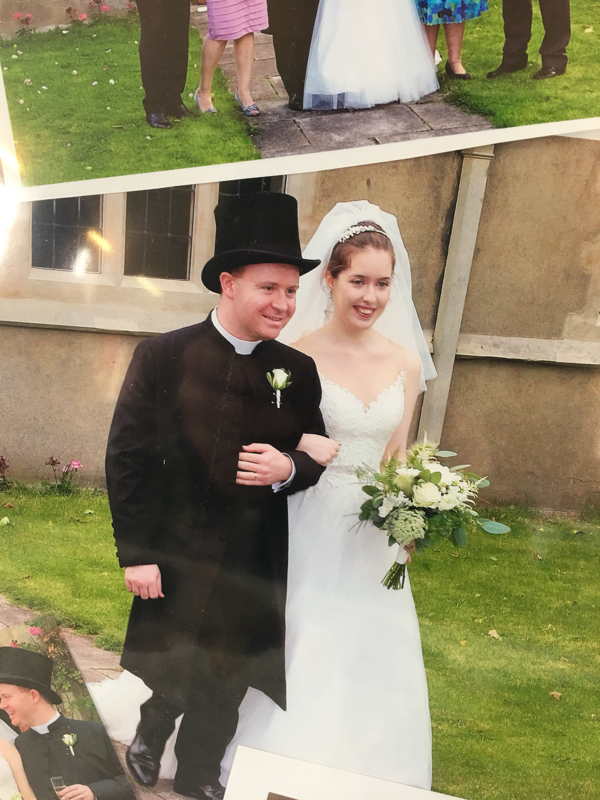 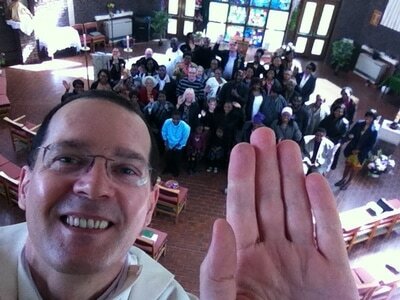 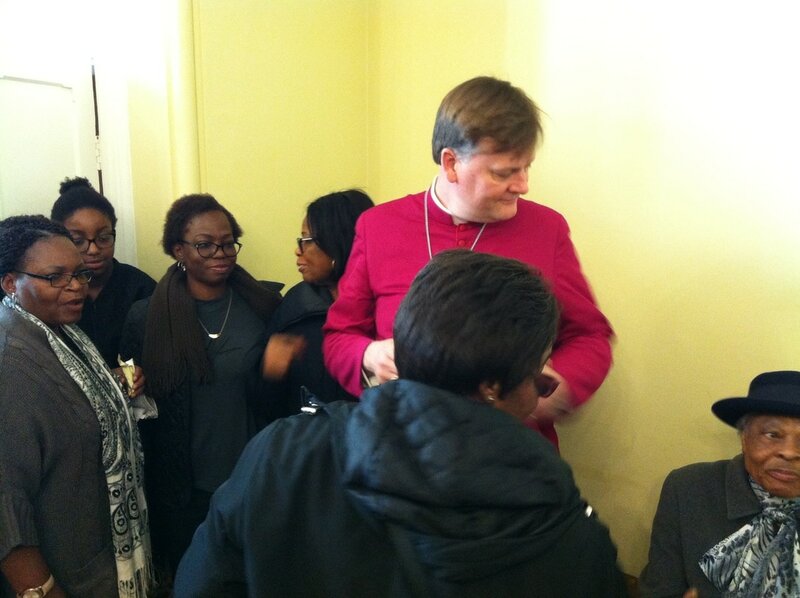 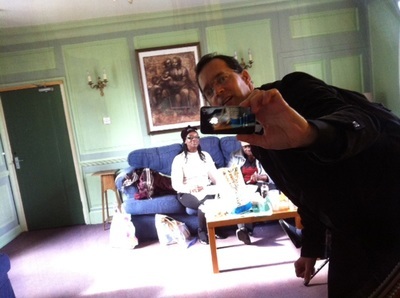 It will be good to see bishop Jonathan again on the 7th of may at Sat Augustine's at Confirmation! 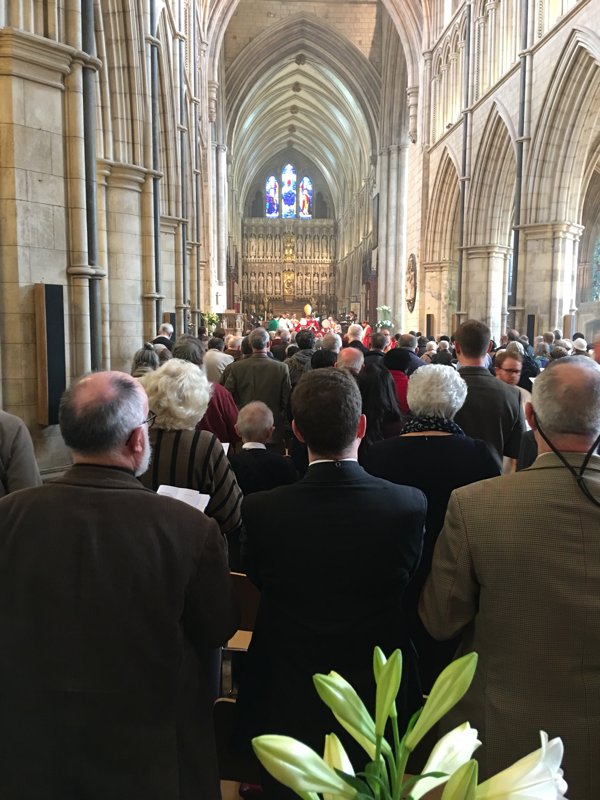 1 April, 2017. 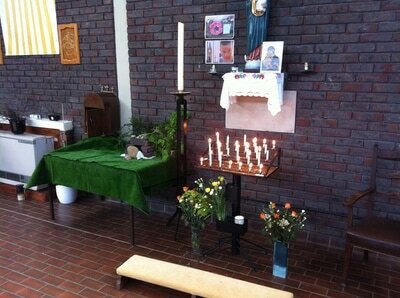 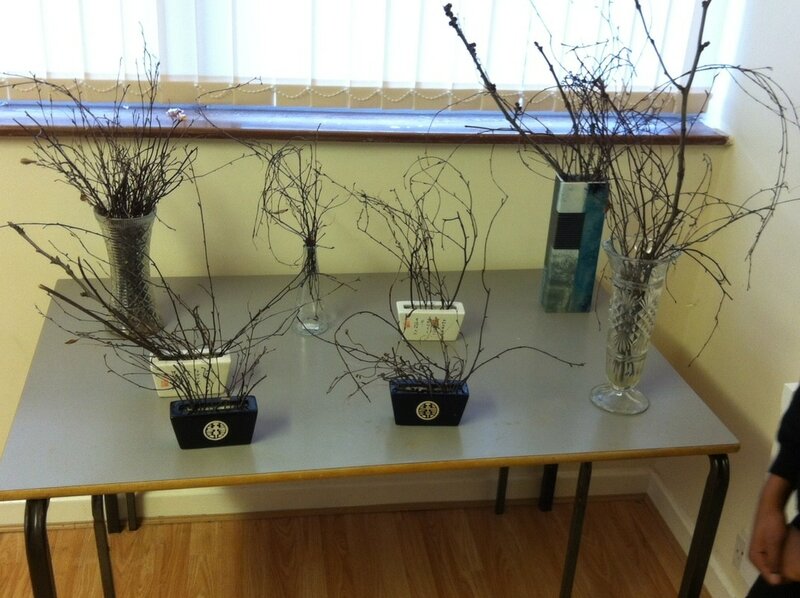 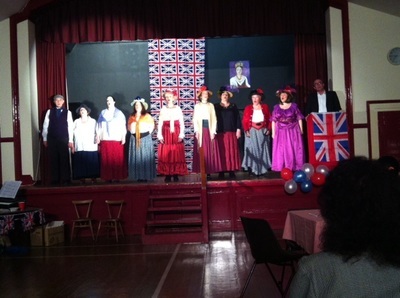 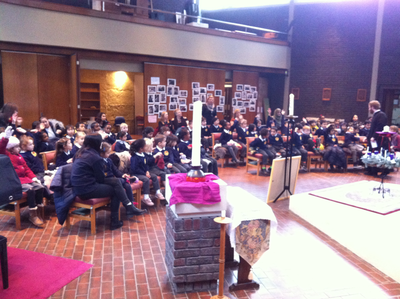 A funeral-commemoration in our Hall. We are very proud to host traditional family events like this when the dead are commemorated with dignity and faith in the future. 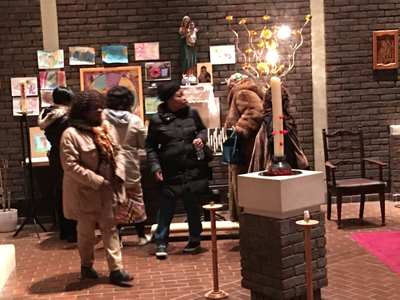 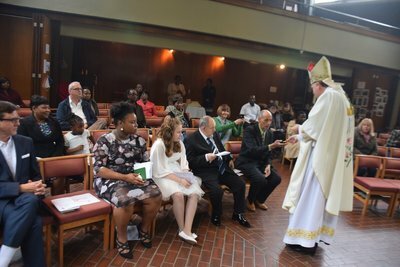 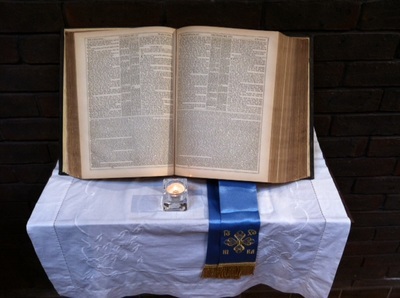 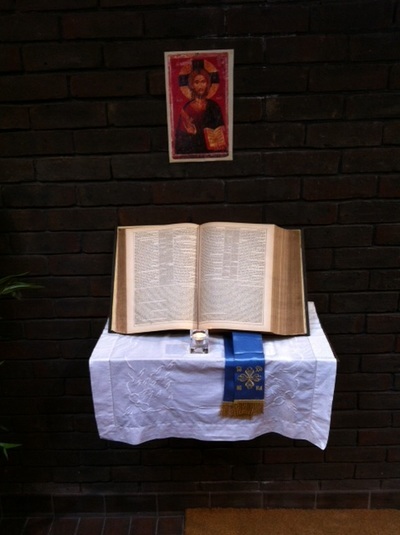 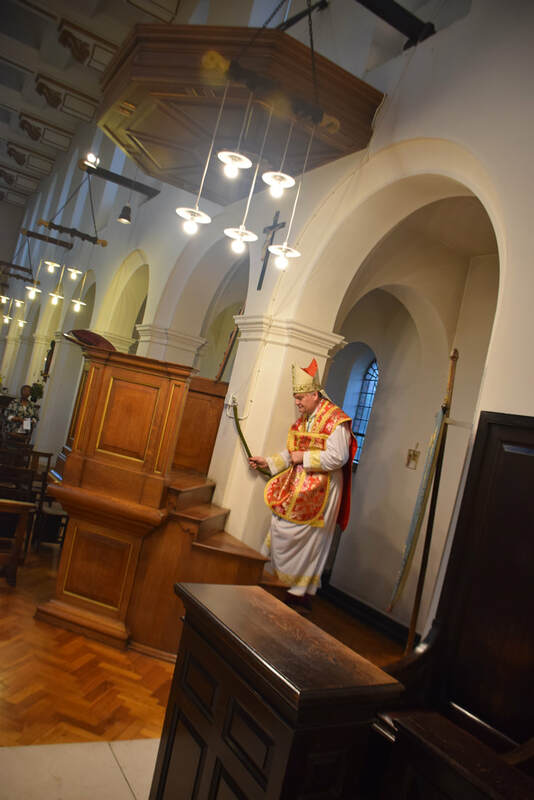 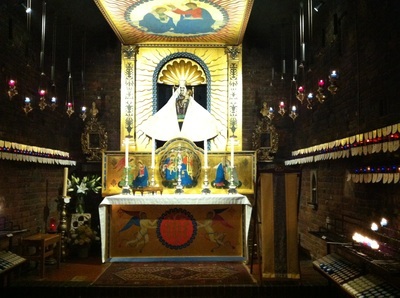 St Augustine's has a unique culture attached to its Eucharistic life. 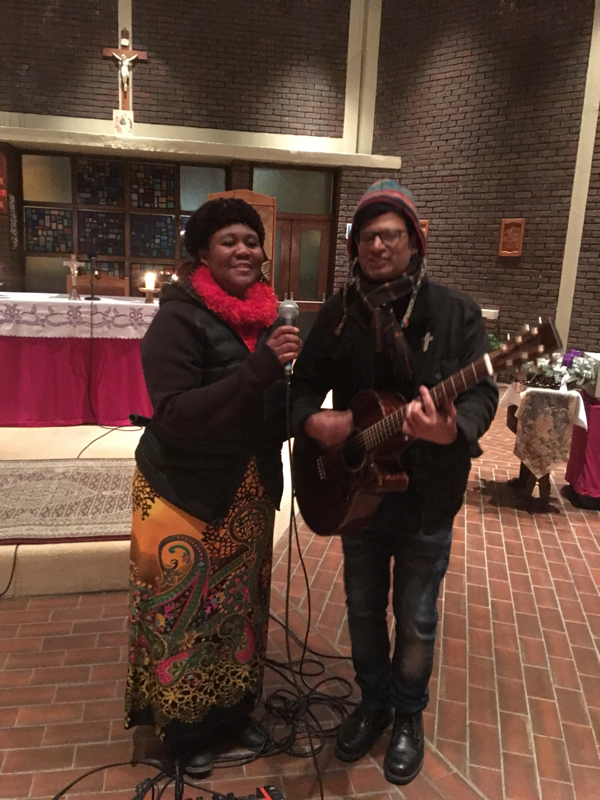 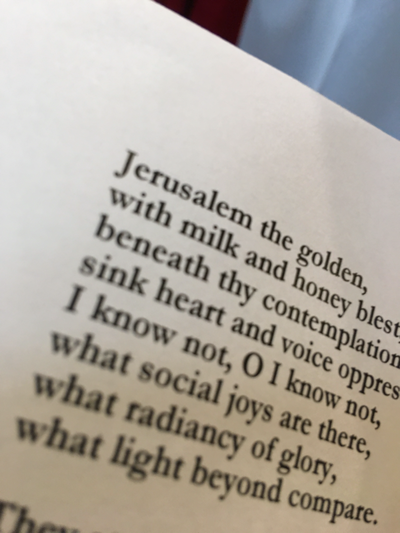 We pray for our hosts and friends, and share their sorrows and joys. 30 March, 2017 Easter School Assembly at Orion Primary School and Goldbeaters Primary Schools. 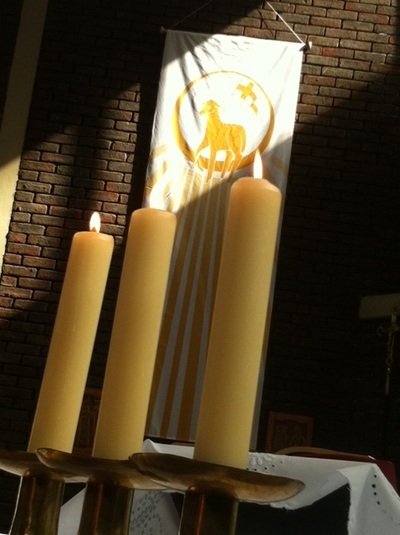 It is so good to return after our Advent and Christmas assemblies of last year. With Fr Alex we always have great fun with the children, despite our serious themes. 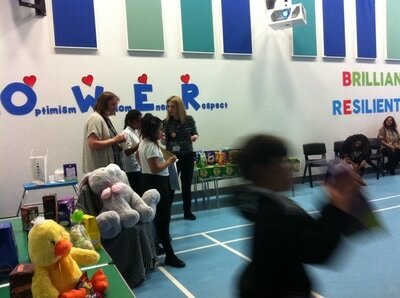 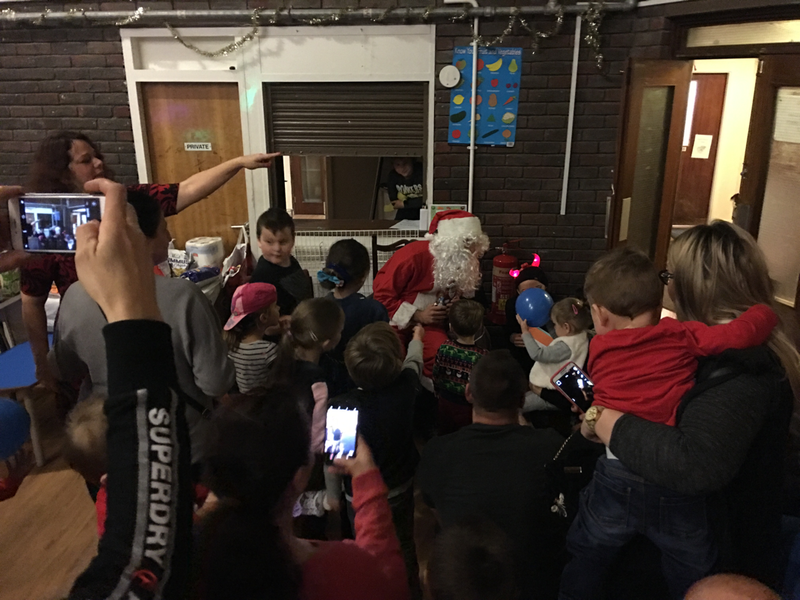 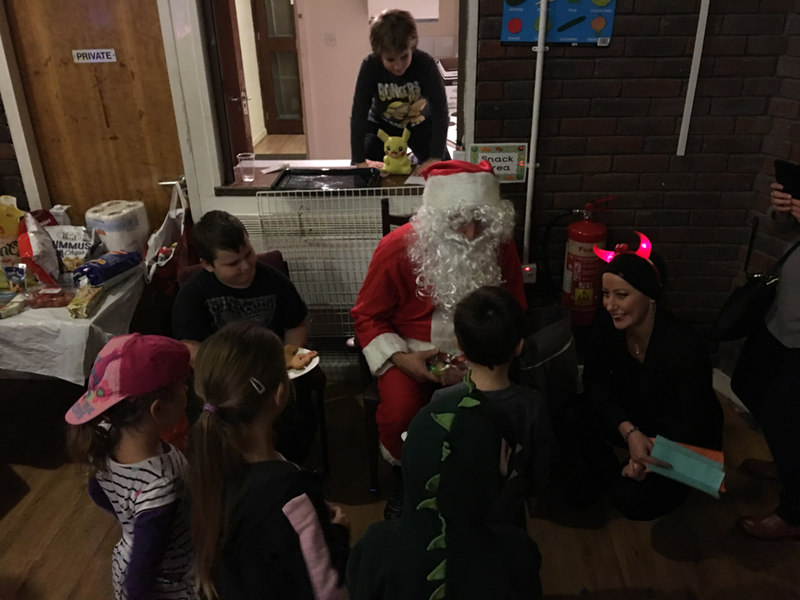 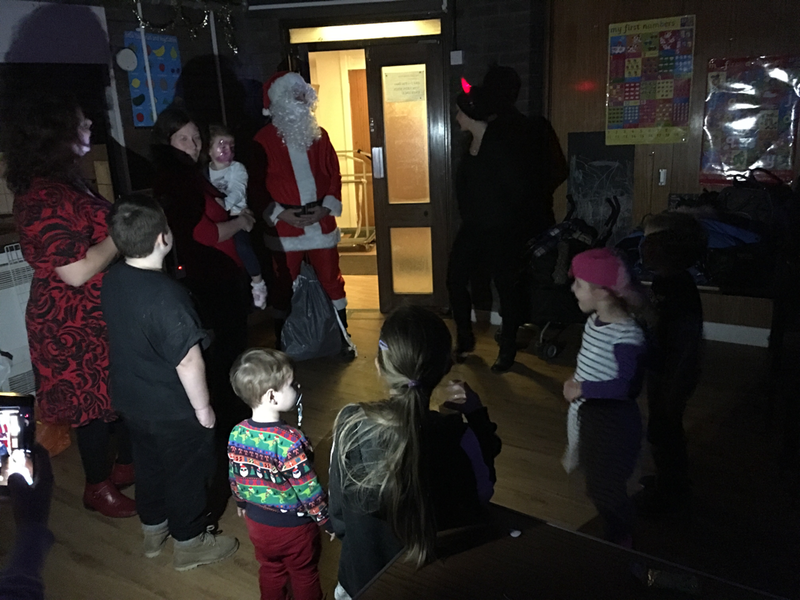 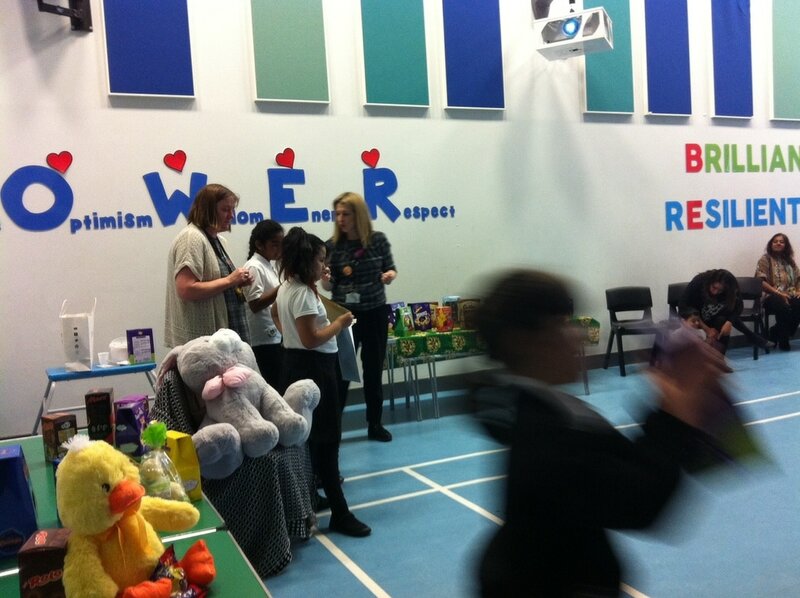 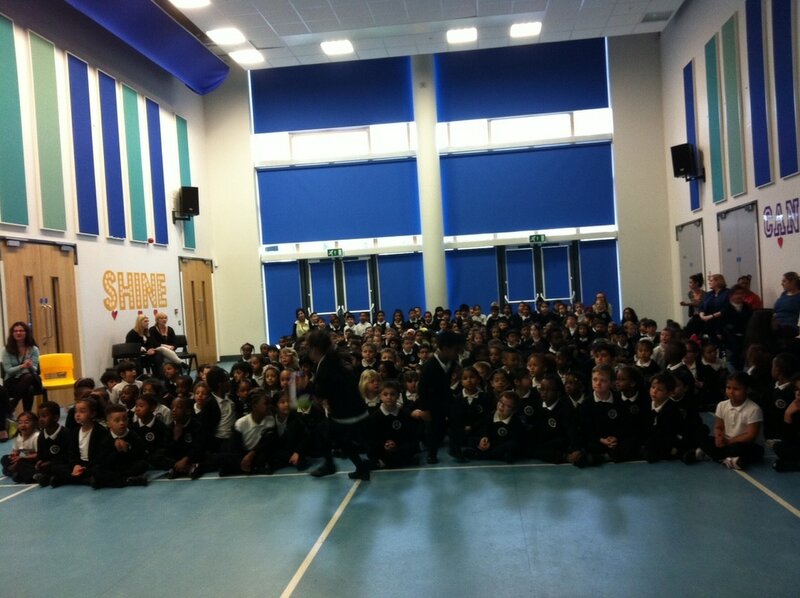 The kids were really engaging and fantastic! Happy Easter! At Goldbeaters, the day before, we were so immersed in our presentation and interaction with the pupils that me (Fr Joseph) forgot to take pictures. Next time! 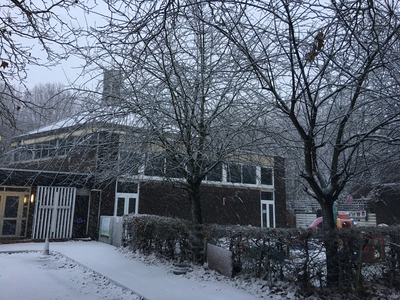 27-27 March 2017. 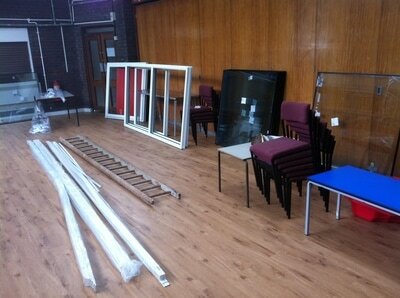 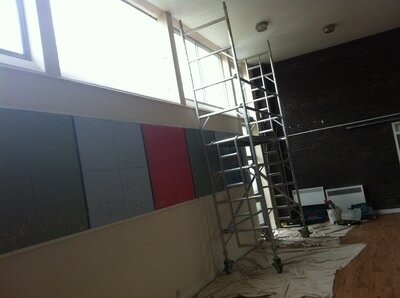 Installing new windows in the hall. 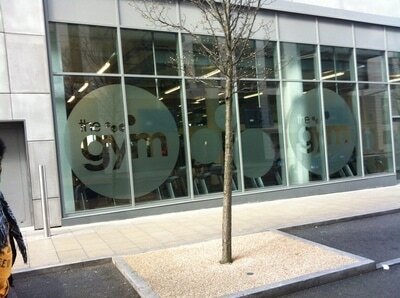 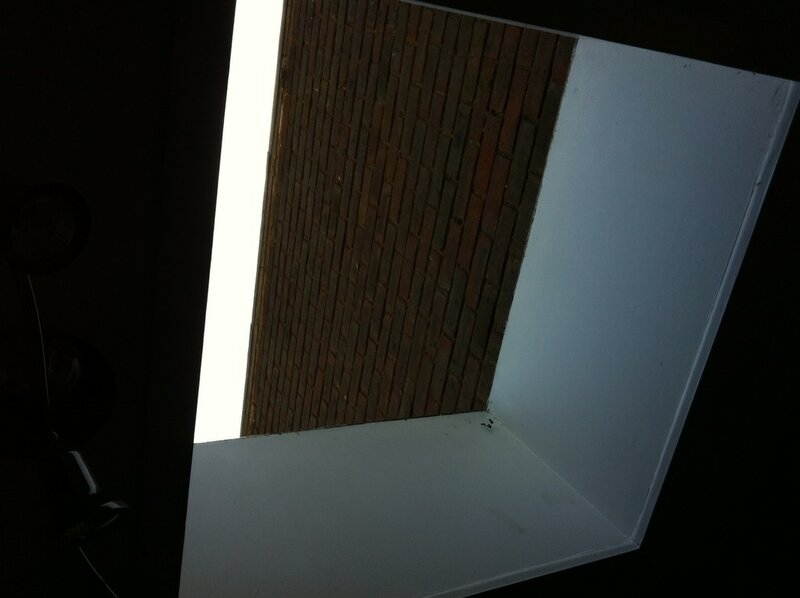 Double glazing makes a real difference! 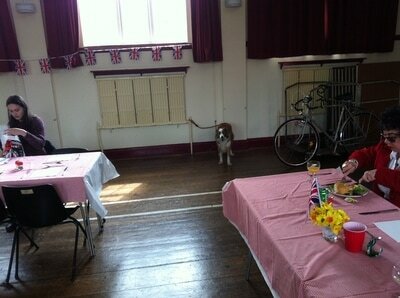 Our hall now is very quiet and a lot warmer! 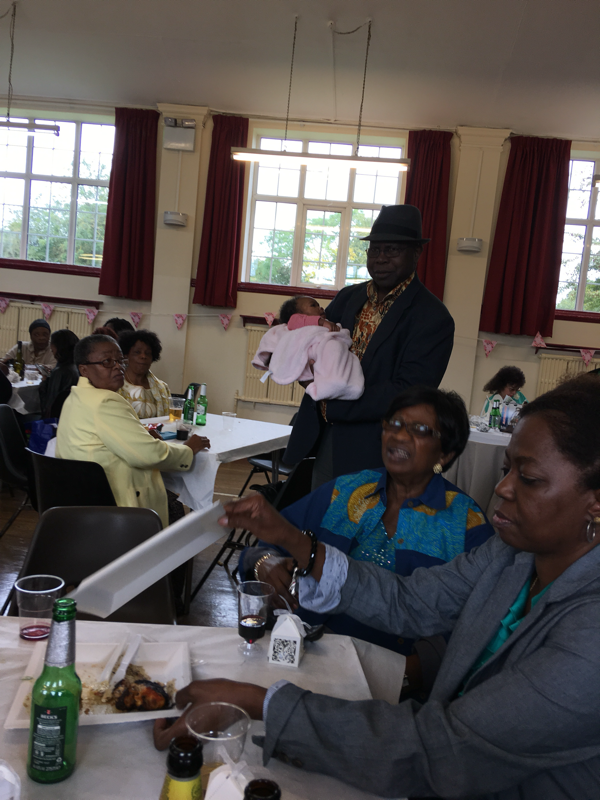 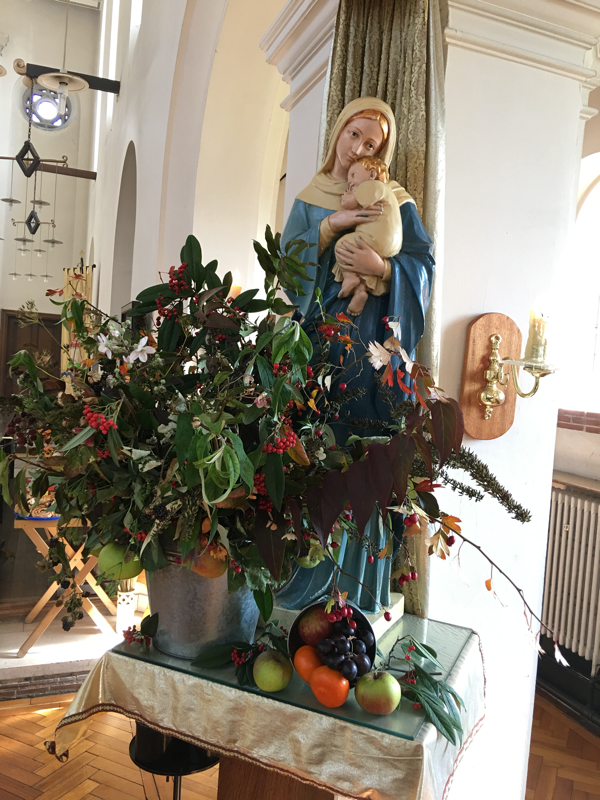 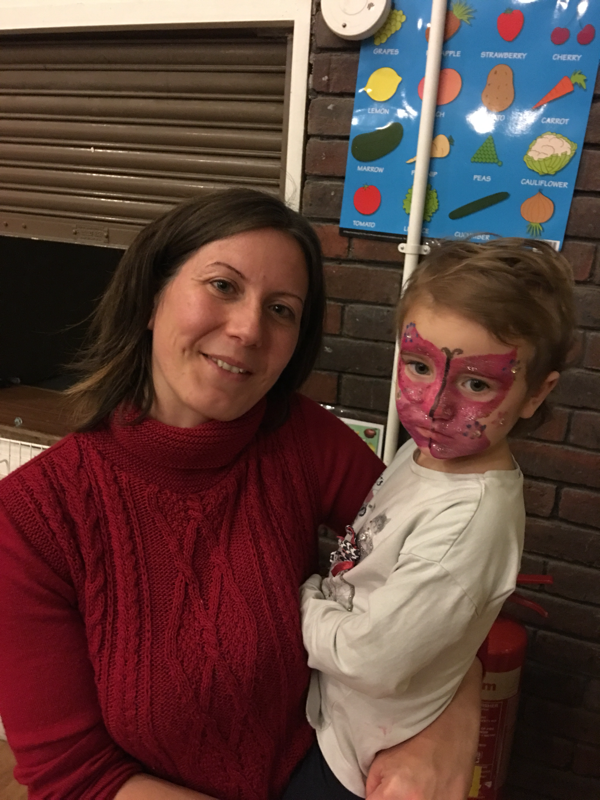 Mothering Sunday, 26 March 2017. 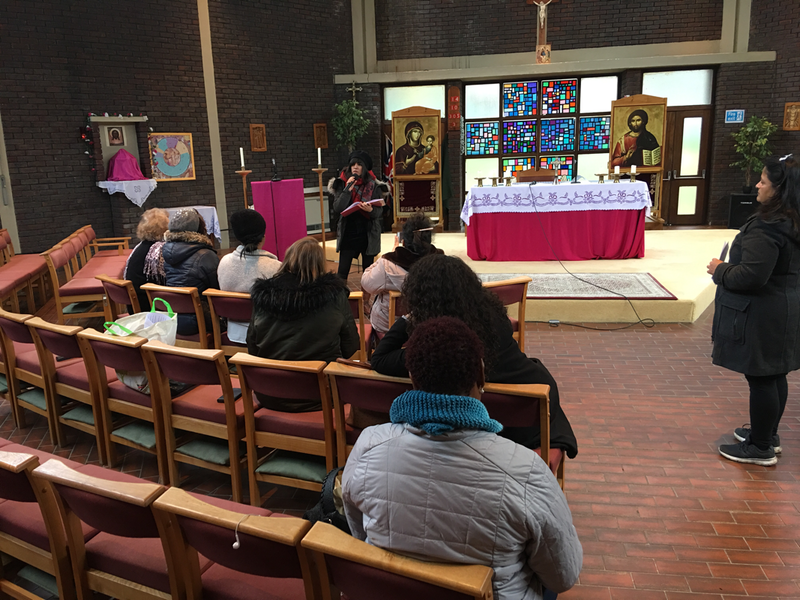 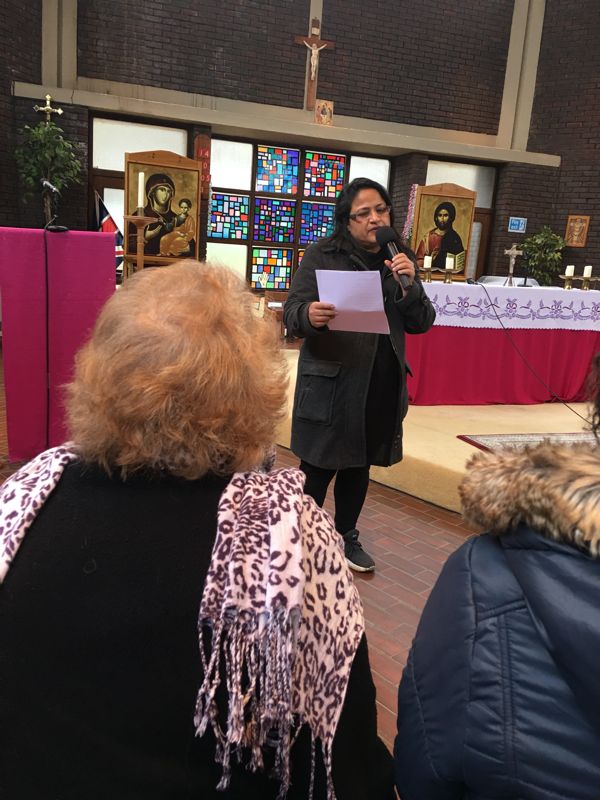 Today, we prayed for the mothers of the victims of the terrorist attack at Westminster and the injured. 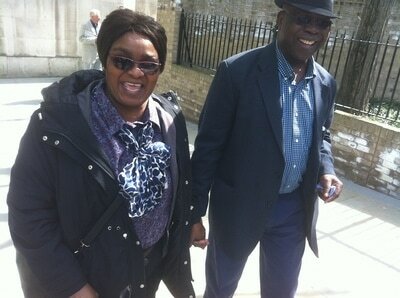 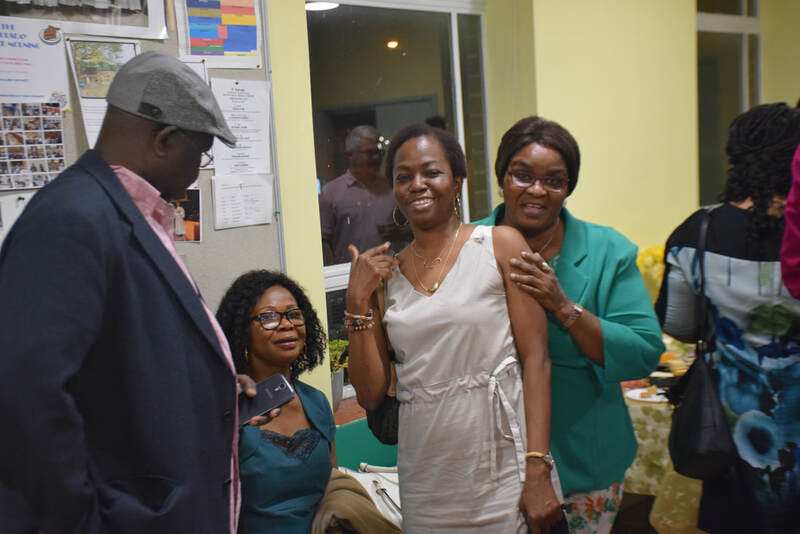 We share their joy over the hoped full recovery of their beloved ones. 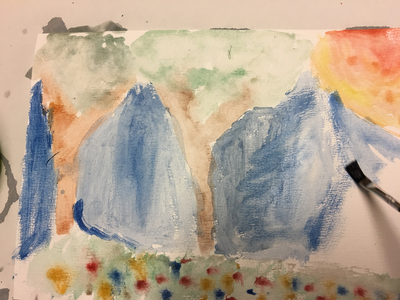 21 March, 2017. 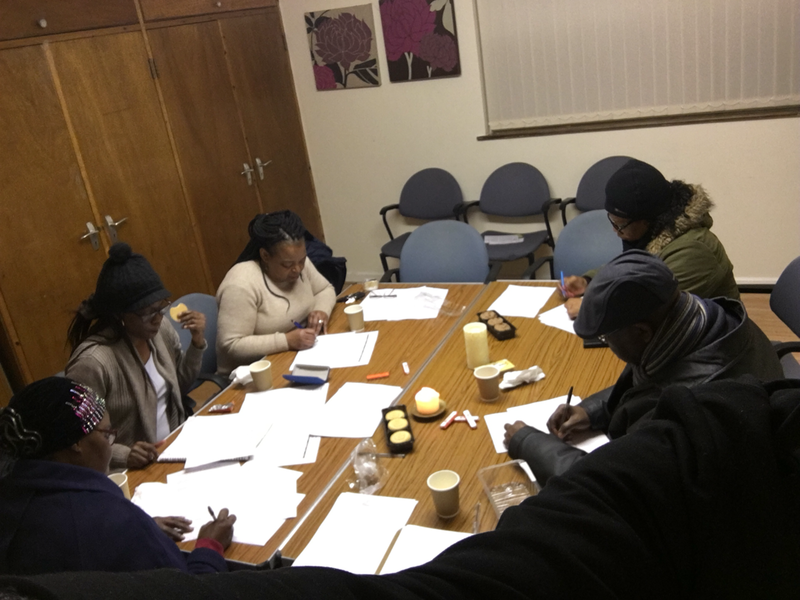 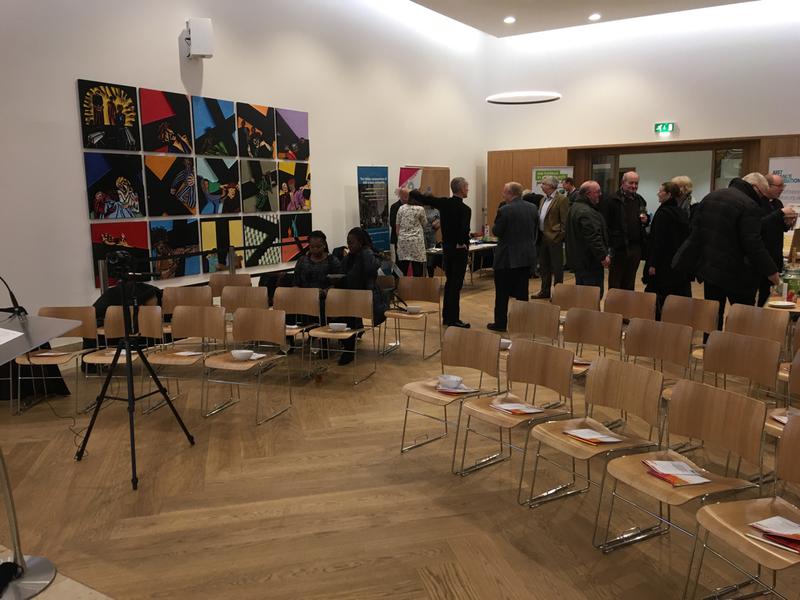 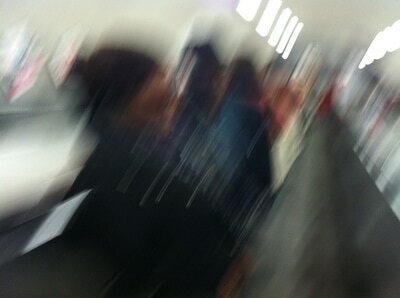 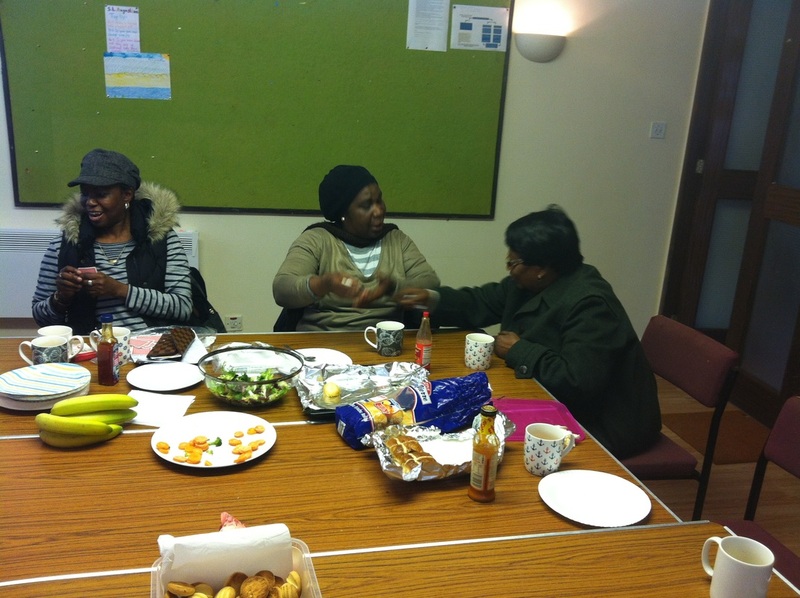 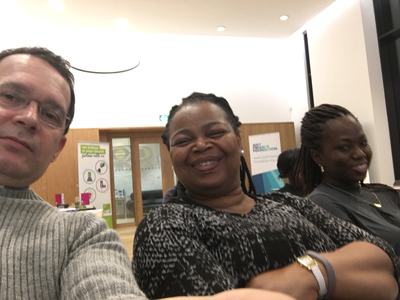 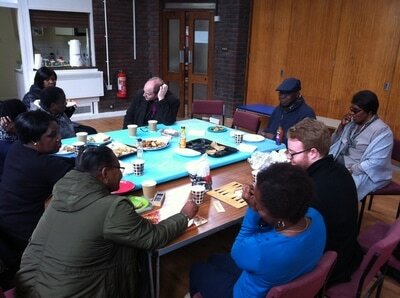 Colindale Steering Group Meeting. 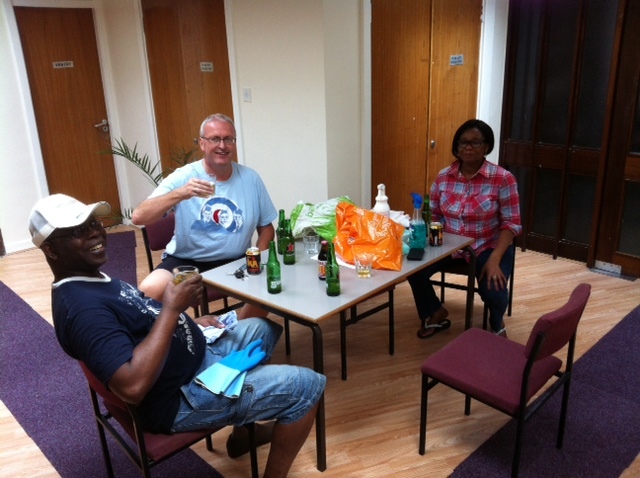 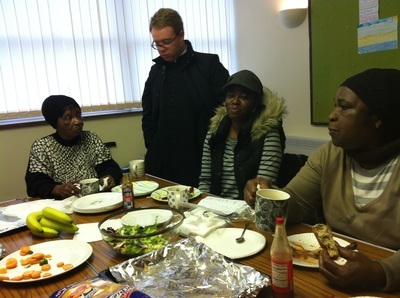 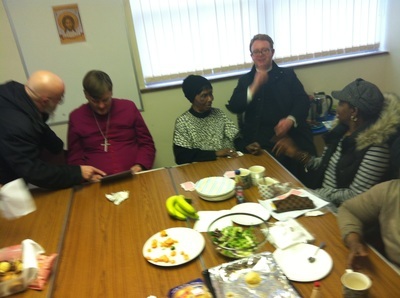 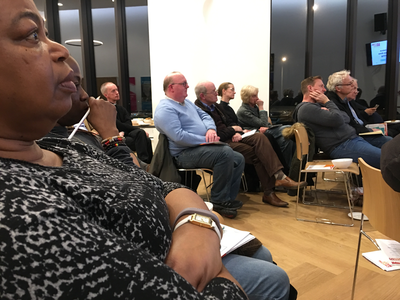 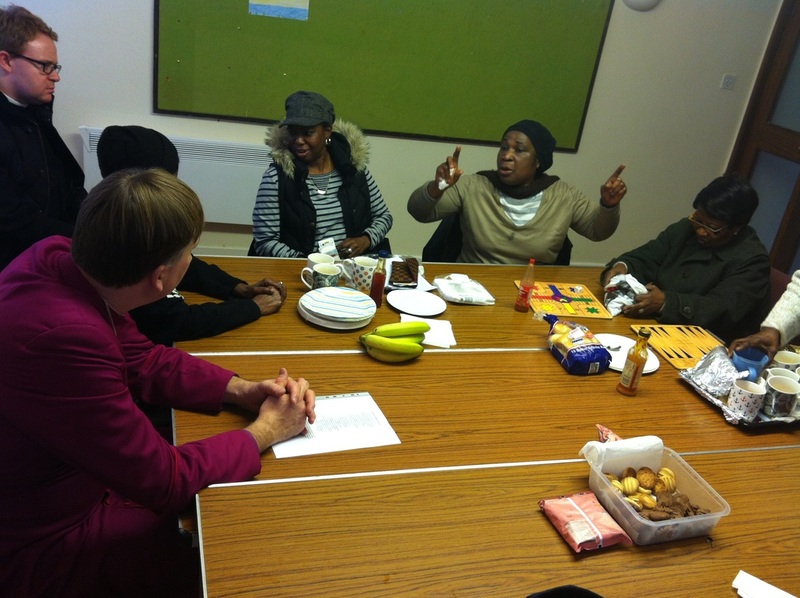 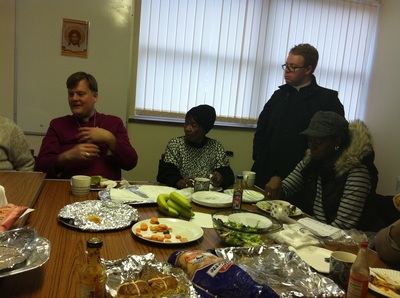 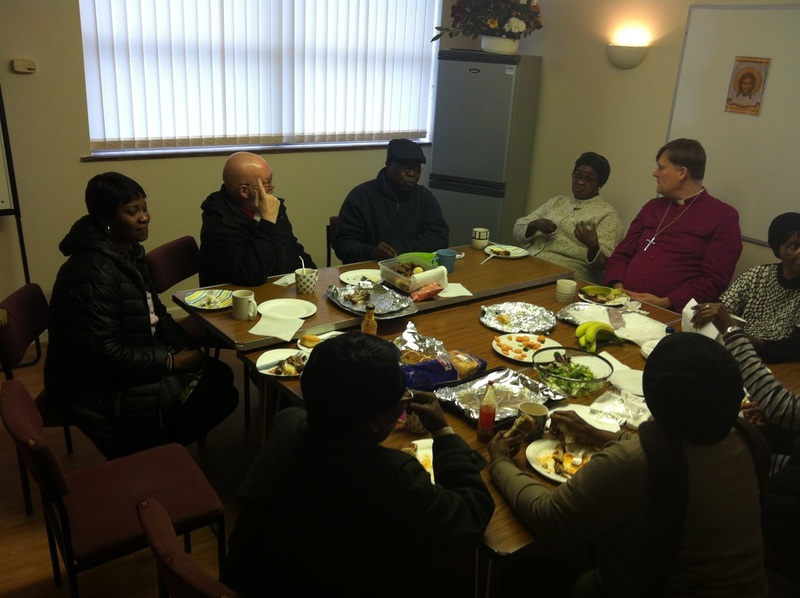 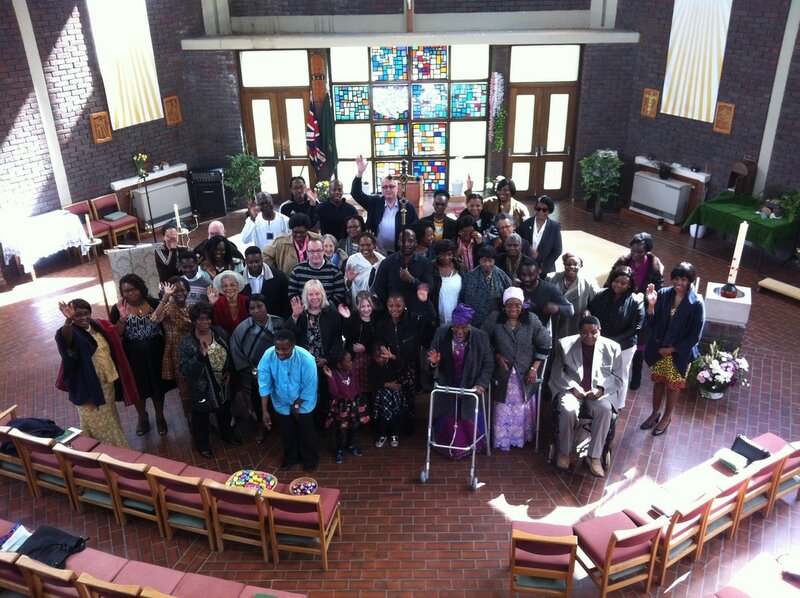 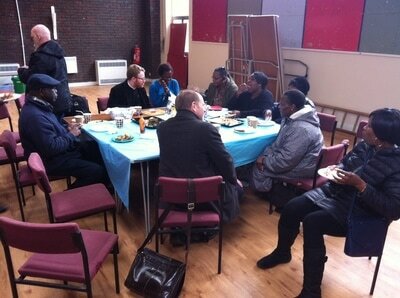 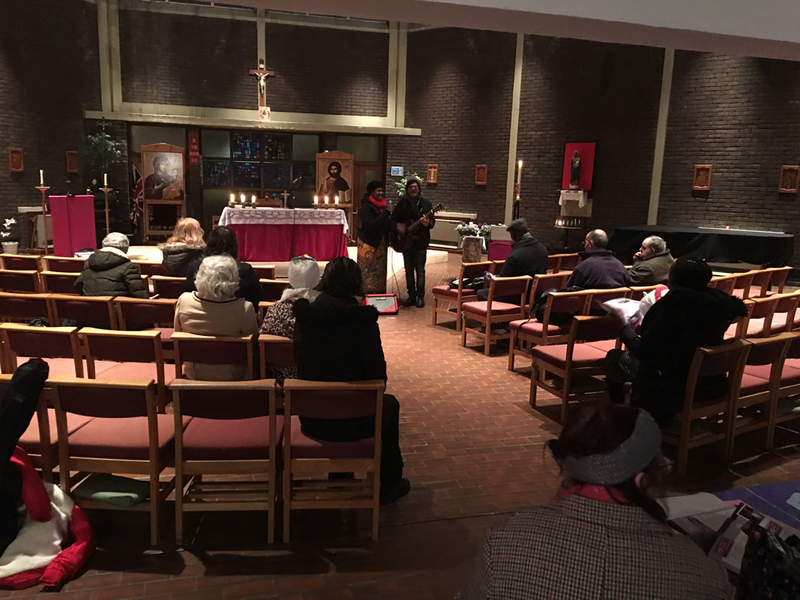 The best ever Colindale Steering Group Meeting - our regular meetings on the coming redevelopment of St Augustine's. 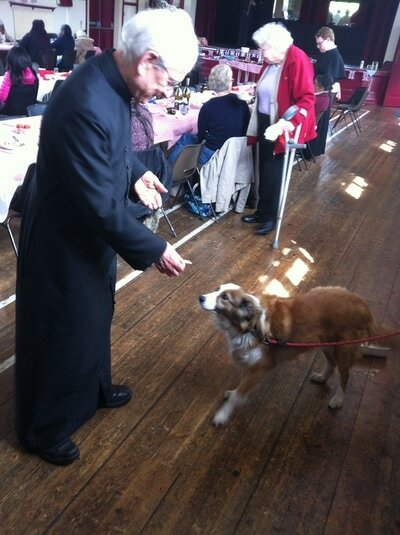 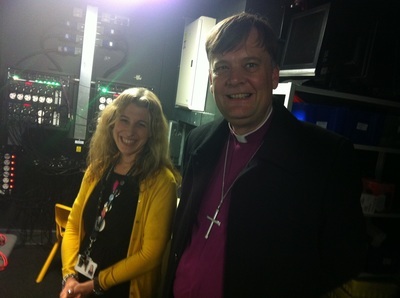 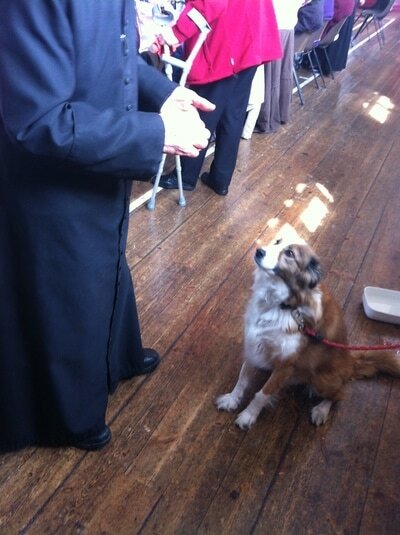 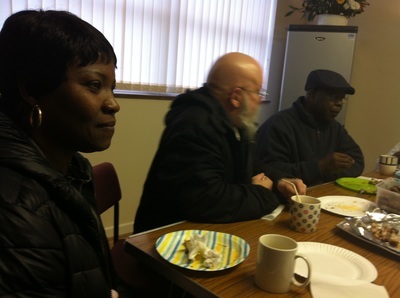 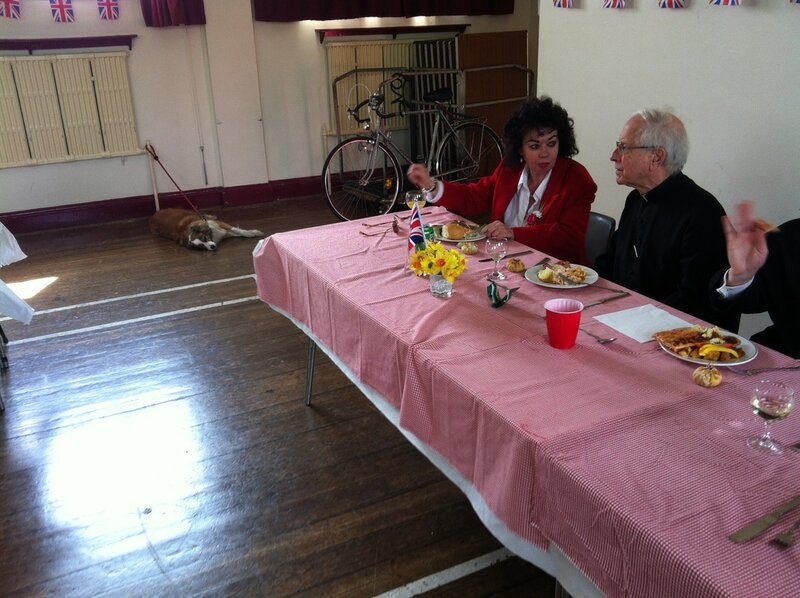 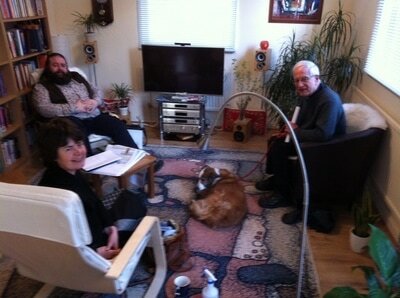 Linda and Tony who co-ordinate the project, really enjoyed Shep, Fr Hugh's dog, as our added expert to our discussions. 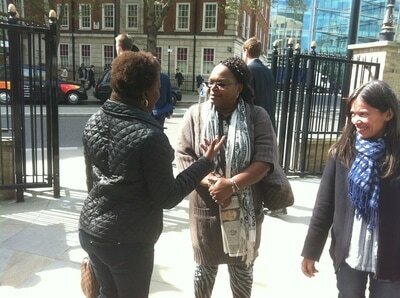 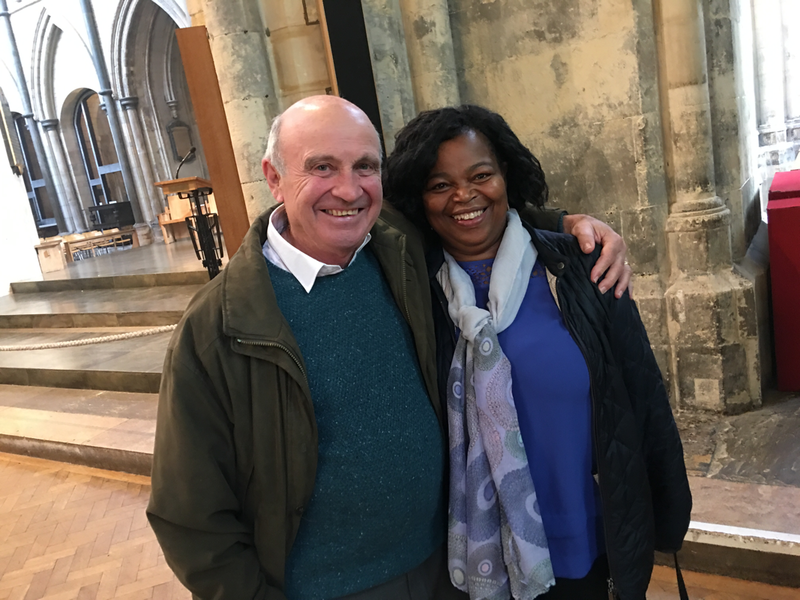 I told Tony that soon, in few decades time, we are going to recall these meetings at the old St Augustine's as 'legendary'. 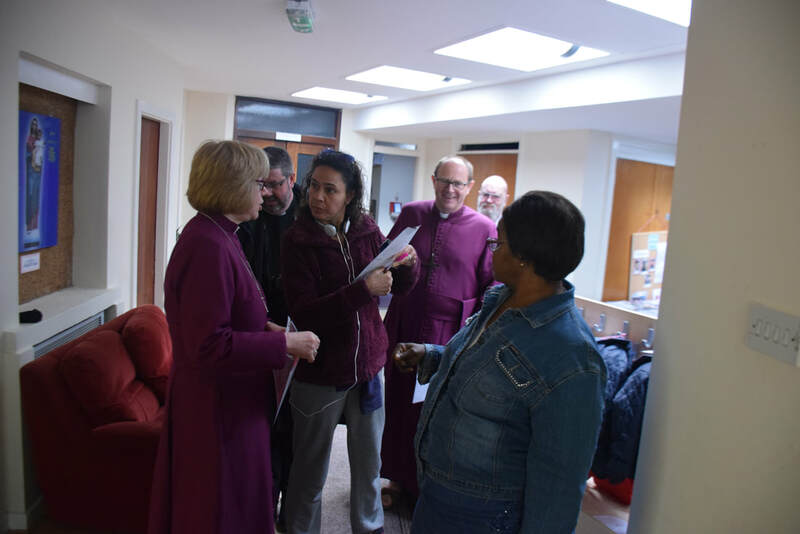 It is exciting to think about the new church and adjacent hall-complex responsibly and praying for the success of the new design. Soon, our architects will re-join us, Linda and Lukas. 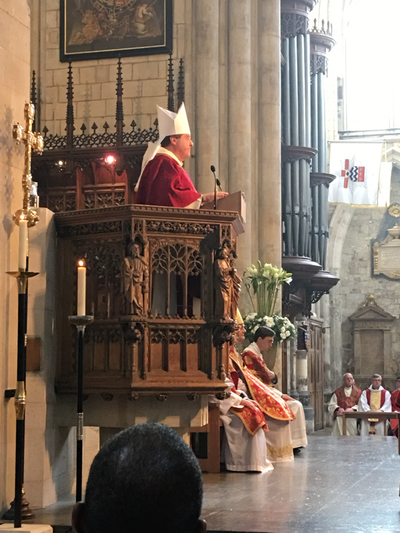 23 May, 2017. 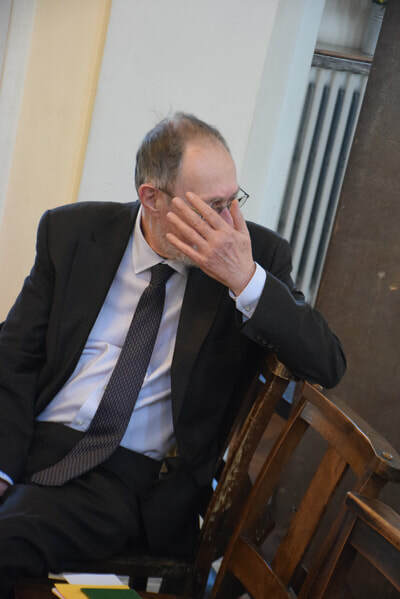 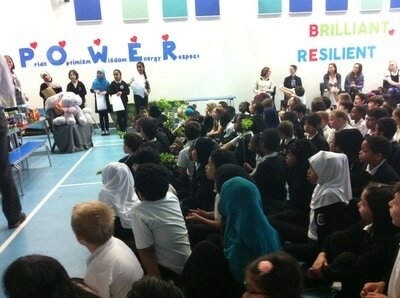 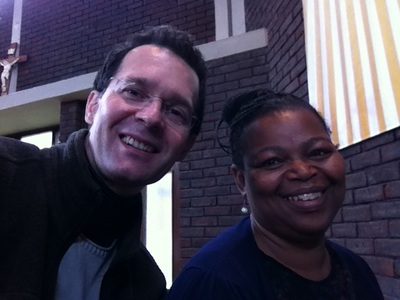 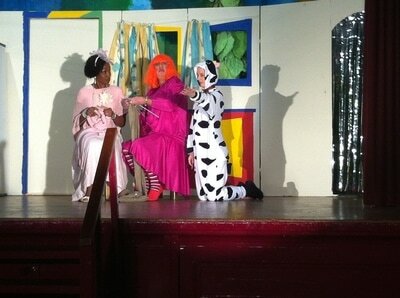 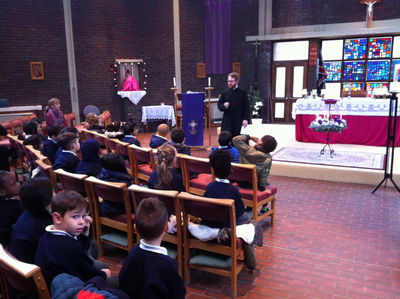 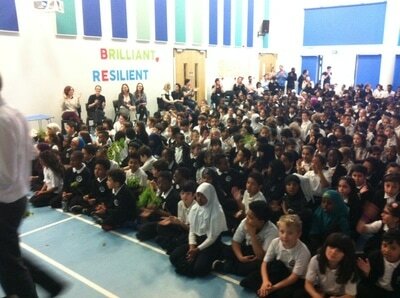 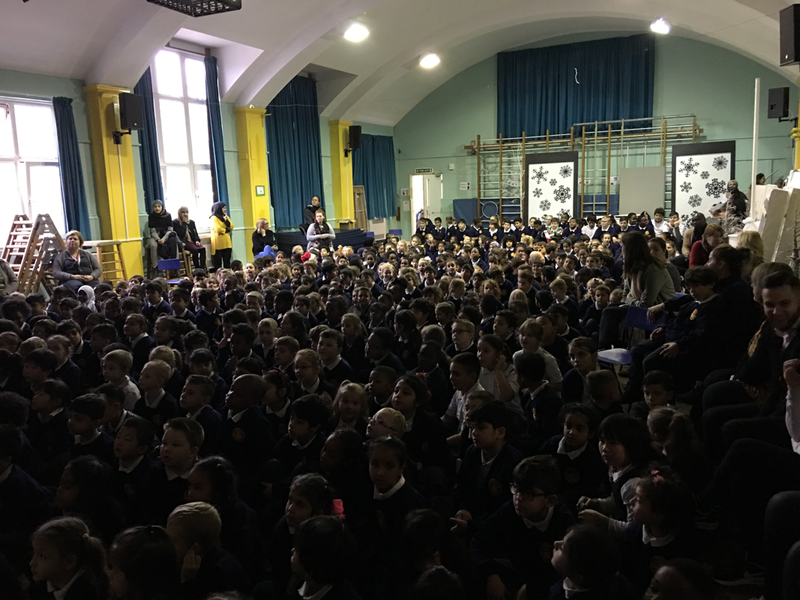 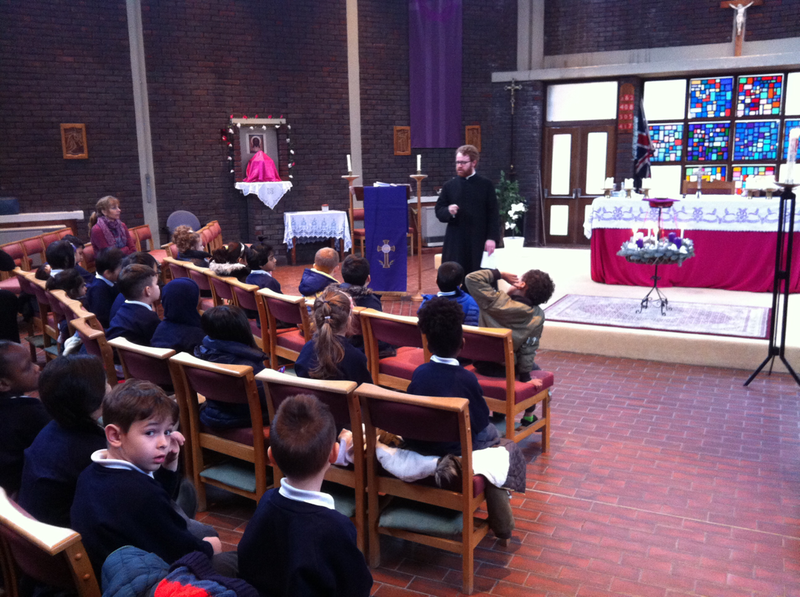 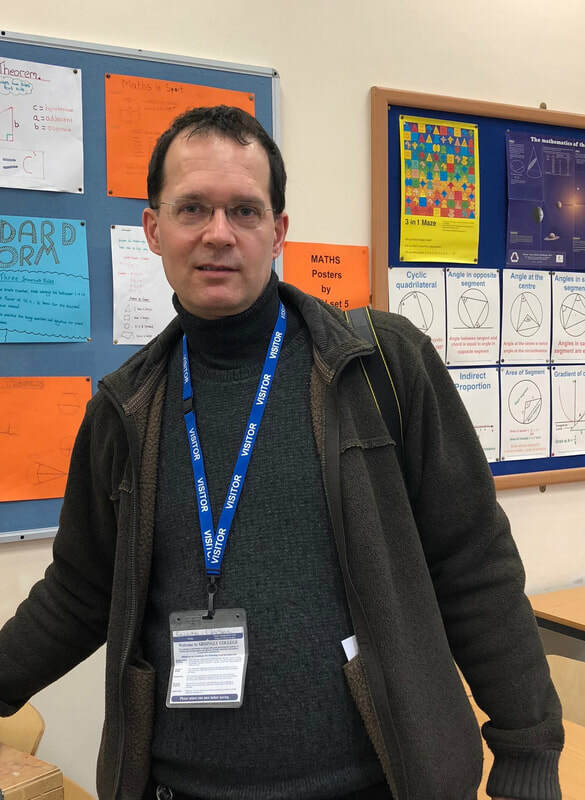 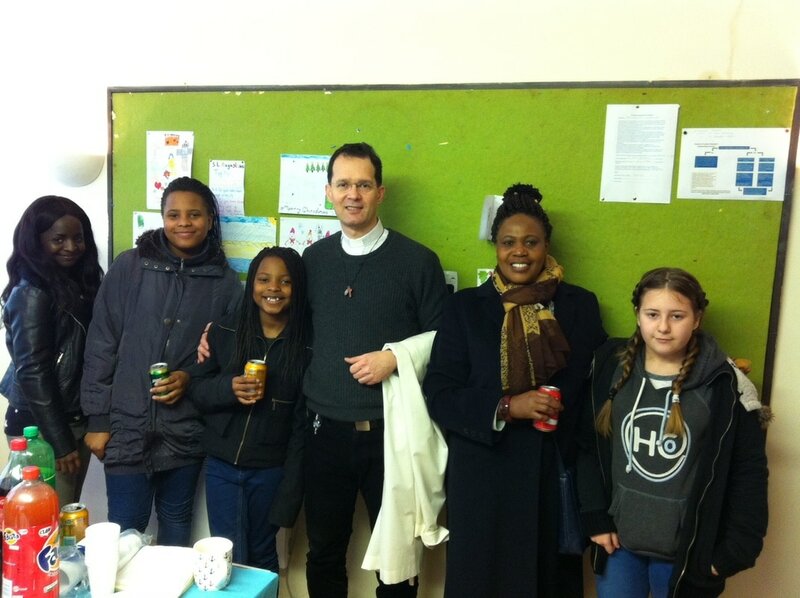 Michael Polledri's visit to St Augustine's, Grahame Park, and Orion School. 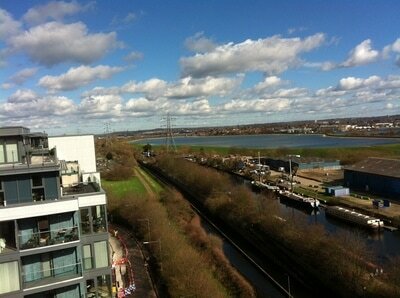 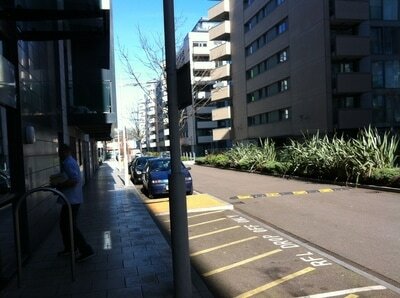 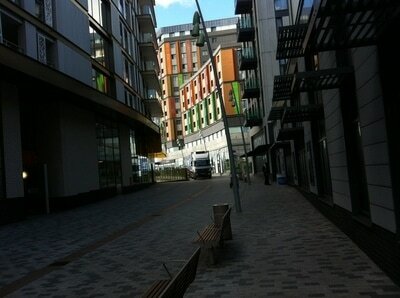 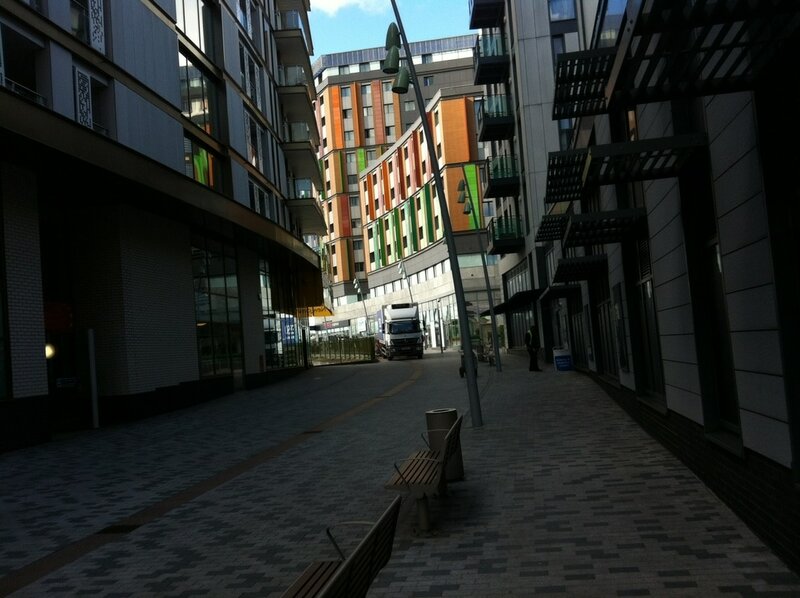 Michael Polledri is the developer of Hale Village (Tottenham Hale, London). It was good see our future development and challenges with the eyes of an experienced and committed developer. 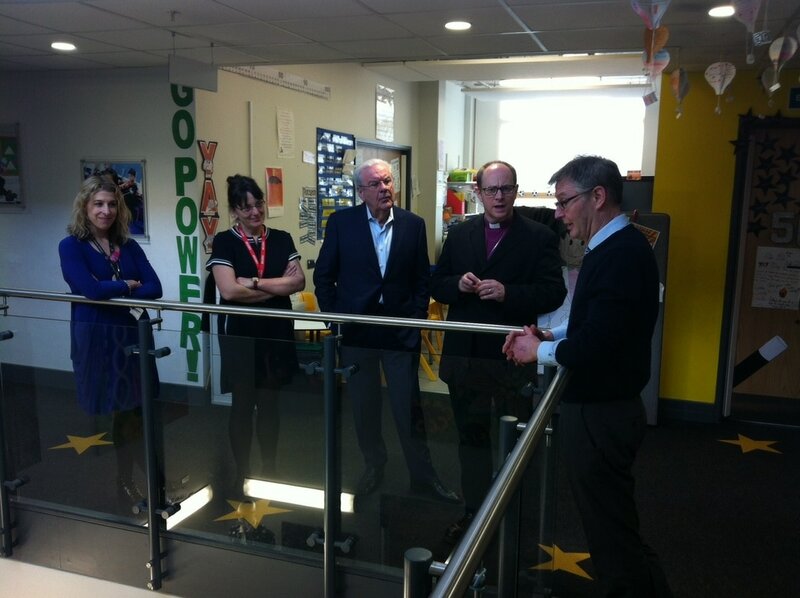 We are most grateful to Mr Chris Flathers, the head of Orion Primary School, and his co-heads, Mrs Annie Hindle and Mrs Rachel Shear for their hospitality. 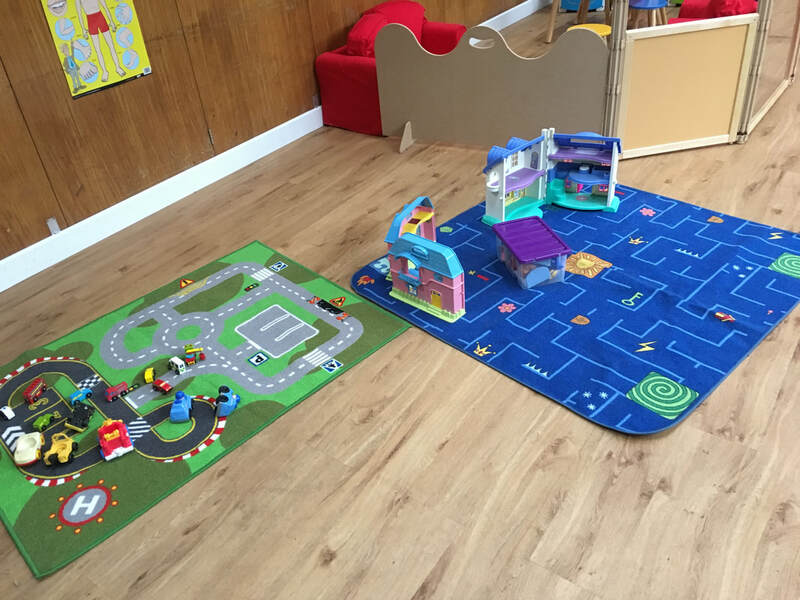 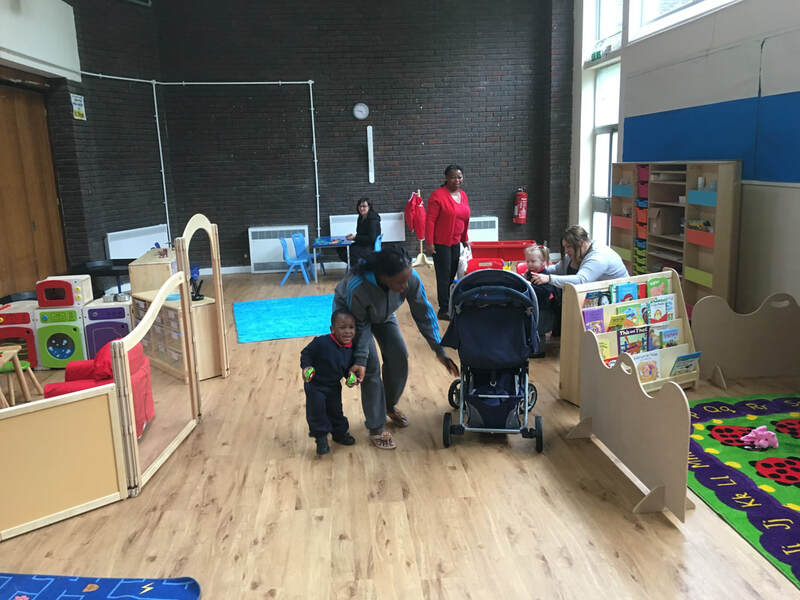 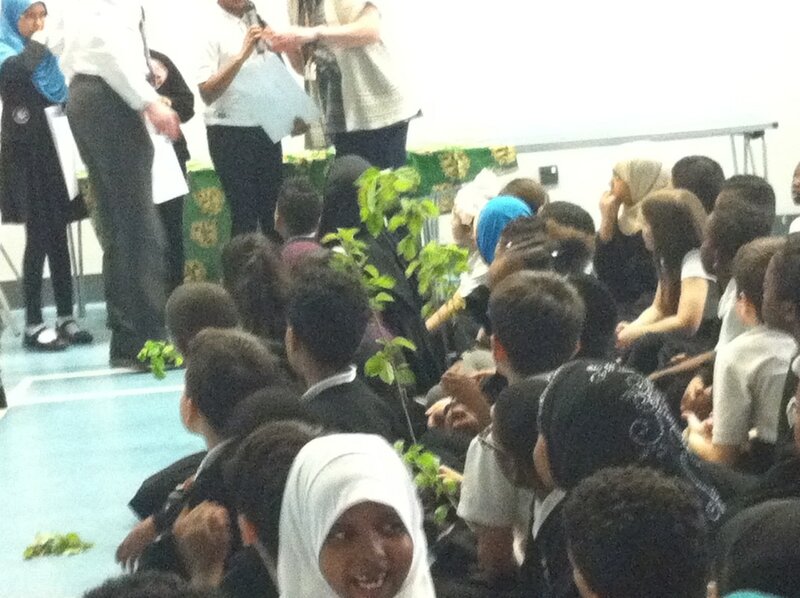 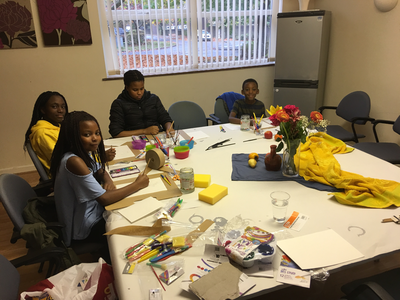 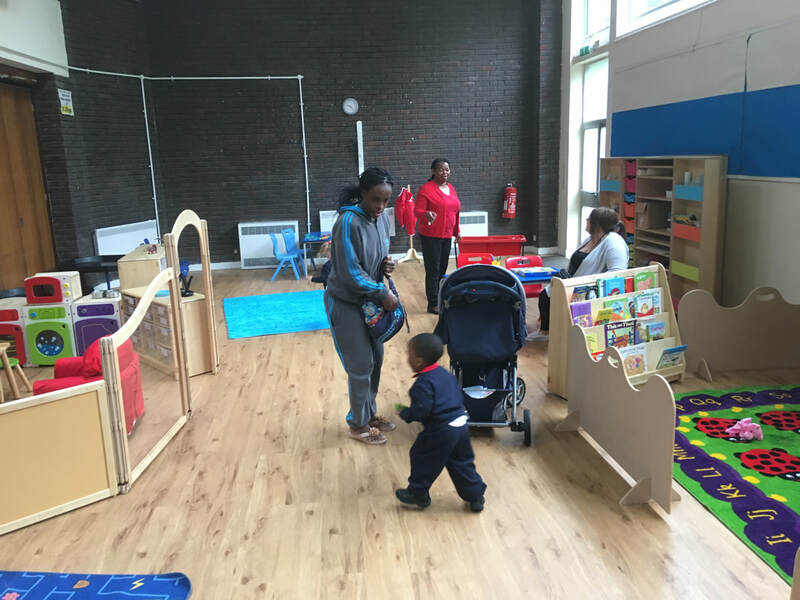 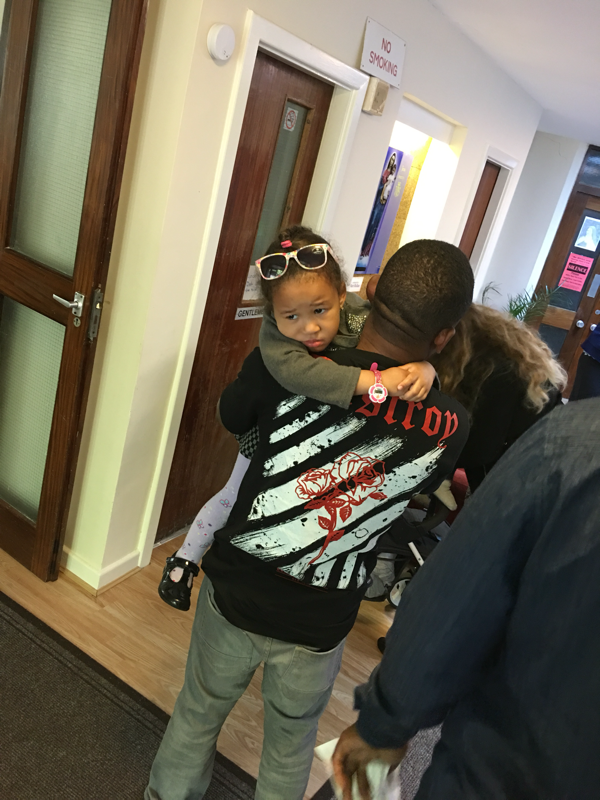 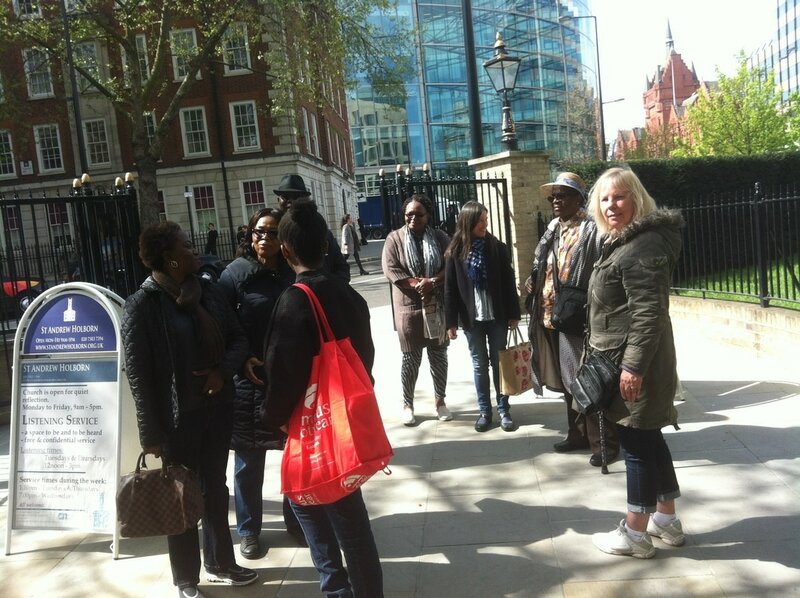 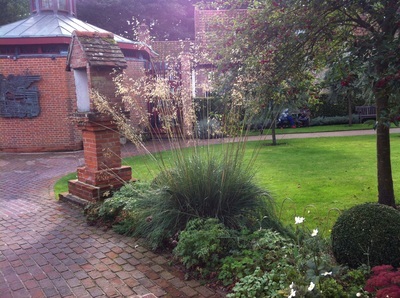 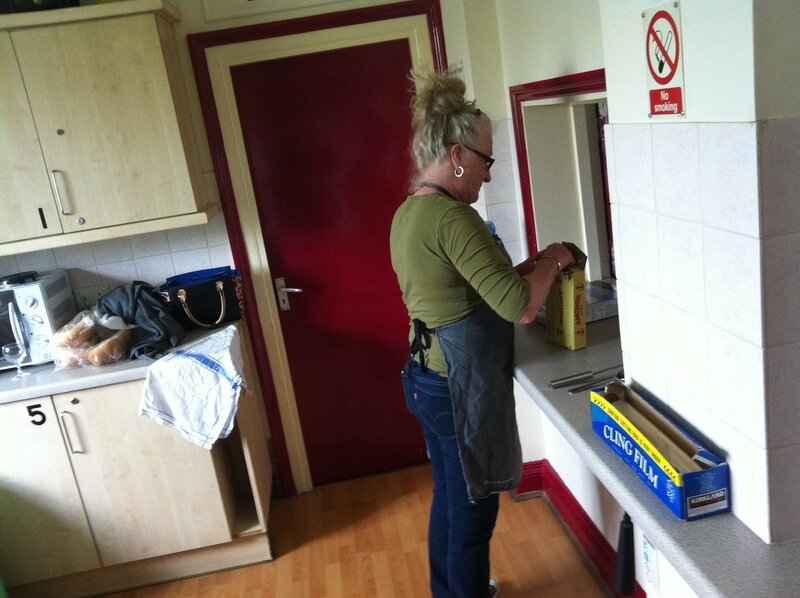 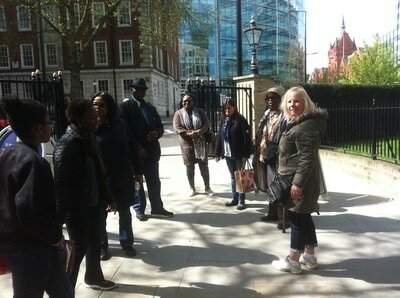 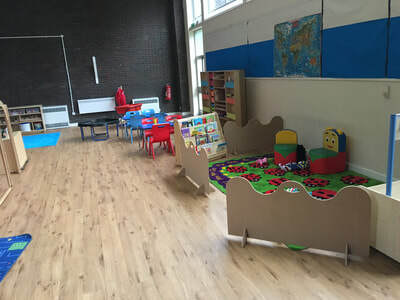 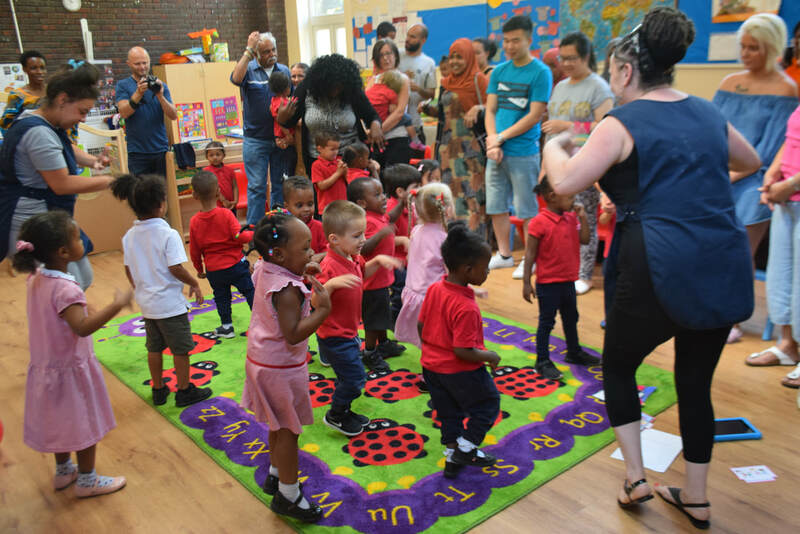 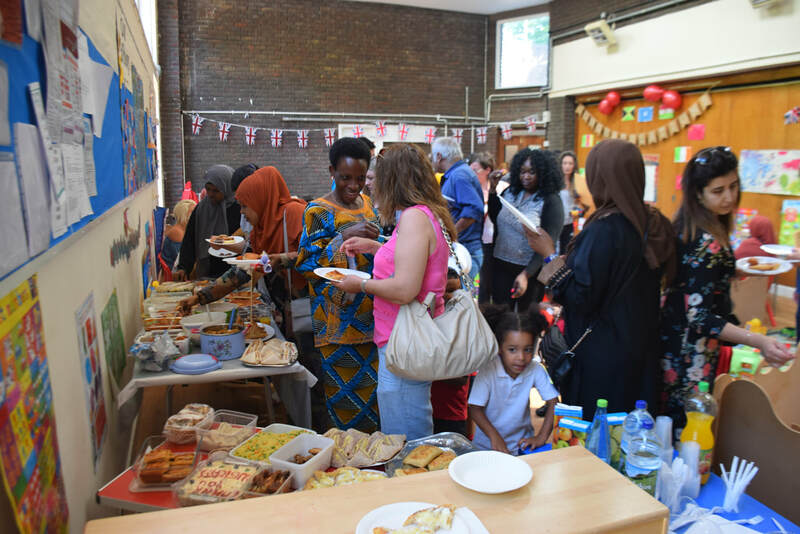 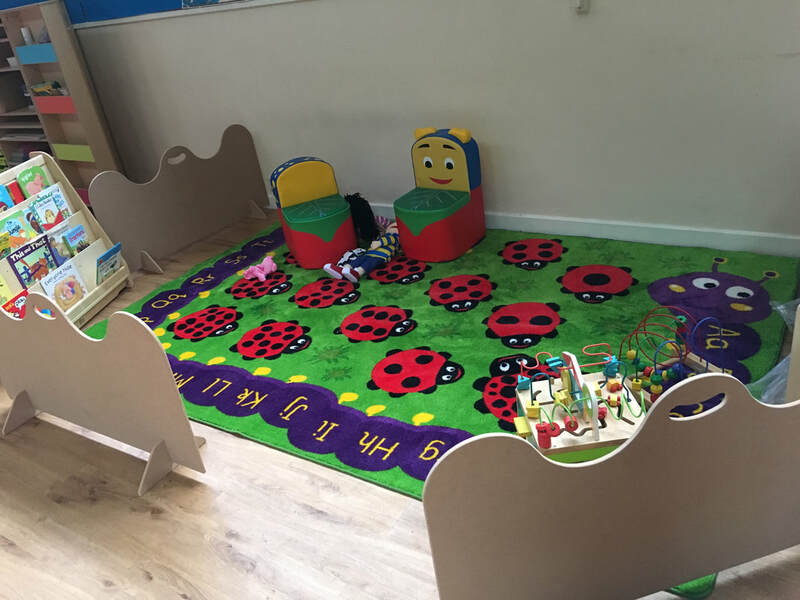 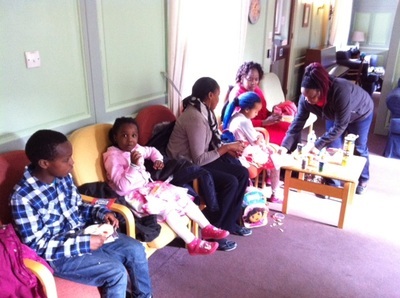 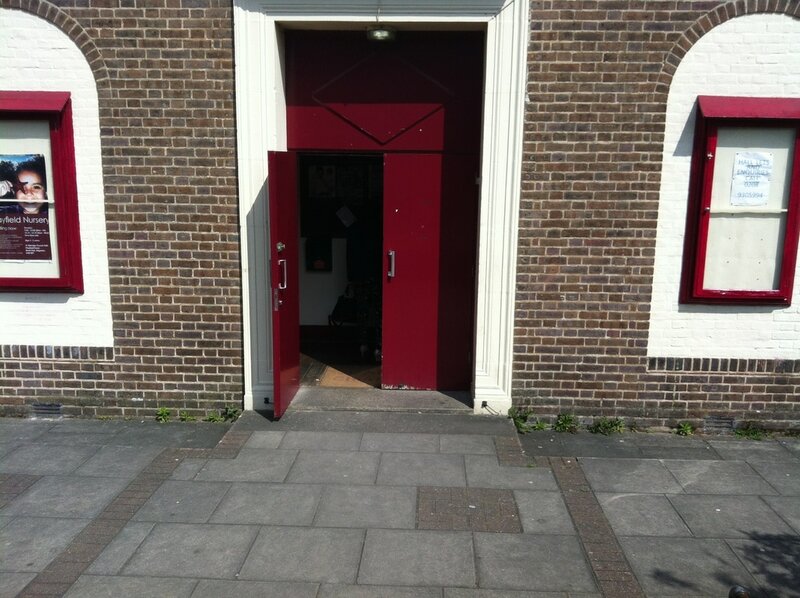 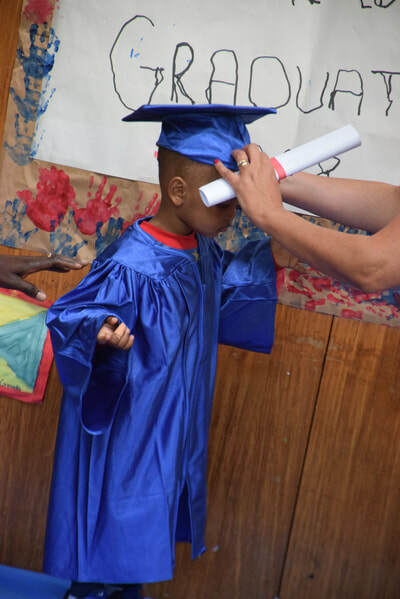 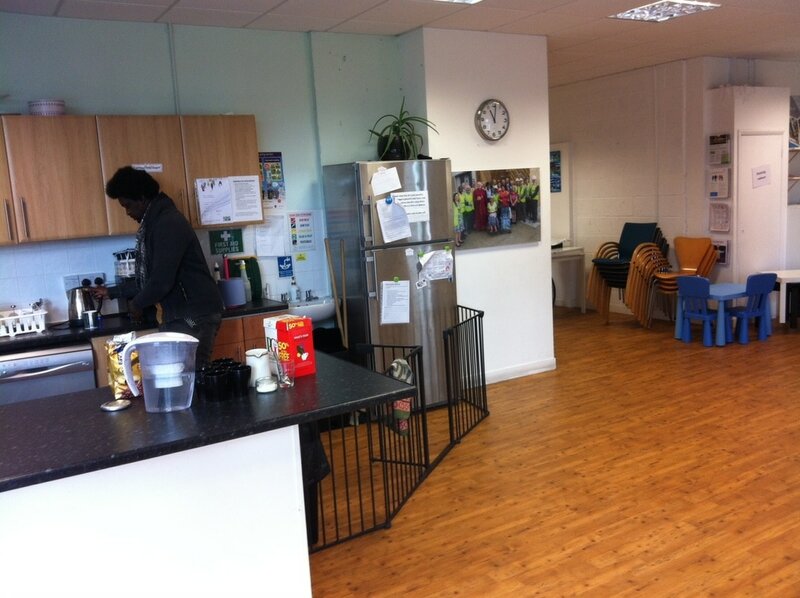 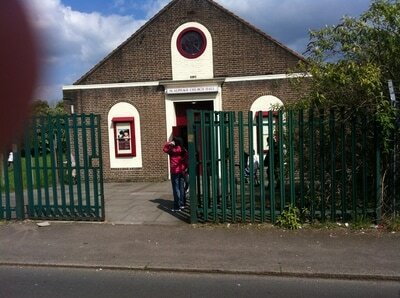 Orion school is a modern and excellent school serving the families of Grahame Park. 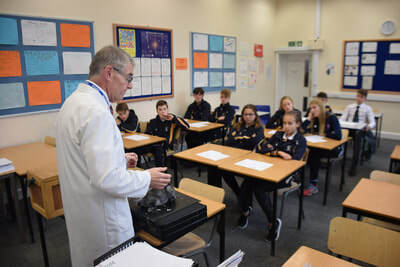 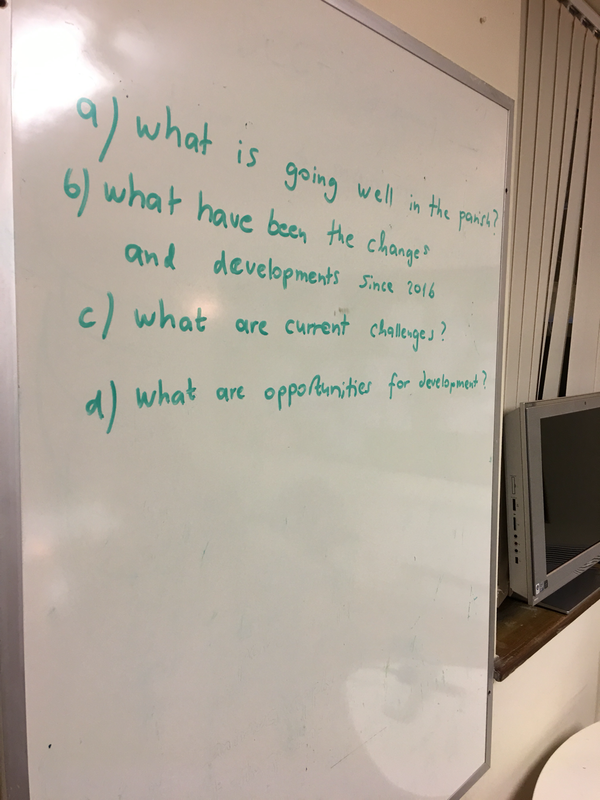 Our guests were greatly impressed by the philosophy which Mr Flathers developed with his colleagues. 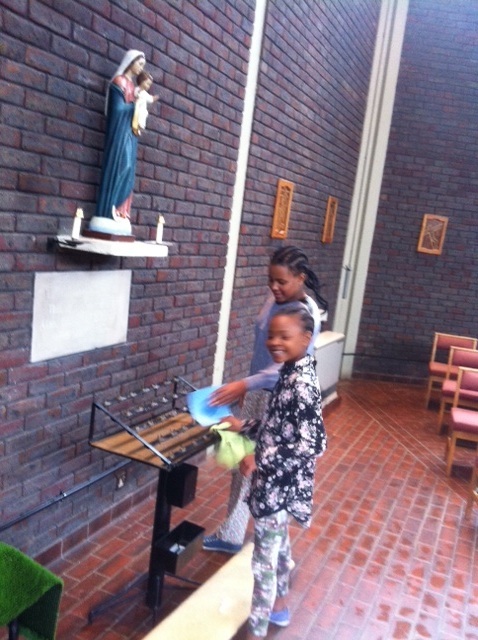 Children most be given positive confirmation, lots of joy and motivation, in order to 'shine' and excel, and achieve. 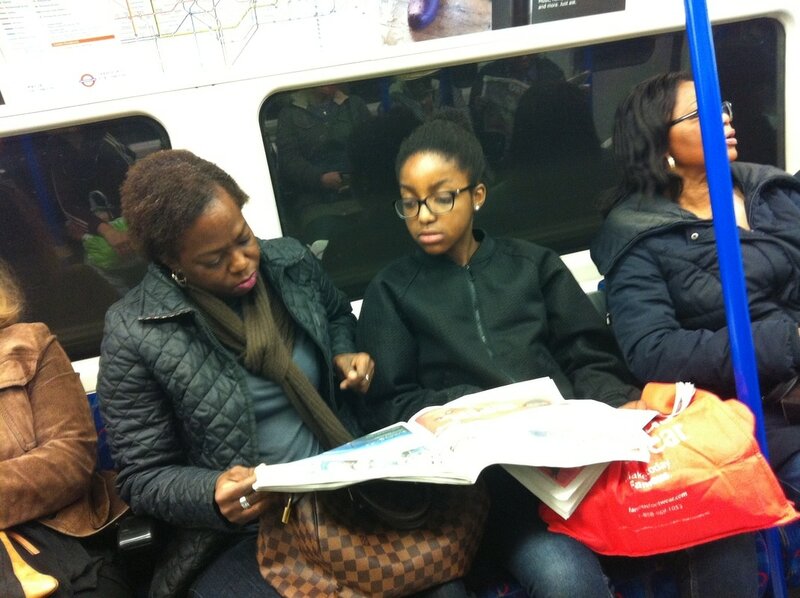 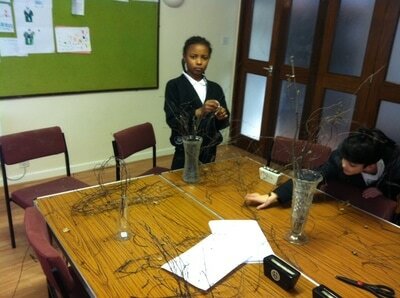 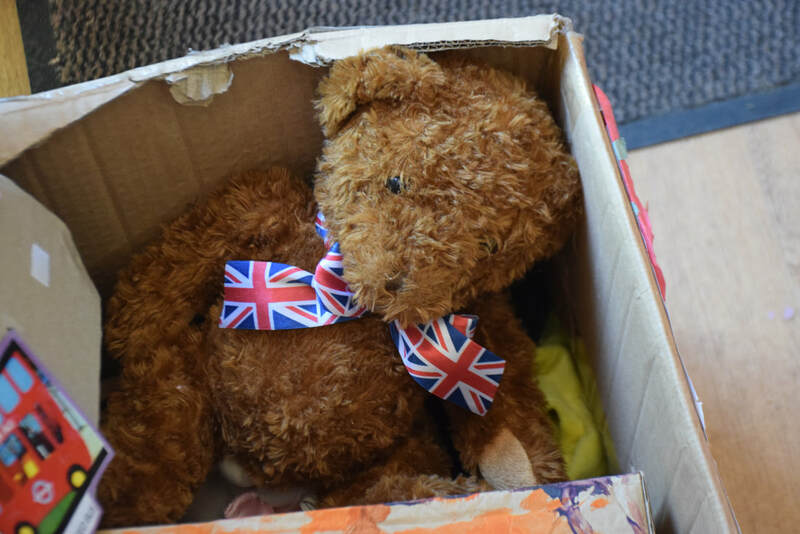 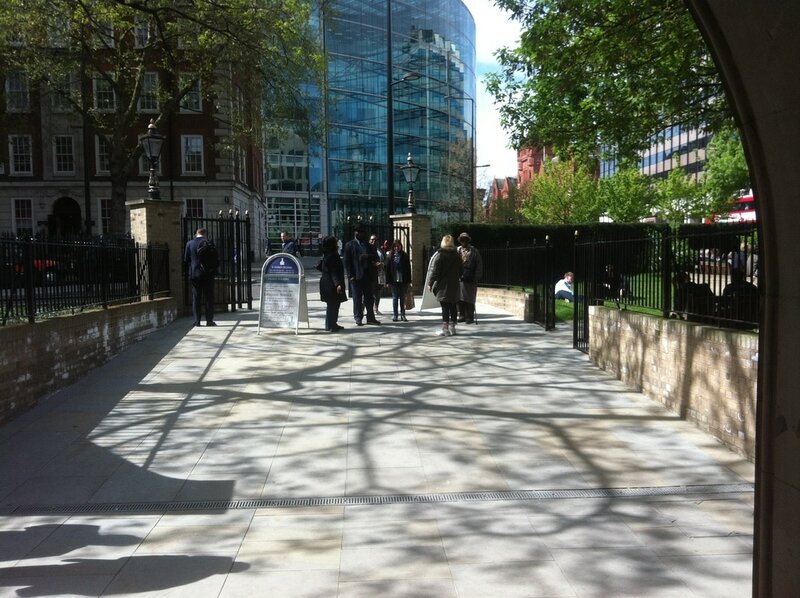 In an urban priority area as ours, it is a pioneering and outstanding commitment to these young lives. 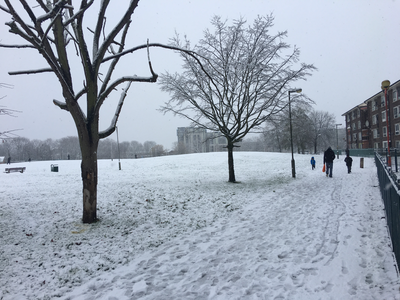 Thursday, 9 March 2017. 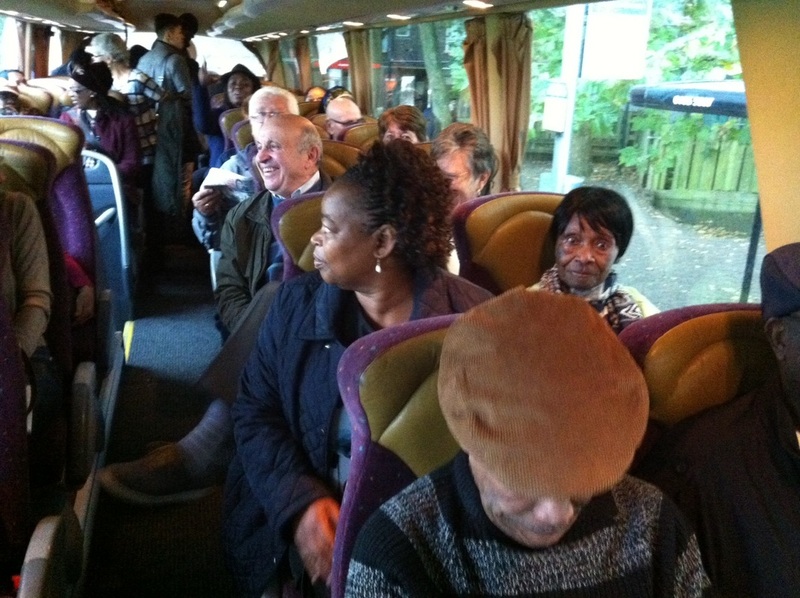 A visit to Hale Village (Tottenham Hale) to the Engine-Room. 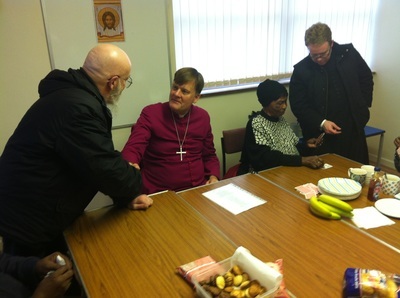 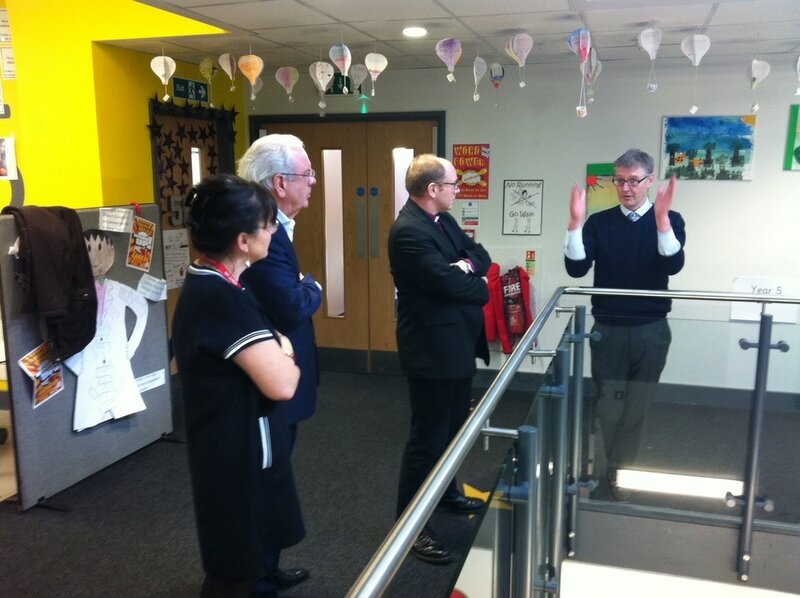 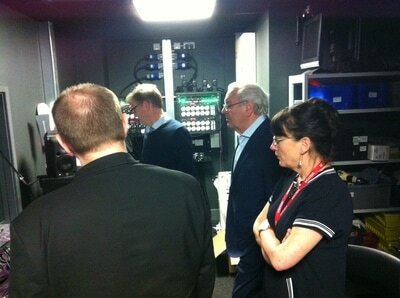 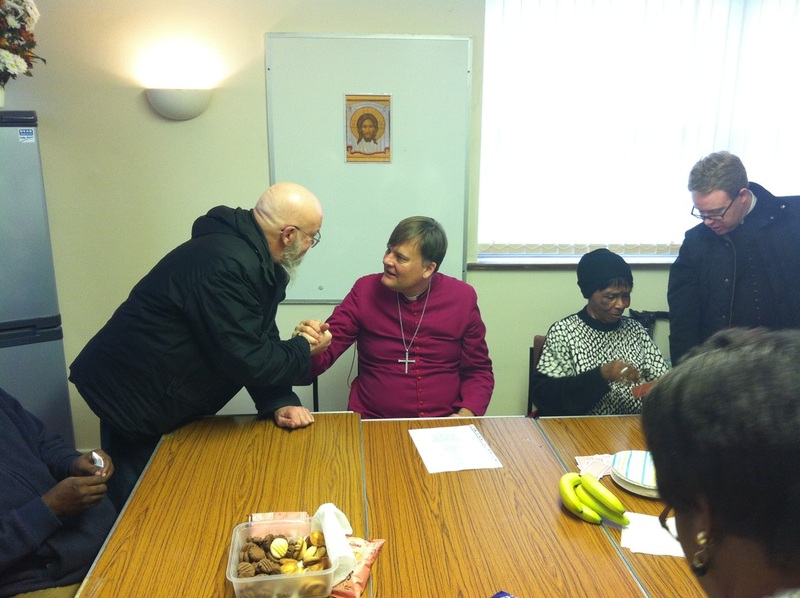 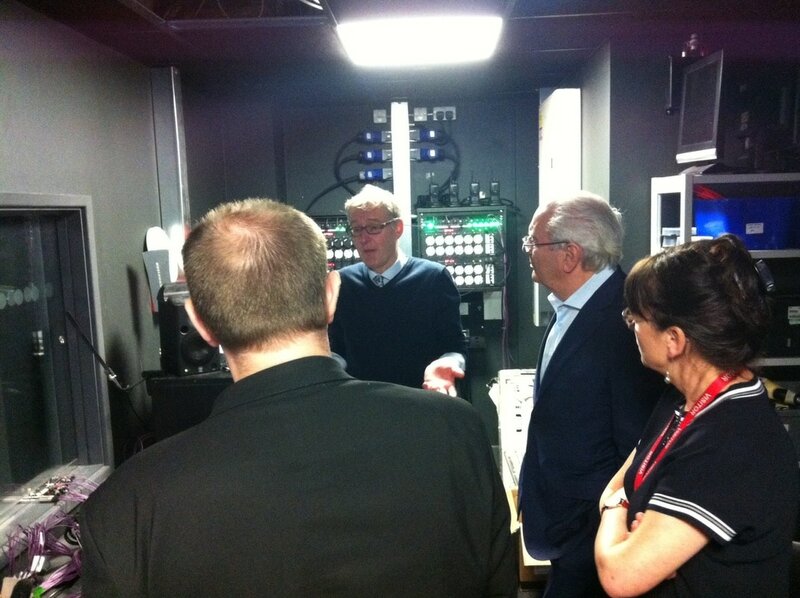 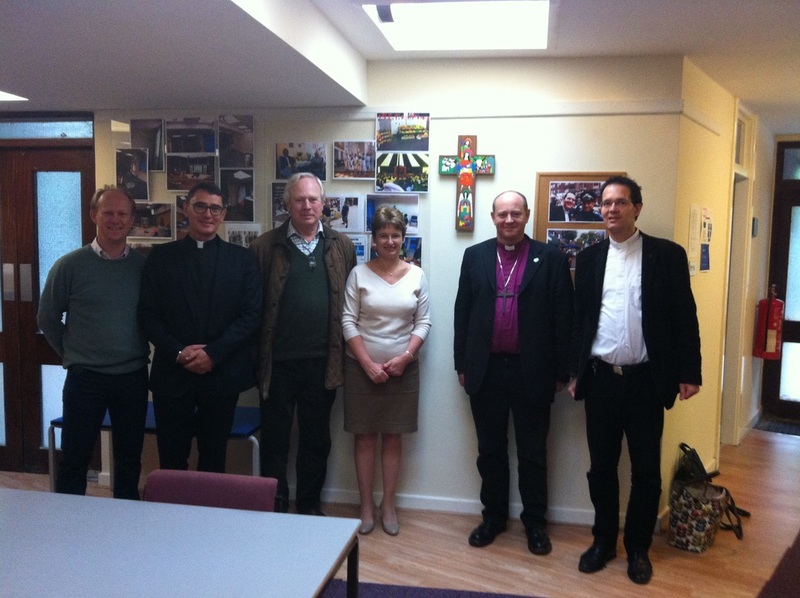 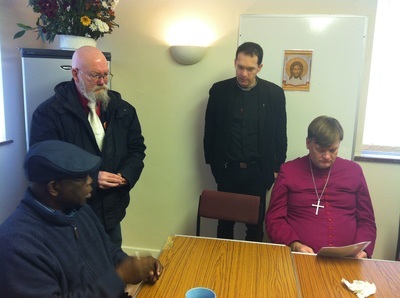 This was a very useful visit to Father Andrew and Michael Polledri, the developer of Hale Village. 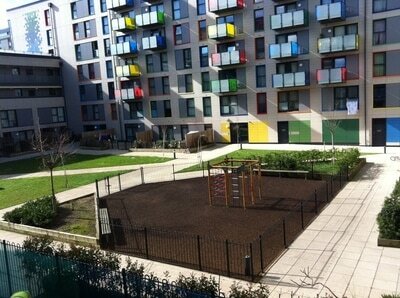 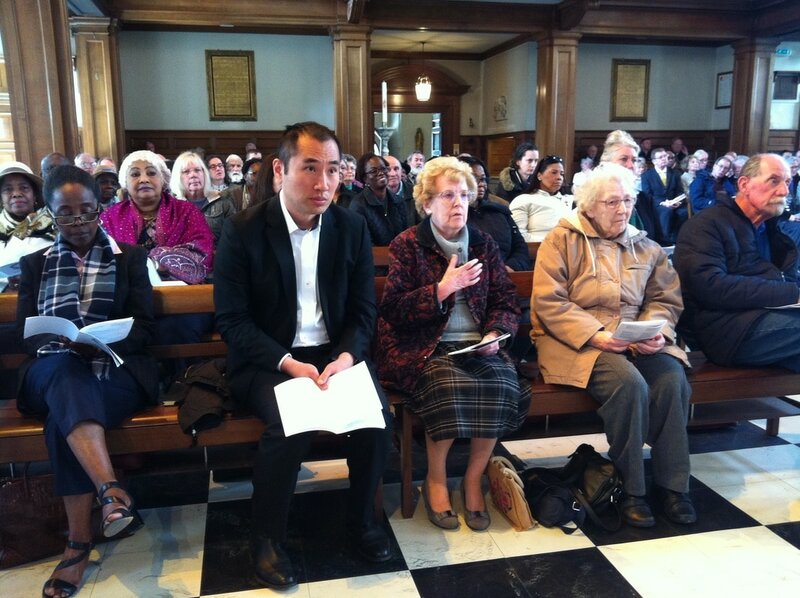 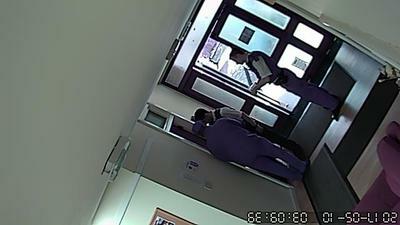 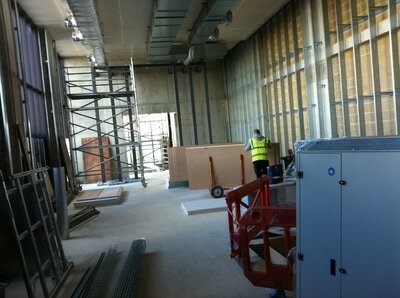 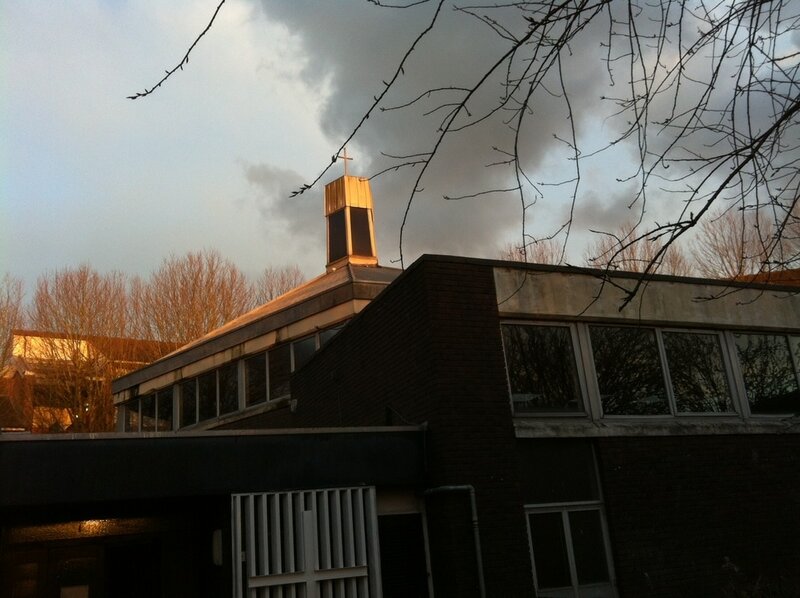 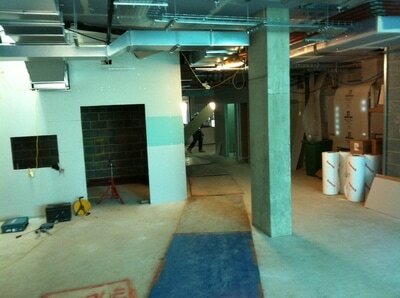 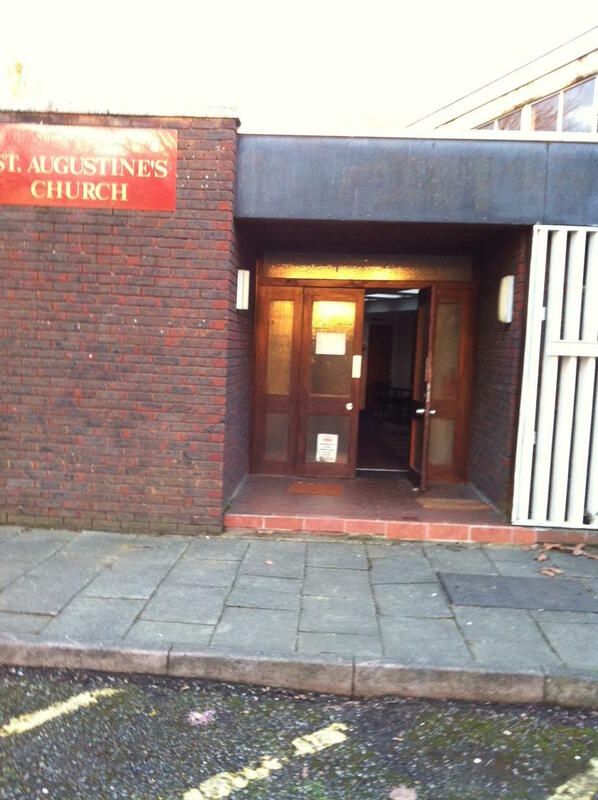 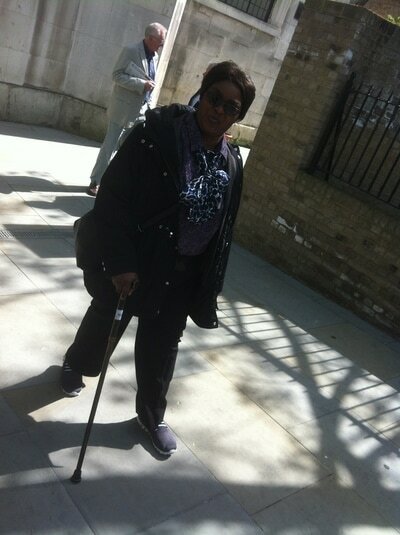 Saint Augustine's, Grahame Park shall be facing soon similar challenges of operating in a new development. 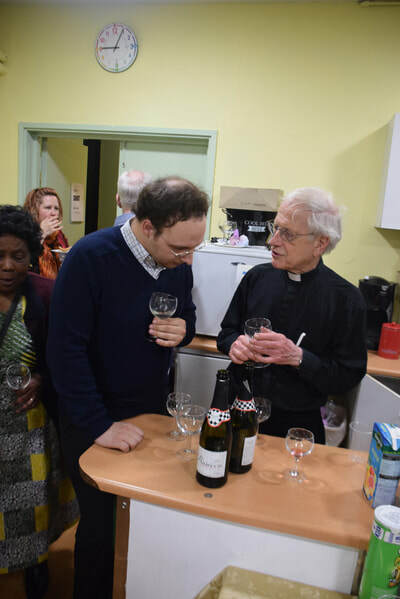 It is worth sharing experiences, hopes, joys and lessons - and pray for one another. The visit gave us the idea to form a 'spiritual alliance' with those who work for building up a Christian community at Hale Village. 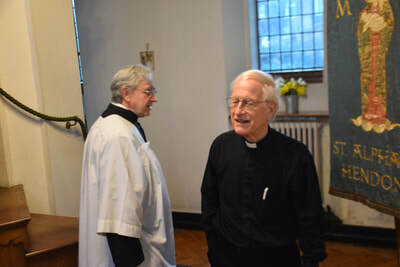 Fr Andrew and Michael were great hosts. 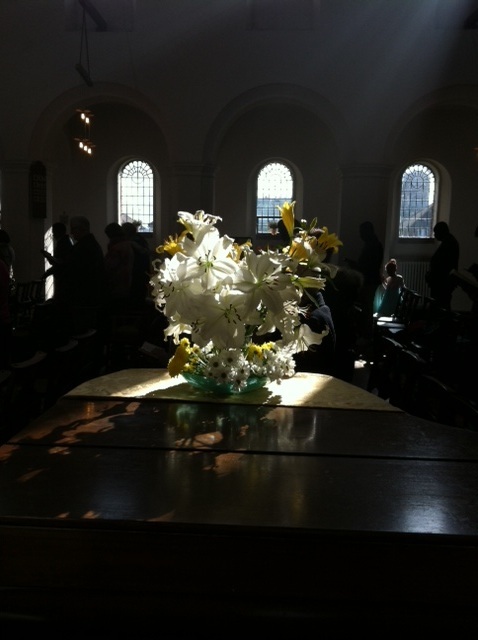 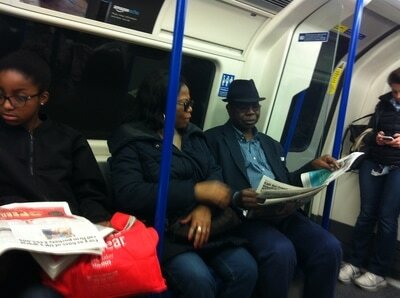 A lot to ponder how to be, humbly, and through toiling work, the 'light and the salt' of our urban world. 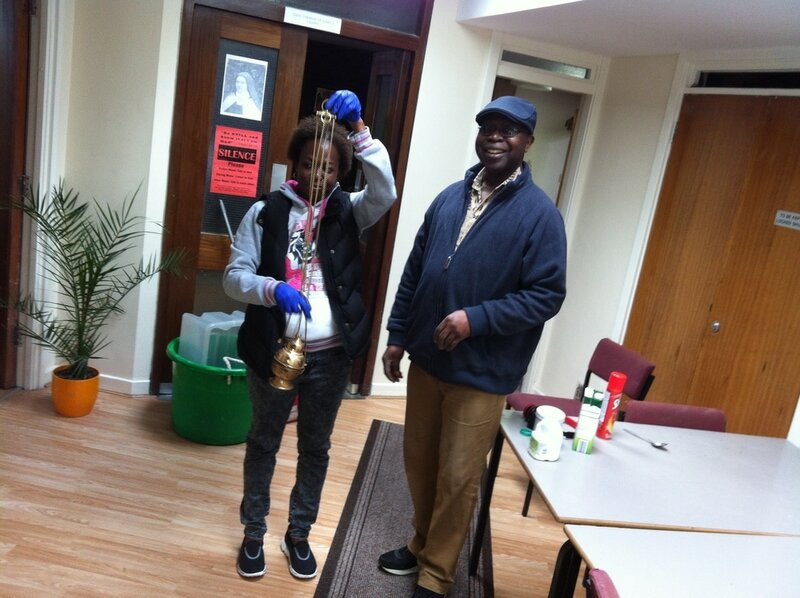 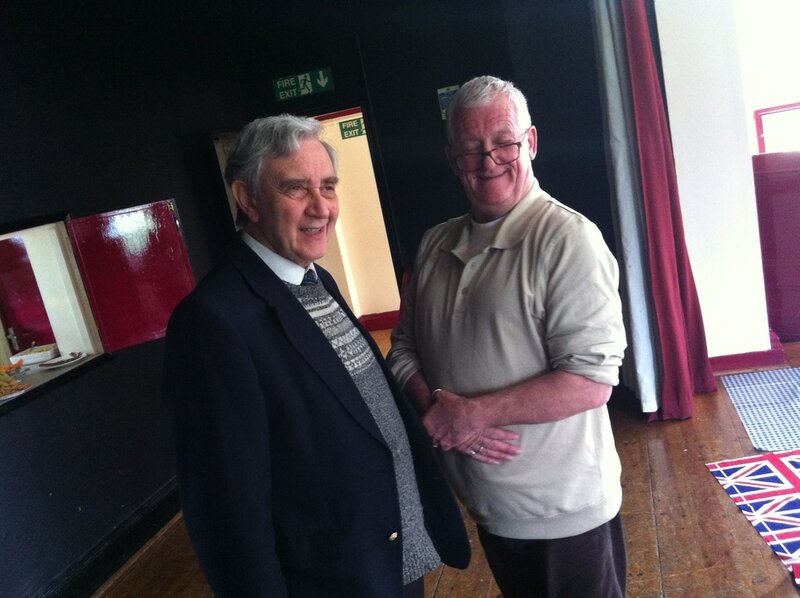 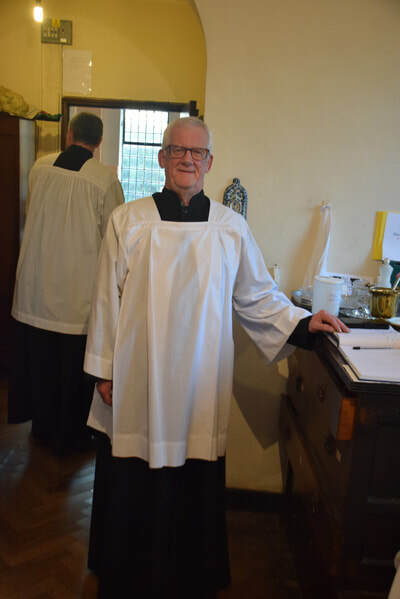 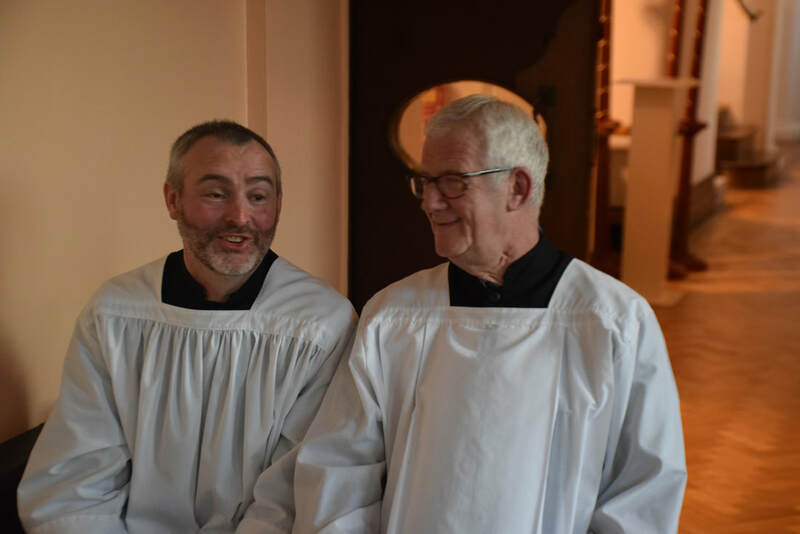 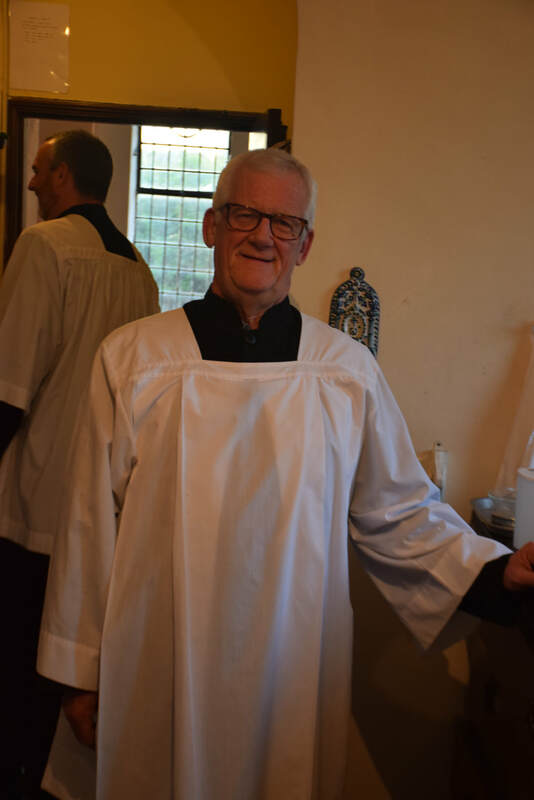 From now on, the work of Mr Polledri and Fr Andrew - the Engine Room - is on our prayer list. 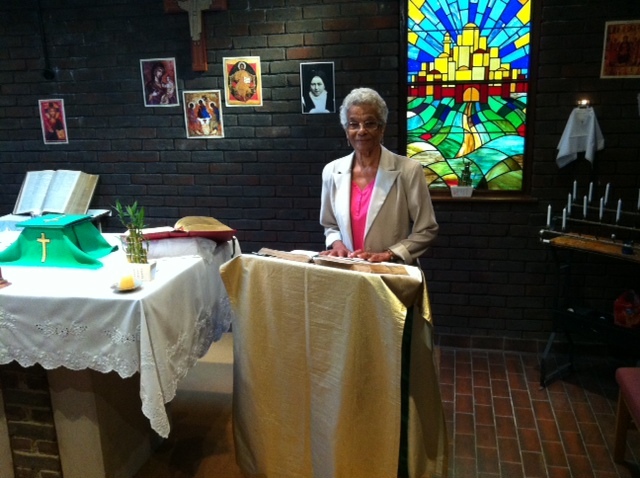 The Friday Eucharists this year will be offered also for their work and intention. 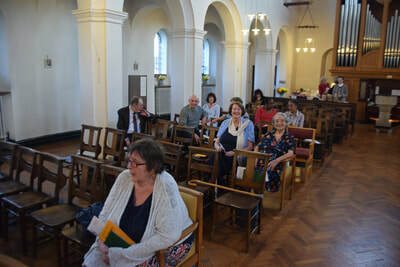 You can see the existing 'Engine Room' (St Francis Church), moods of Halve Village, and the construction of the permanent church and some of its facilities, which will be finished by October. Wednesday, 4 March 2017. 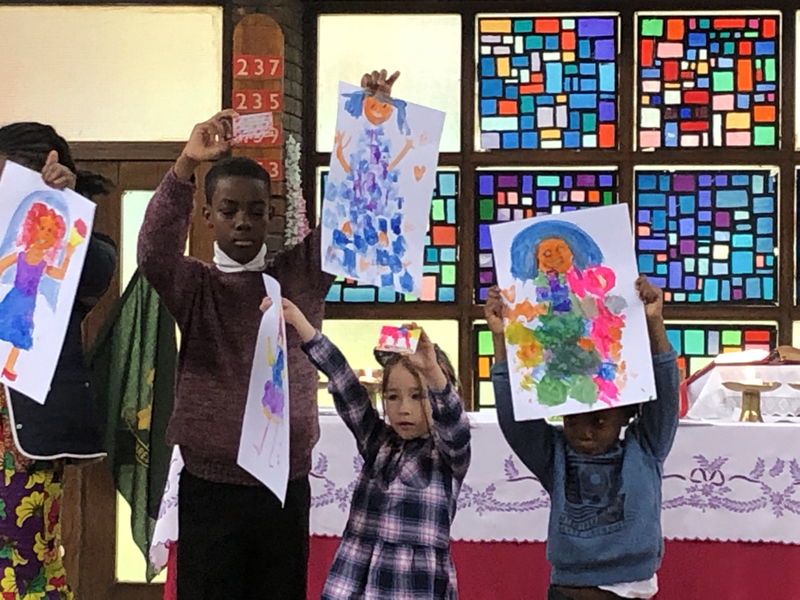 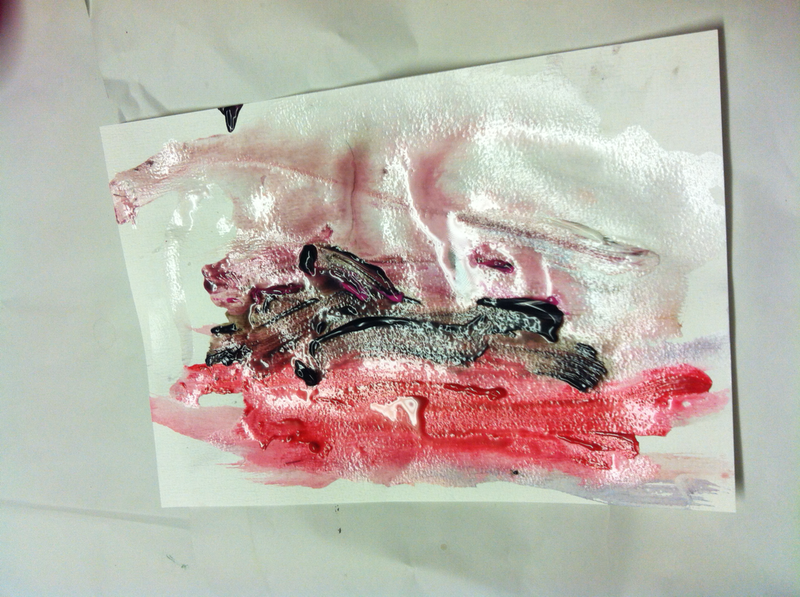 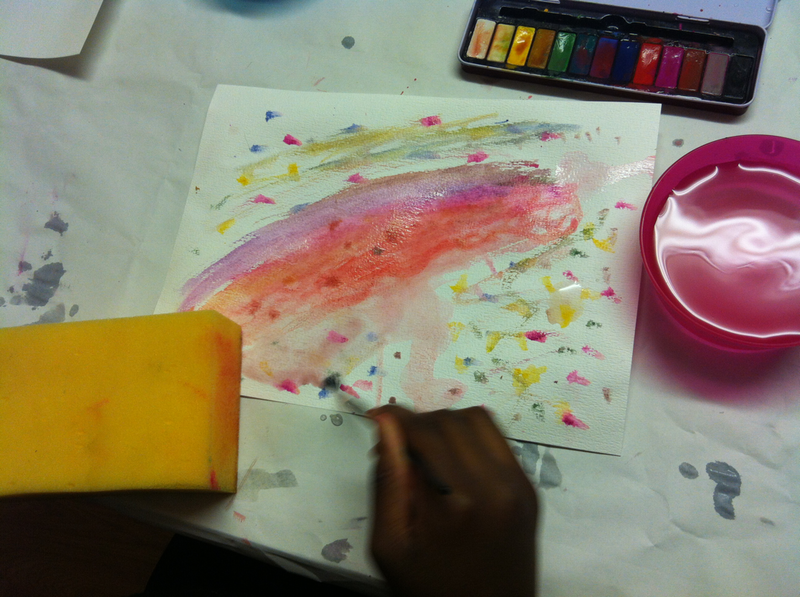 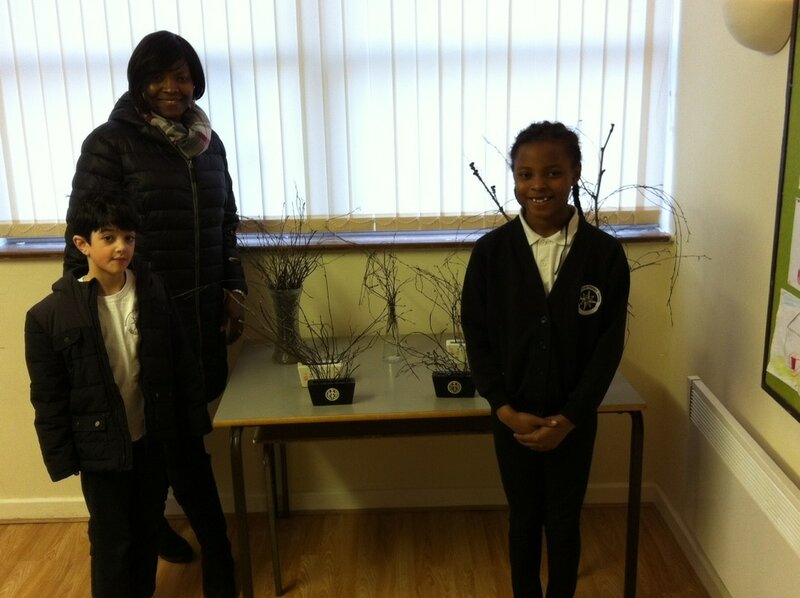 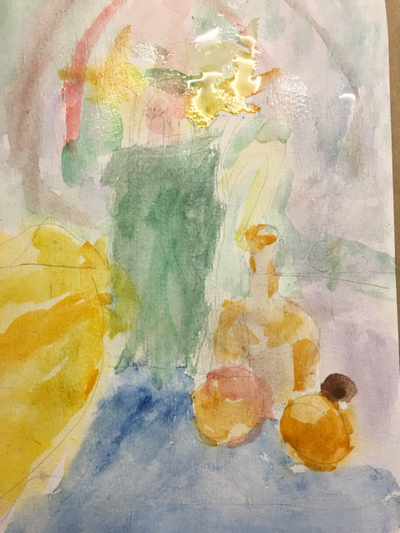 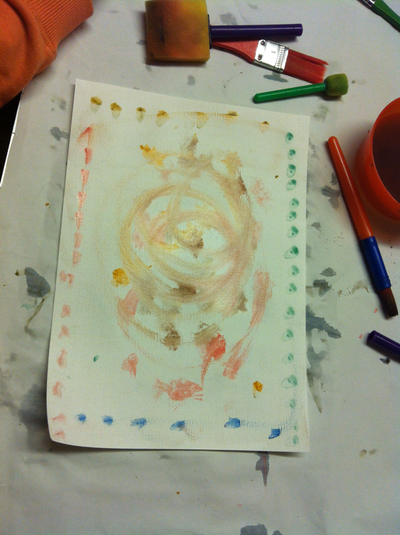 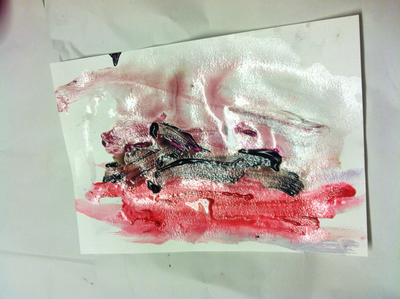 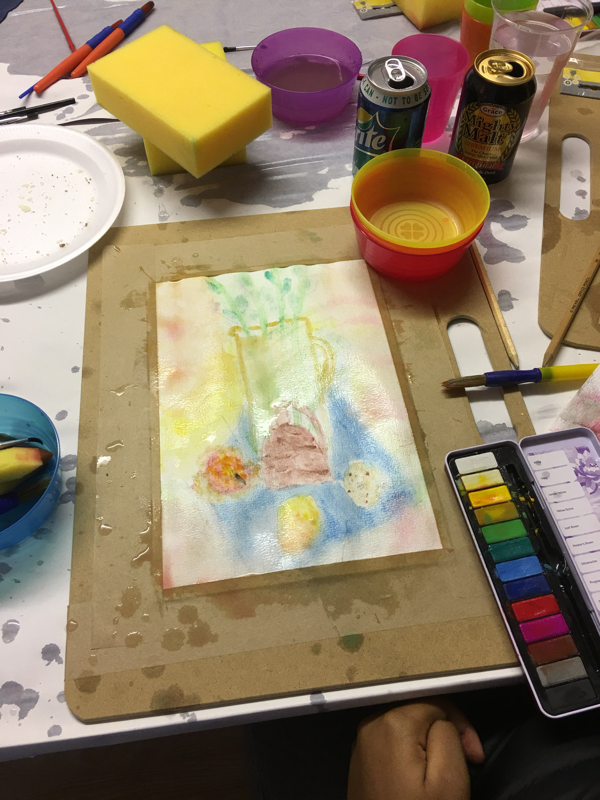 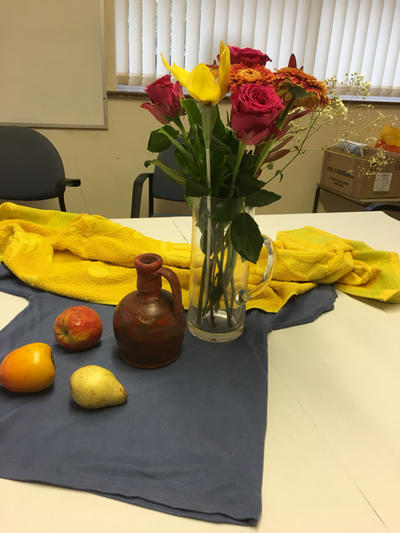 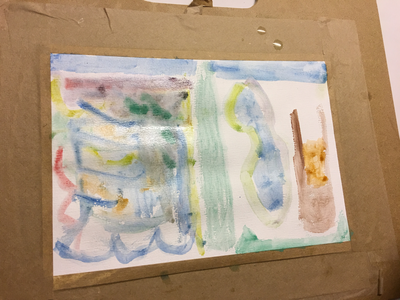 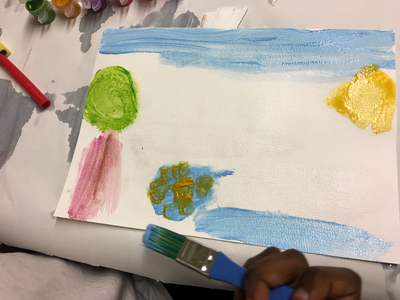 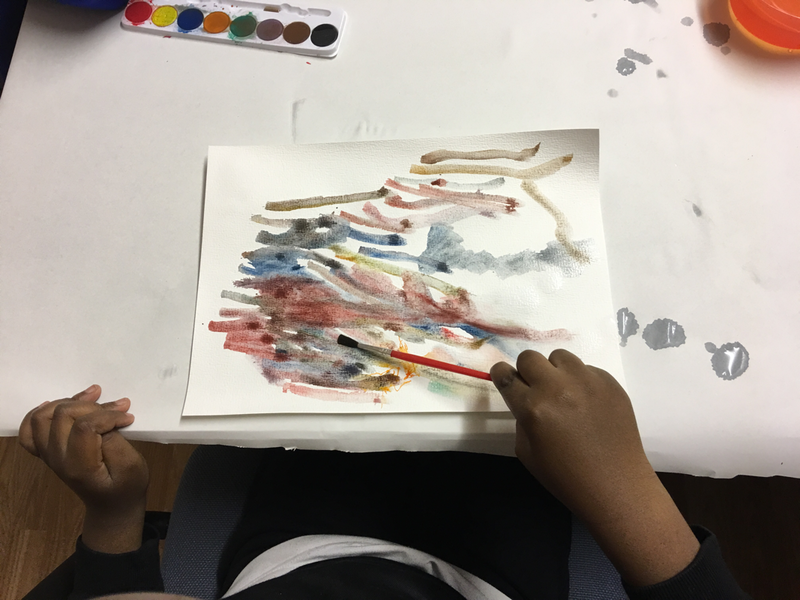 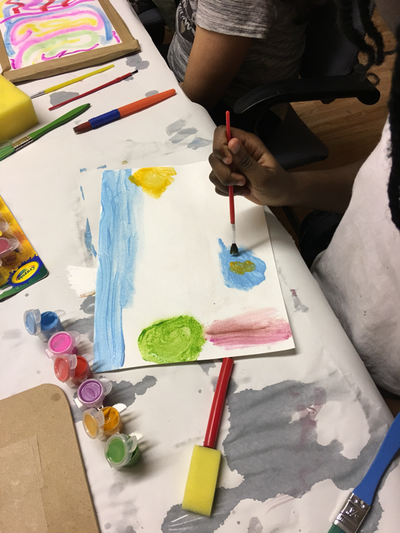 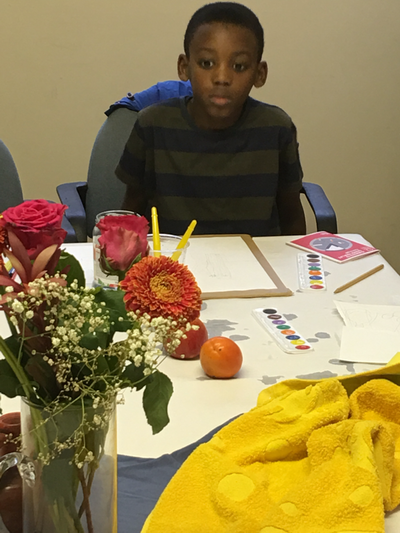 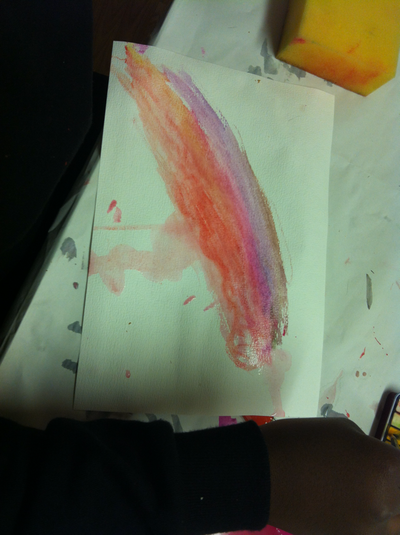 From our mini-art group, Ogochukwu and Hirad were so kind to make these Lenten compositions for us. 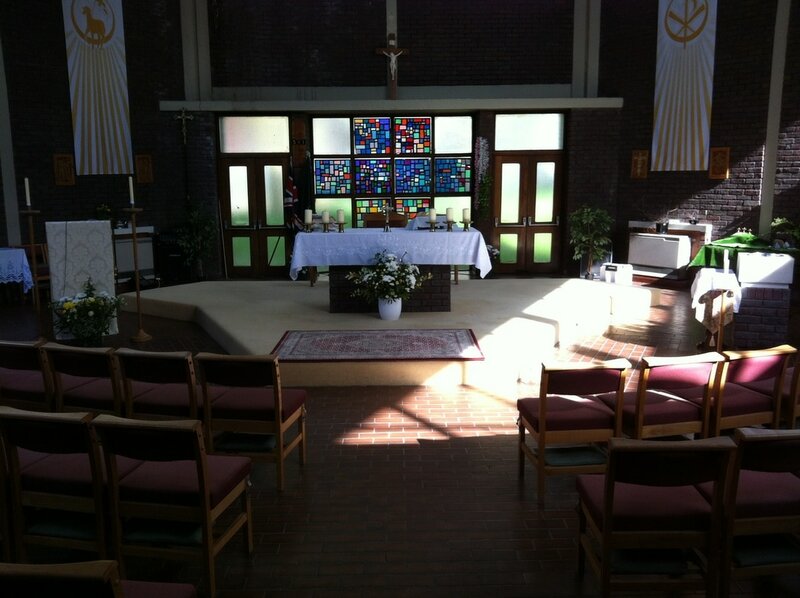 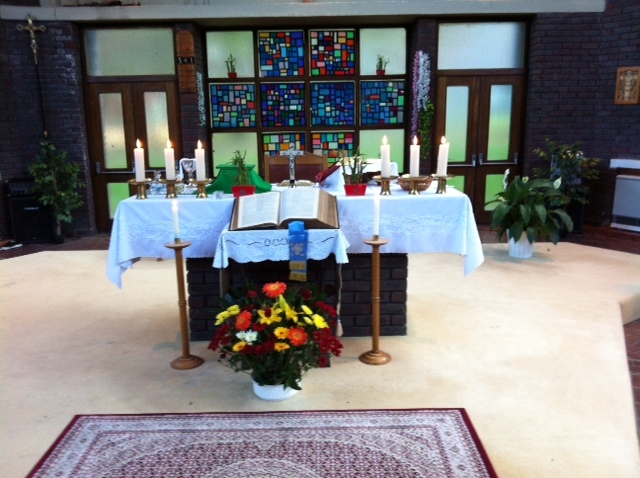 Now, our main altar in the church and our chapel looks so so nice! Like a 'Lenten zen-garden'.... these mini-sculptures offer a profound meditation on the divine-sparks permeating all creation... They draw our attention to the task of spiritual renewal and rebirth through our conversion to Our Lord, Jesus Christ! 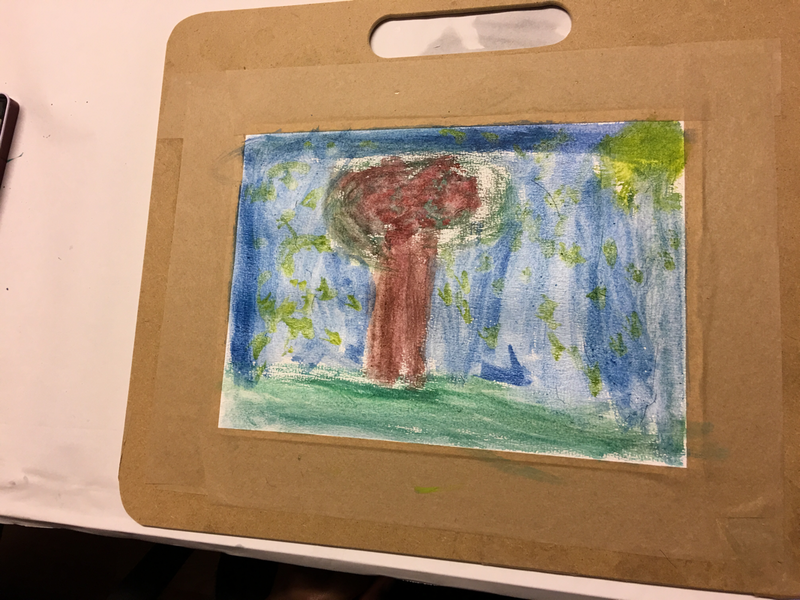 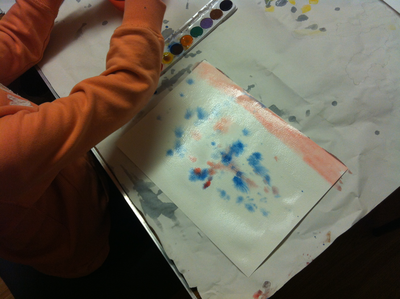 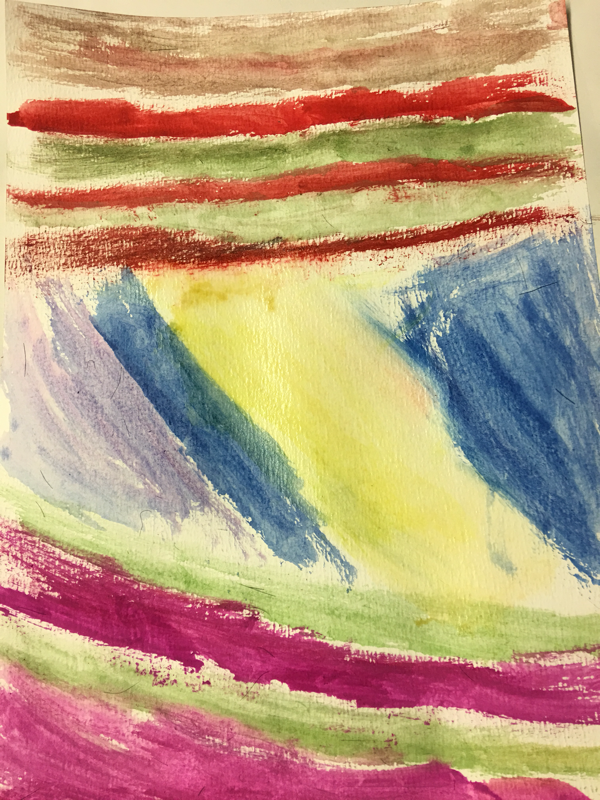 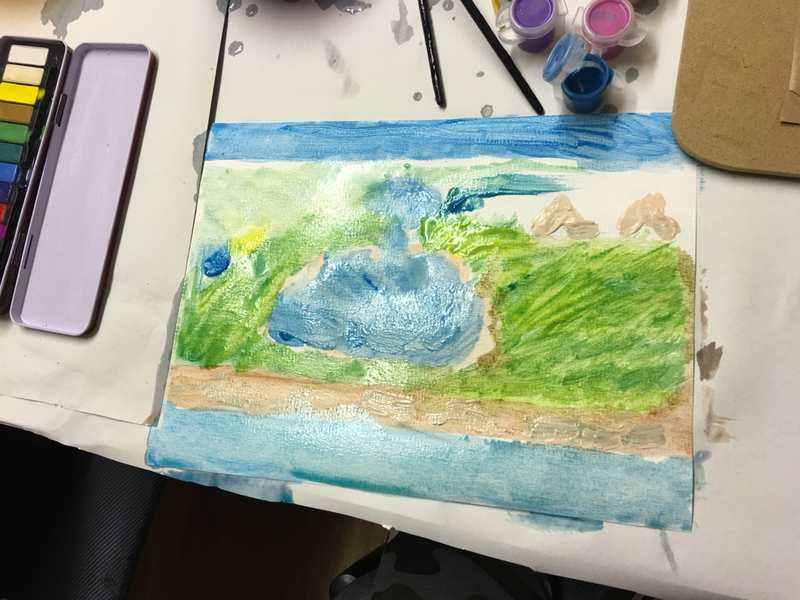 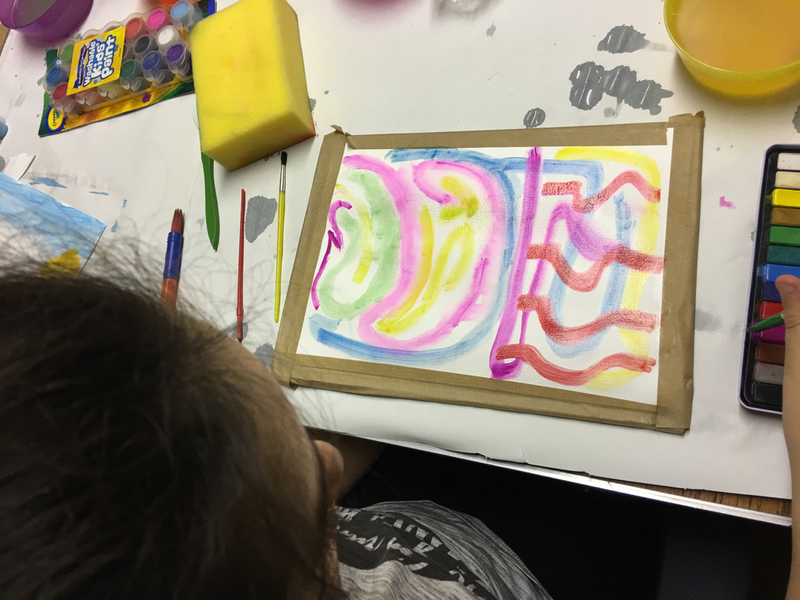 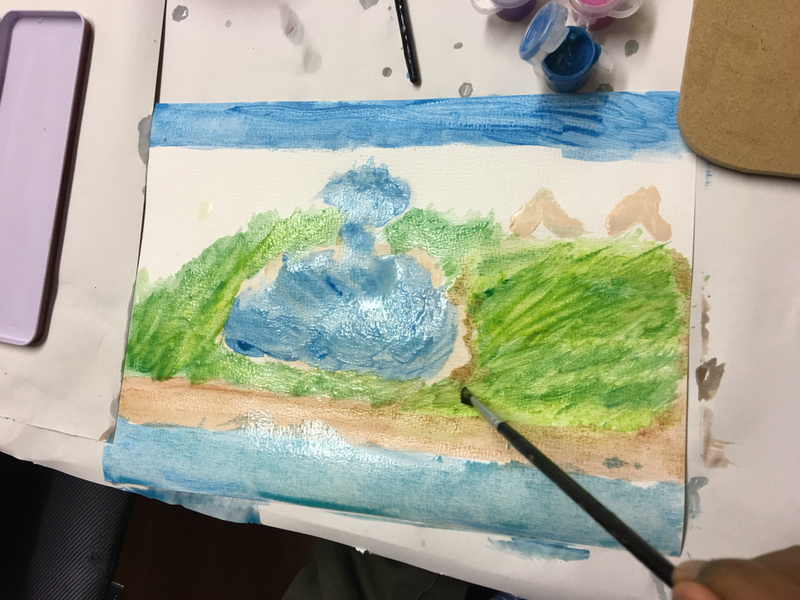 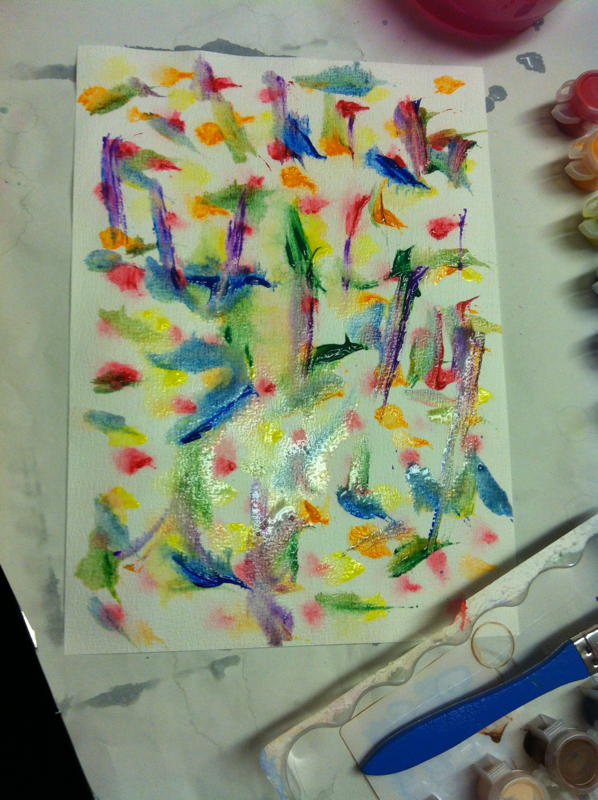 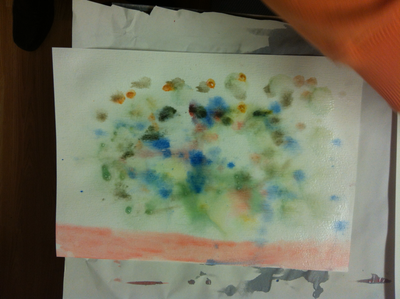 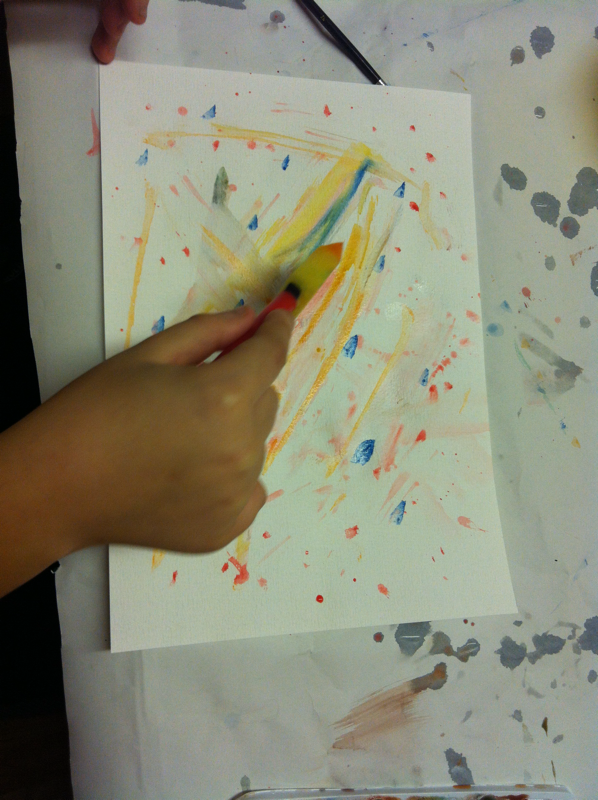 Thank you little artists! 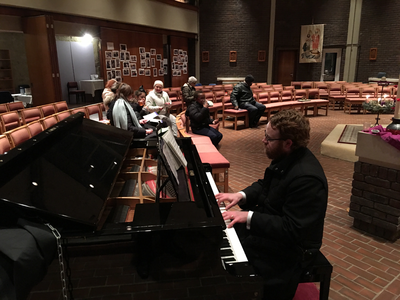 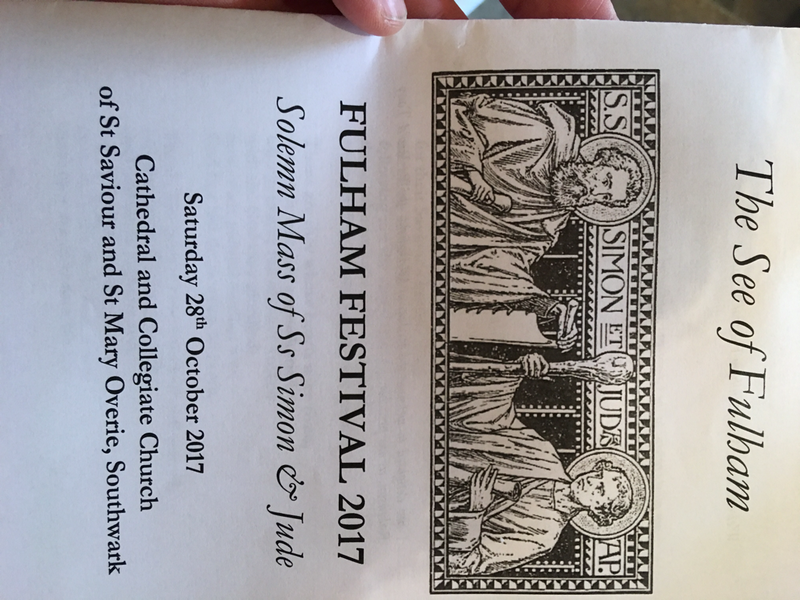 We very much enjoyed this funny musical with Fr Alex at the keyboards (You cannot see him). 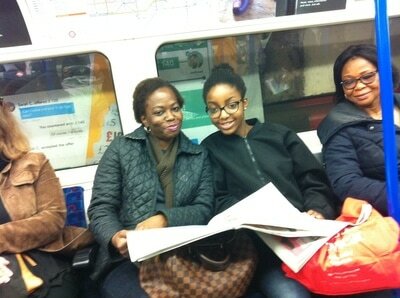 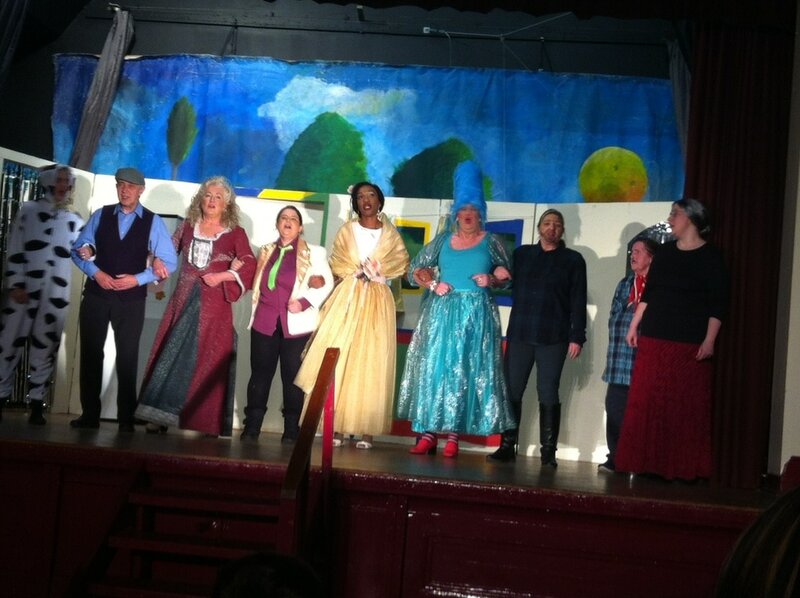 We thoroughly enjoyed ourselves and the show. Thelma had a lucky hand, he won a big box of chocolate and a nice bottle of Italian wine, which she offered for the congregation. 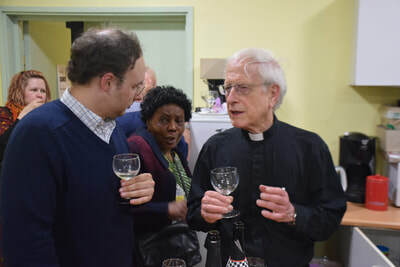 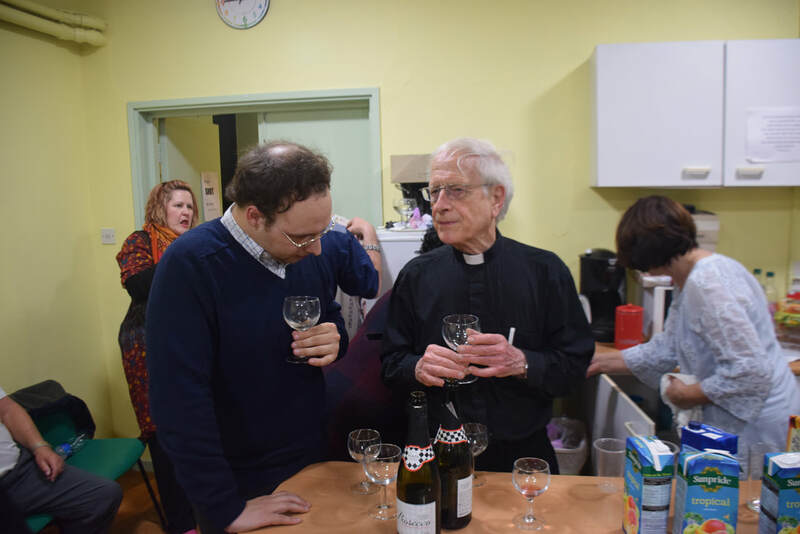 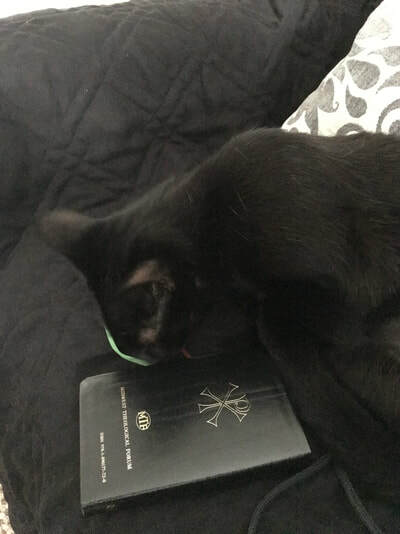 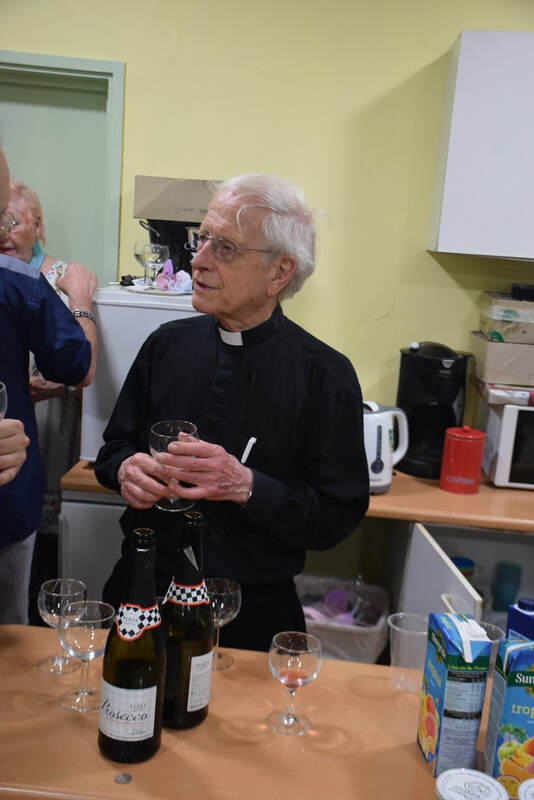 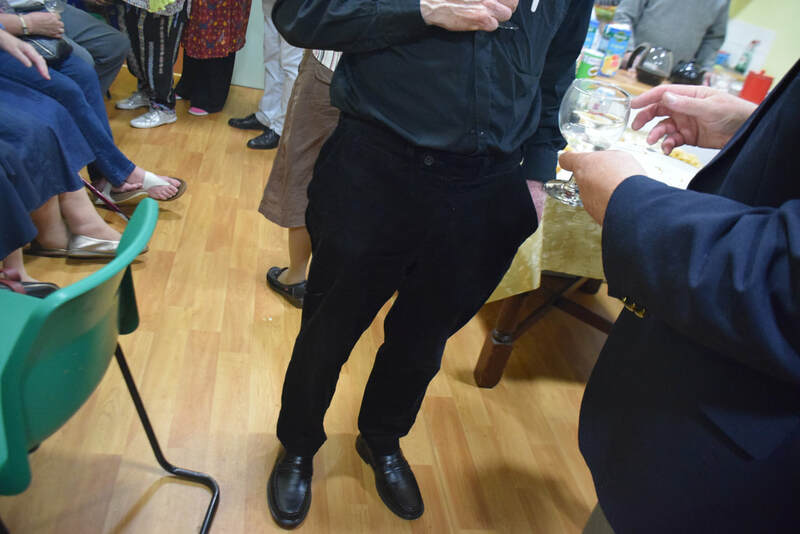 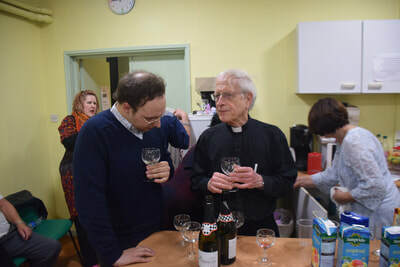 Knowing our community's taste for good wine (unlike our priest, Fr Joseph, who prefers dry white wine), Father Joseph will use it as a communion wine on the upcoming Sundays. 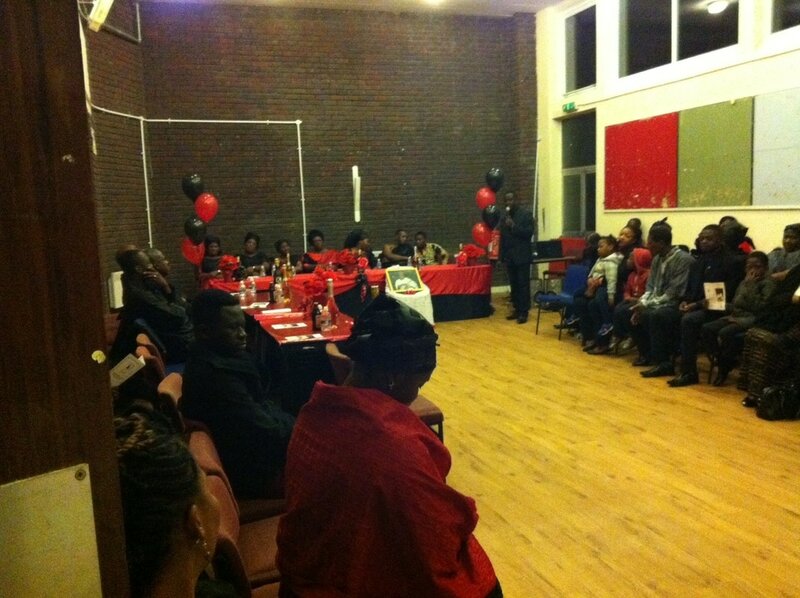 The night was a great fun! 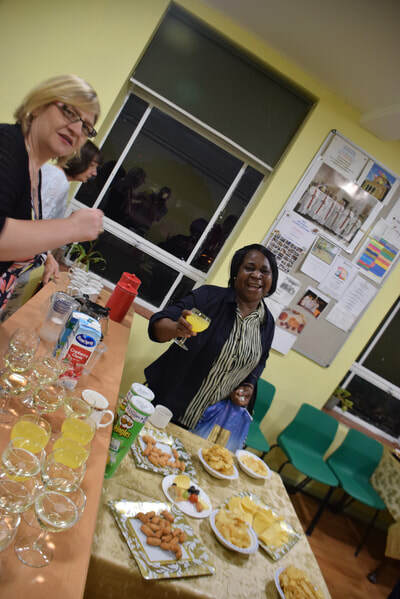 Plus, we really enjoyed our sandwiches and drinks! 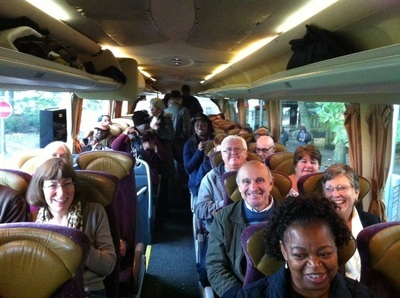 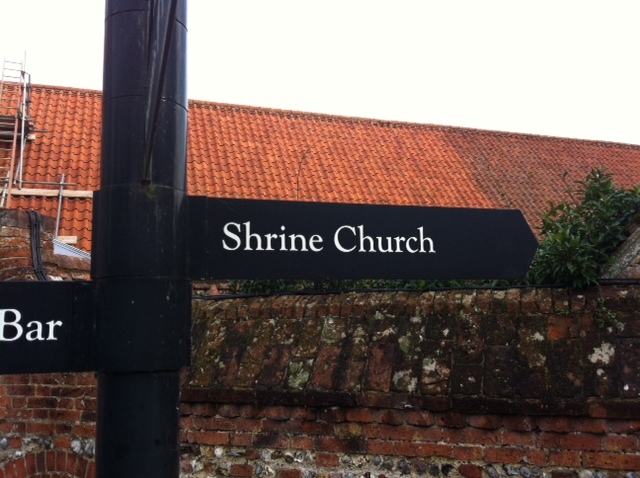 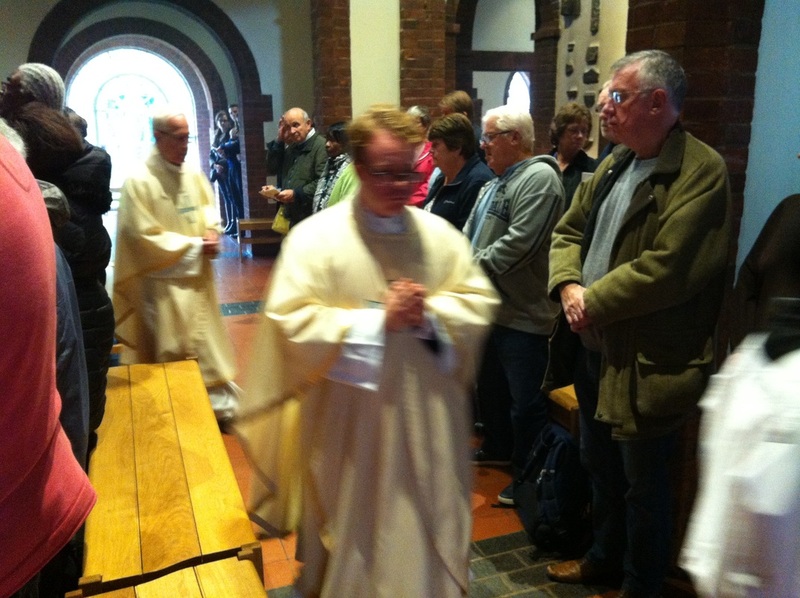 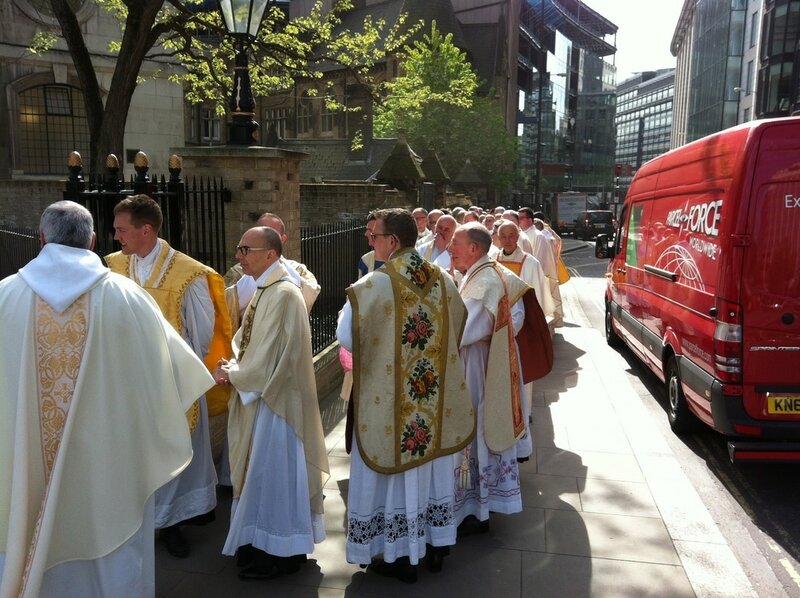 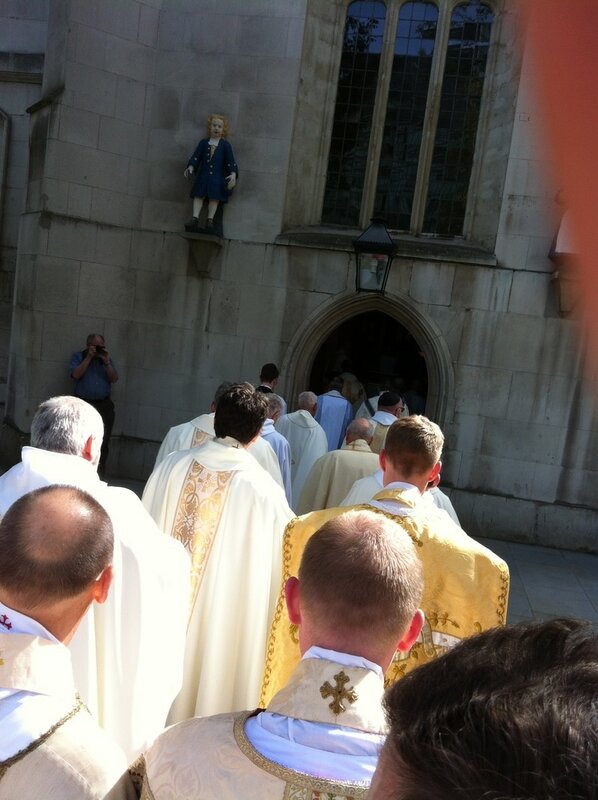 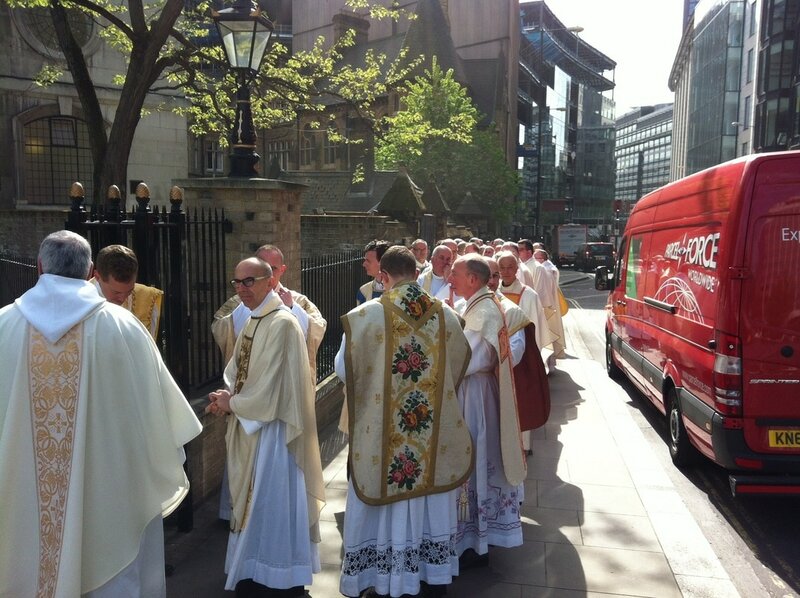 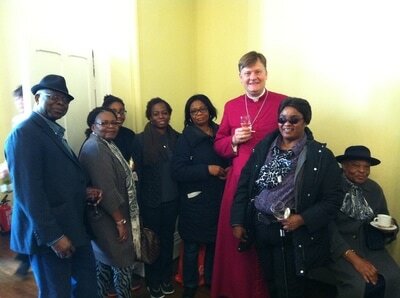 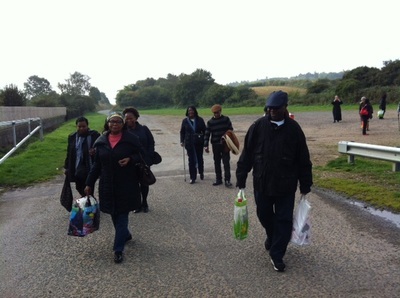 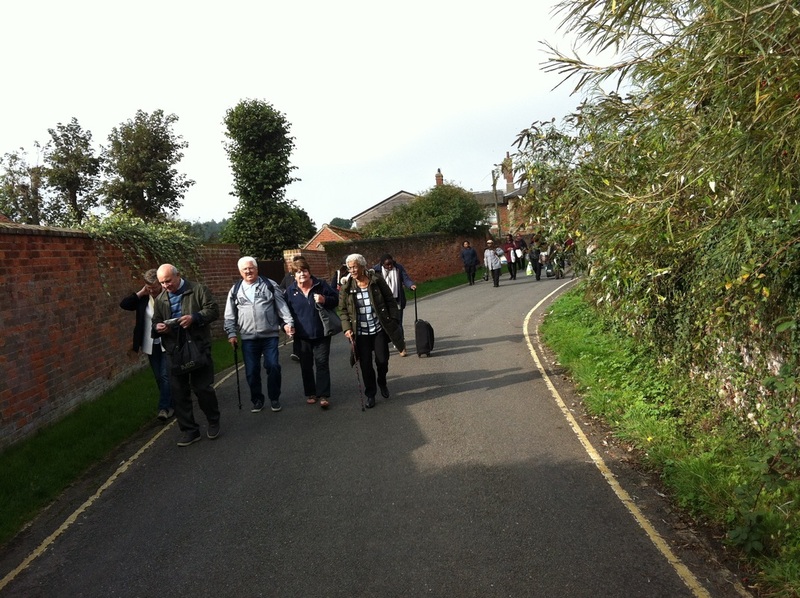 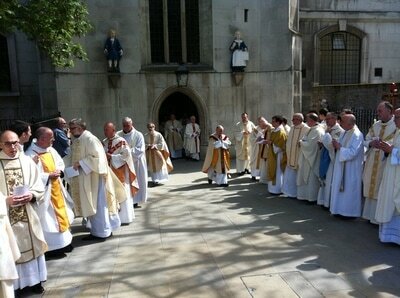 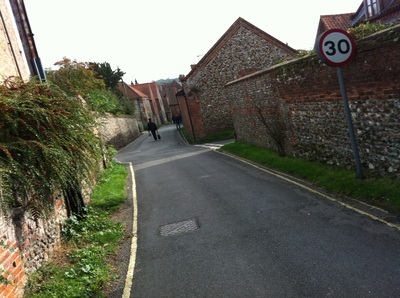 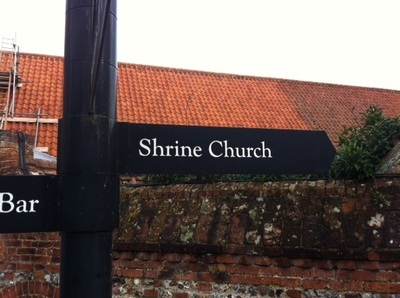 The people of St Augustine's and St Alphage had this pilgrimage together as our parish-pilgrimage. 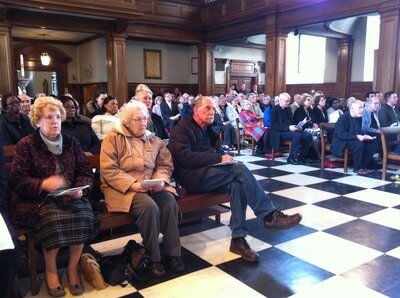 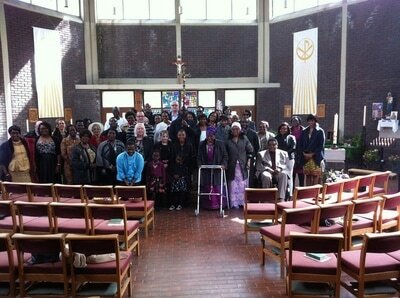 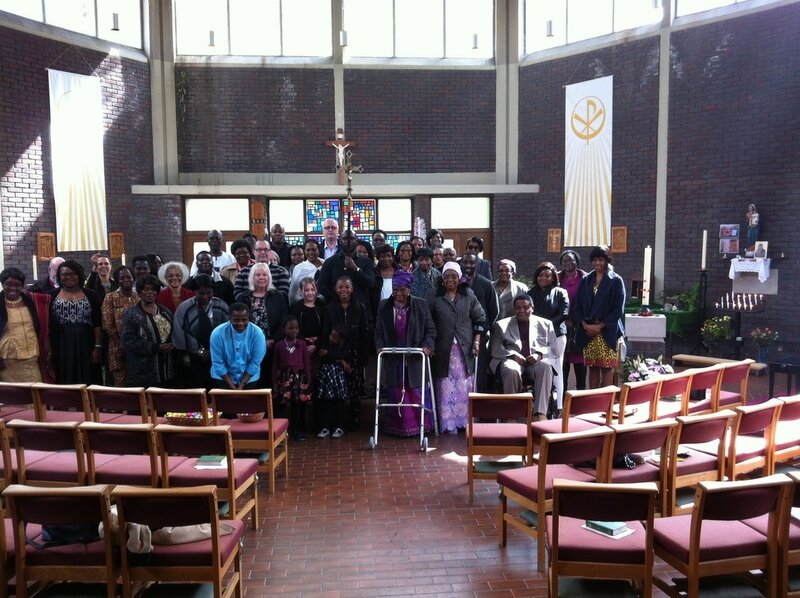 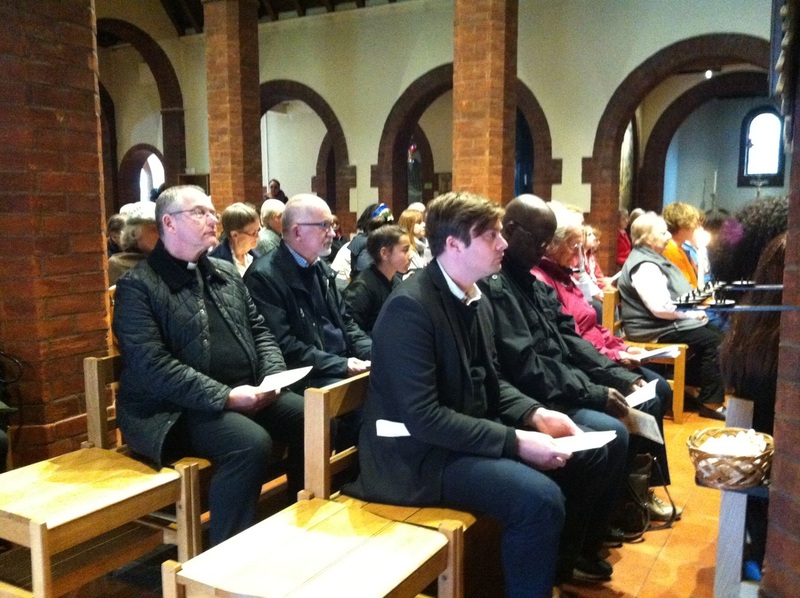 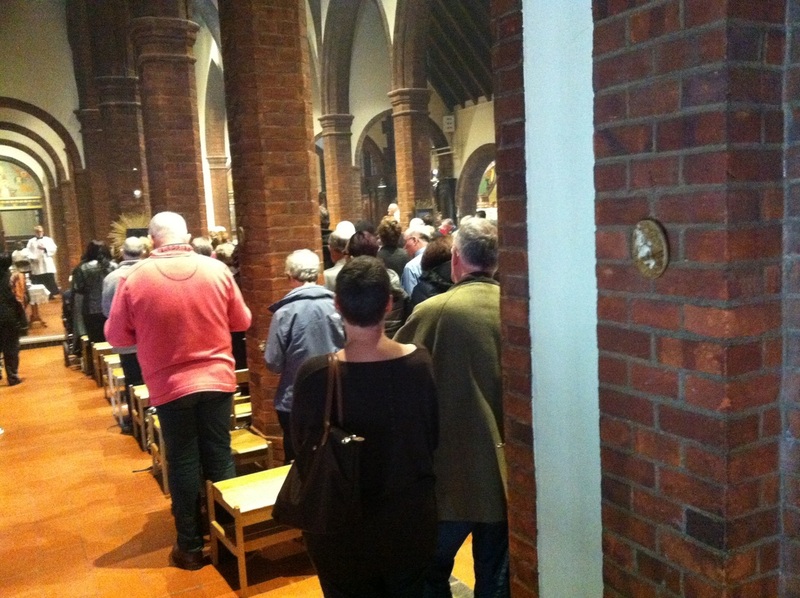 We dedicated this prayerful journey to the successful redevelopment of St Augustine's (when it time comes). 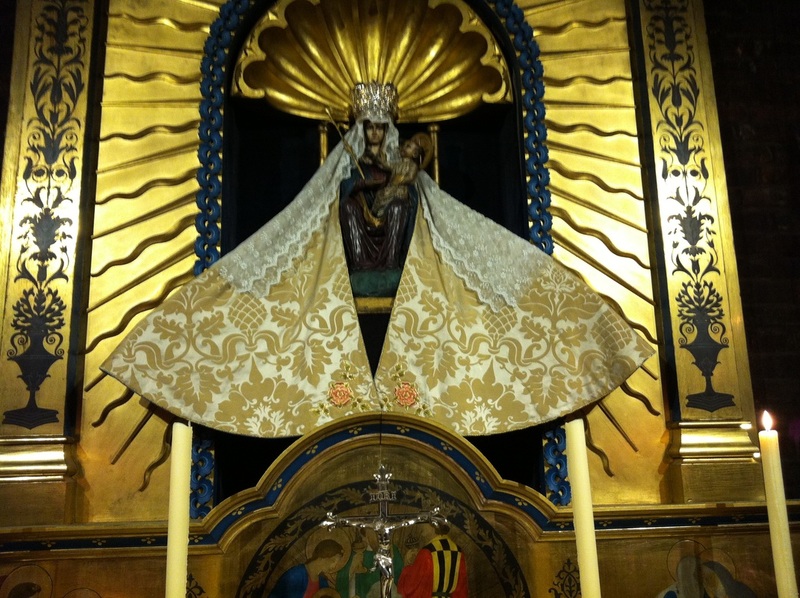 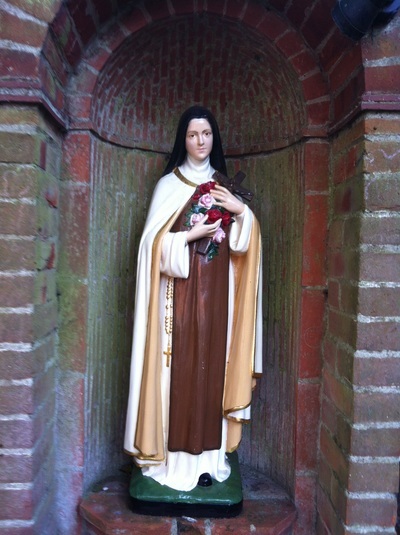 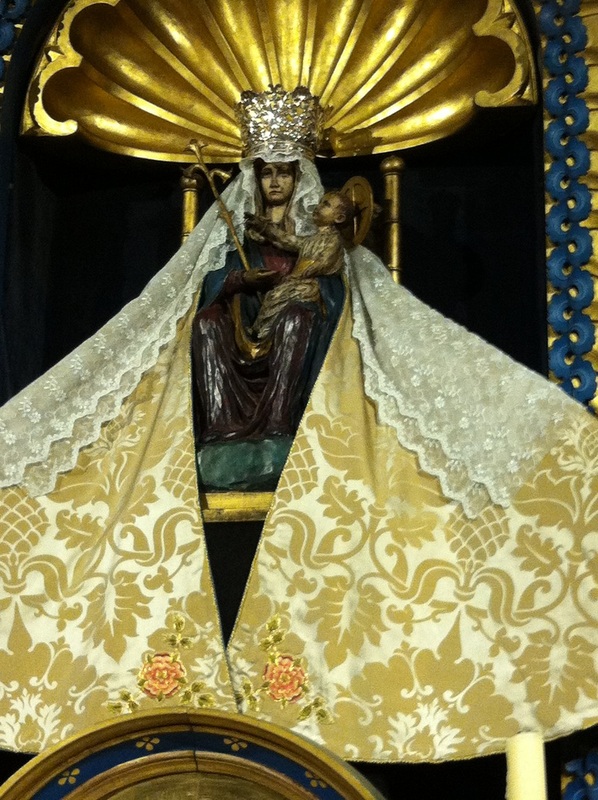 We asked for the patronage of Our Lady to help all those who are involved in the project. Besides, we had lots of fun and happy moments on this beautiful Autumn day. 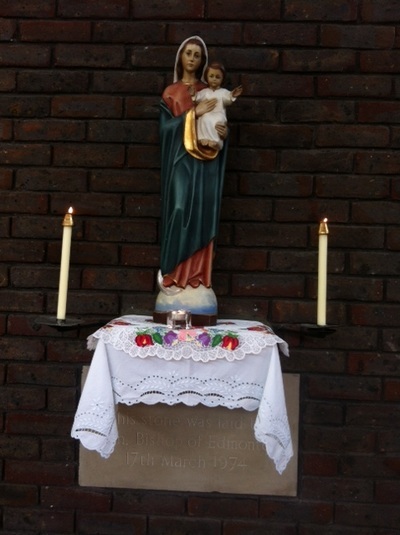 7 September 2016. 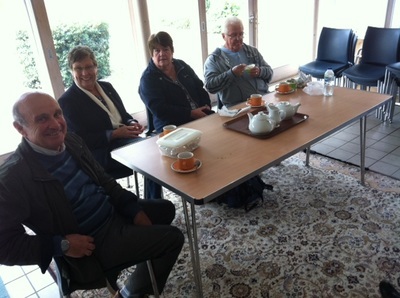 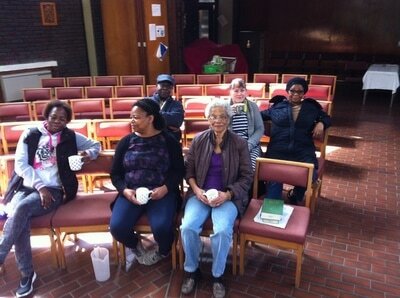 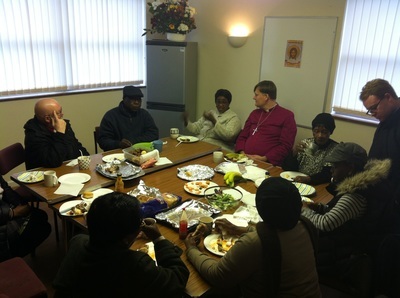 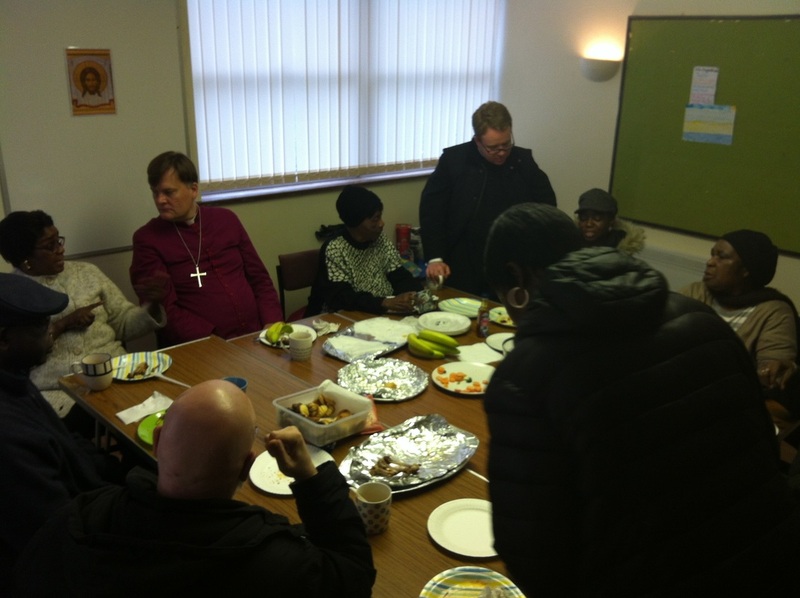 Our Wednesday after mass tea and lunch. 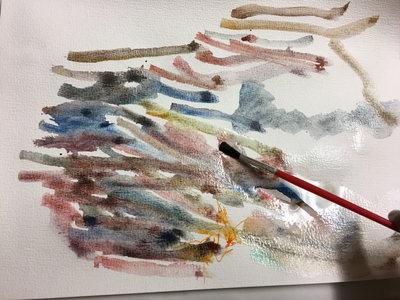 24-31 July 2016. 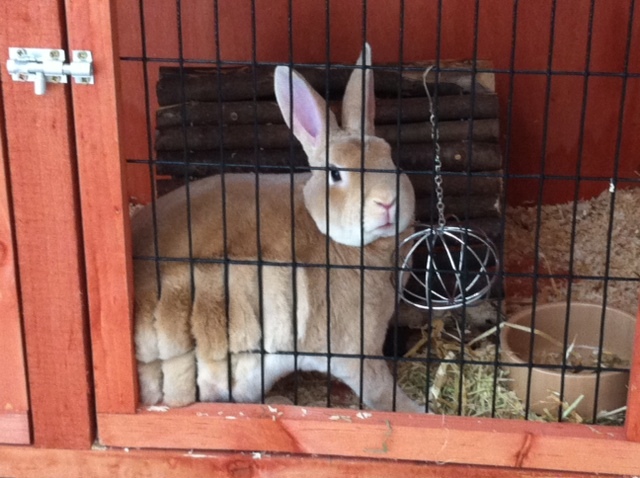 A very special guest in St Augustine's Clergy House is Mr Lolek (Krulig), Anna's rabbit. 22 May 2016. 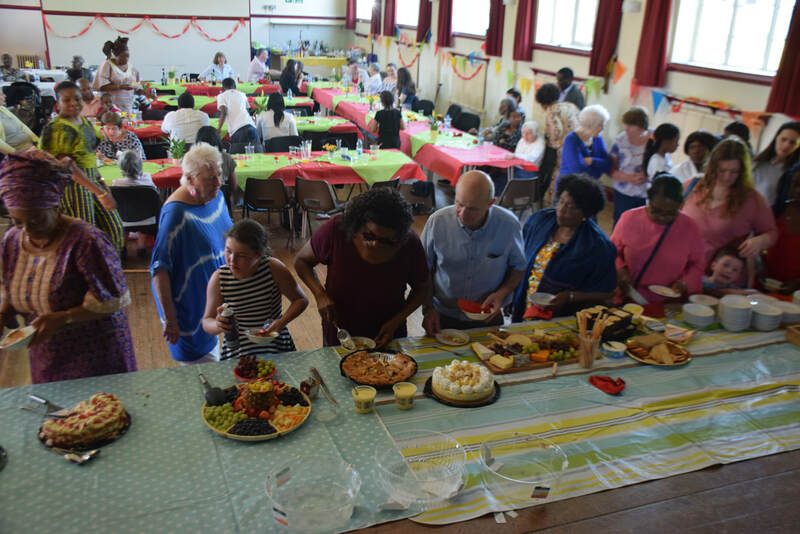 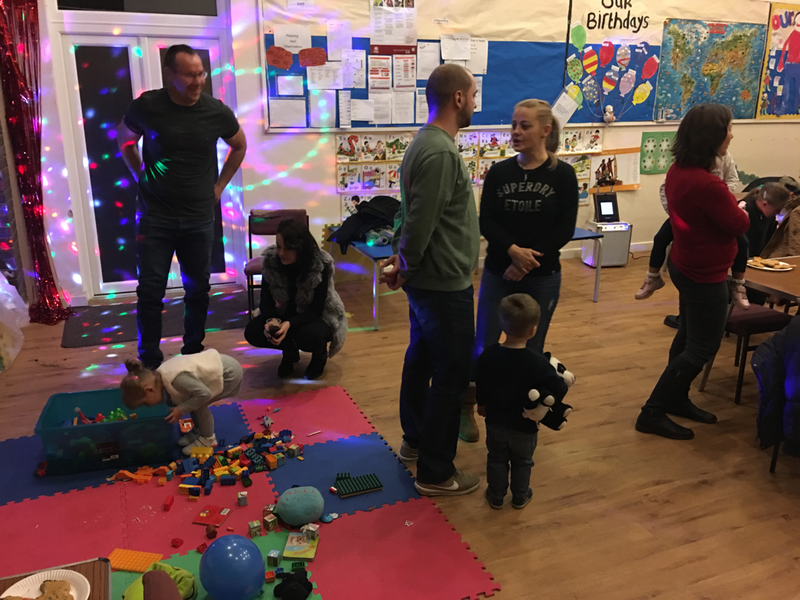 A summer celebration event at The Pulse Development. 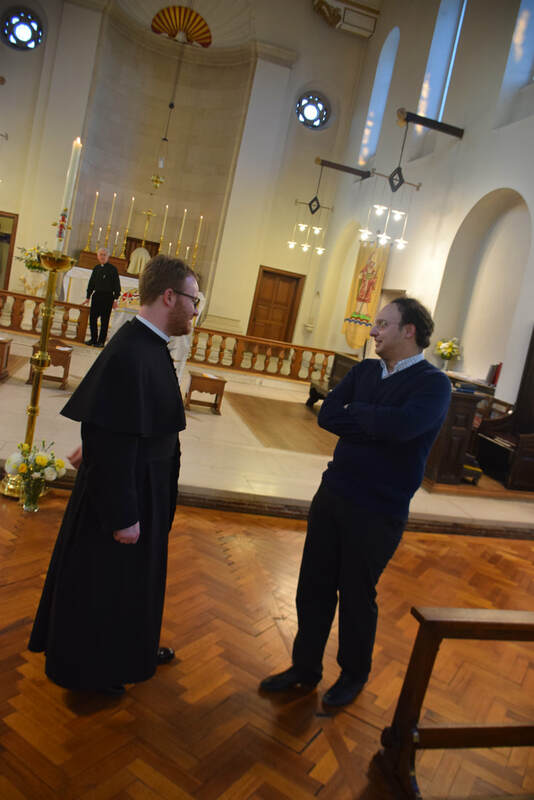 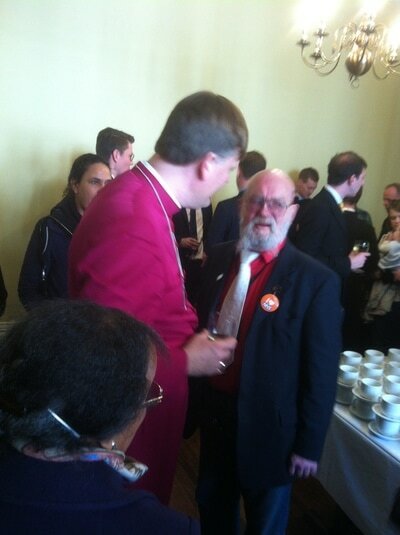 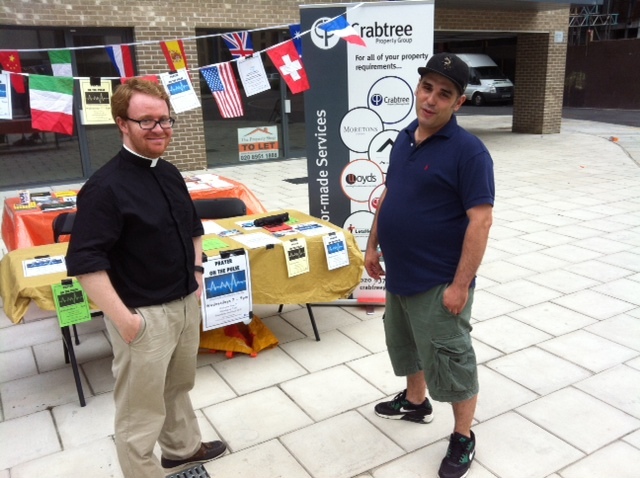 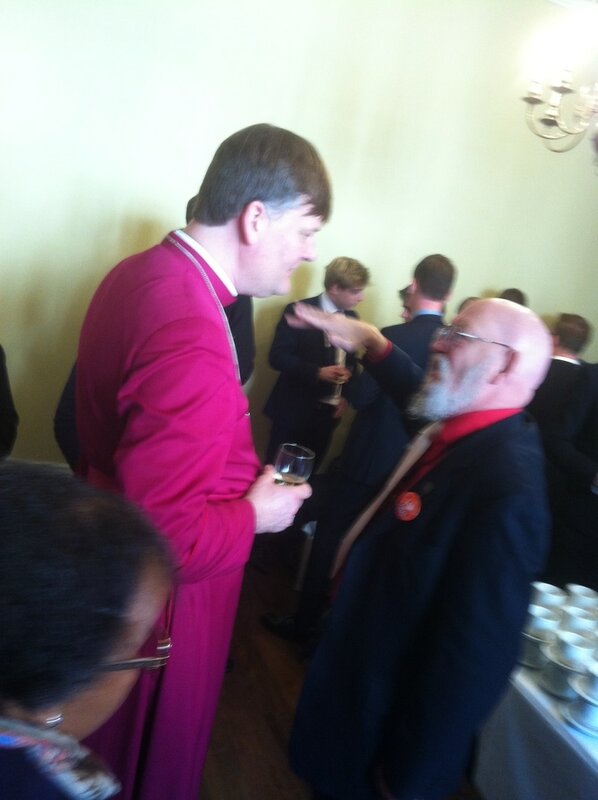 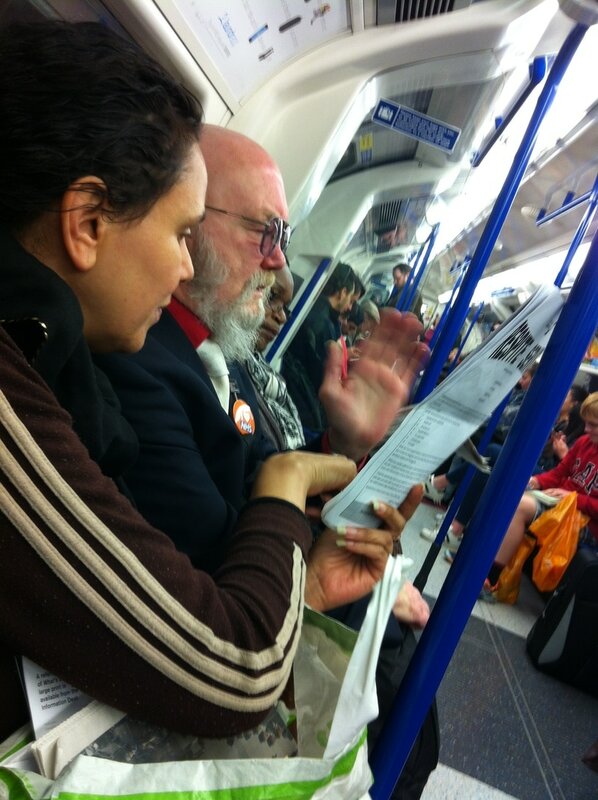 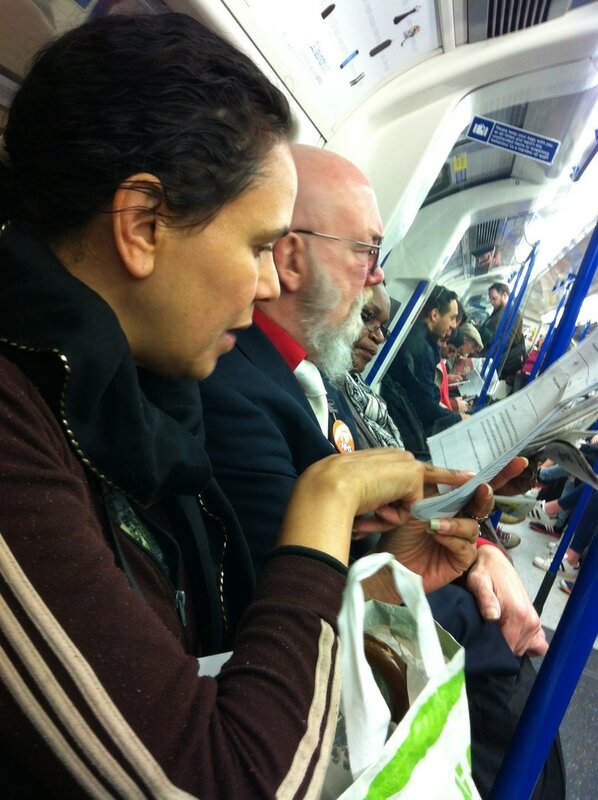 Father Alex and Graziano (the manager of the best Pizzeria in Colindale) are discussing the issues of life.... 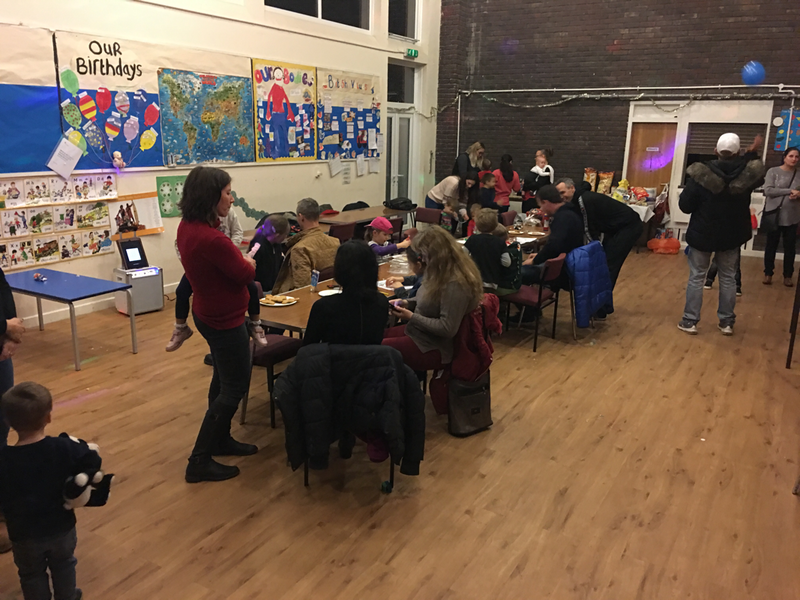 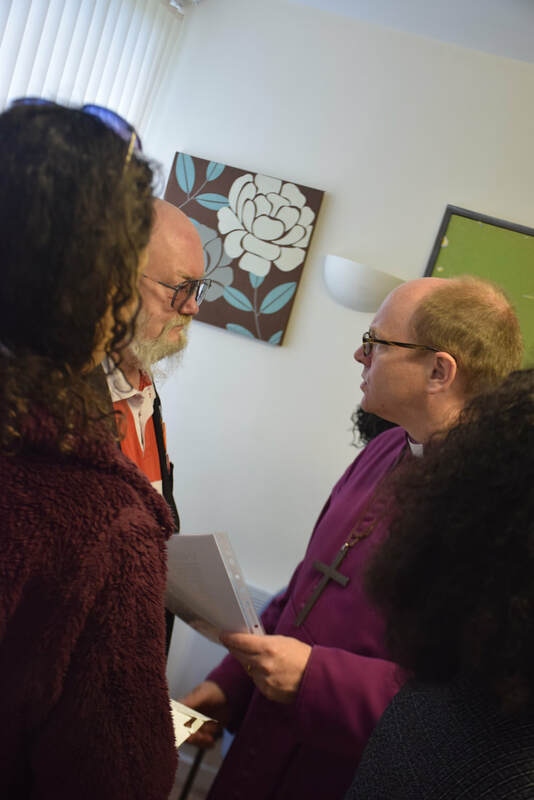 In Pulse community flat, on Wednesdays from 7-9, we have our Christian fellowship group.... As the mini-missionary wing of St Augustine's and St Alphage. 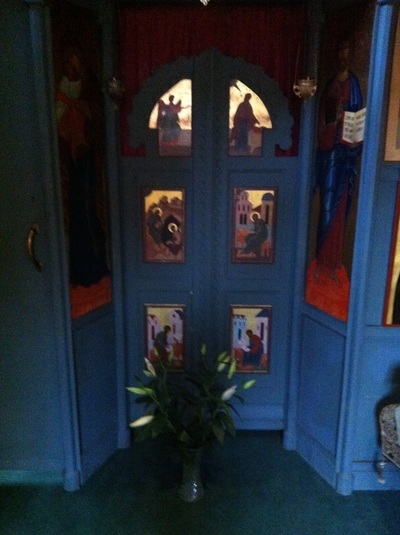 1 May 2016. One of those parish portraits. 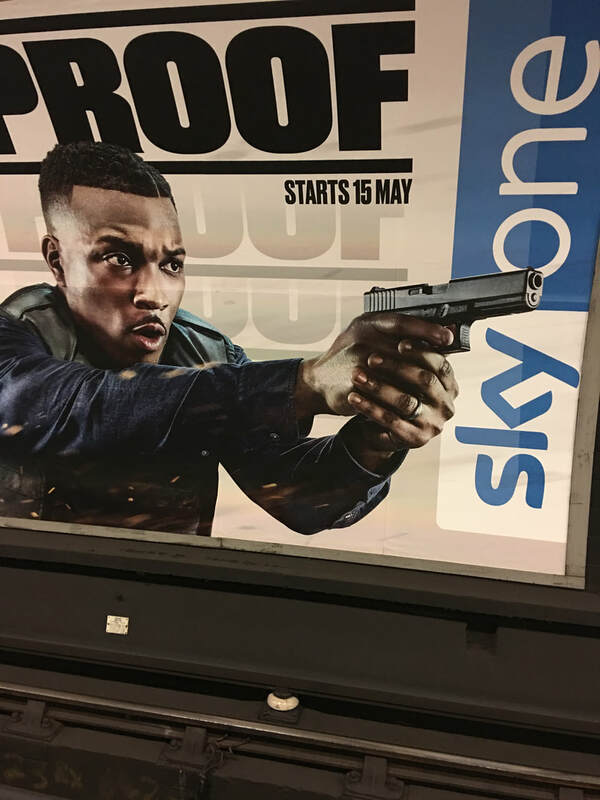 25 April 2016. 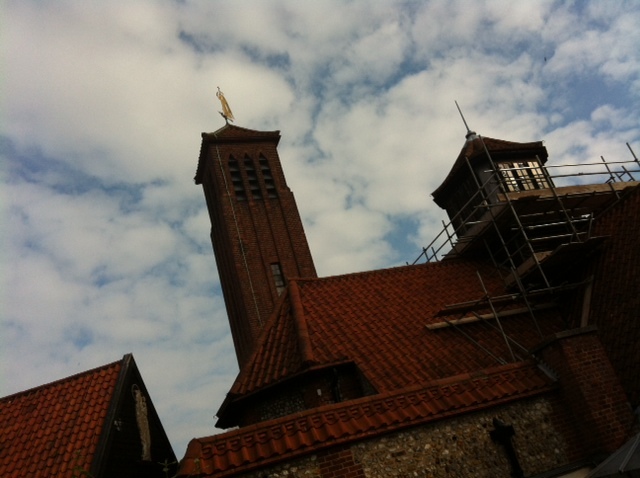 Fr Hugh is (bravely) inspecting the works on our flat roof. 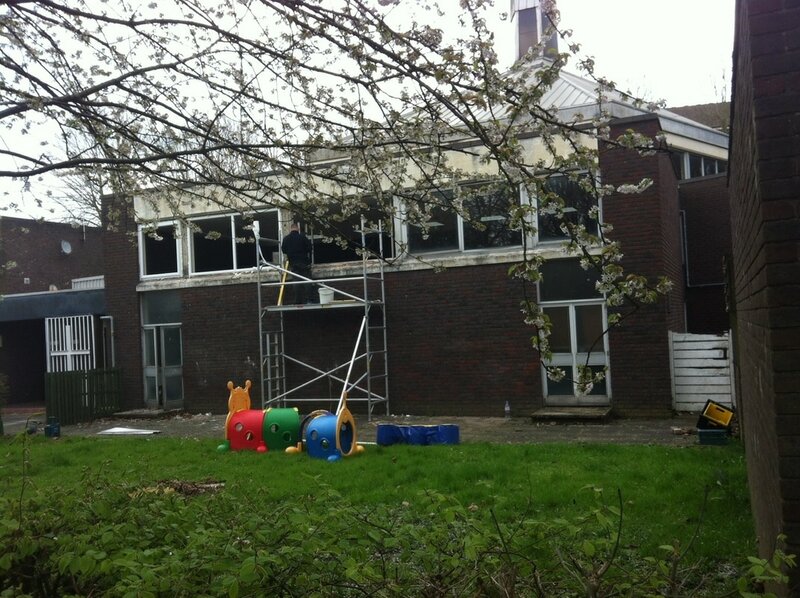 Since everything has been watertight! 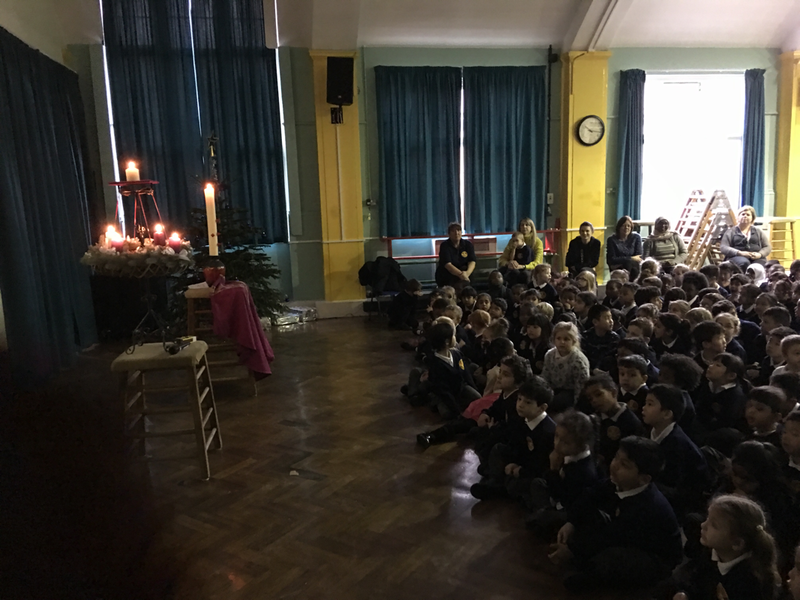 A miracle! 15 March 2016 Joint Stations of the Cross. 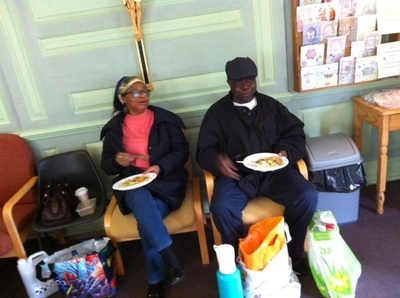 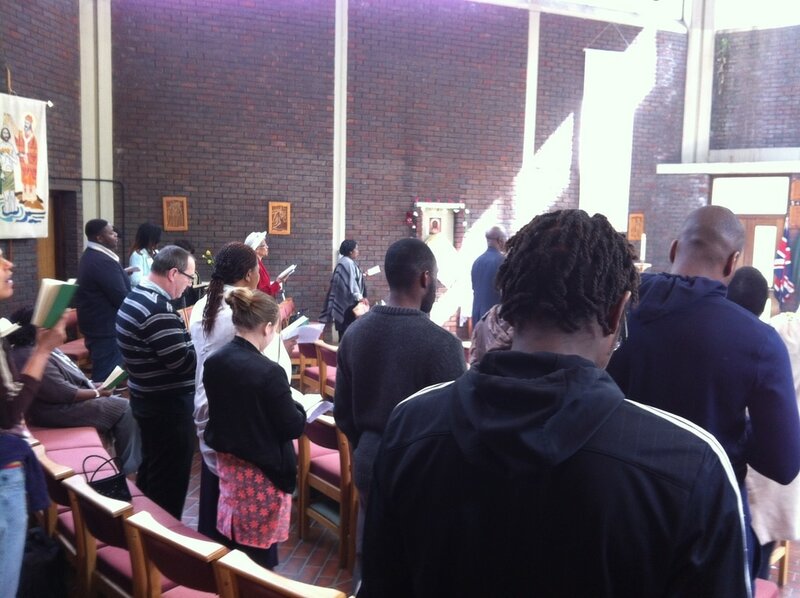 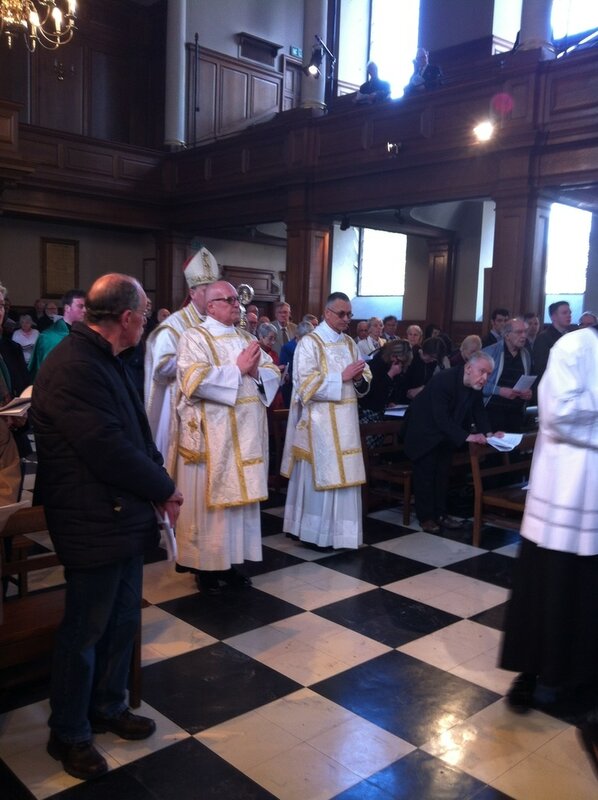 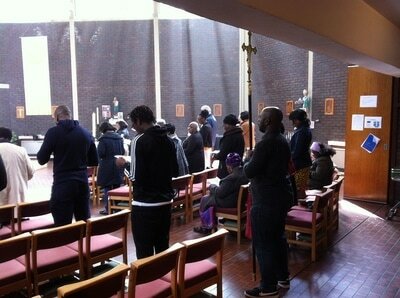 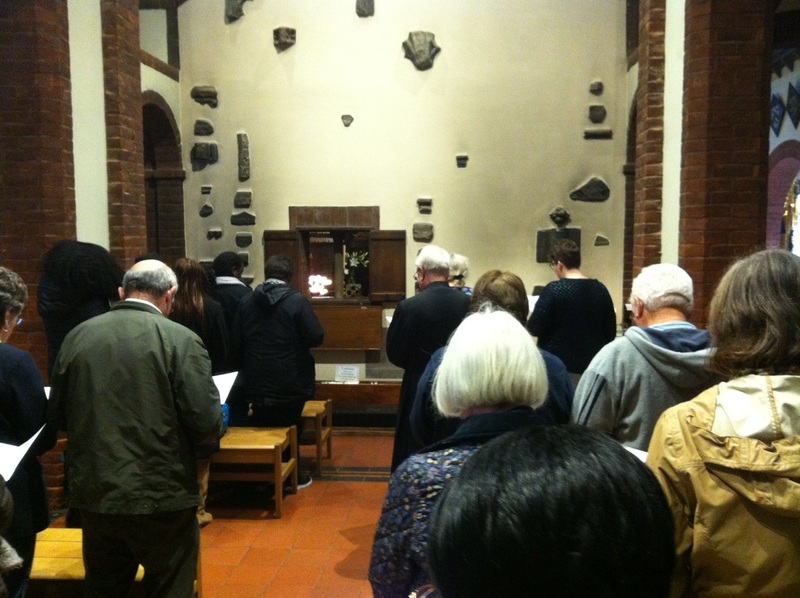 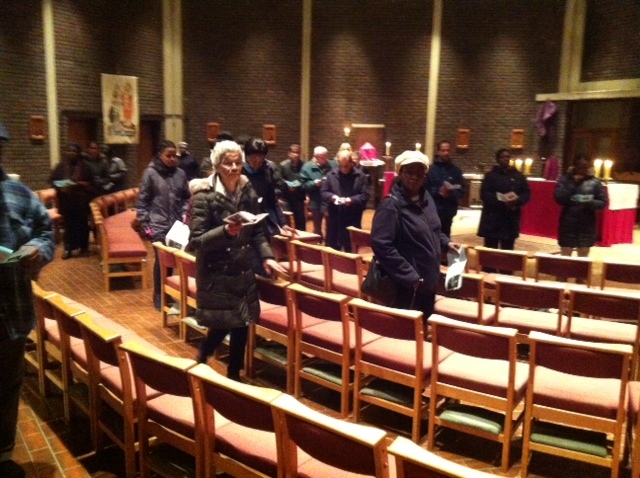 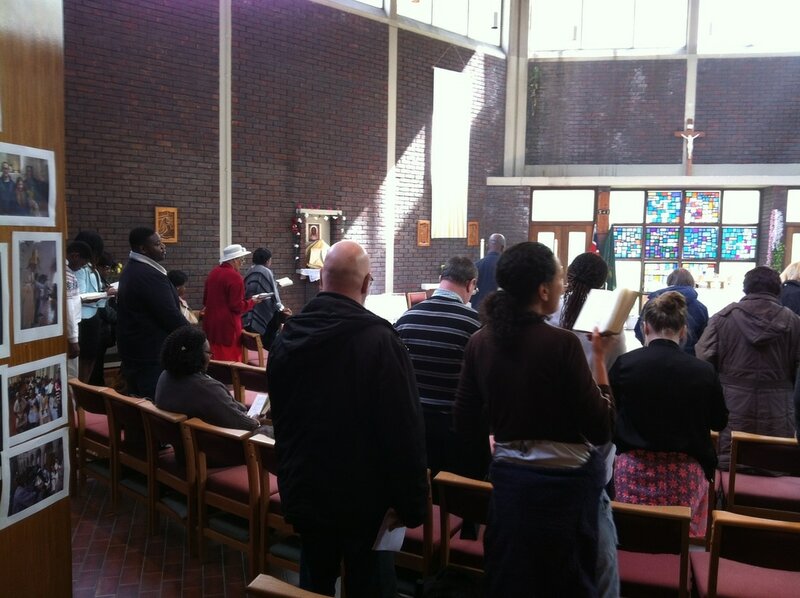 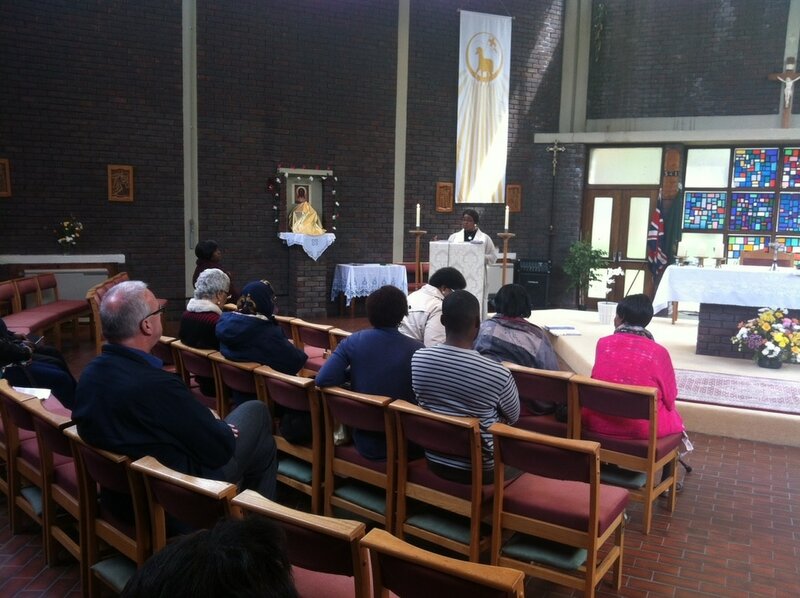 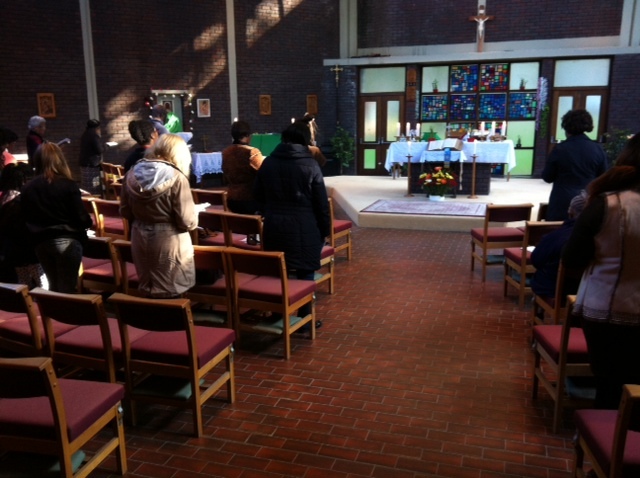 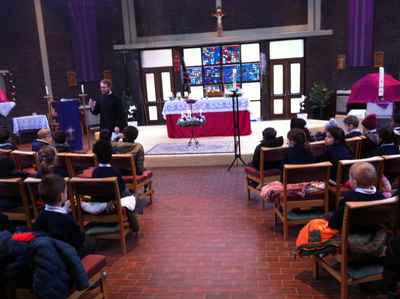 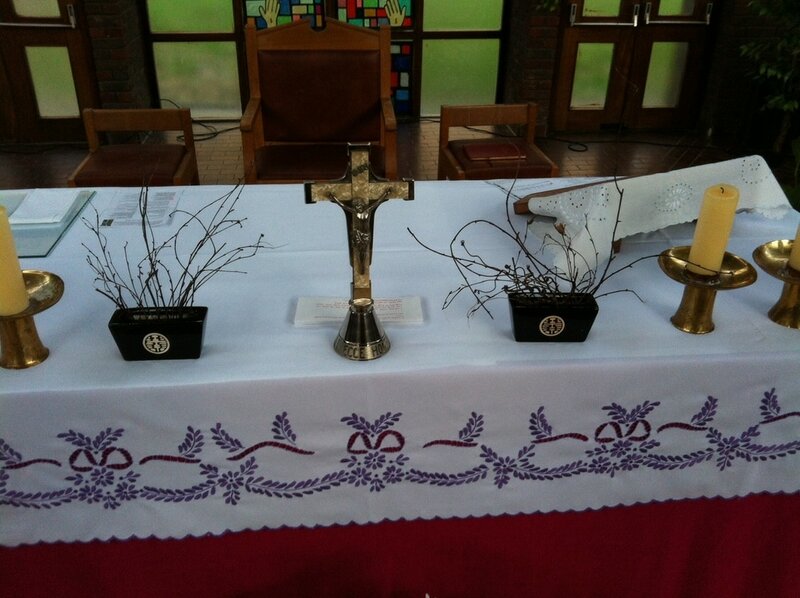 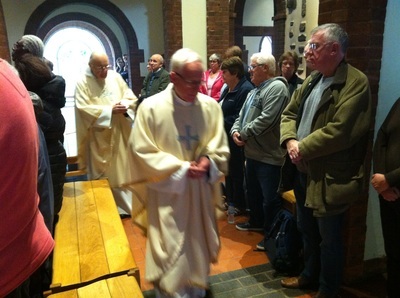 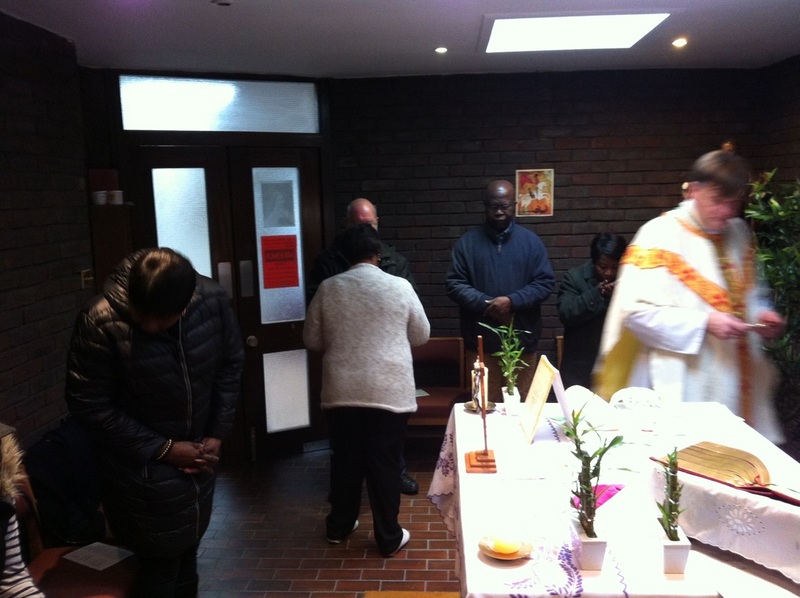 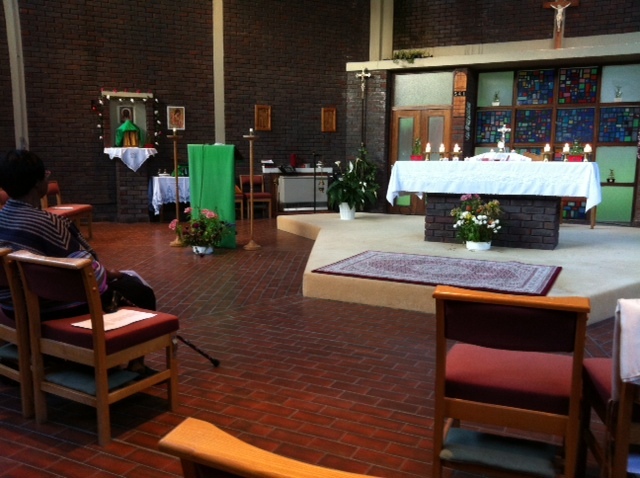 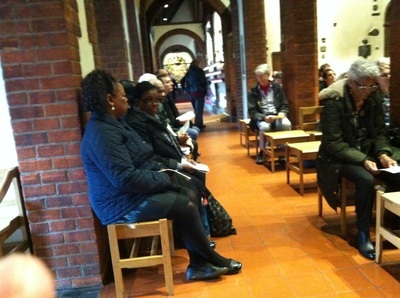 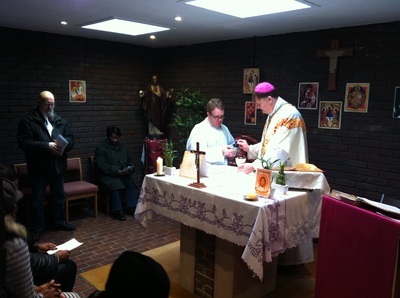 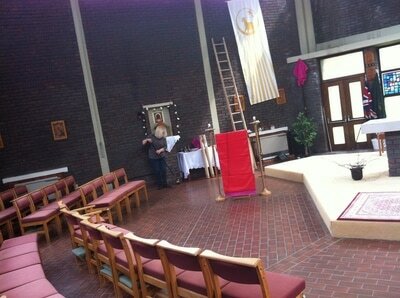 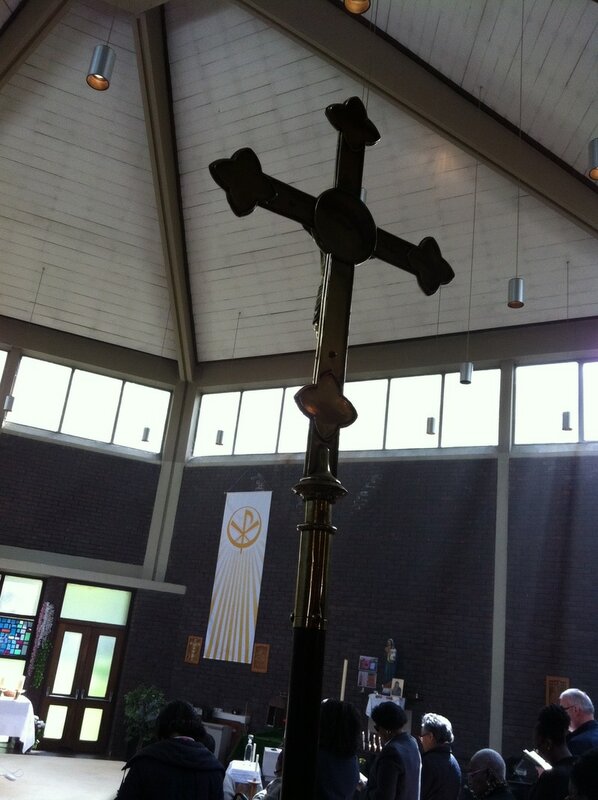 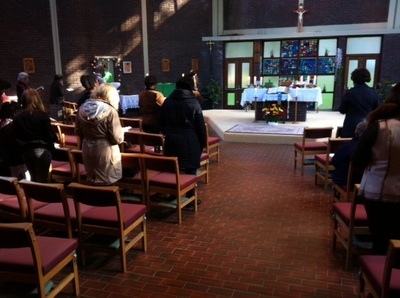 This week, it was our turn here at St Augustine's to host our joint Stations of the Cross. 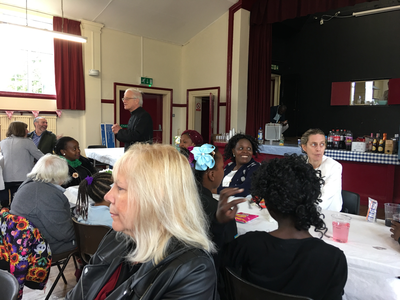 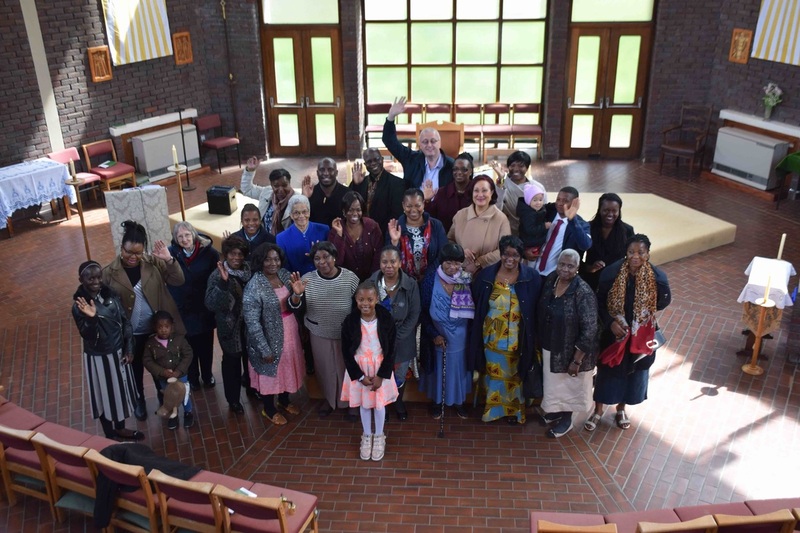 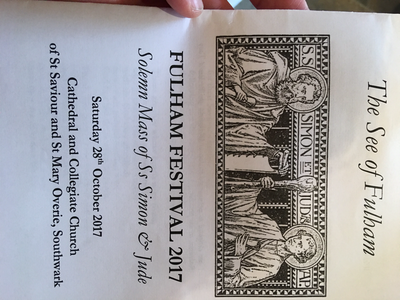 It was a privilege to welcome our Roman Catholic brothers and sisters with Father Brian from St Margaret's of Clitherow, Grahame Park. 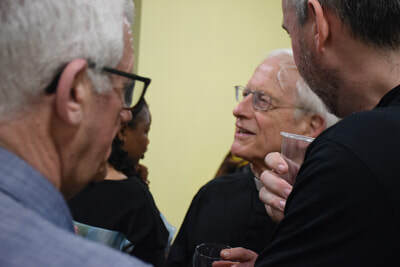 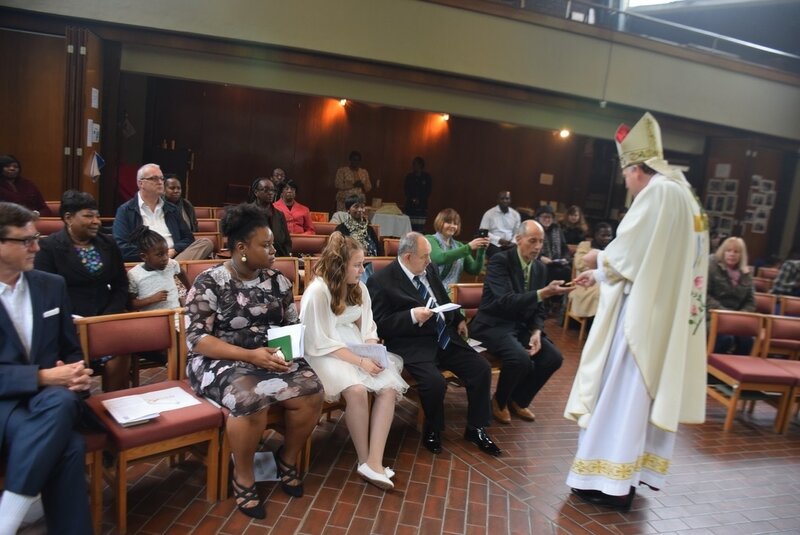 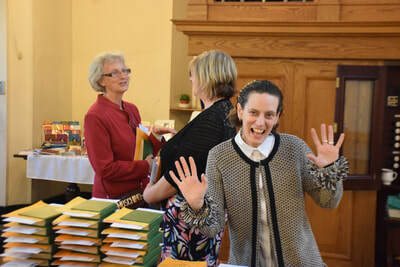 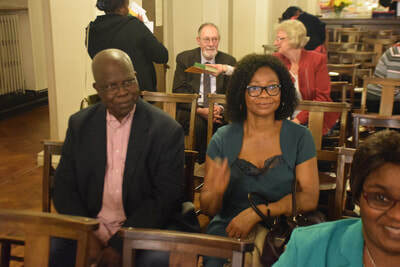 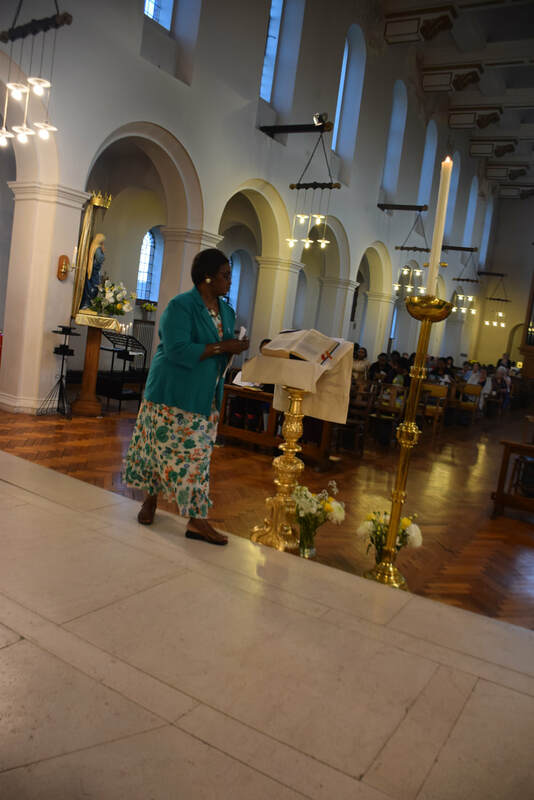 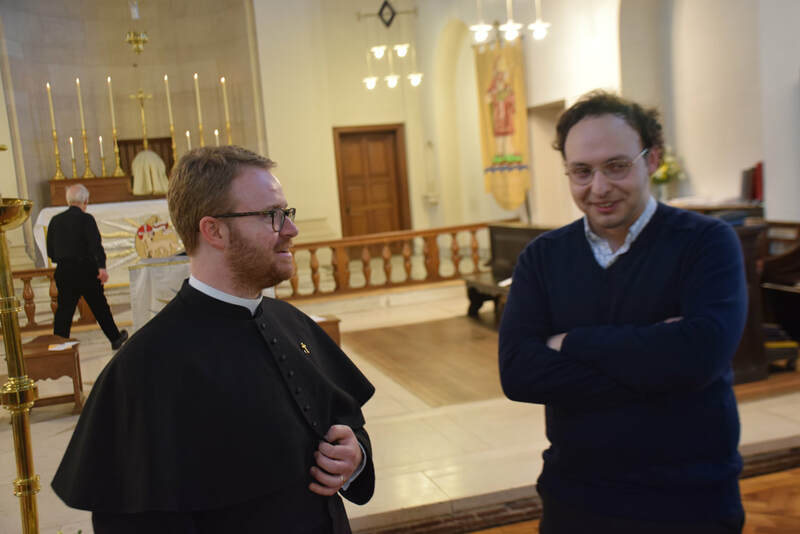 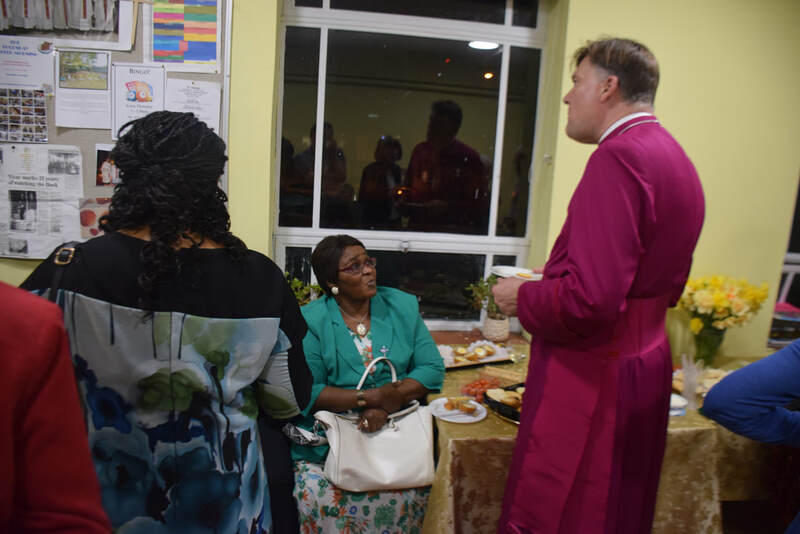 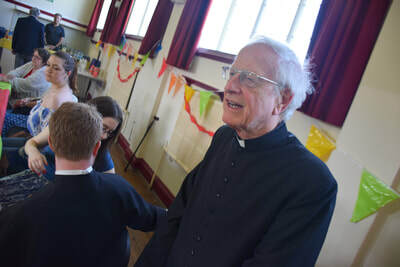 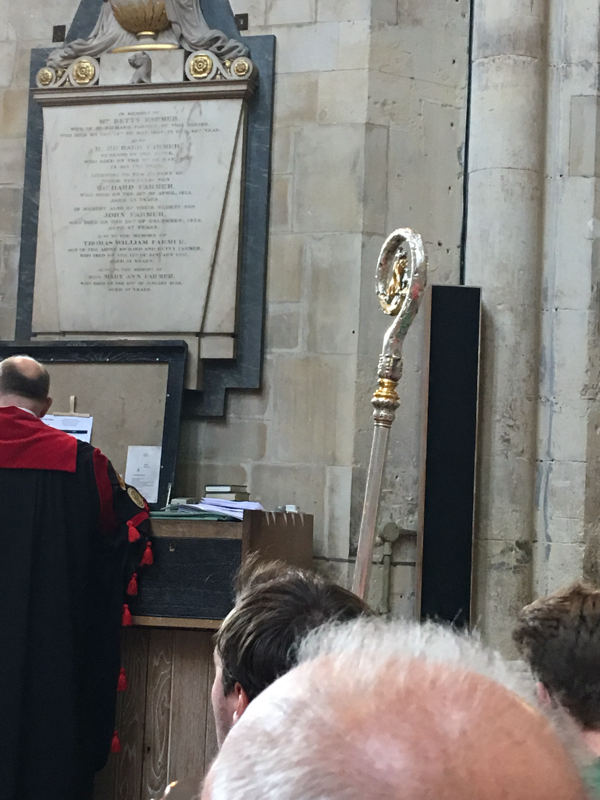 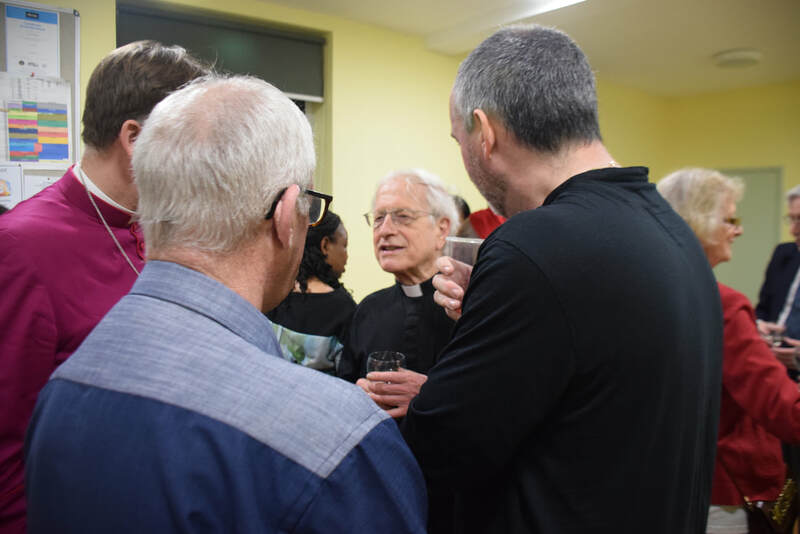 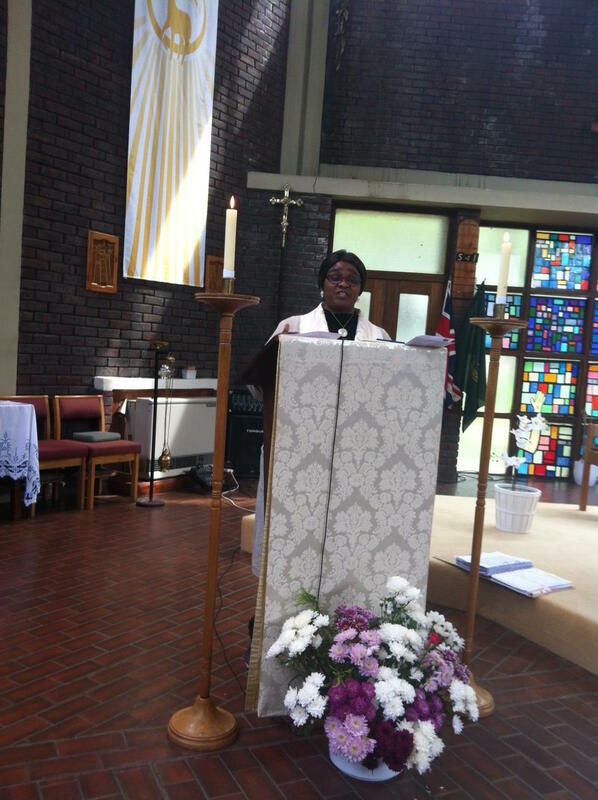 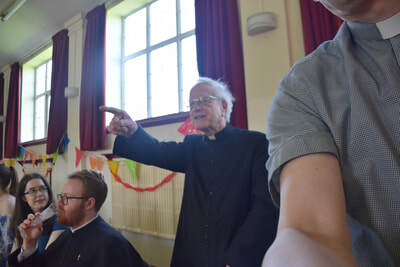 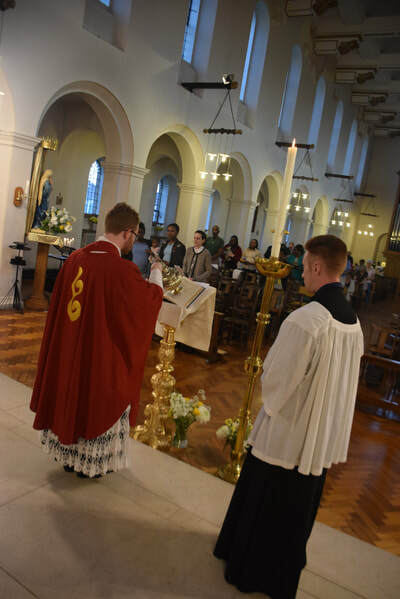 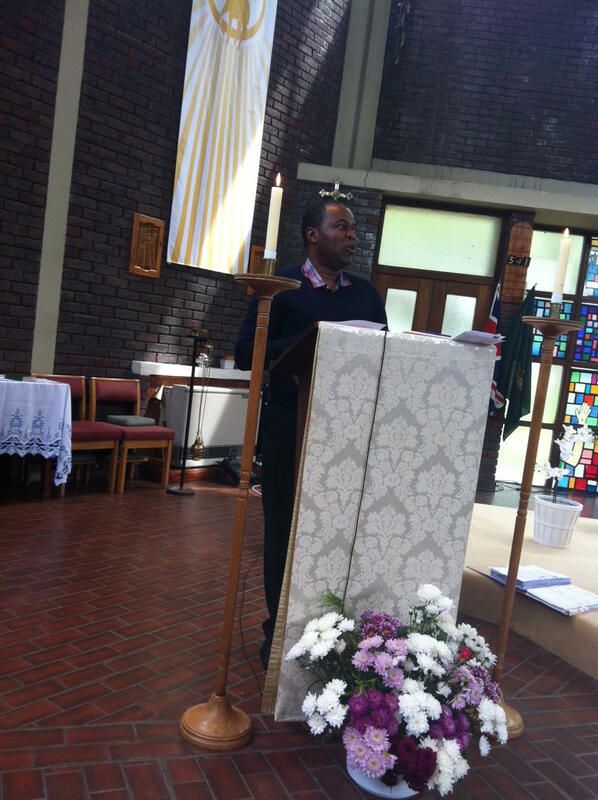 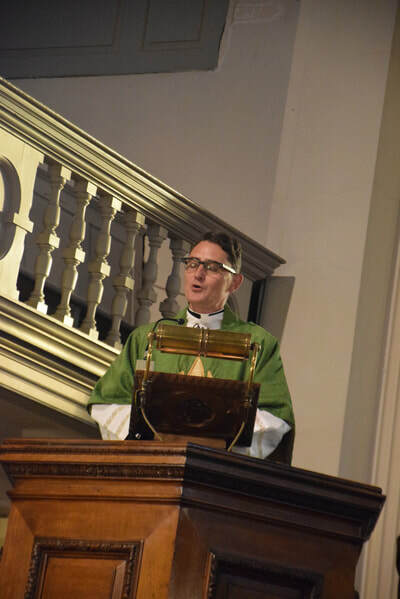 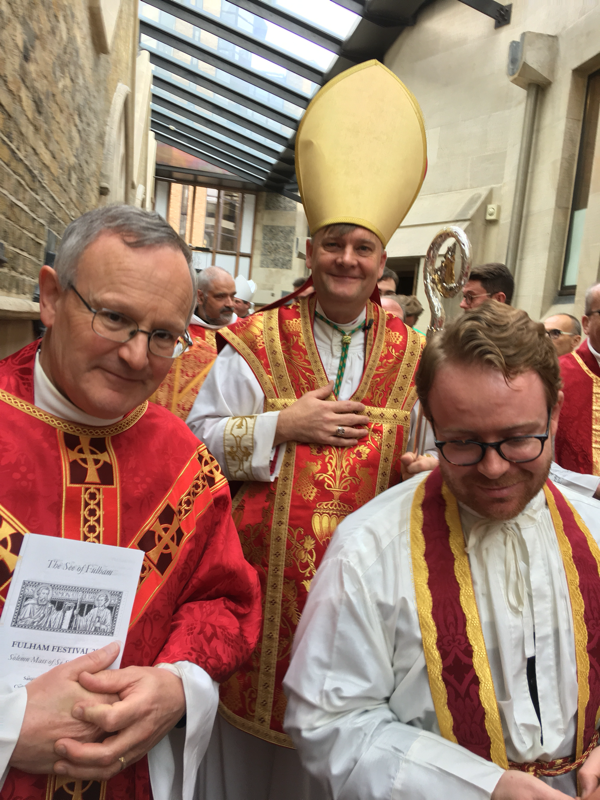 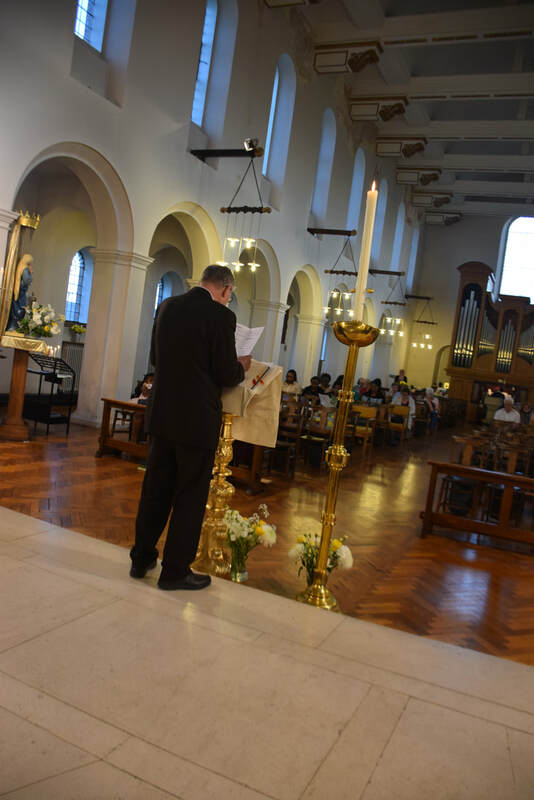 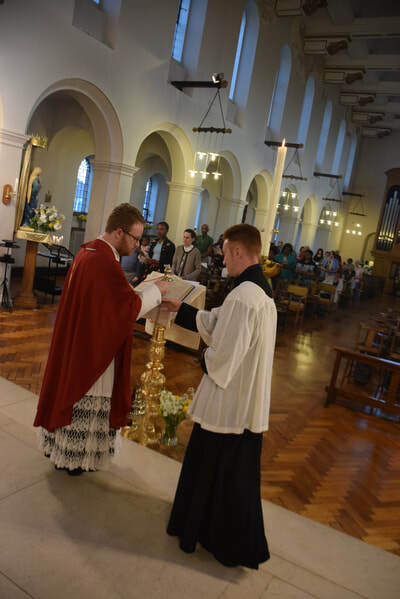 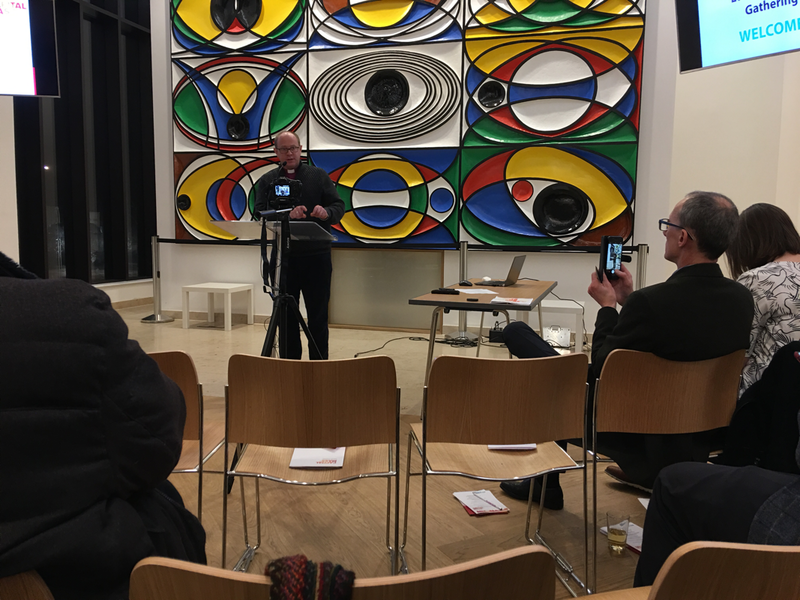 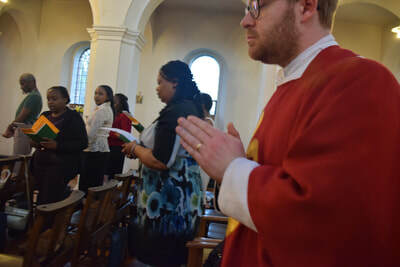 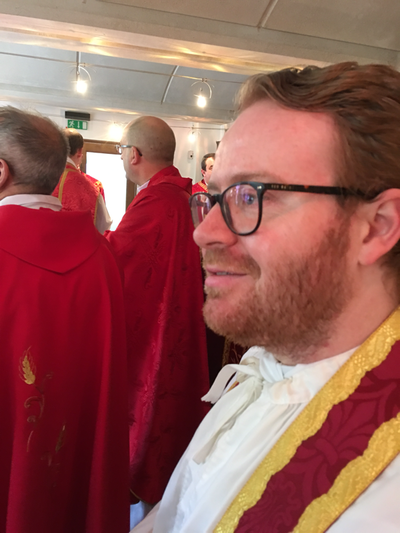 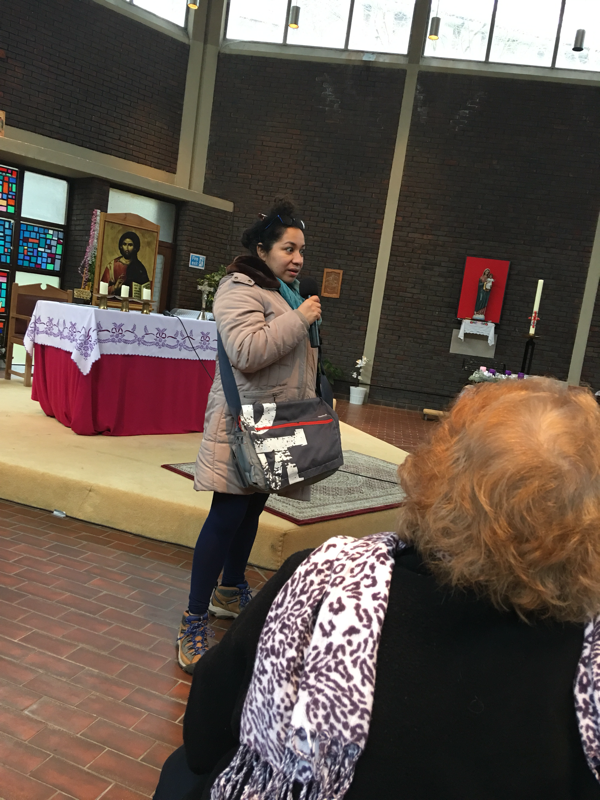 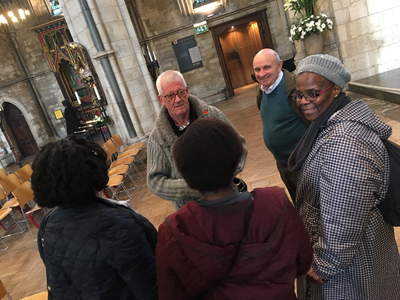 This was such a good feeling to share the same spiritual and liturgical language which connects Roman Catholics and Anglo-Catolics. 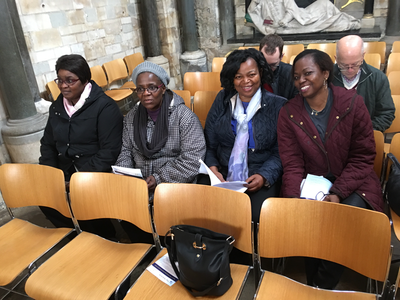 It was a wonderful witness to the unity of Christians which Christ intended. 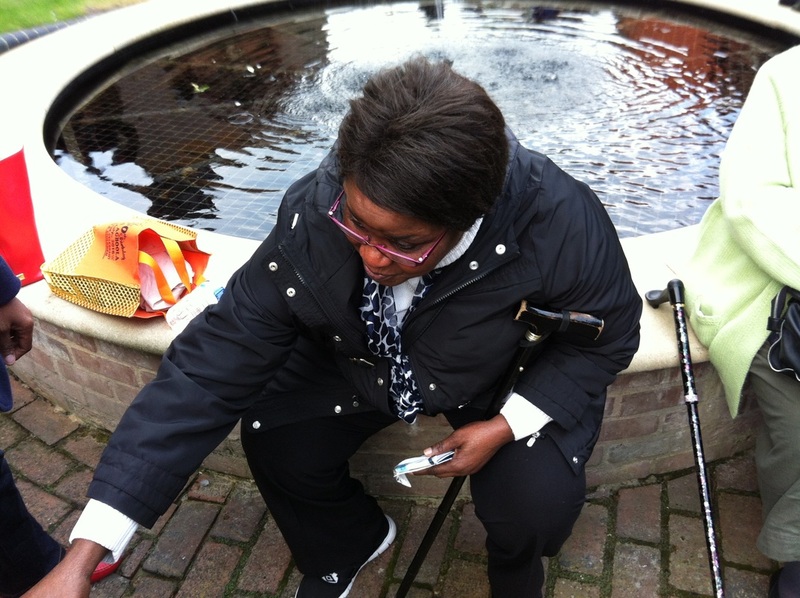 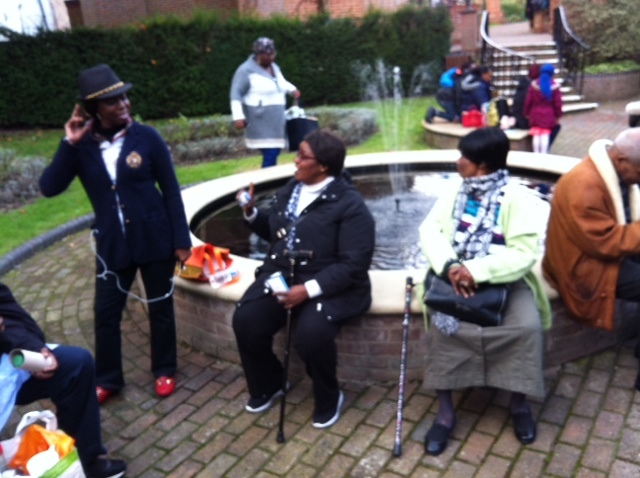 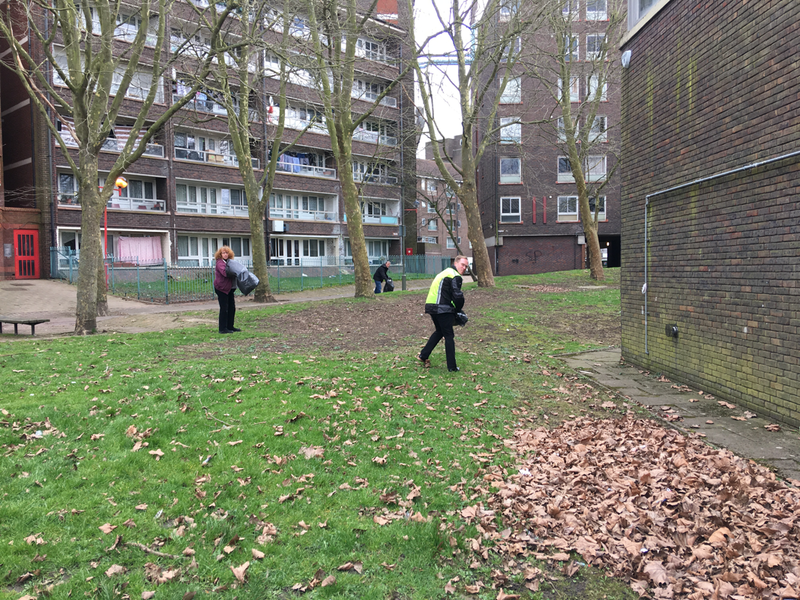 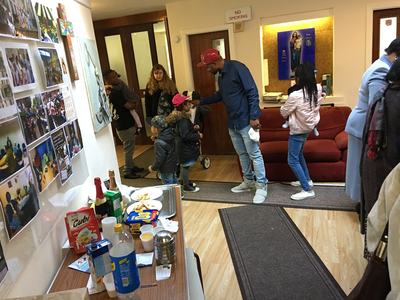 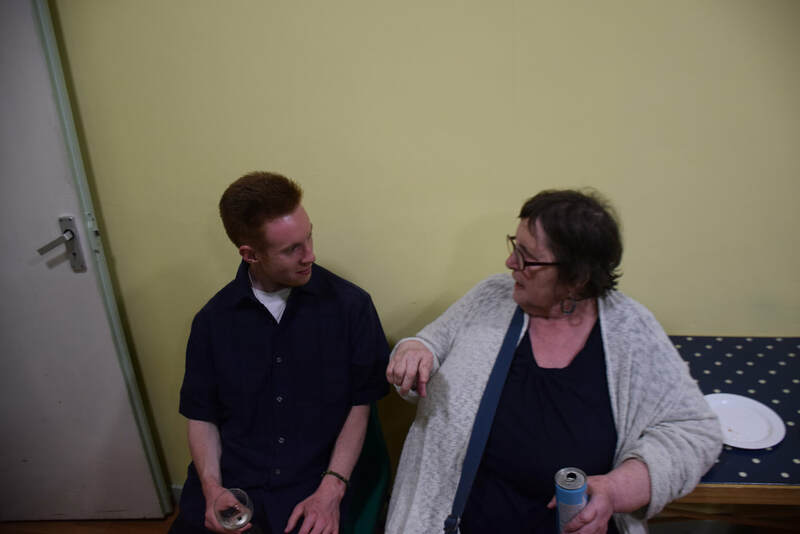 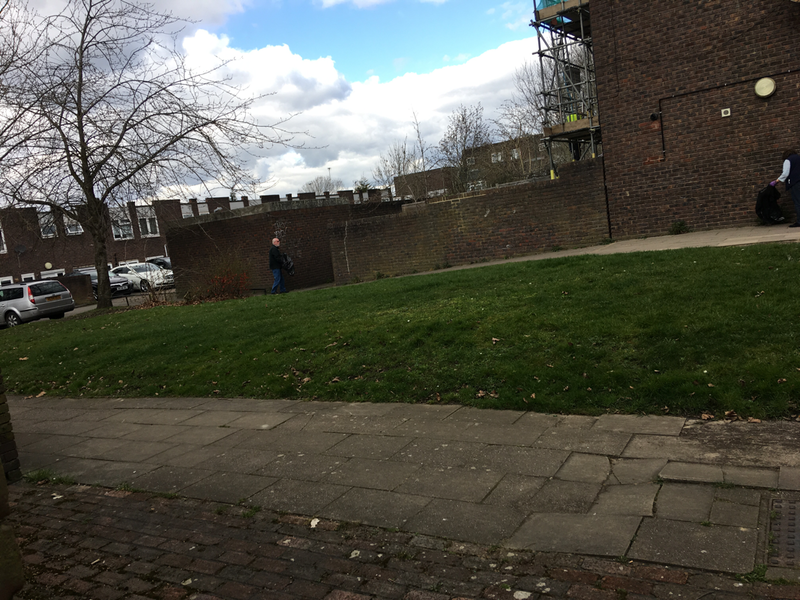 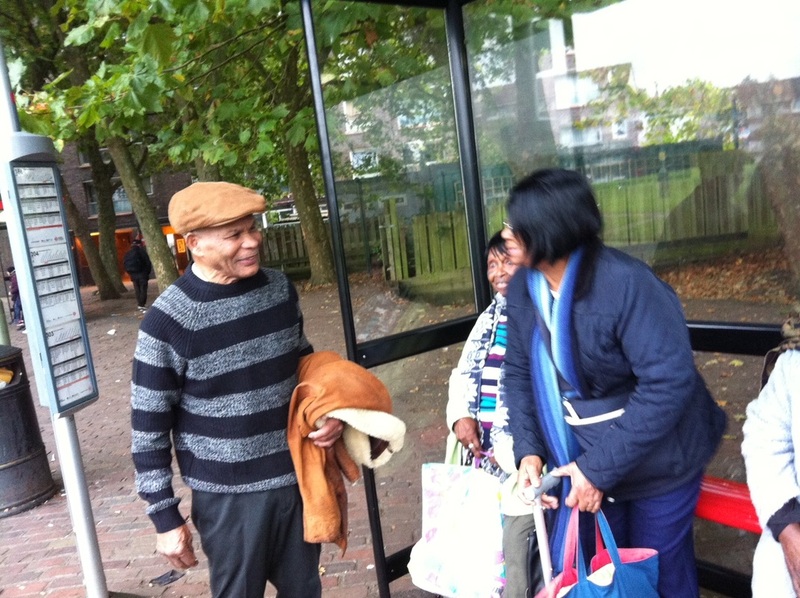 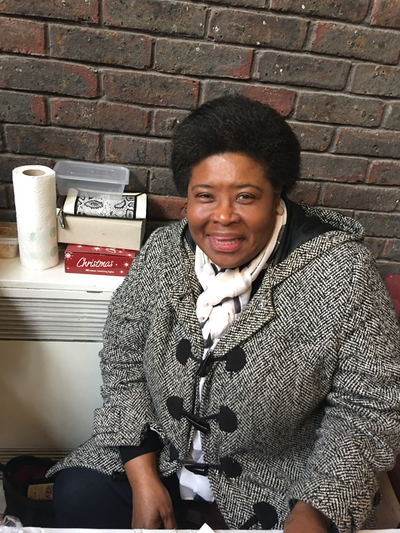 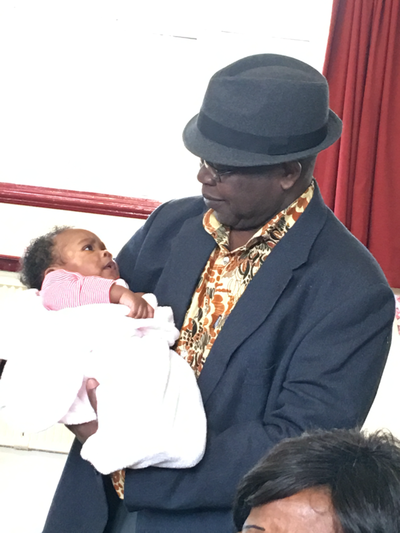 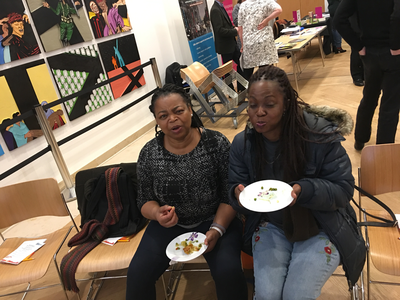 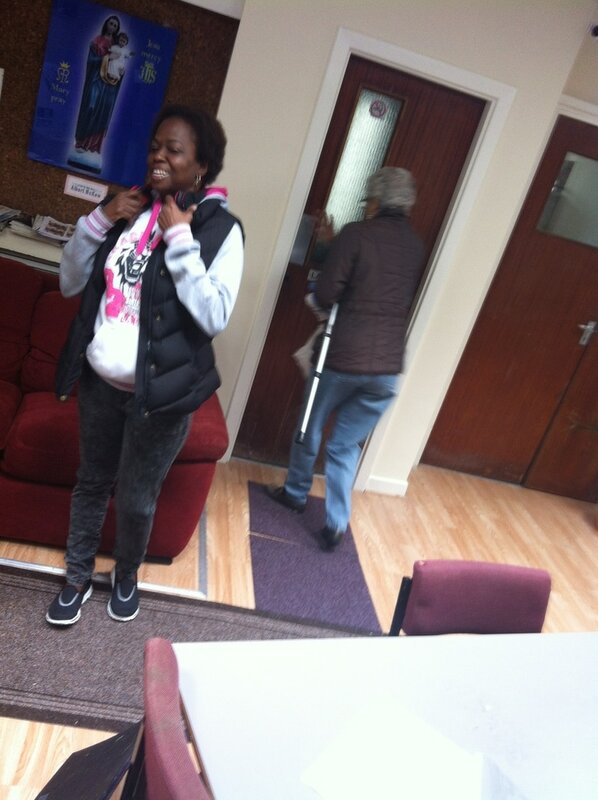 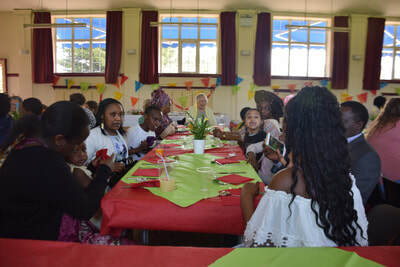 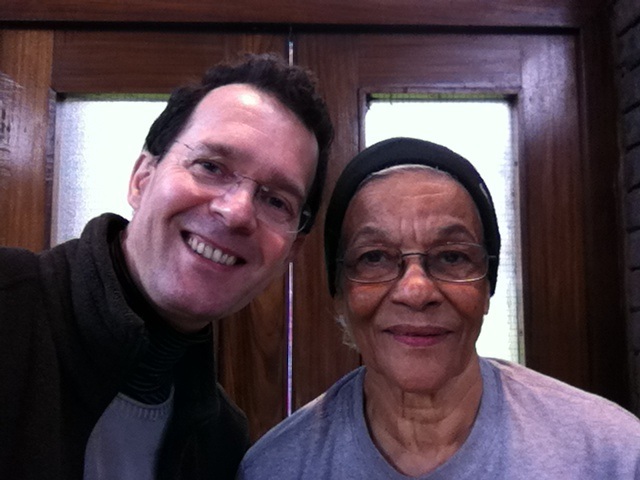 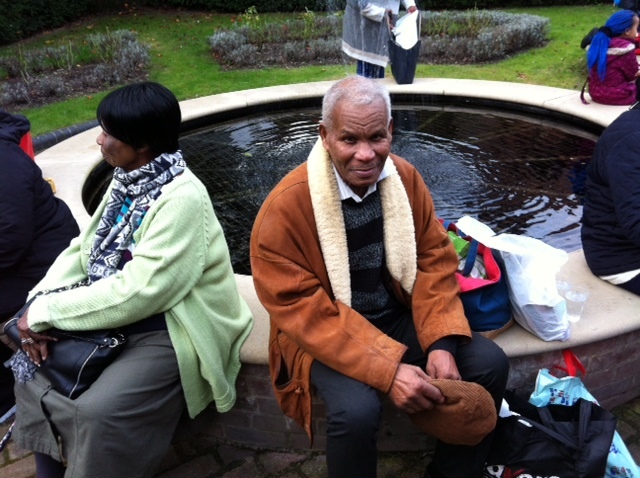 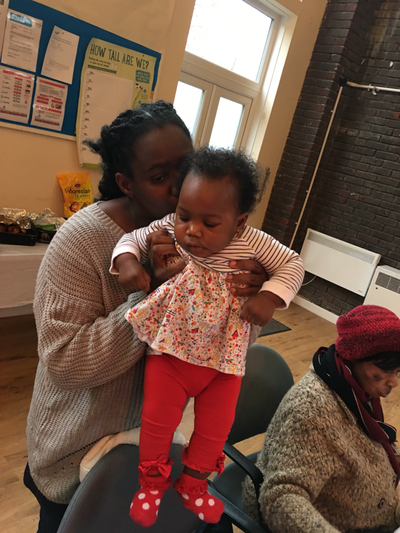 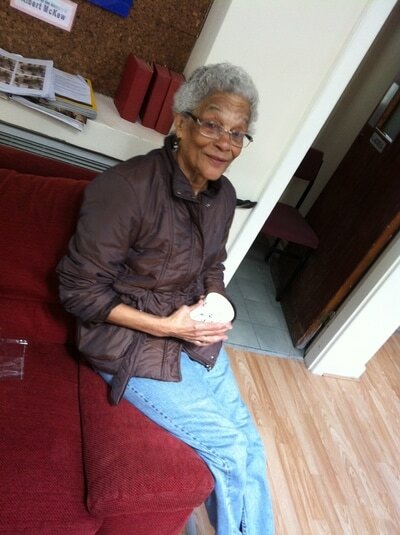 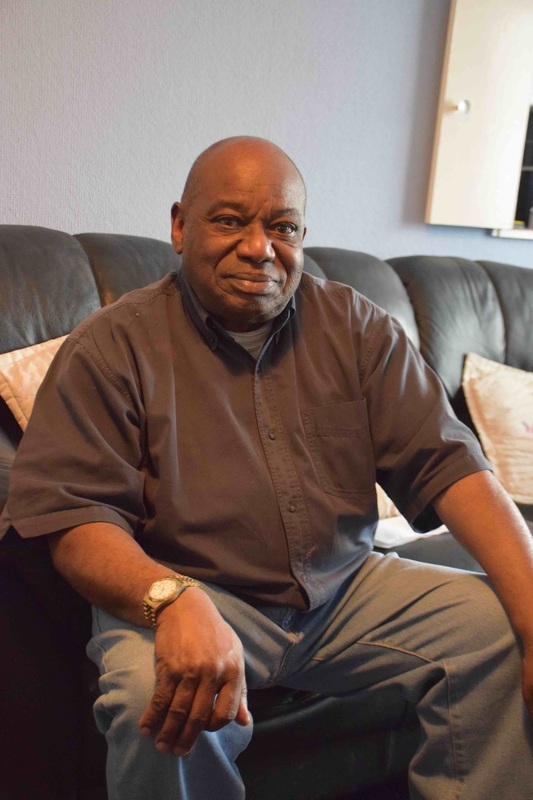 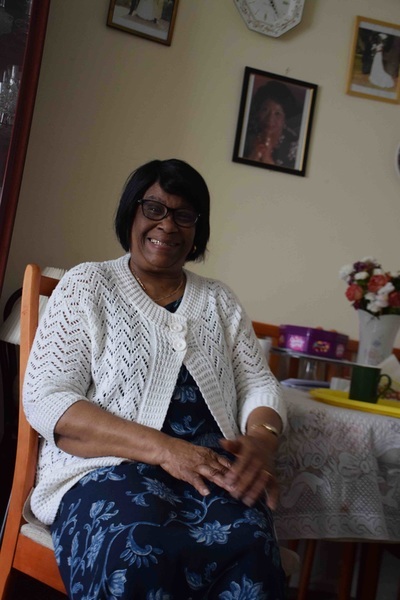 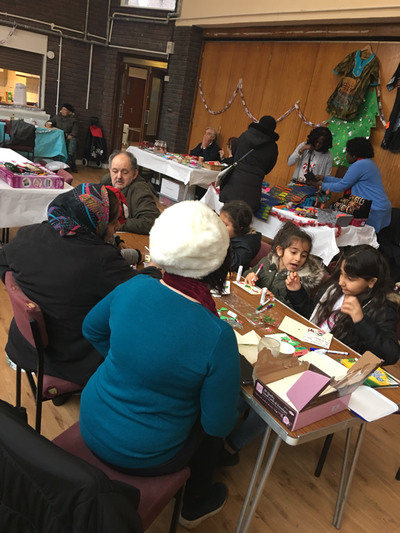 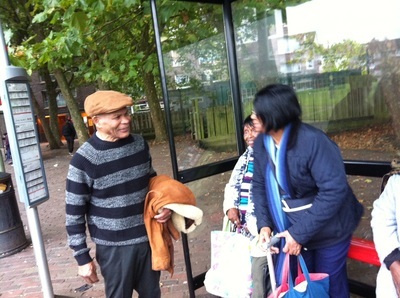 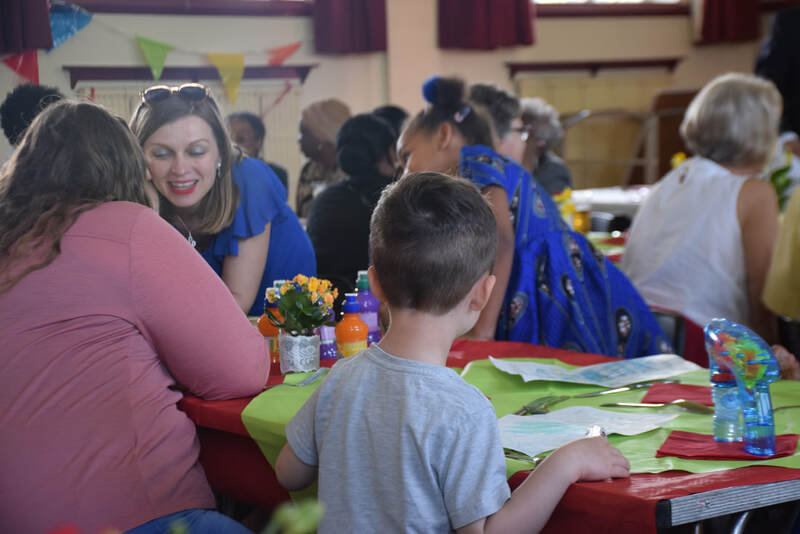 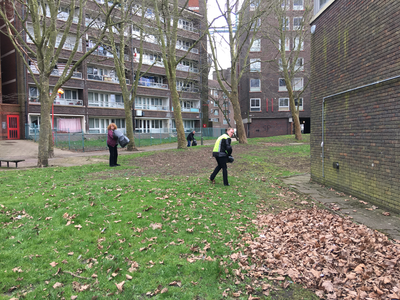 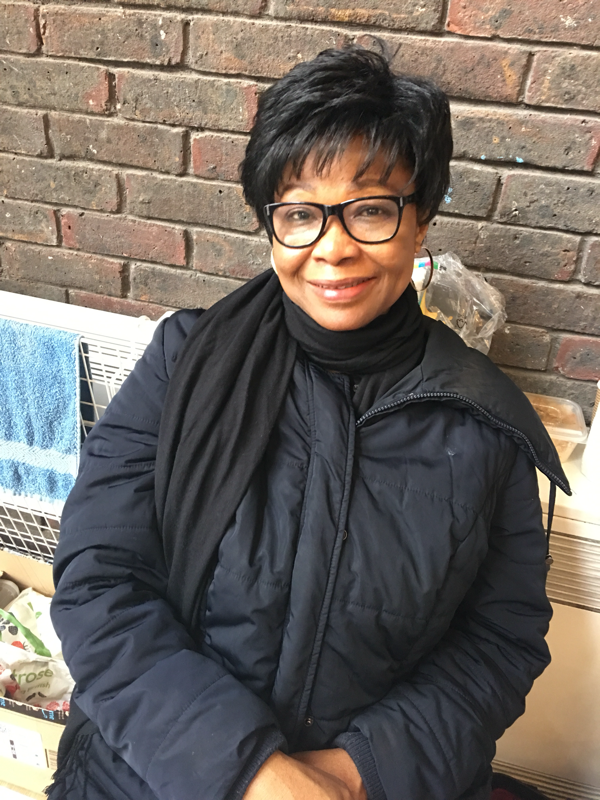 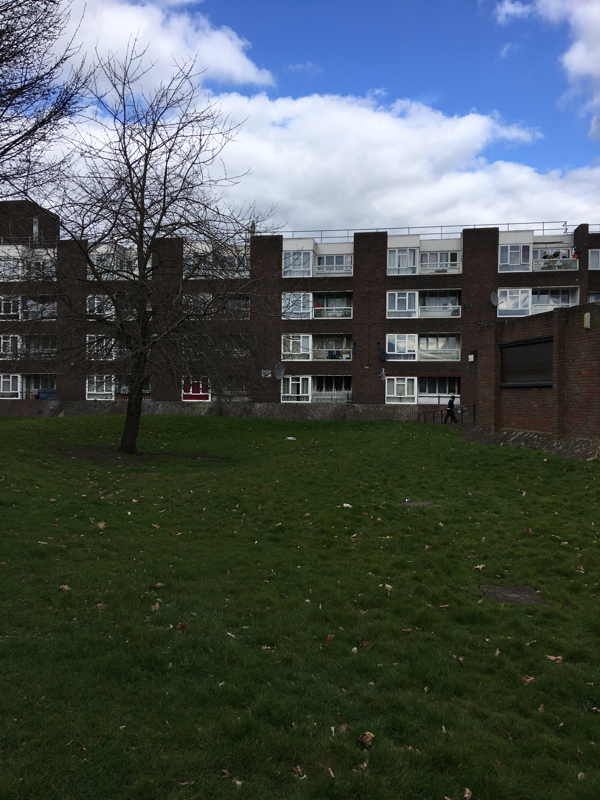 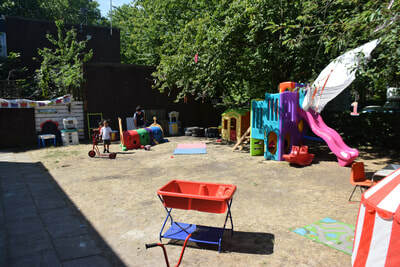 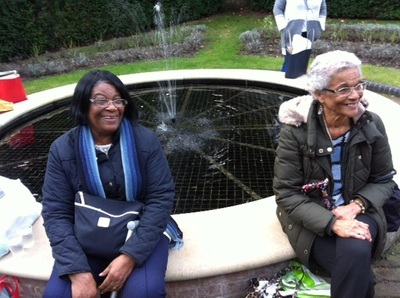 Here, at Grahame Park, we are also connected through a shared life in the estate. 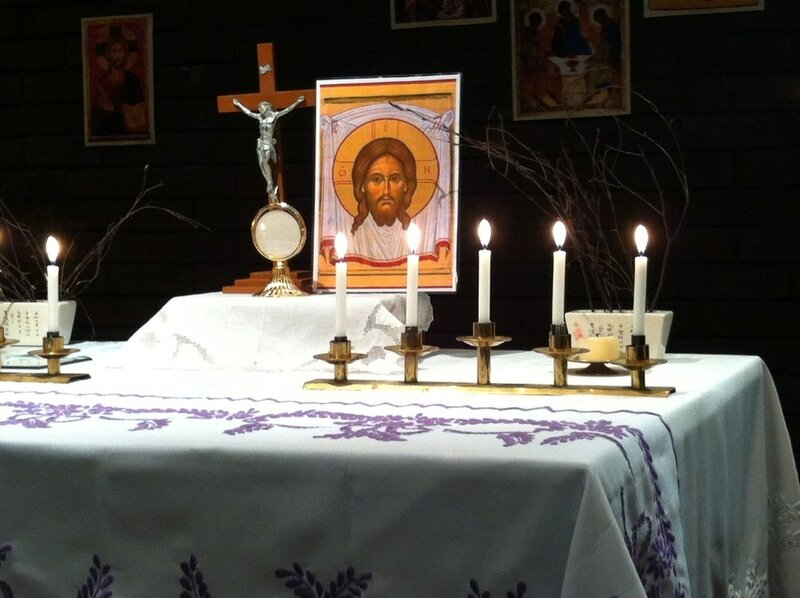 Lord Jesus, thank you for the privilege that we were chosen tonight to form a living gate of your arrival! 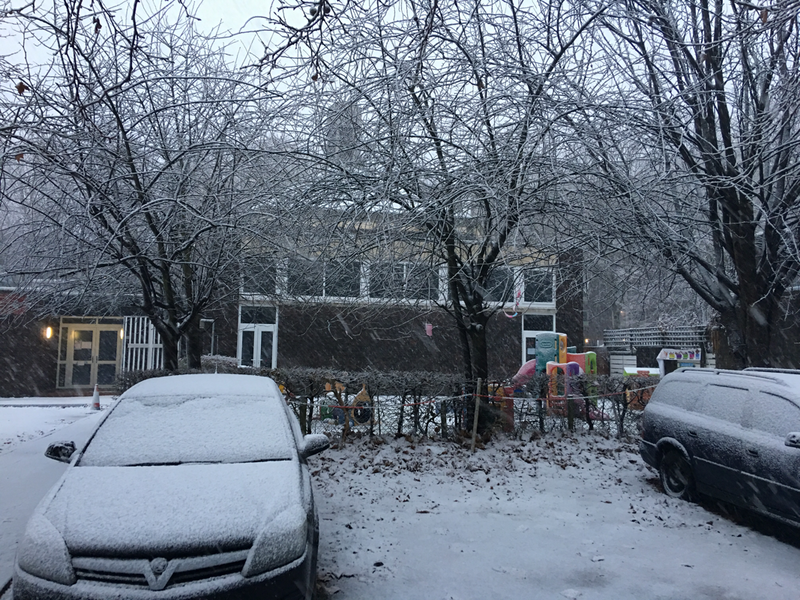 17 March 2016. 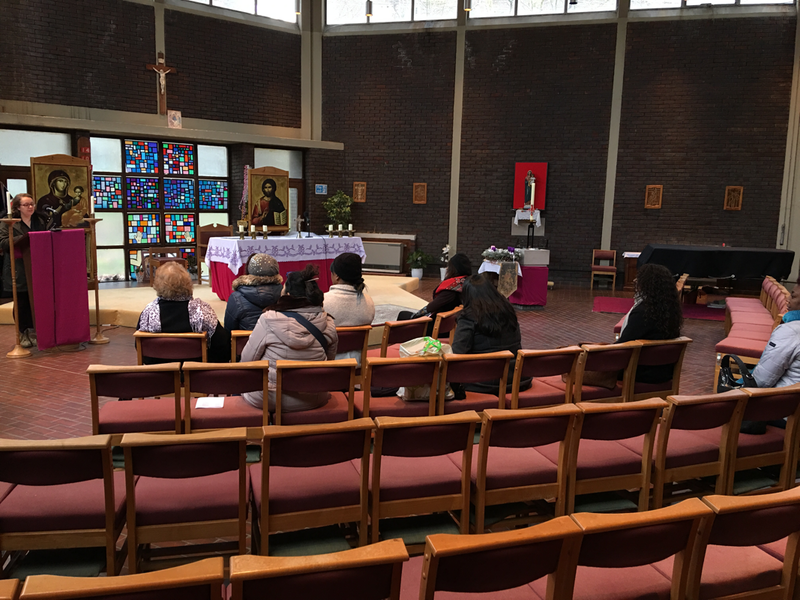 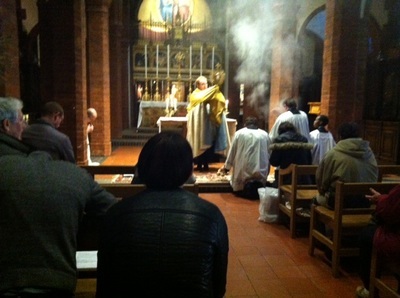 Biblical meditation and Eucharistic Adoration with the Bible Group of St Augustine's. 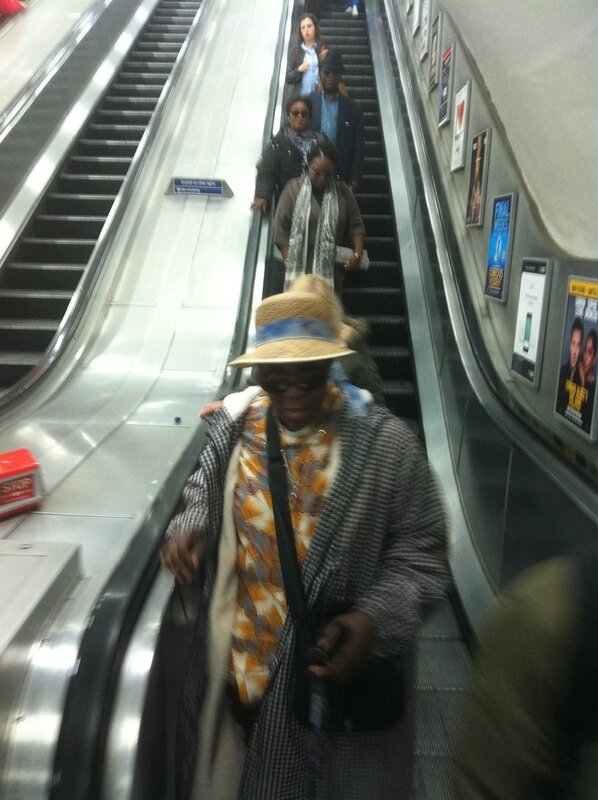 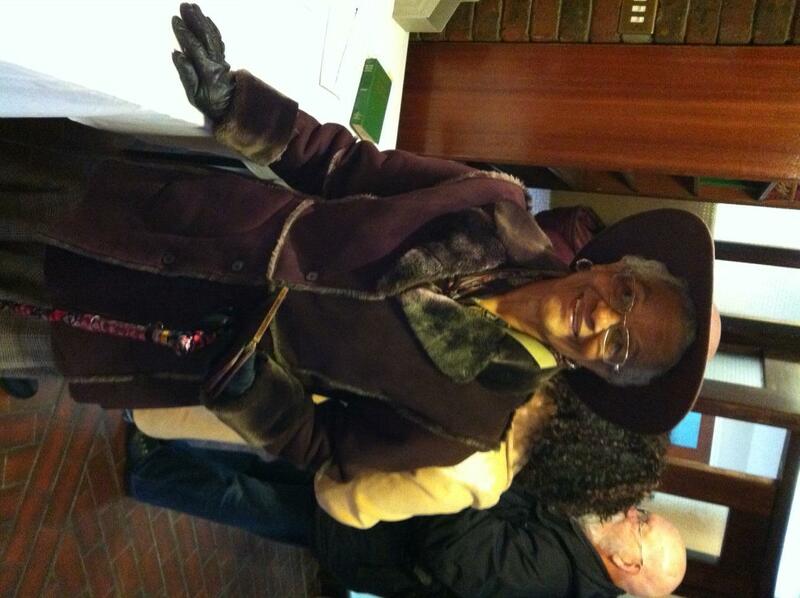 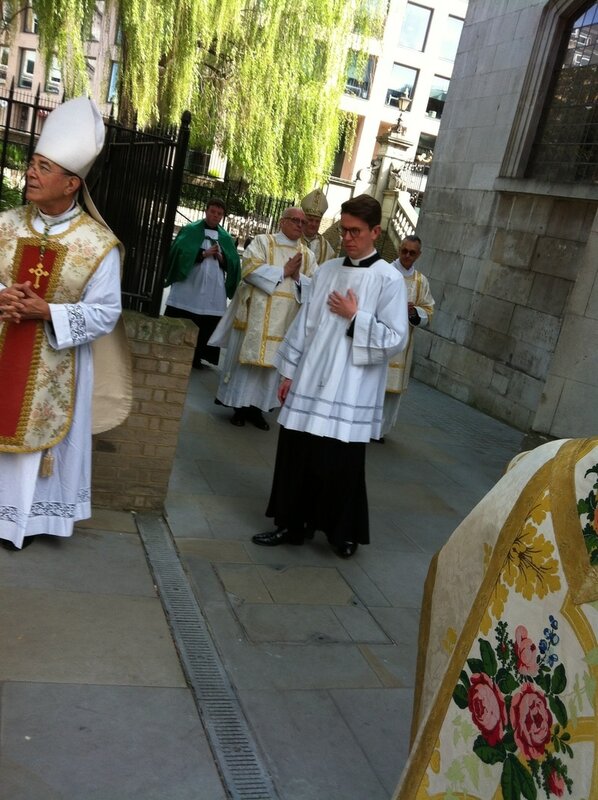 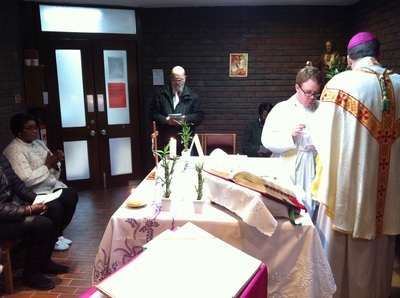 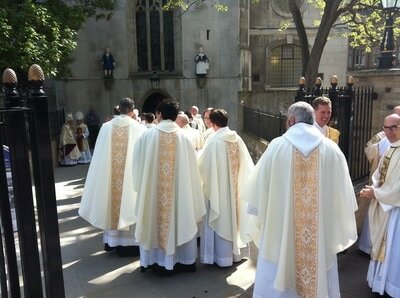 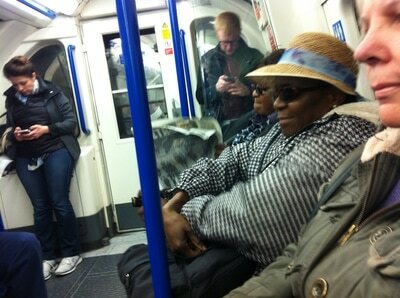 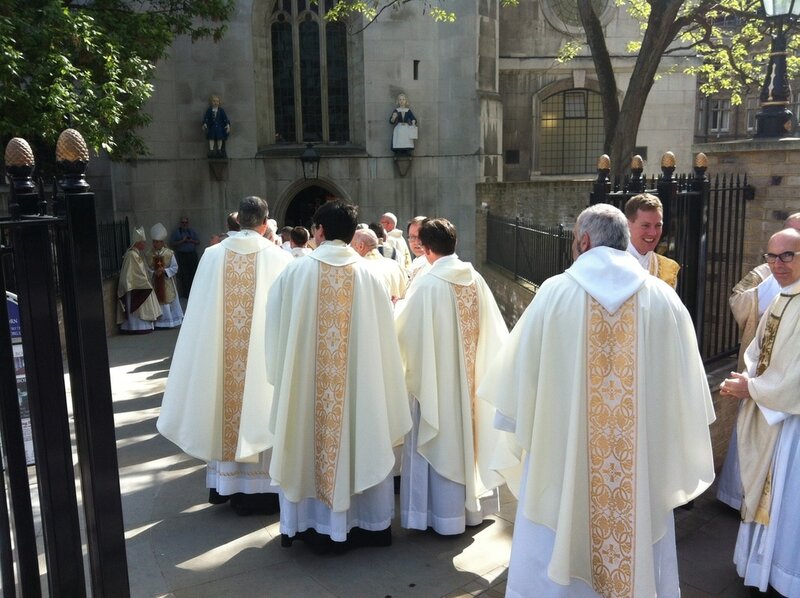 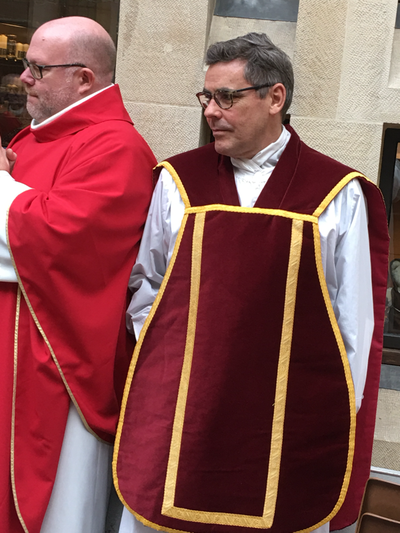 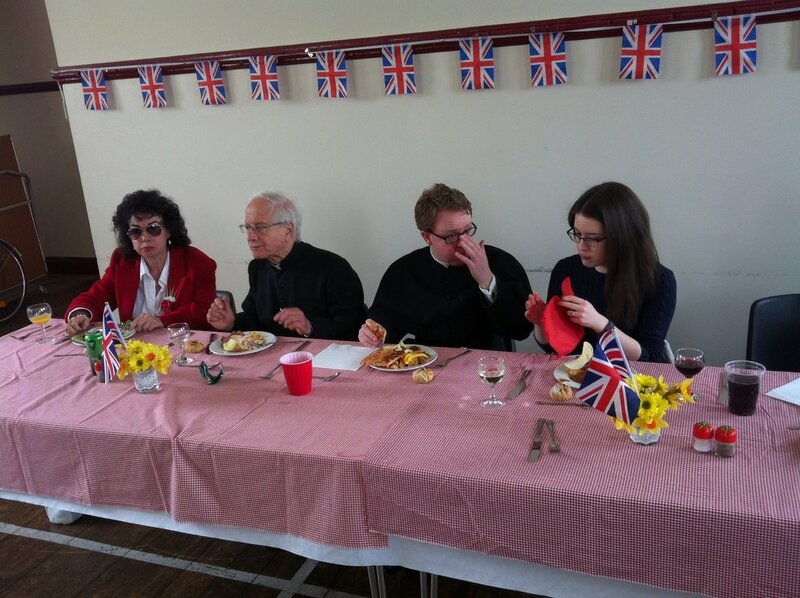 In the meditation, we raised the question as to whether the Eucharistic Adoration can be done in an Anglican fashion? 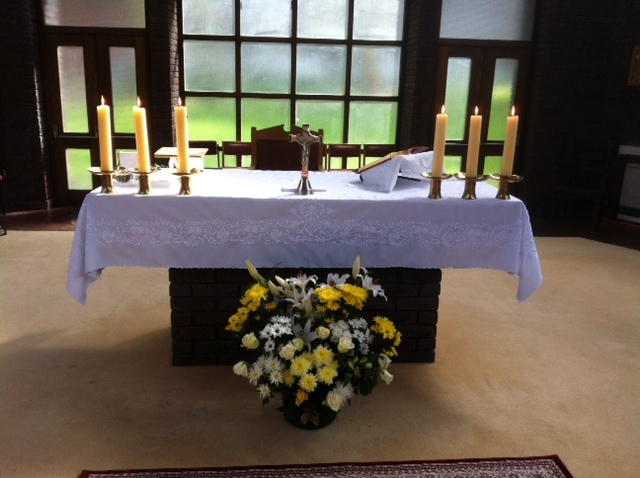 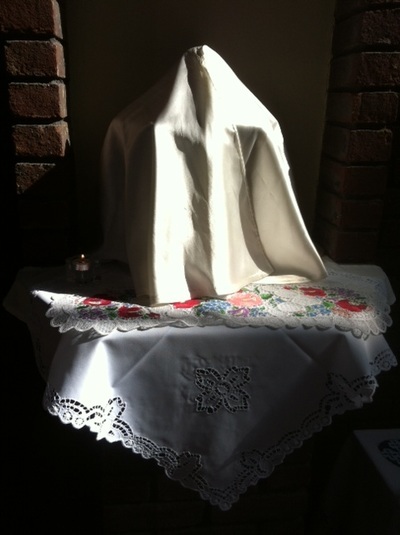 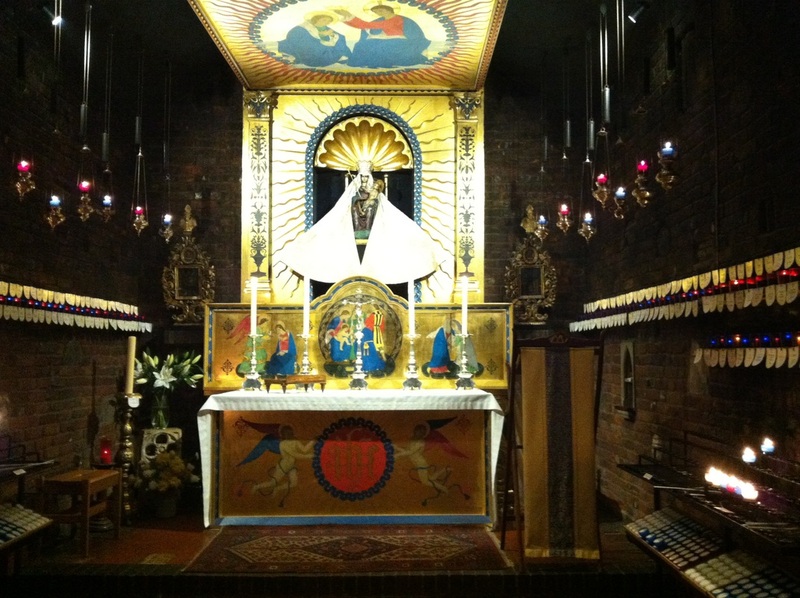 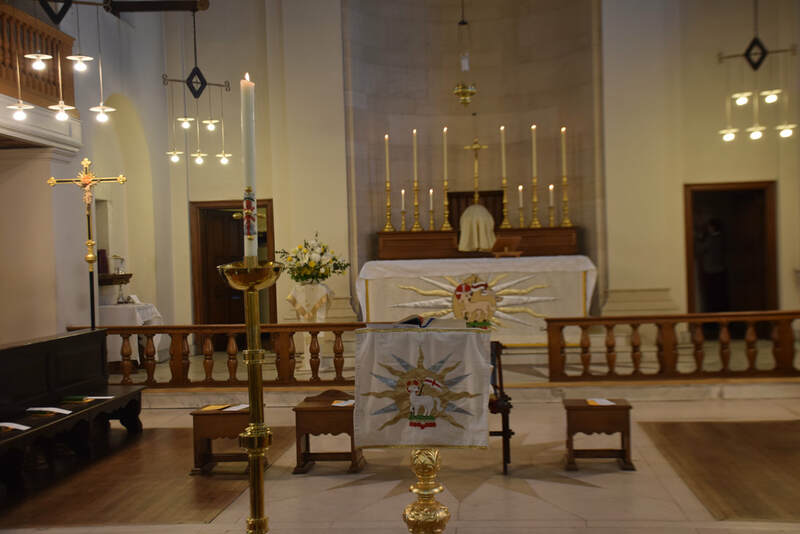 Our answer was yes, as in the Blessed Sacrament of the Altar we worship the fullness of the Divine Word. 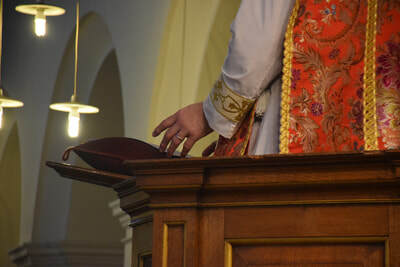 The Jesus Christ whom we worship as God is the animator of the Scriptures, in whom the fullness of the understanding of the Scriptures resides. 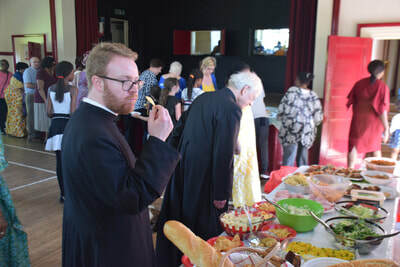 Under the eucharistic sign of the Bread we encounter the person of Jesus Christ who interprets the Sciptures for us and with us. He is our living Gospel who wants us to engage with the words of the Gospel, his Sacraments, and the prayers of the Church. 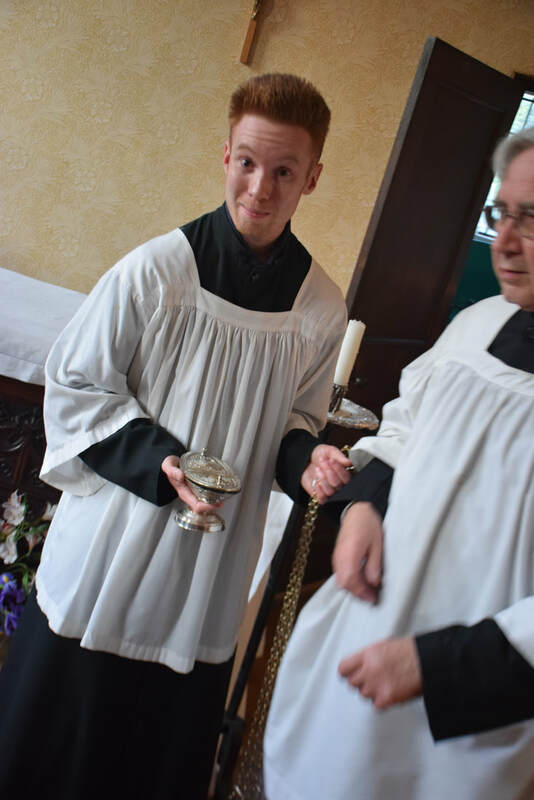 The beautiful embroidery (the gift of a Calvinist) blended so well with the beauty of the Gospel and the Eucharistic Presence. 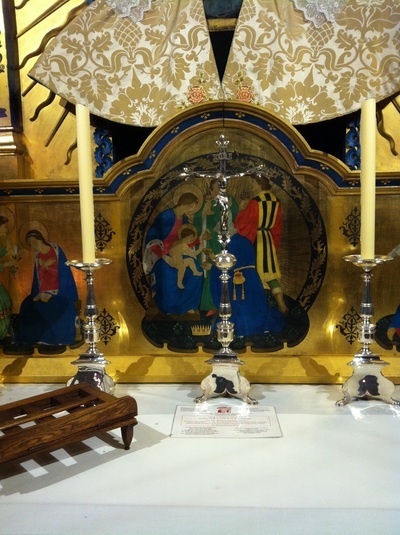 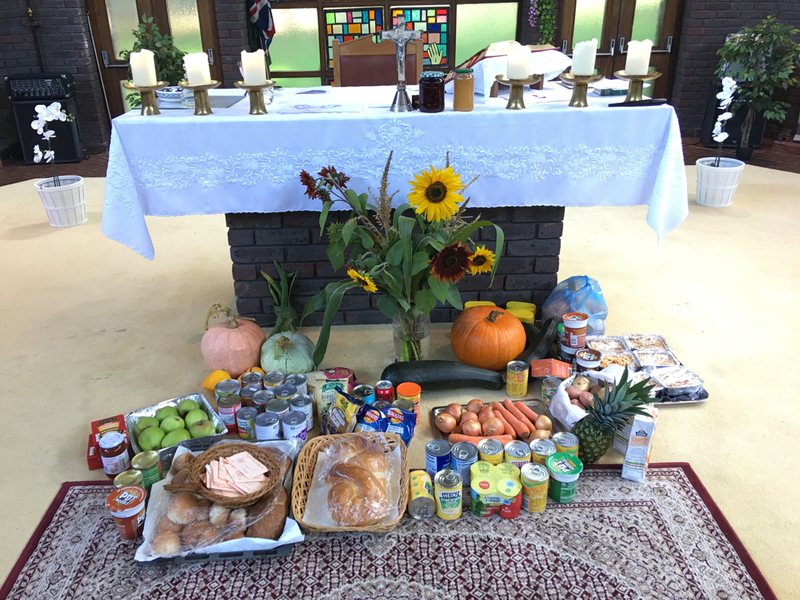 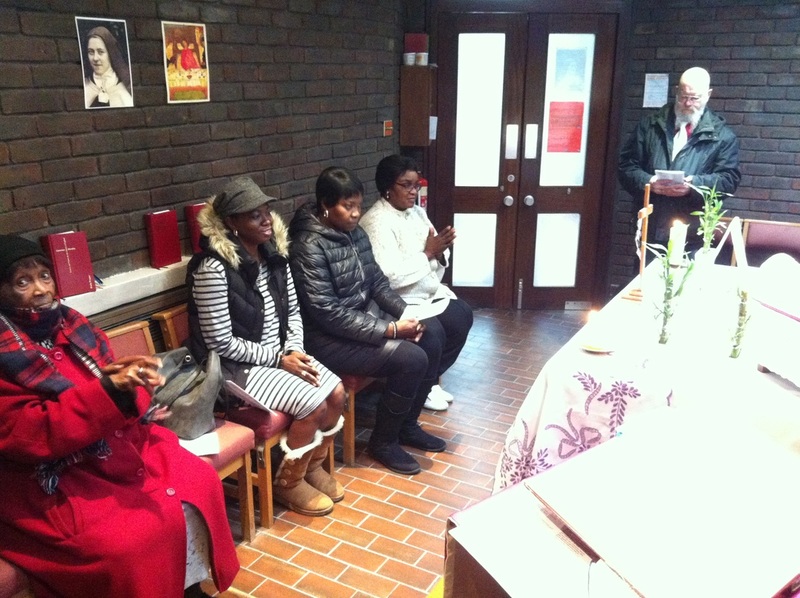 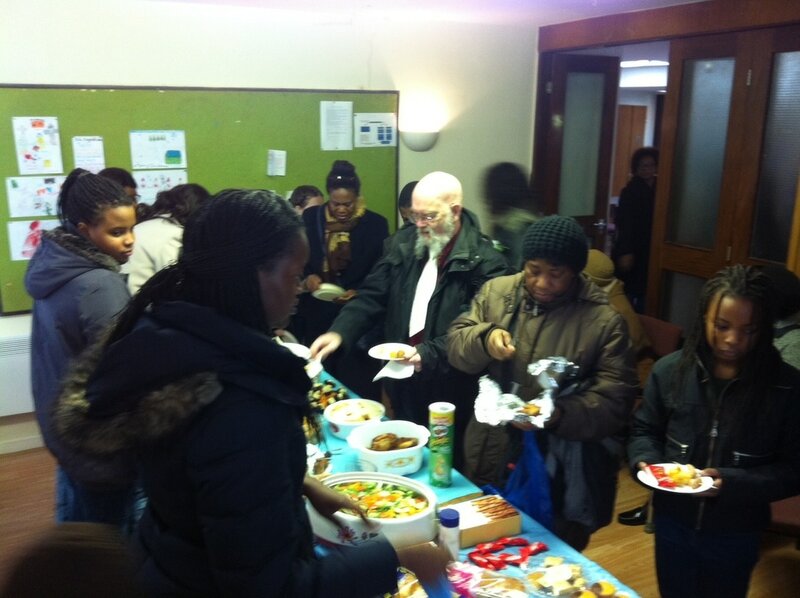 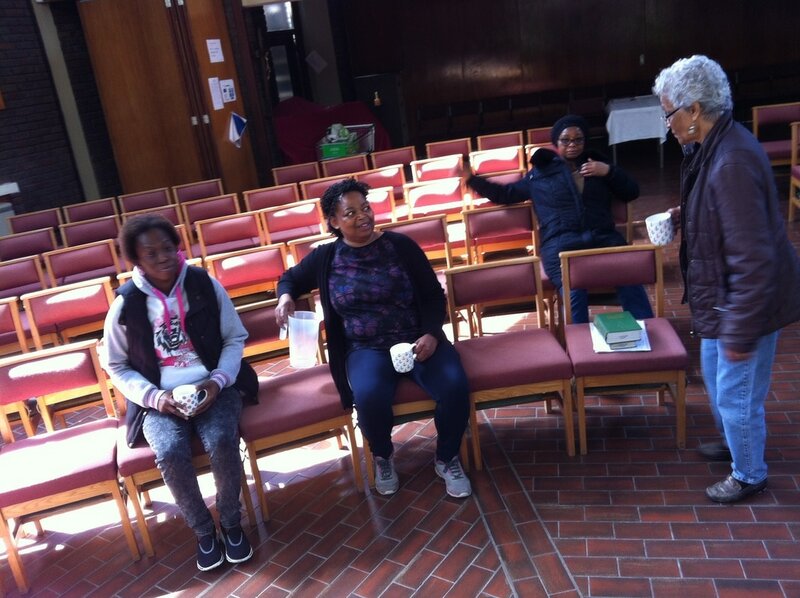 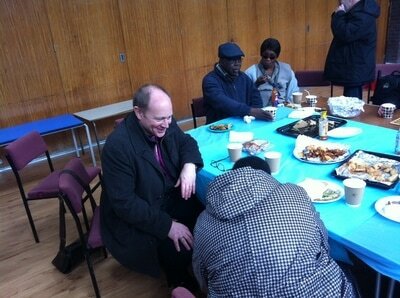 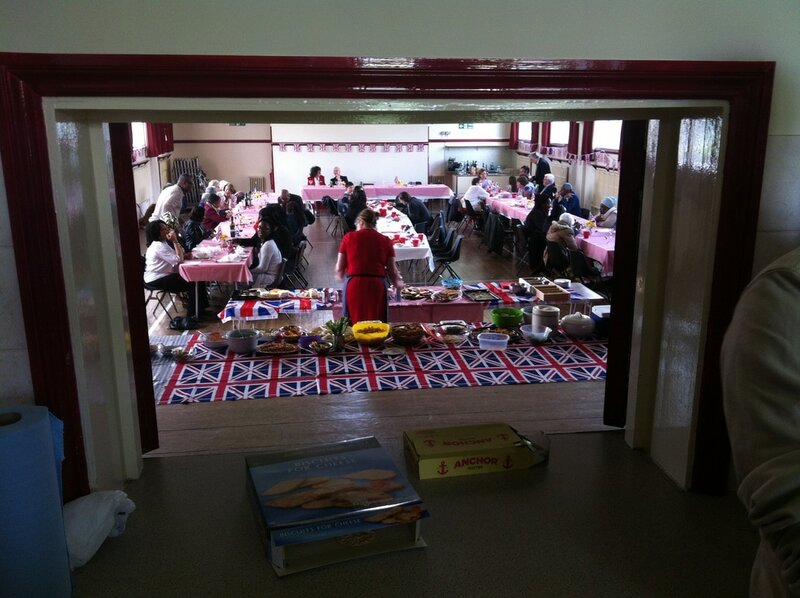 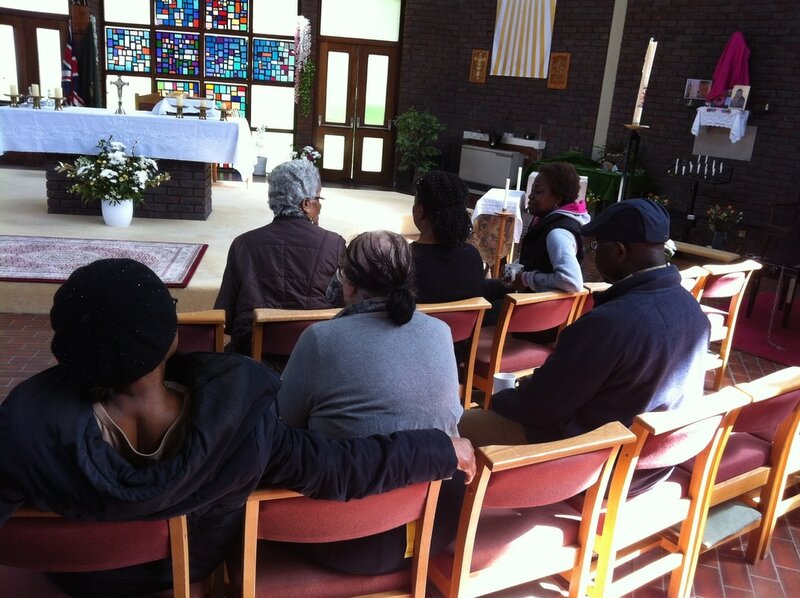 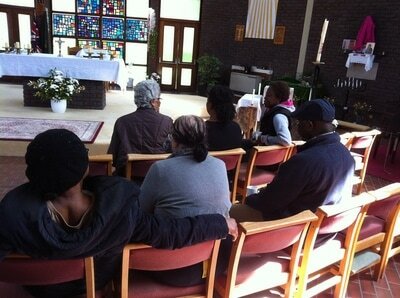 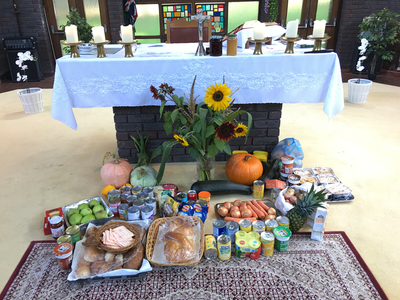 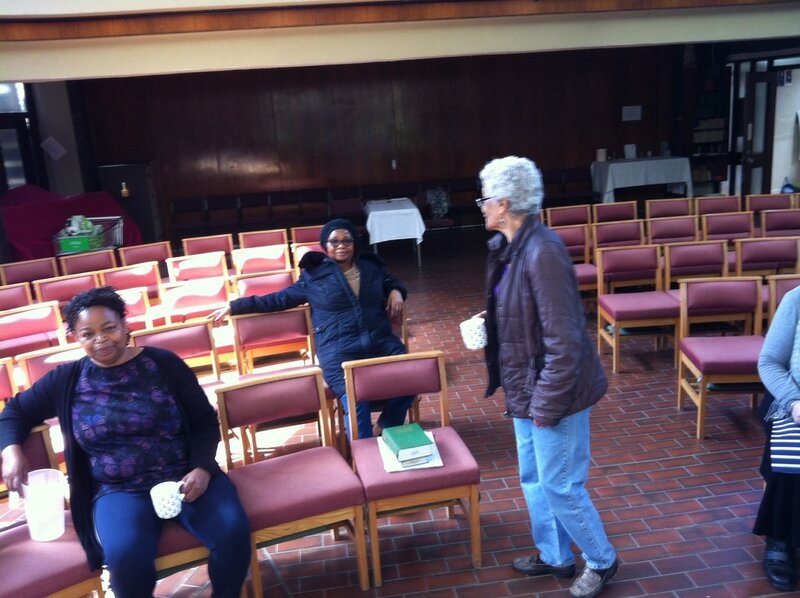 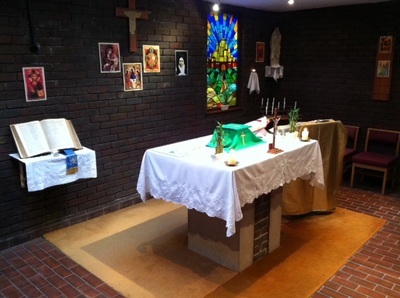 This table of the Lord's Presence is definitely one of the most beautiful spots of Grahame Park! 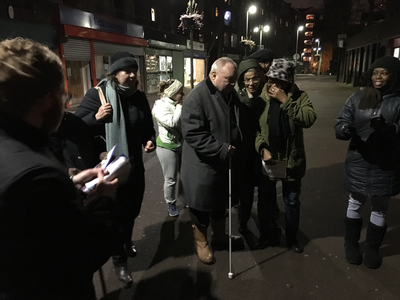 Our Lord is with the people of the estate praying for them now; and in the future moments of changes and personal challenges when the redevelopment will be taking place. Spirit of compassion and justice, guide all of us! 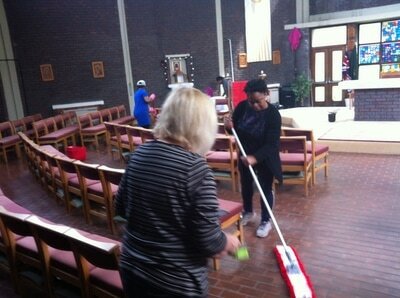 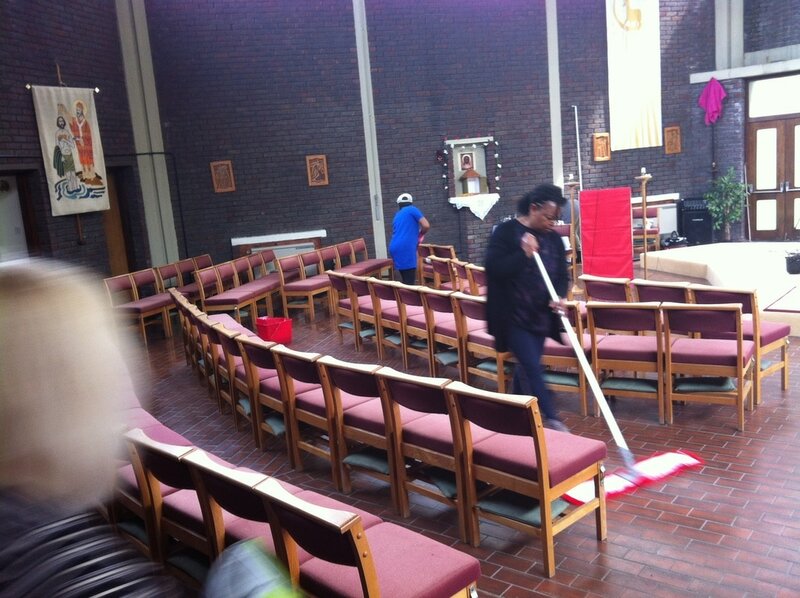 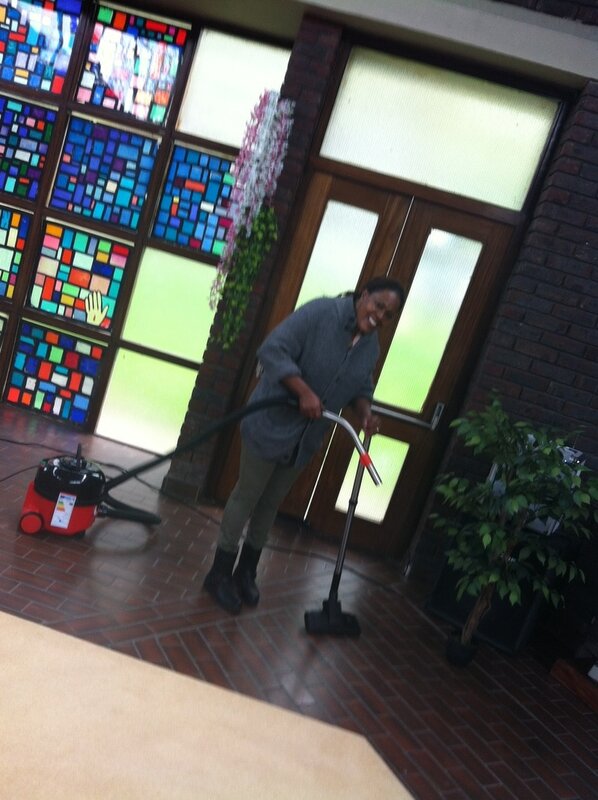 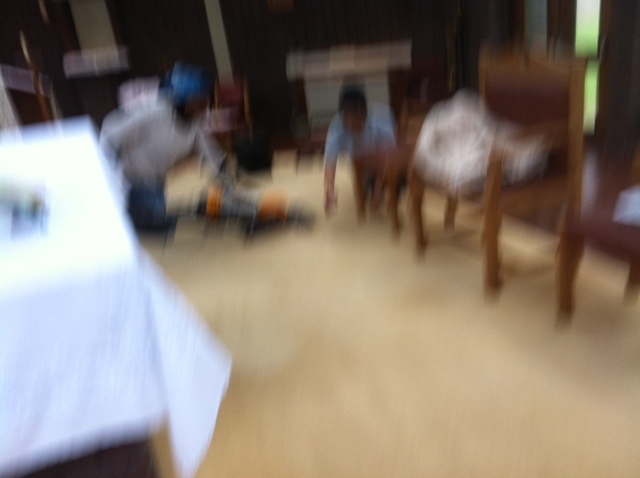 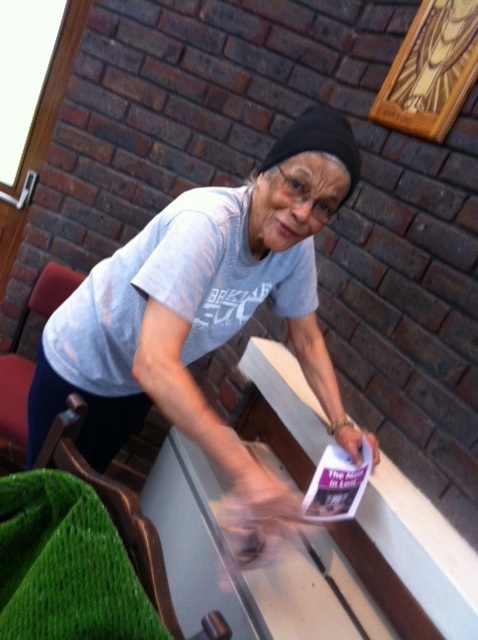 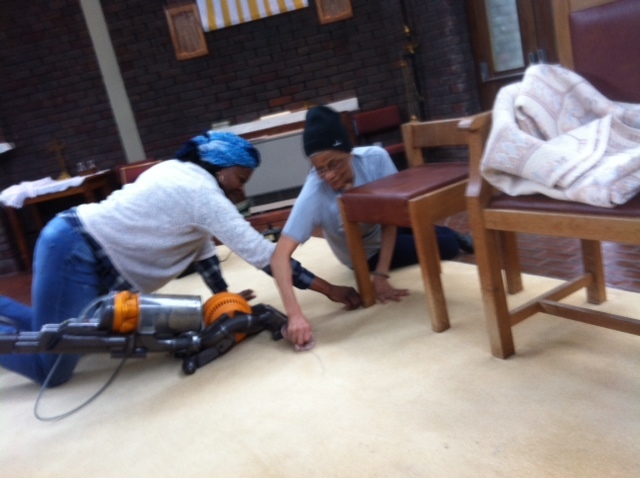 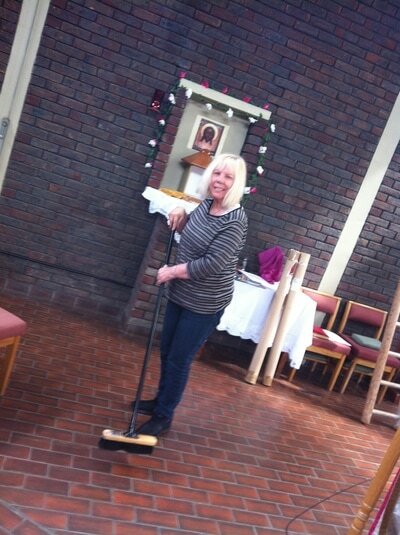 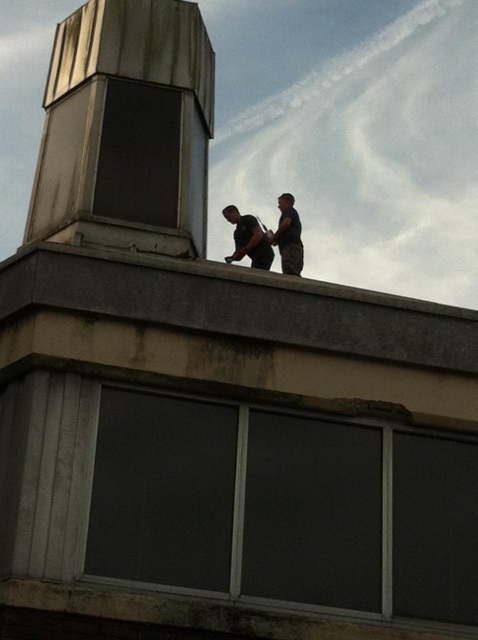 Cleaning the Church on Holy Saturday. 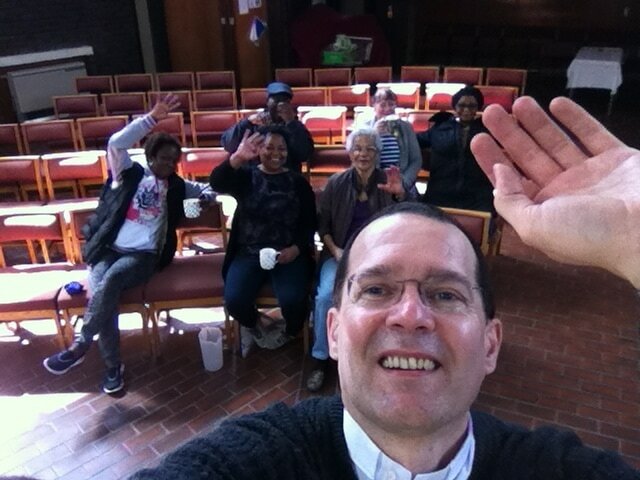 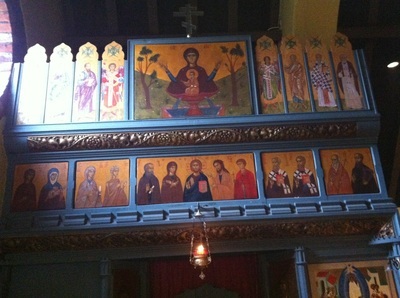 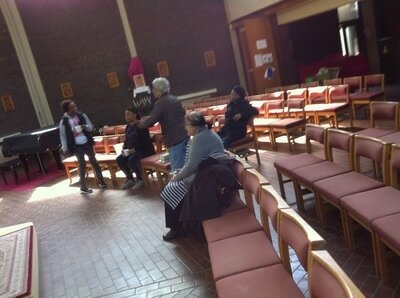 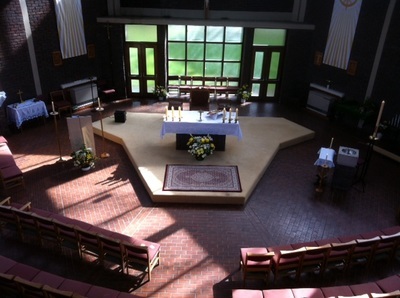 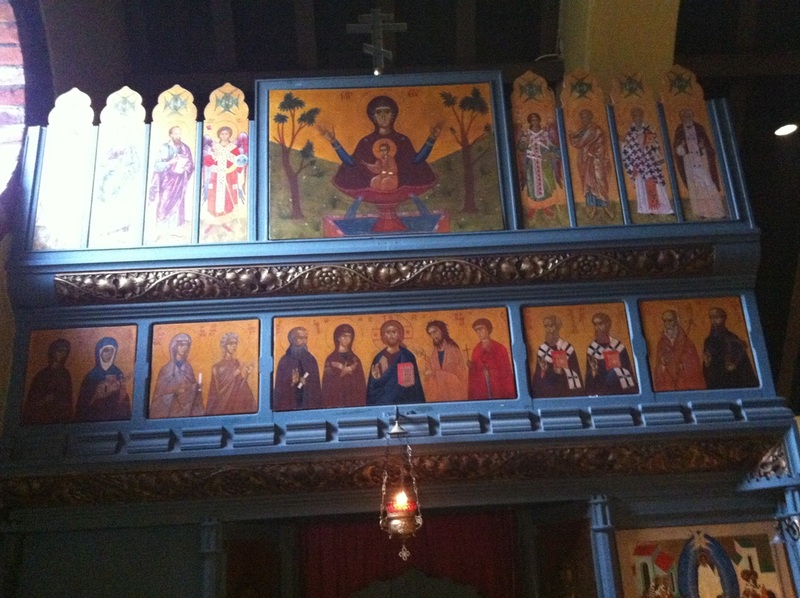 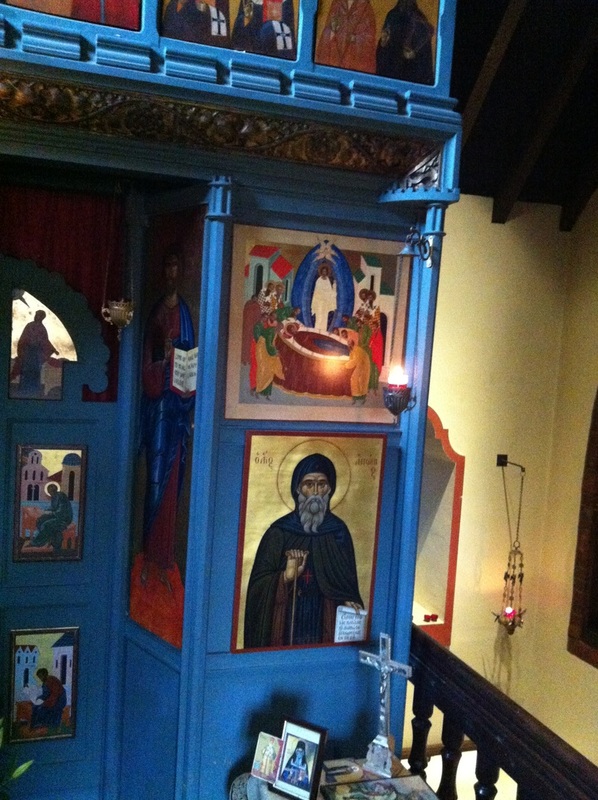 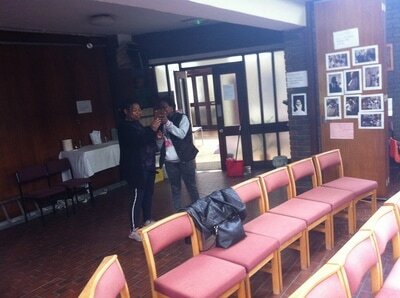 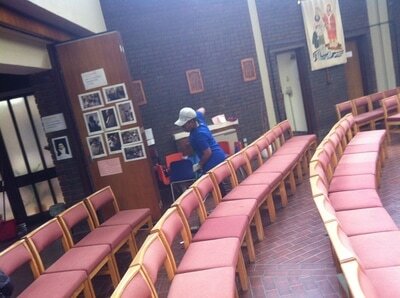 Photos can not do justice to the wonderful work people did on Holy Saturday - as clearly, few faces are missing. So, without names, a flavor of the committed and joyful preparation for the celebration of Easter.... and the result, a beautiful, welcoming Church! Portraits from our home communion - visits 29 April. 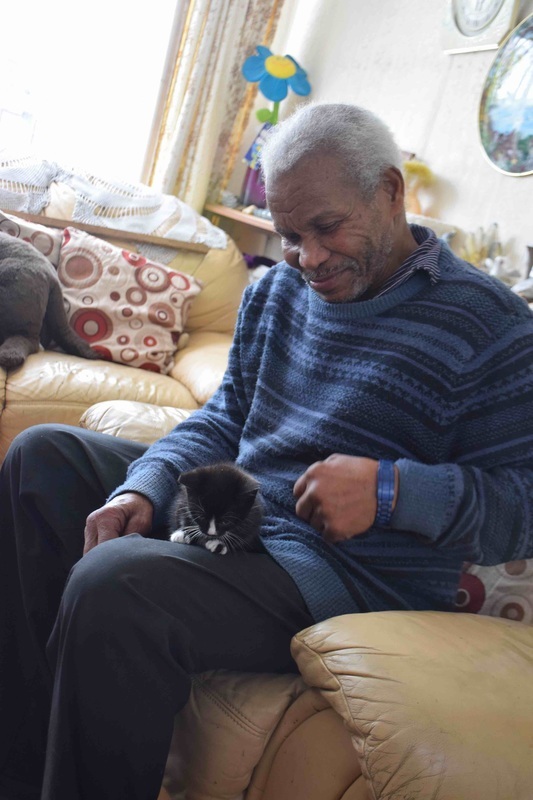 Arthur with his new kitten, Artur and Navette, and Billy.